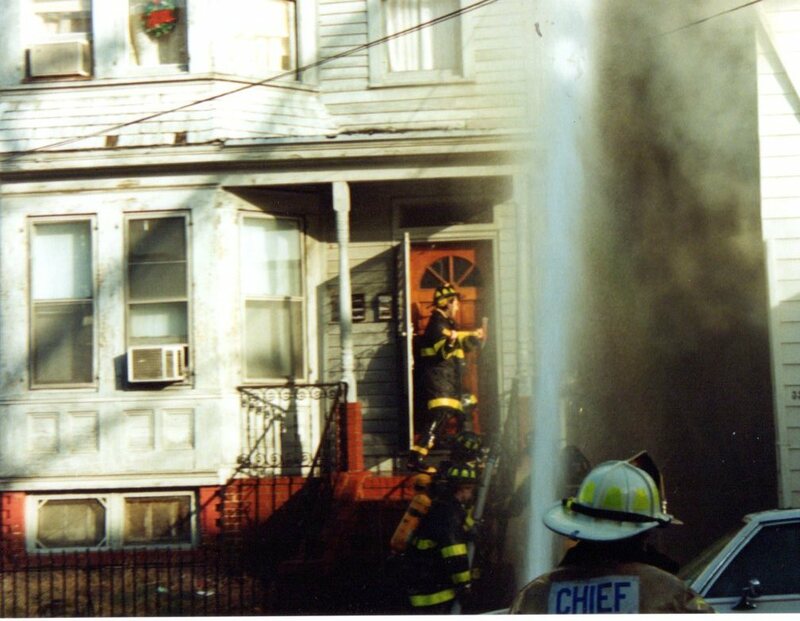 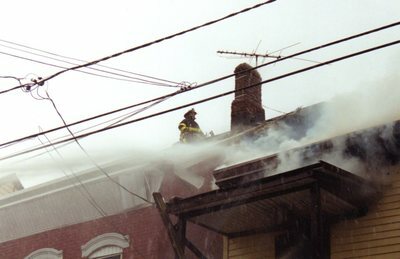 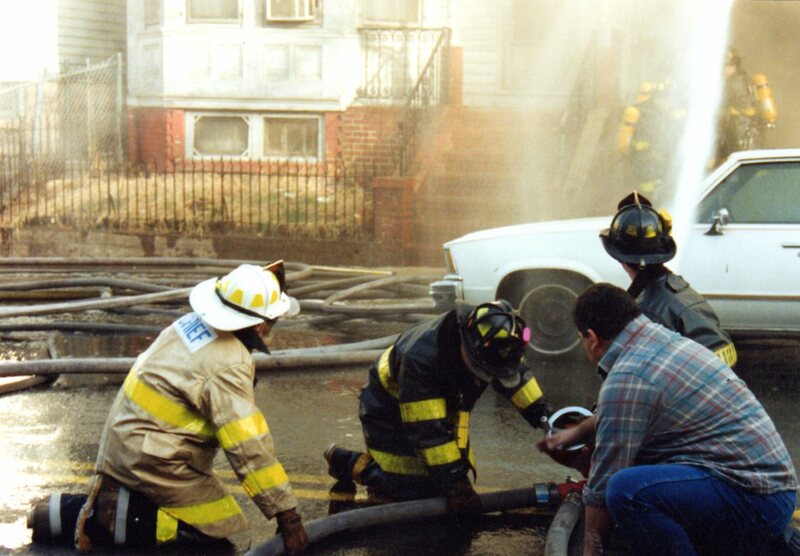 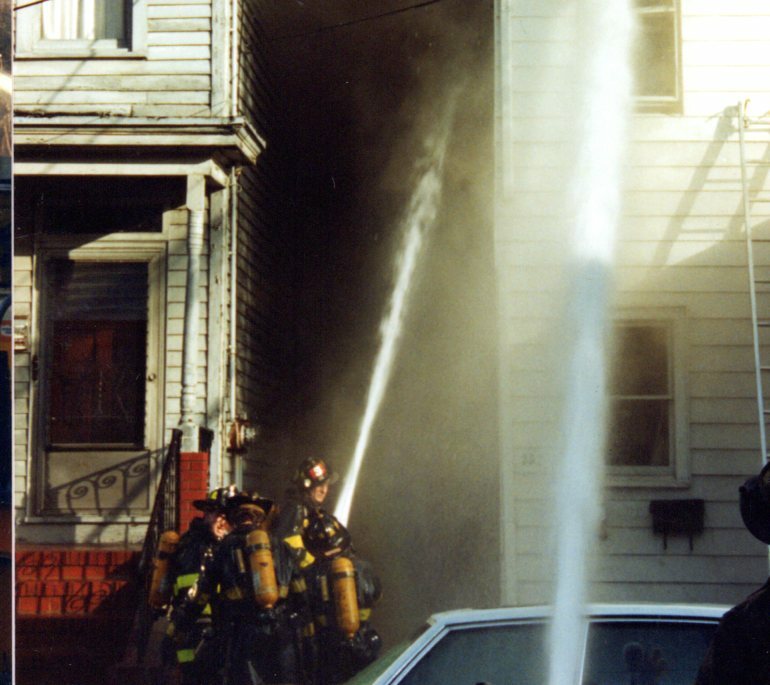 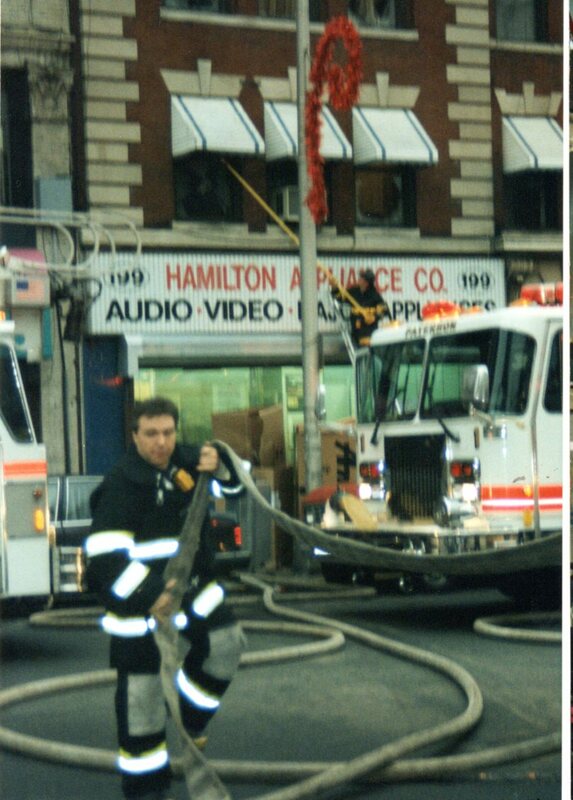 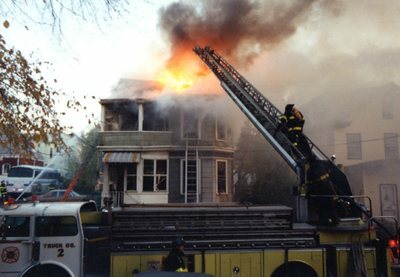 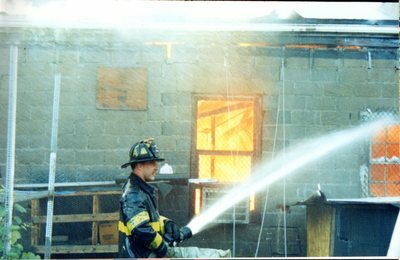 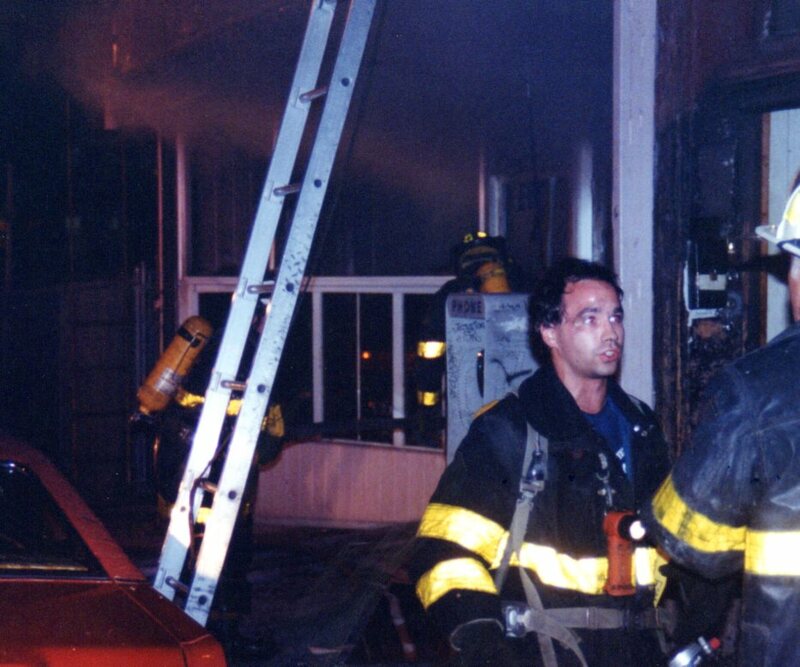 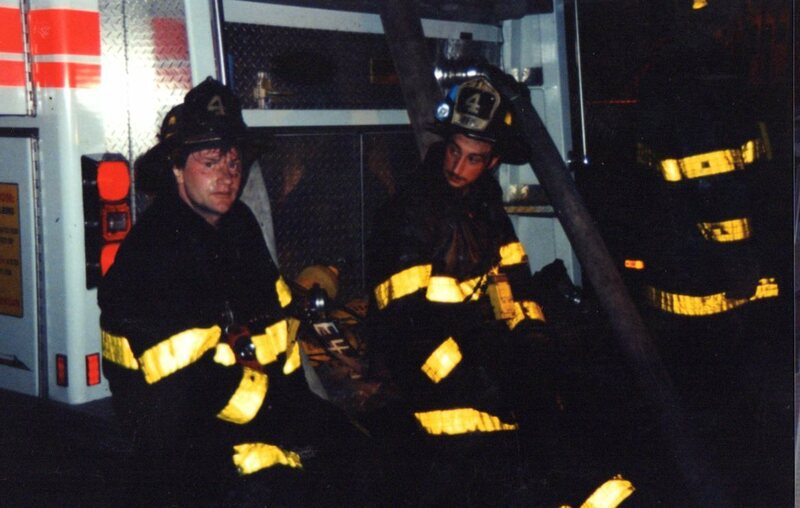 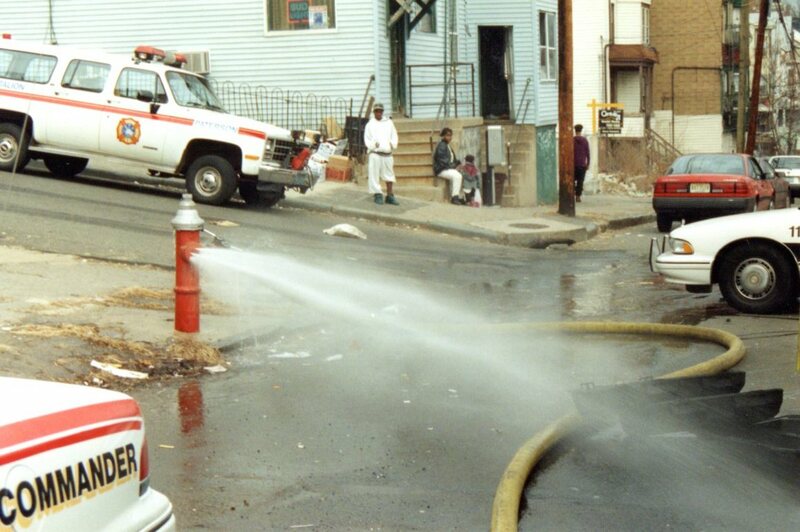 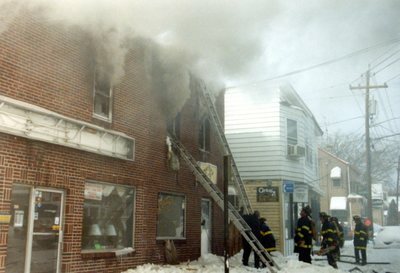 Oral history from FF Michael D'Arco. 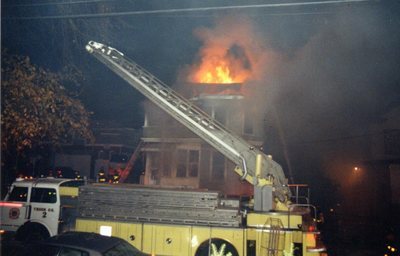 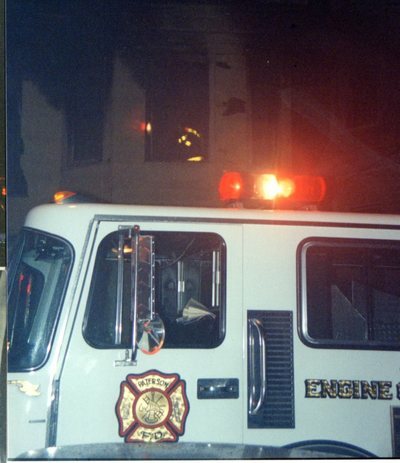 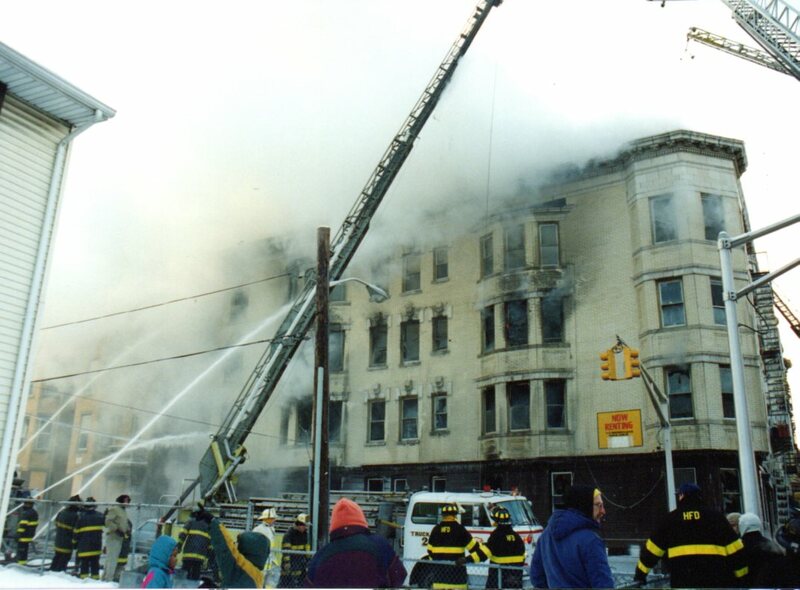 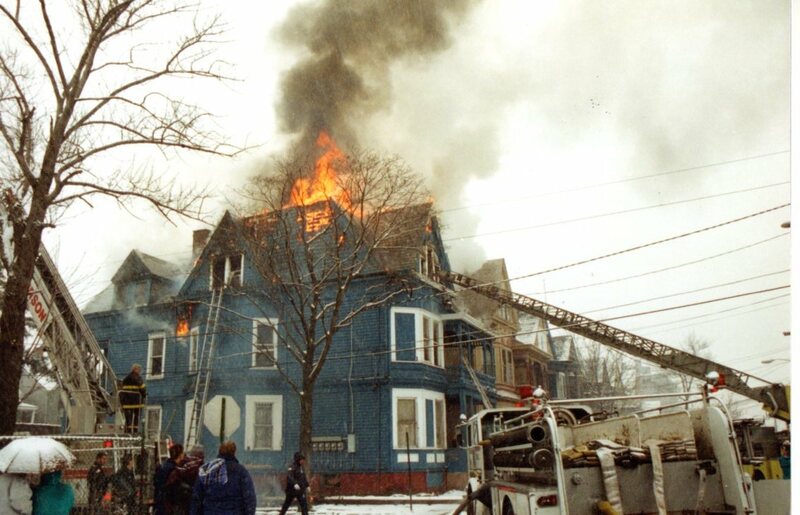 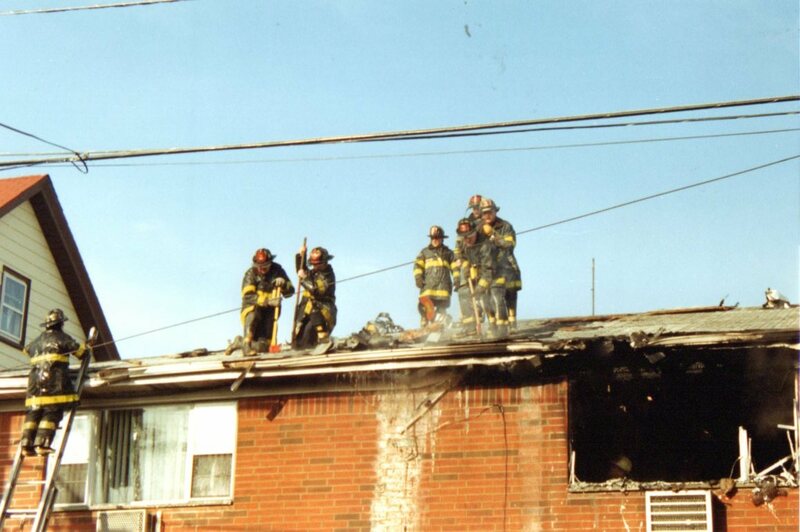 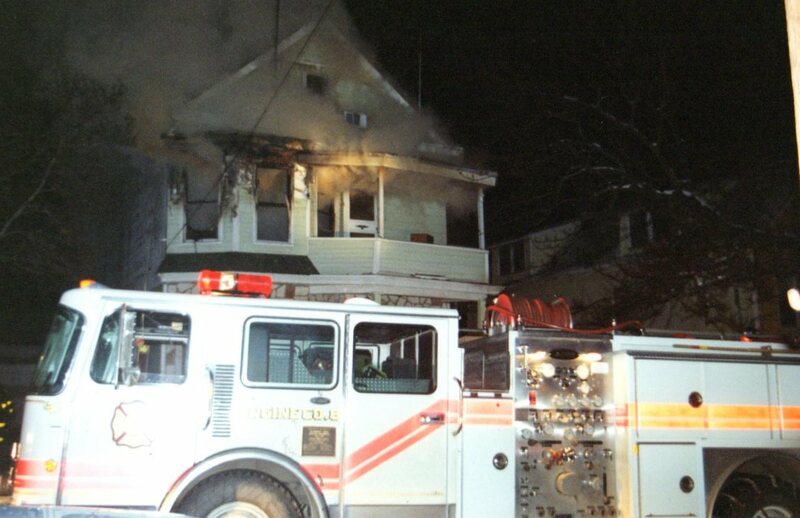 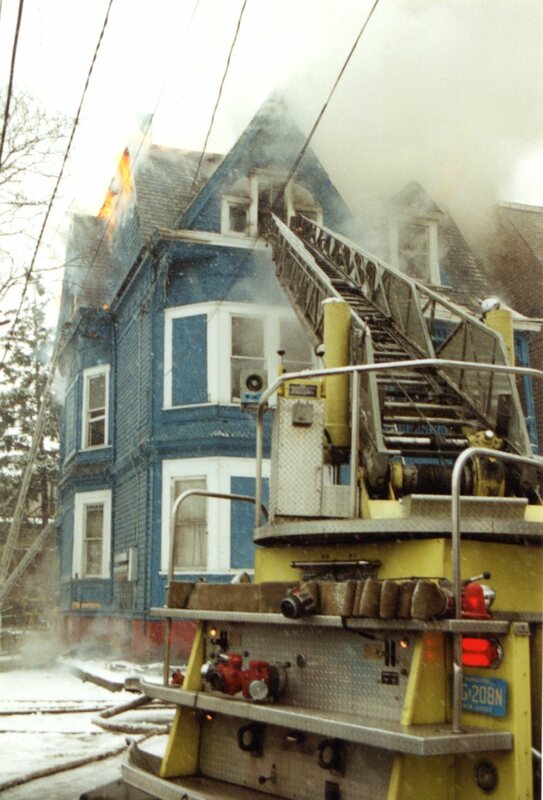 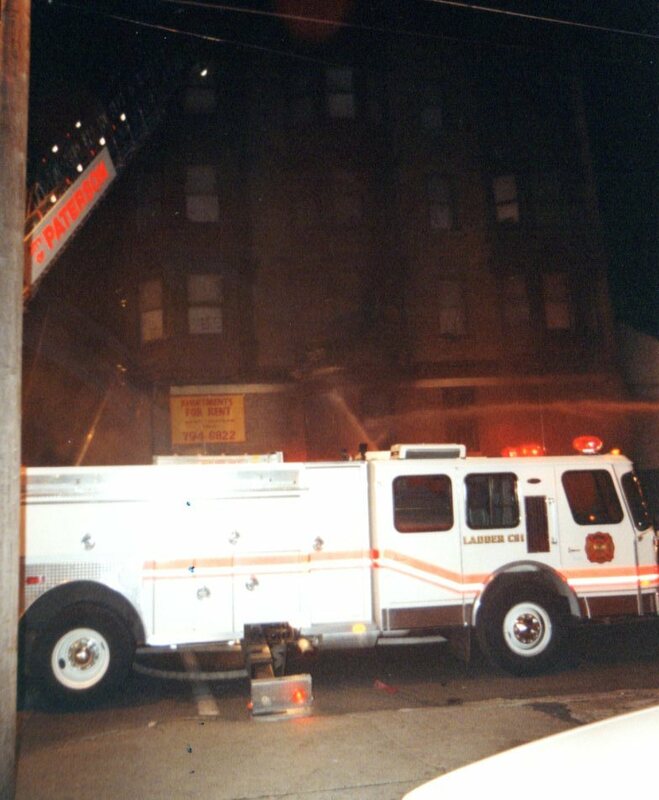 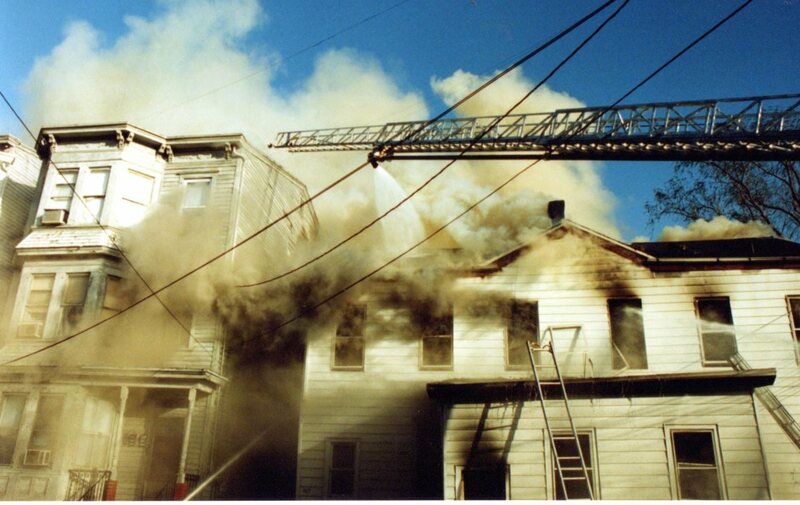 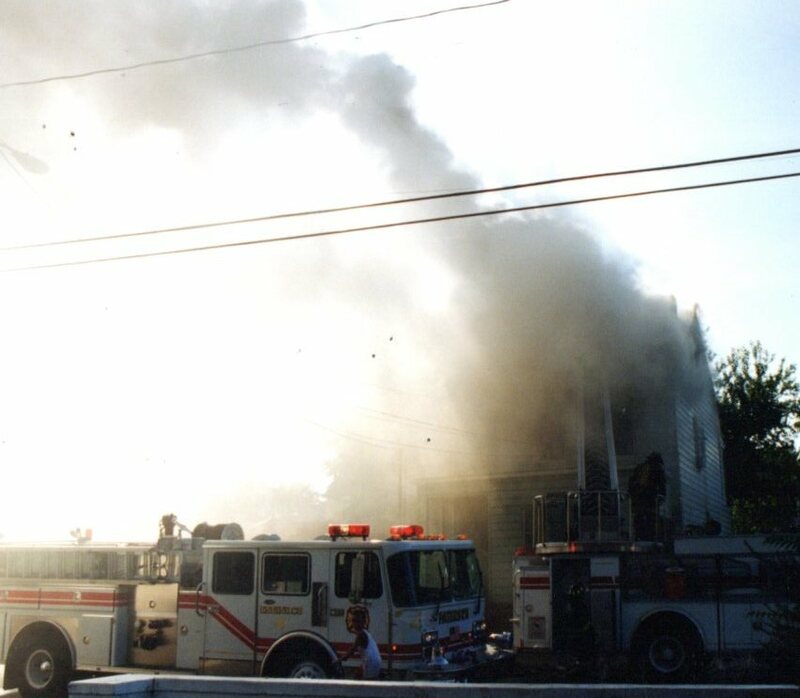 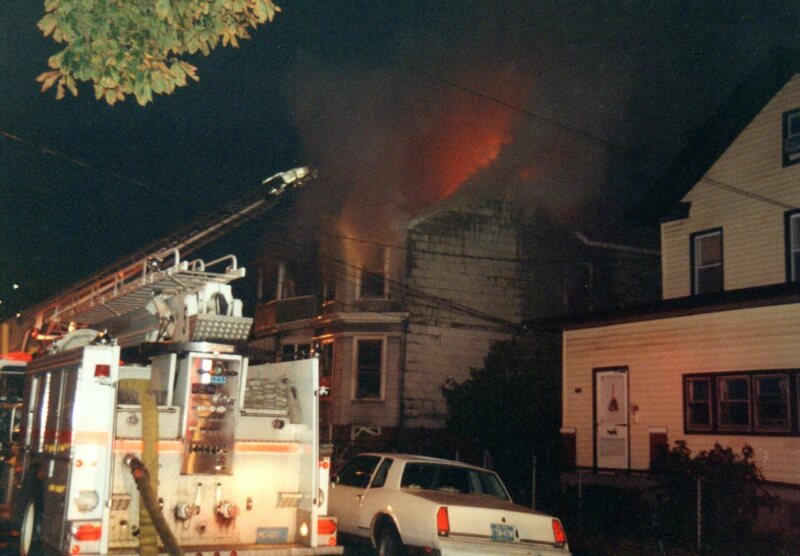 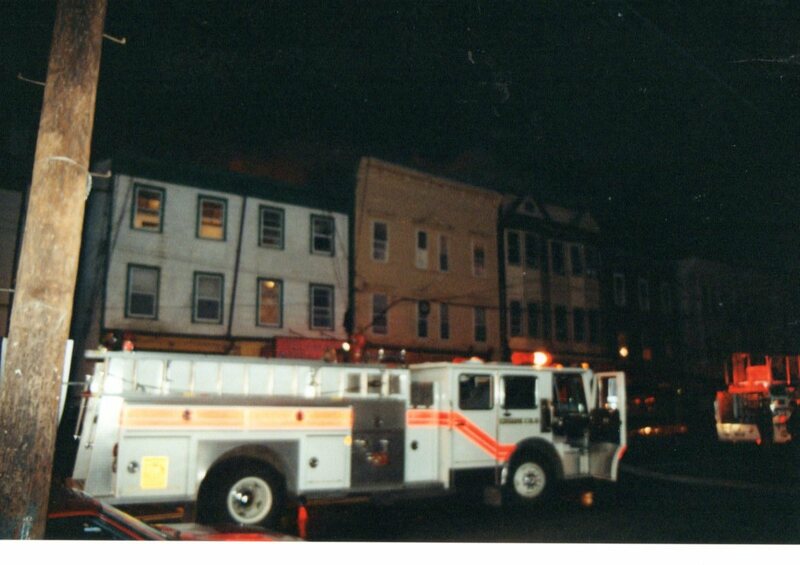 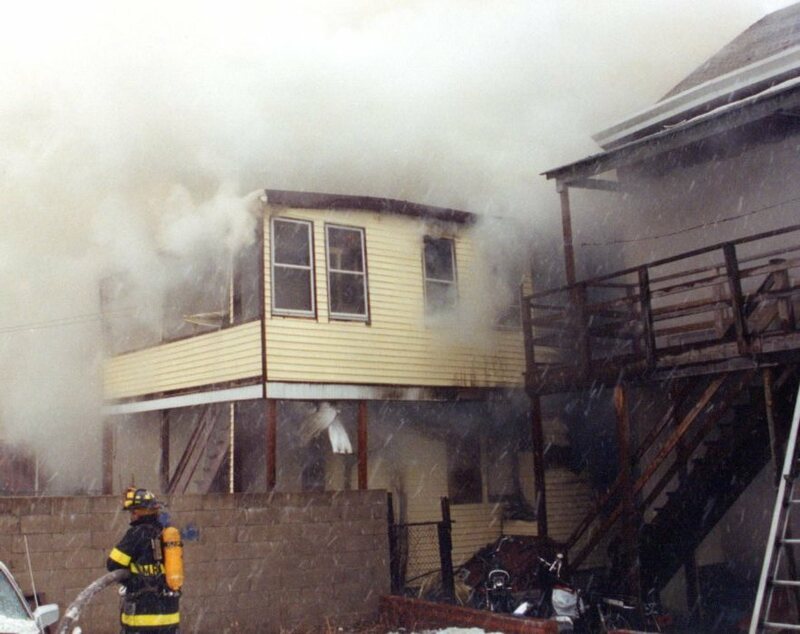 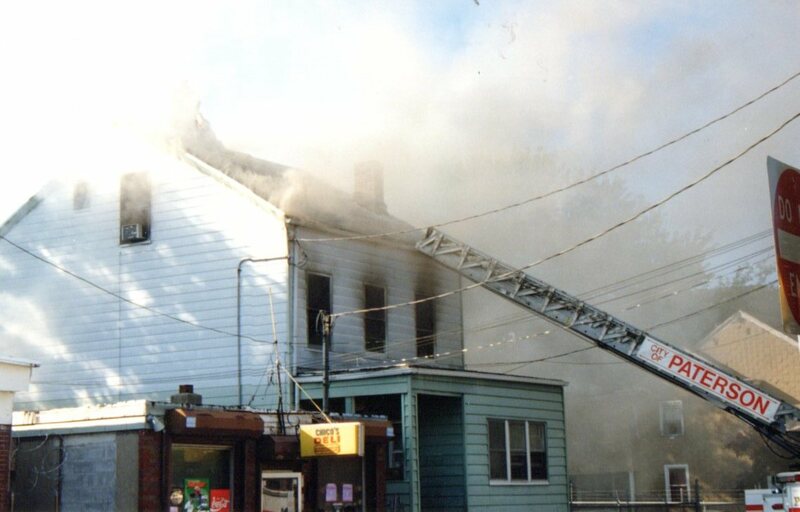 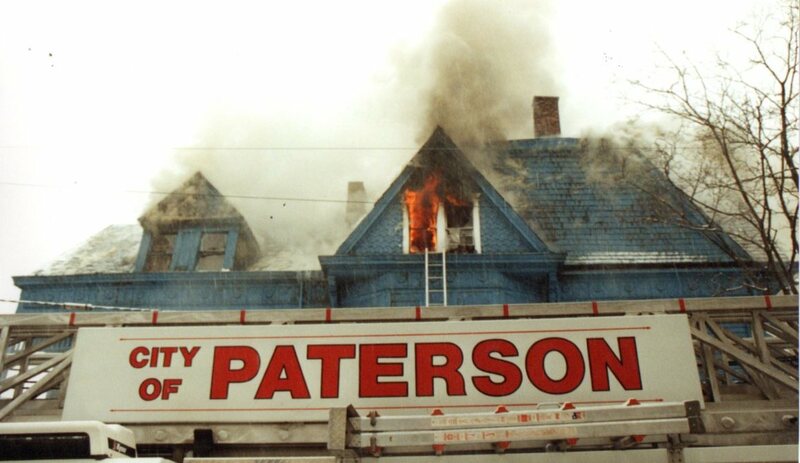 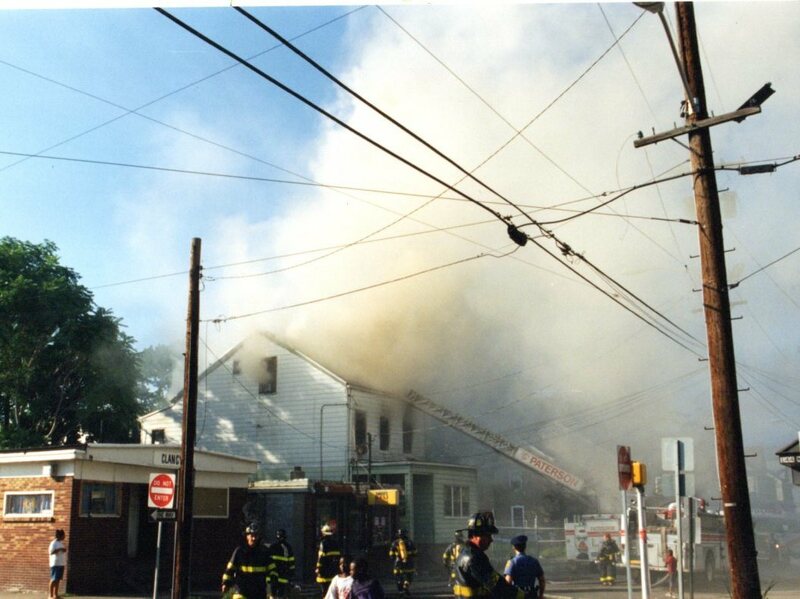 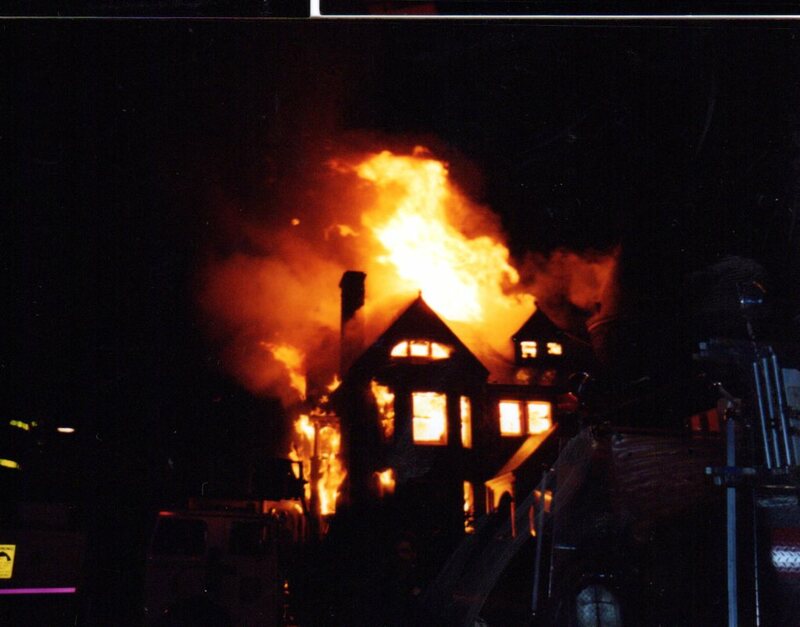 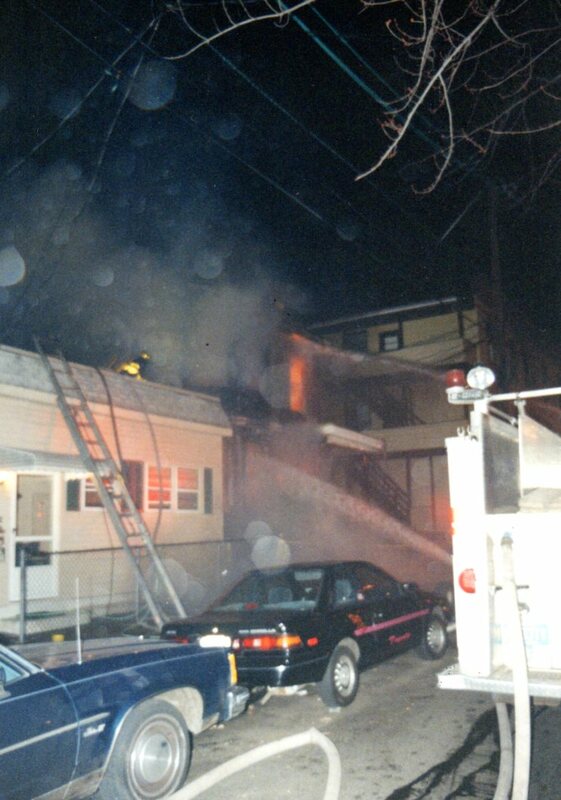 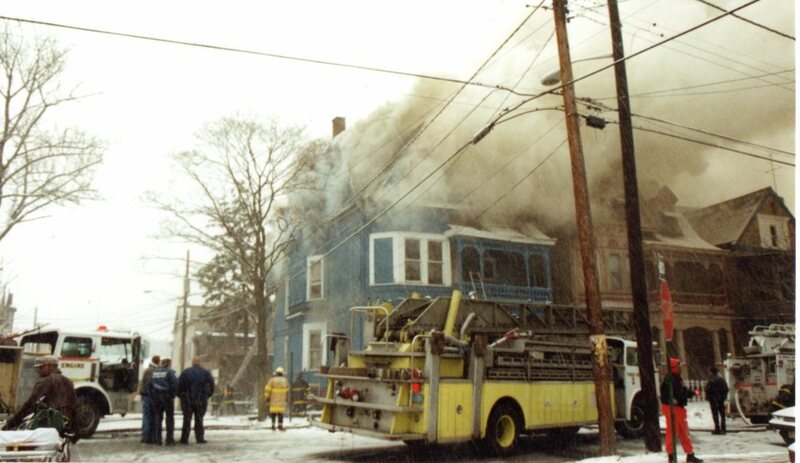 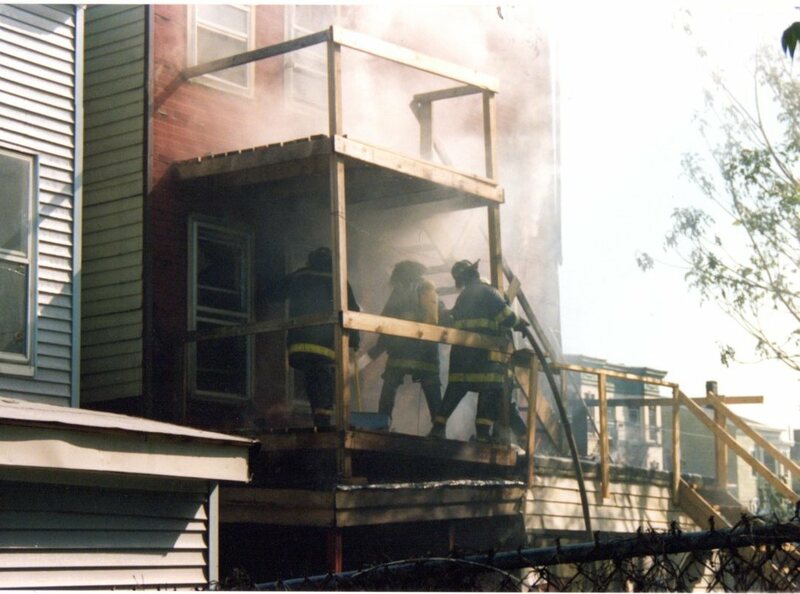 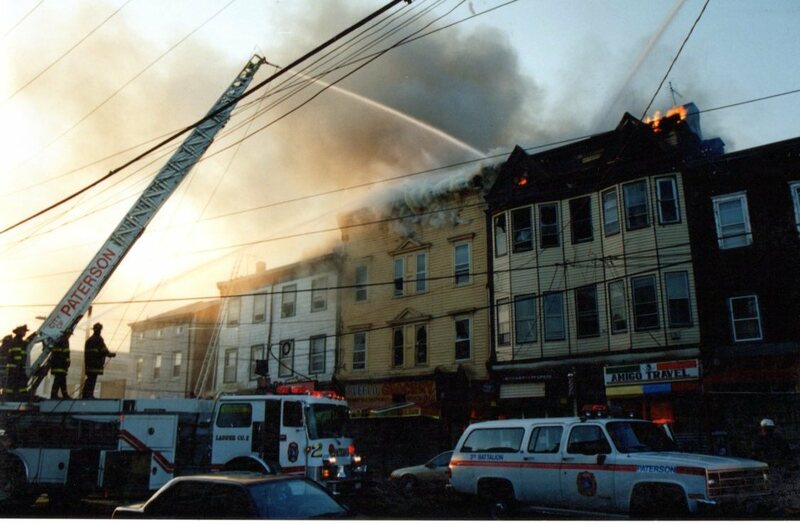 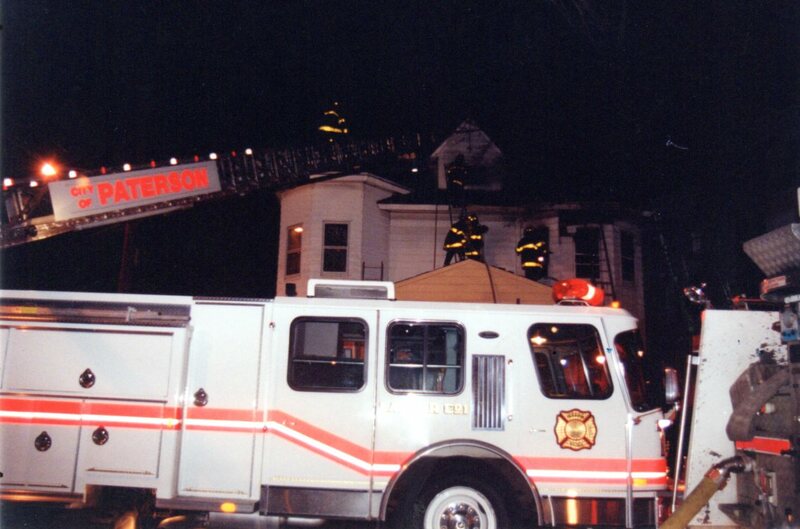 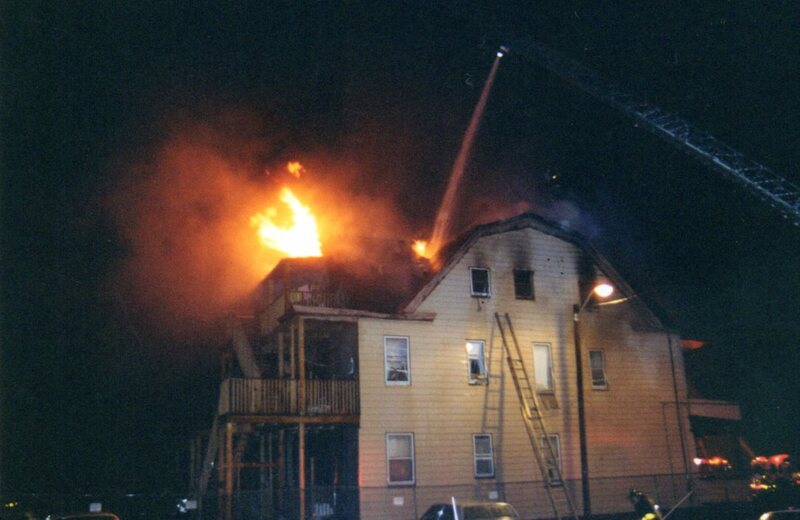 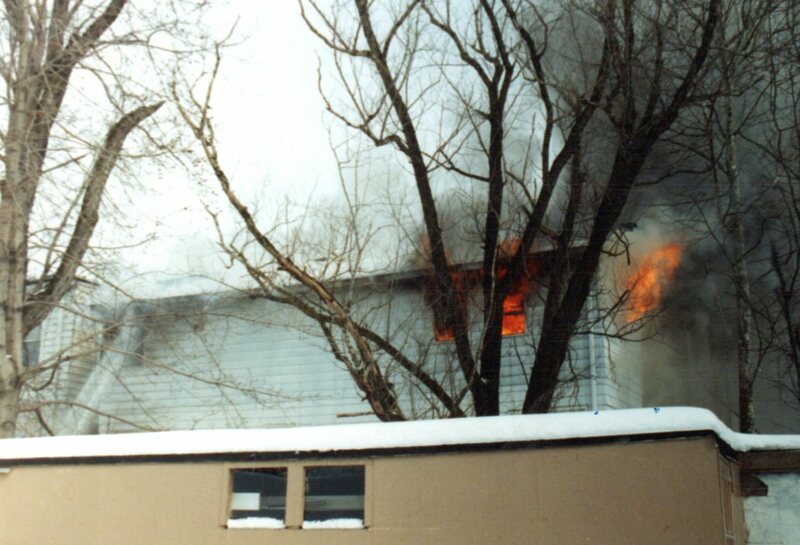 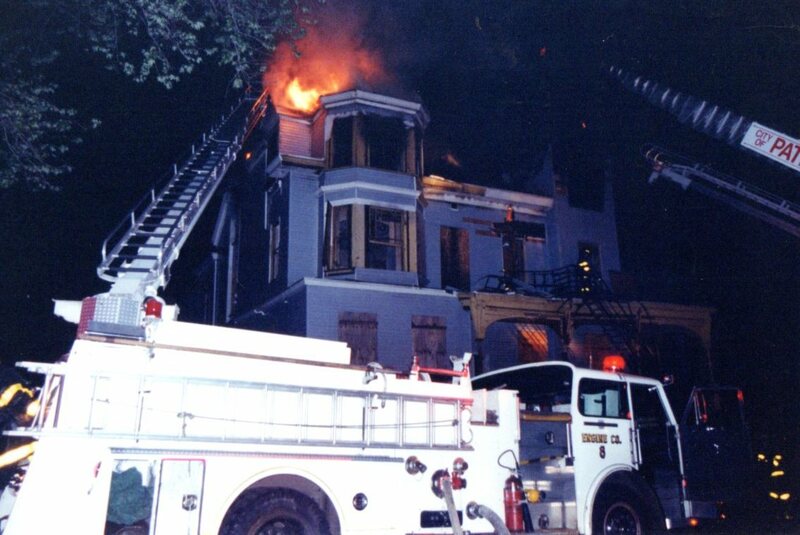 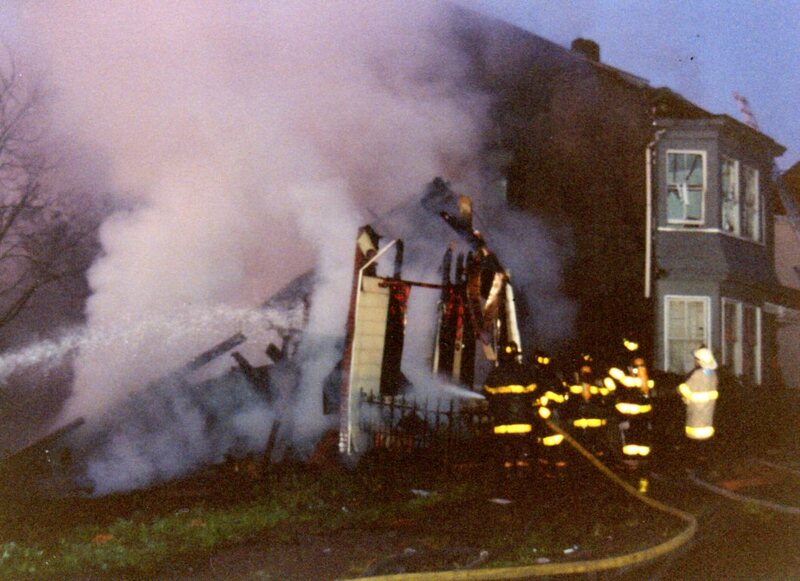 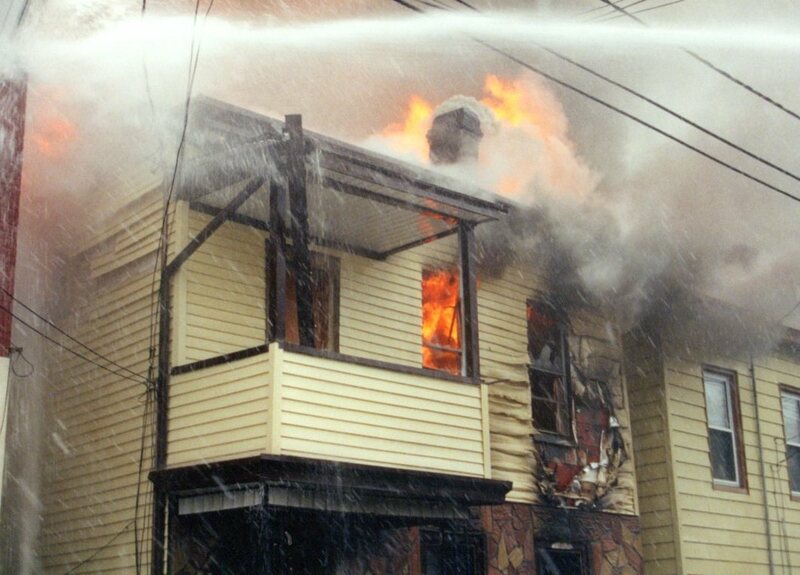 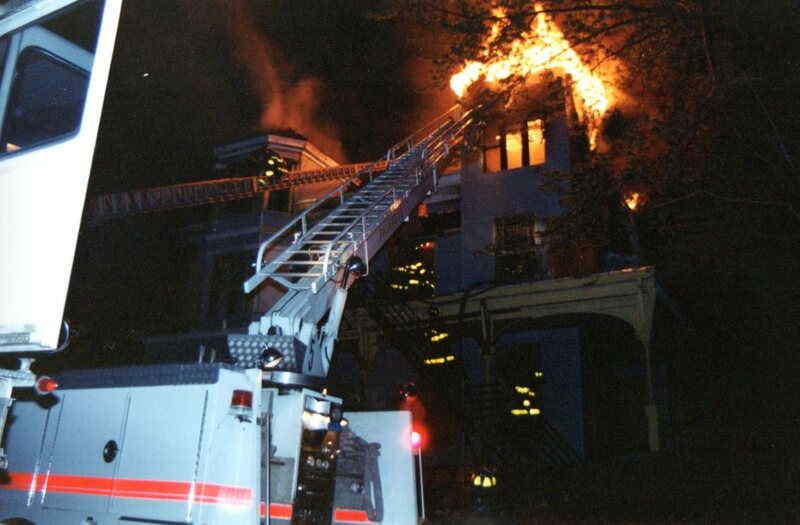 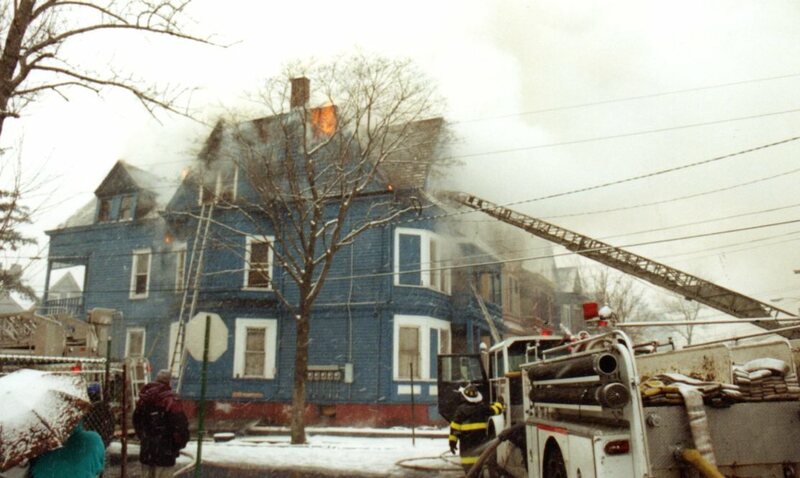 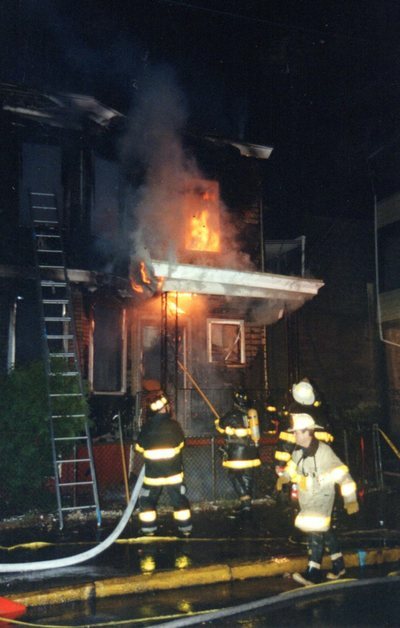 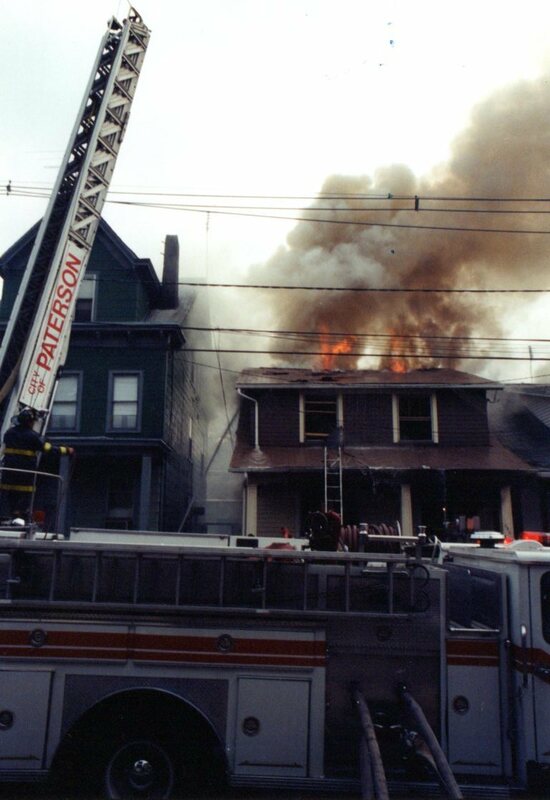 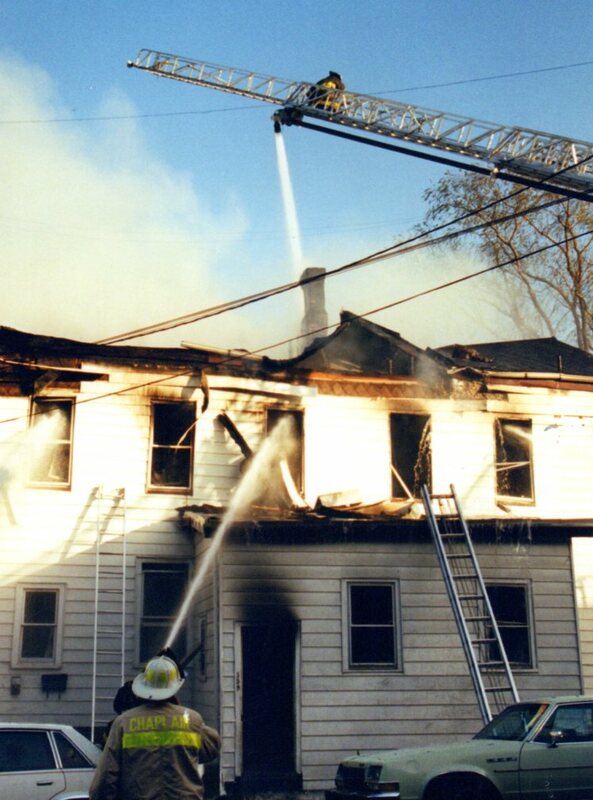 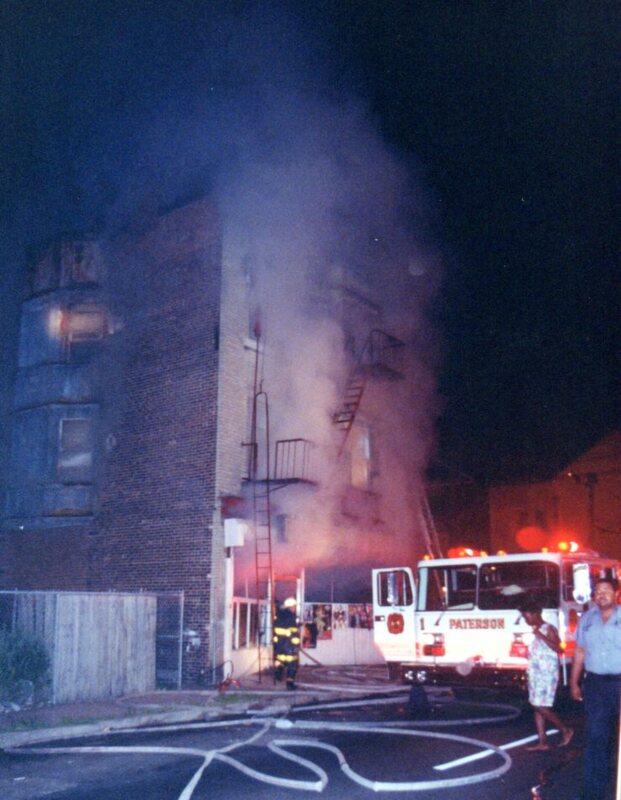 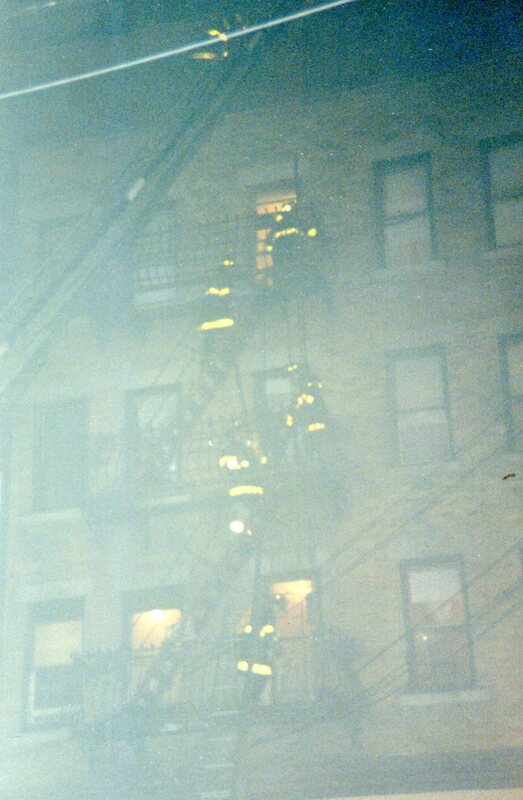 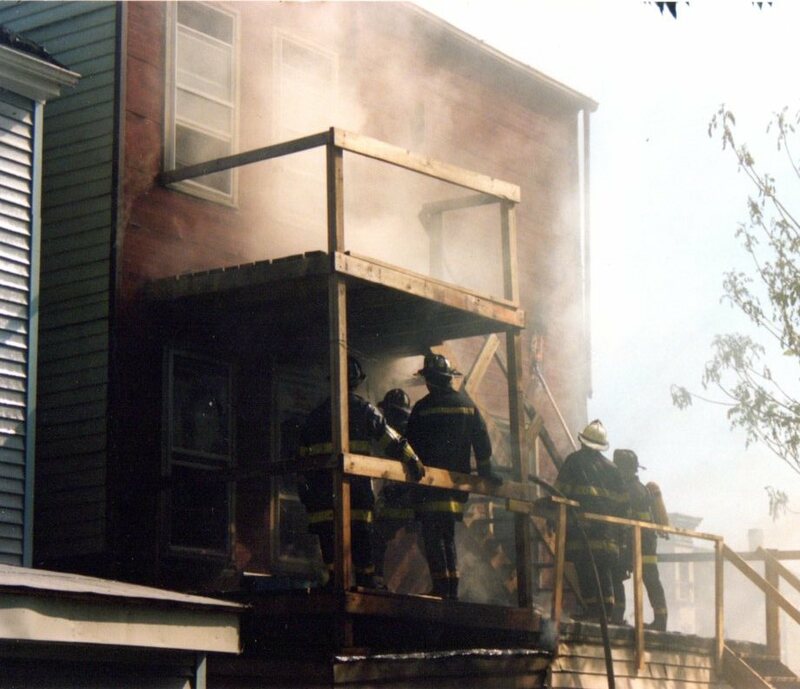 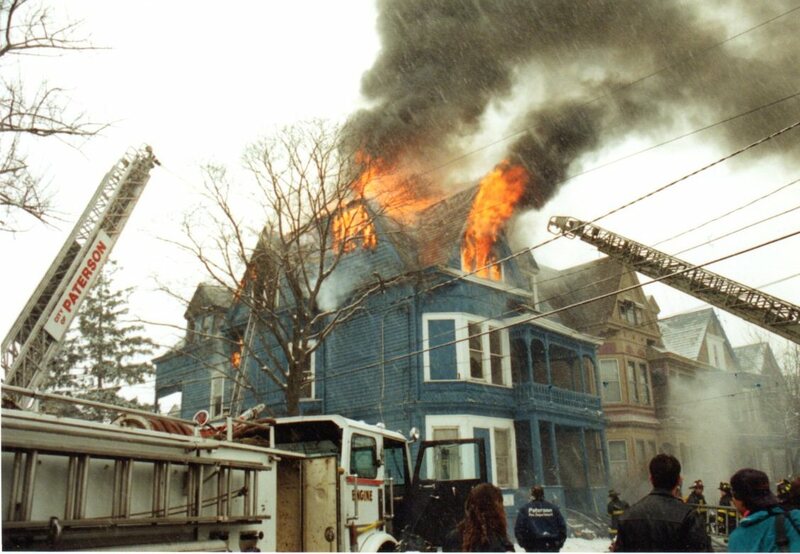 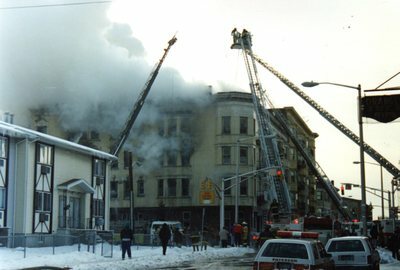 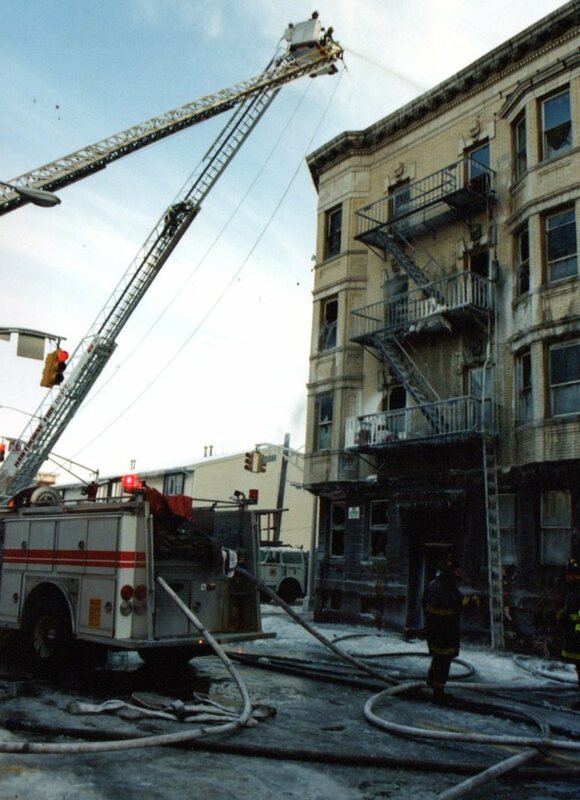 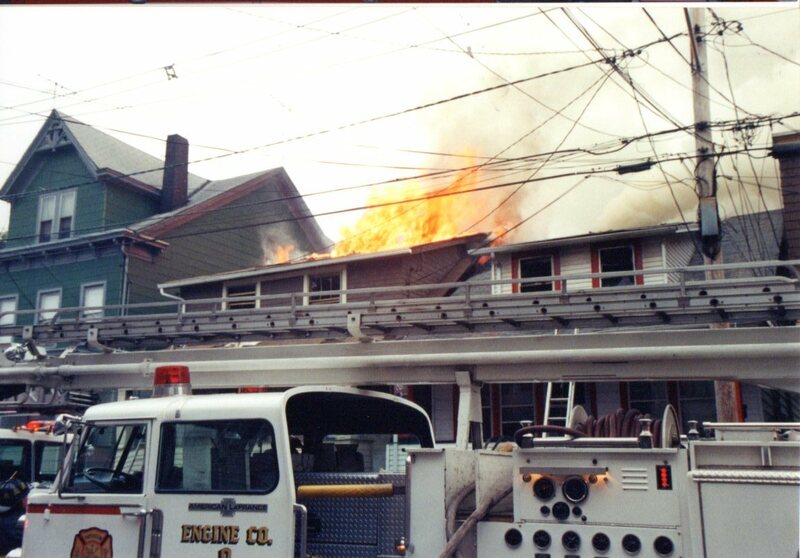 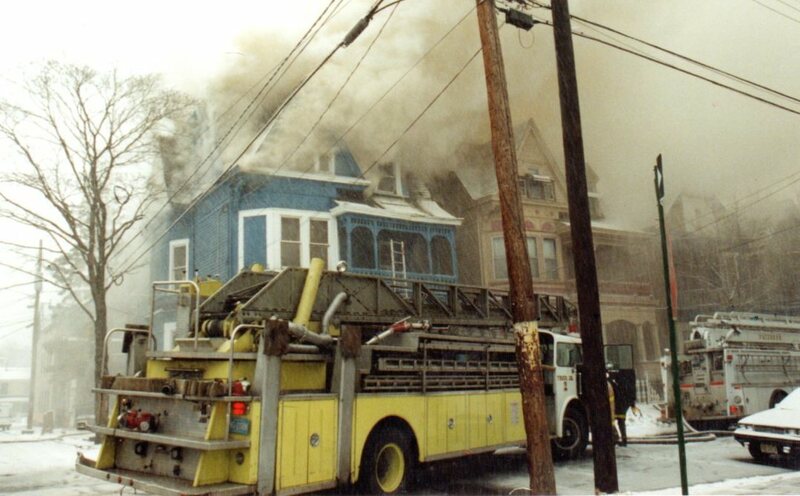 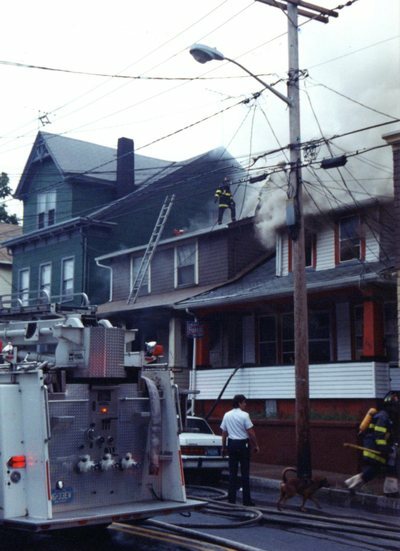 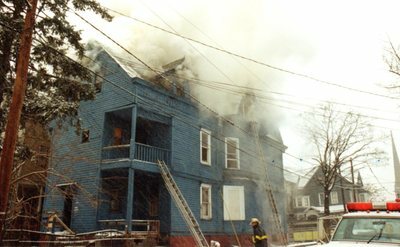 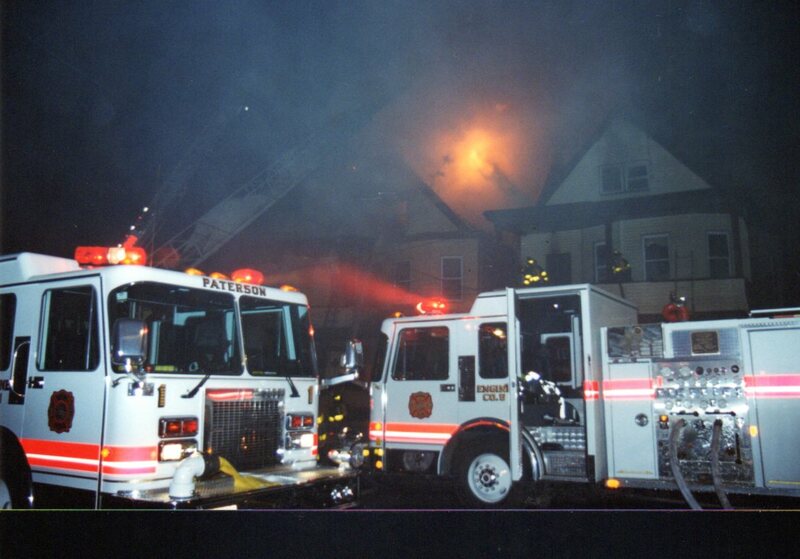 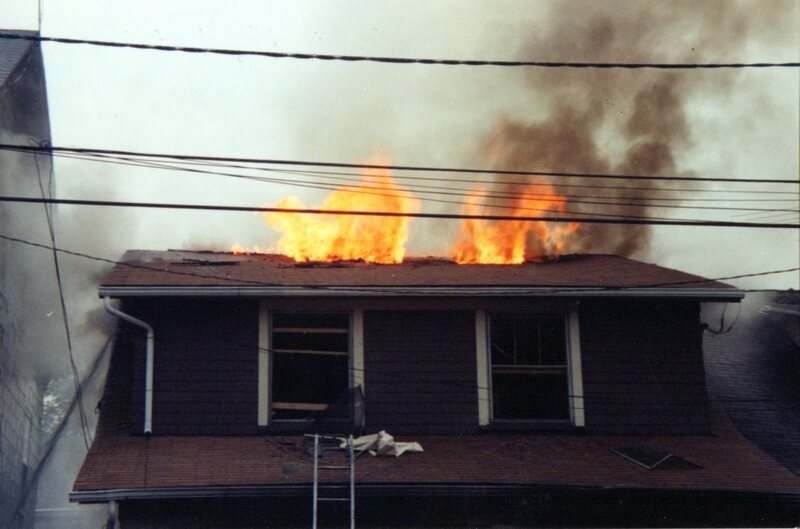 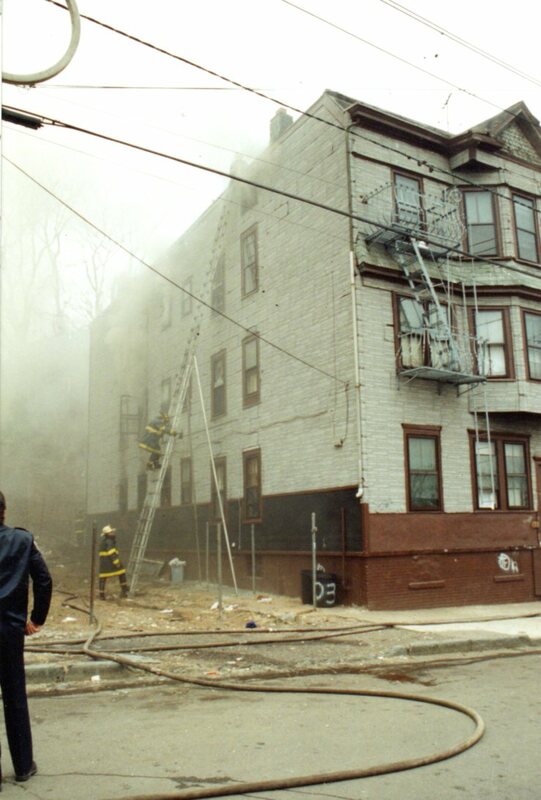 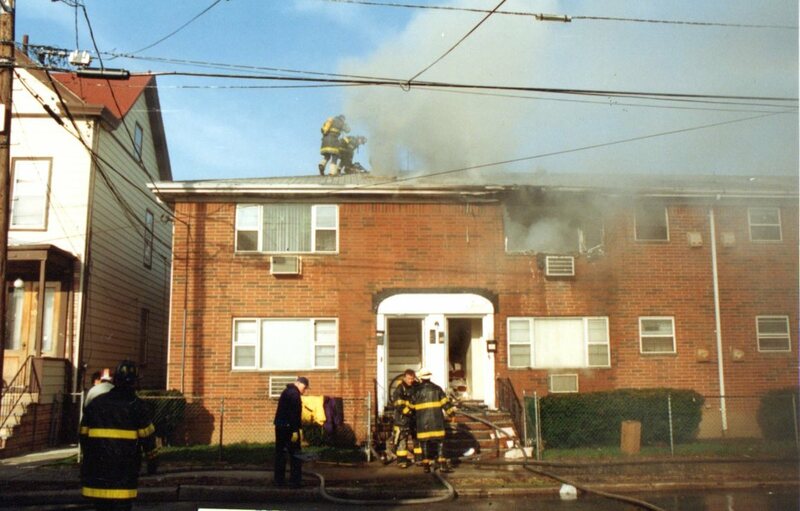 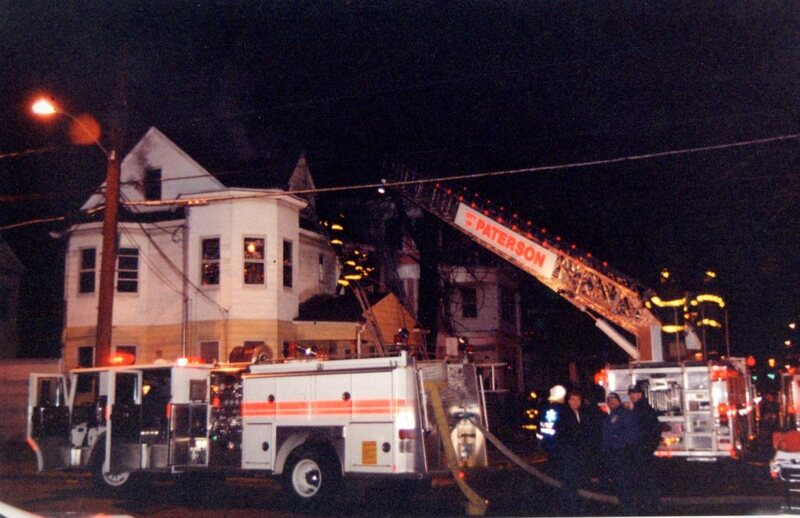 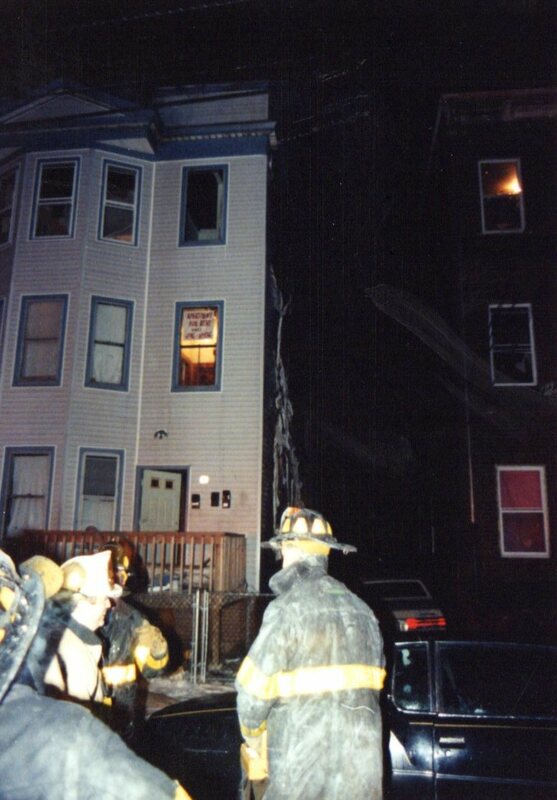 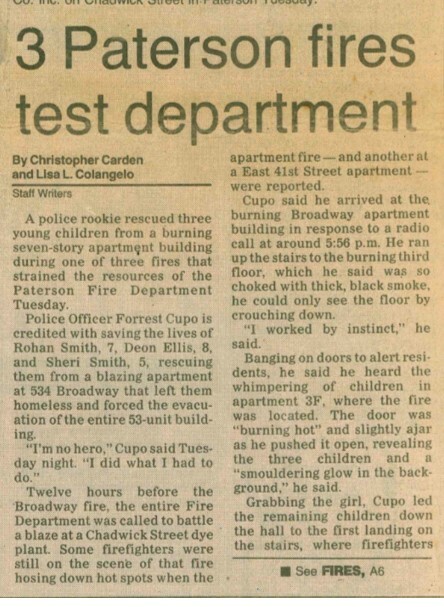 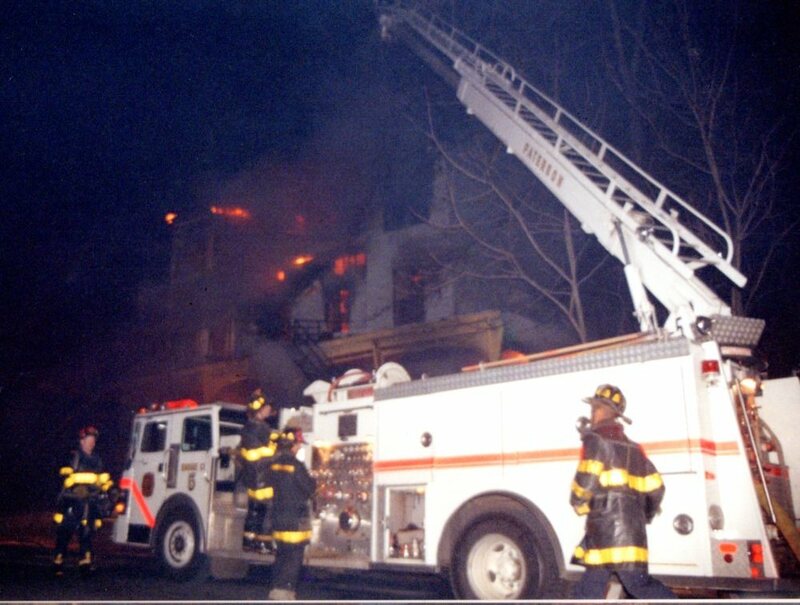 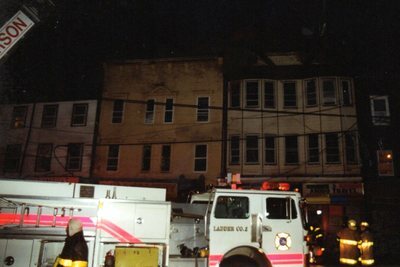 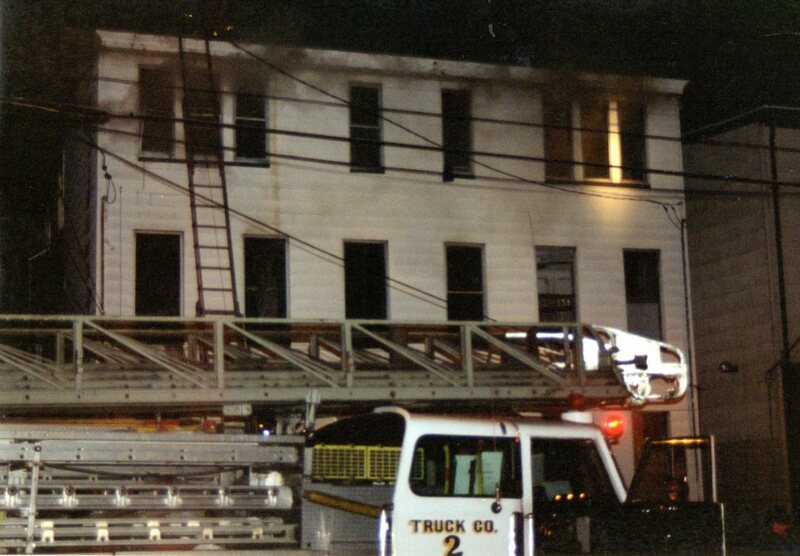 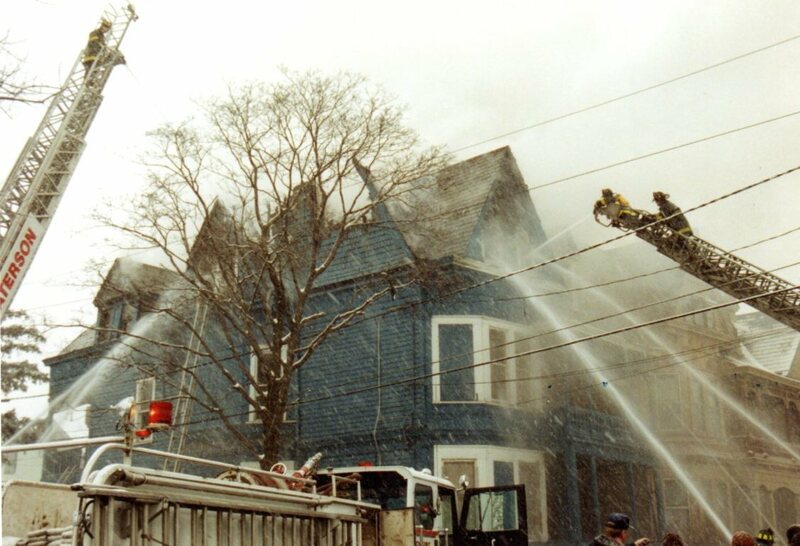 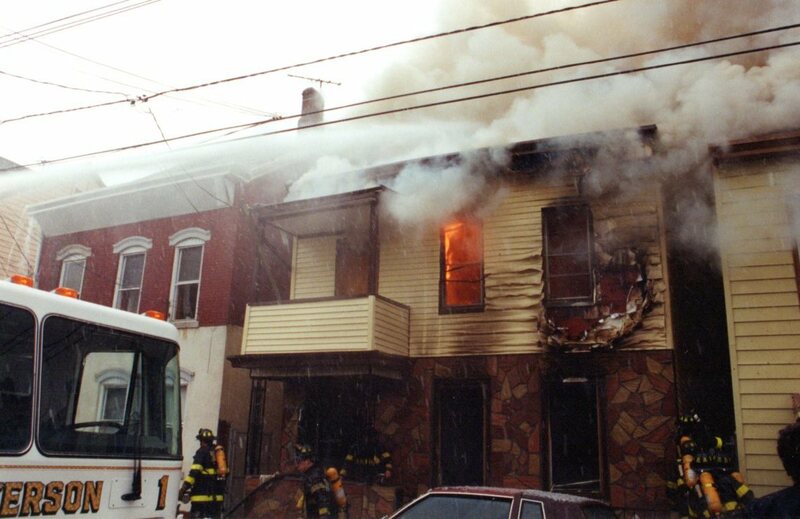 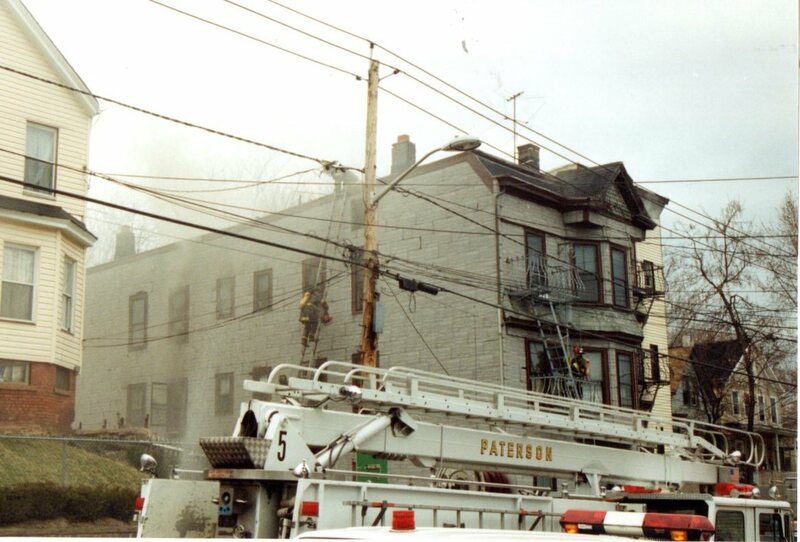 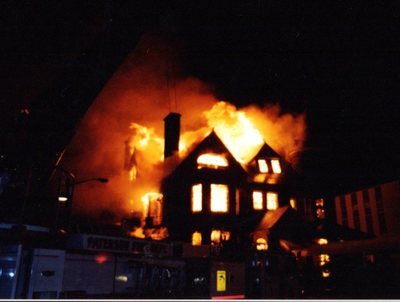 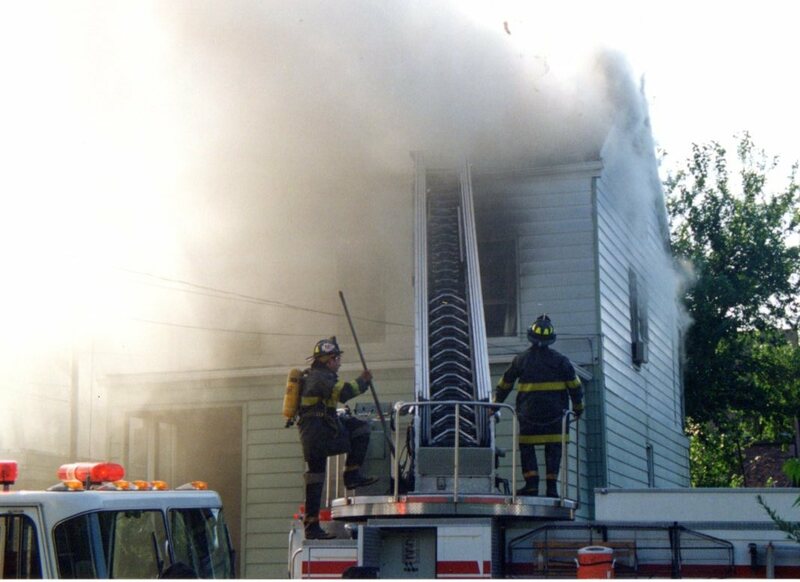 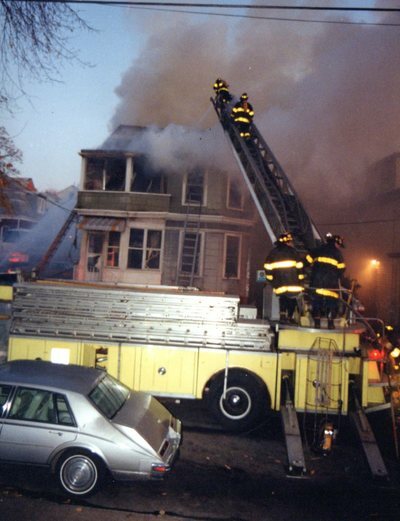 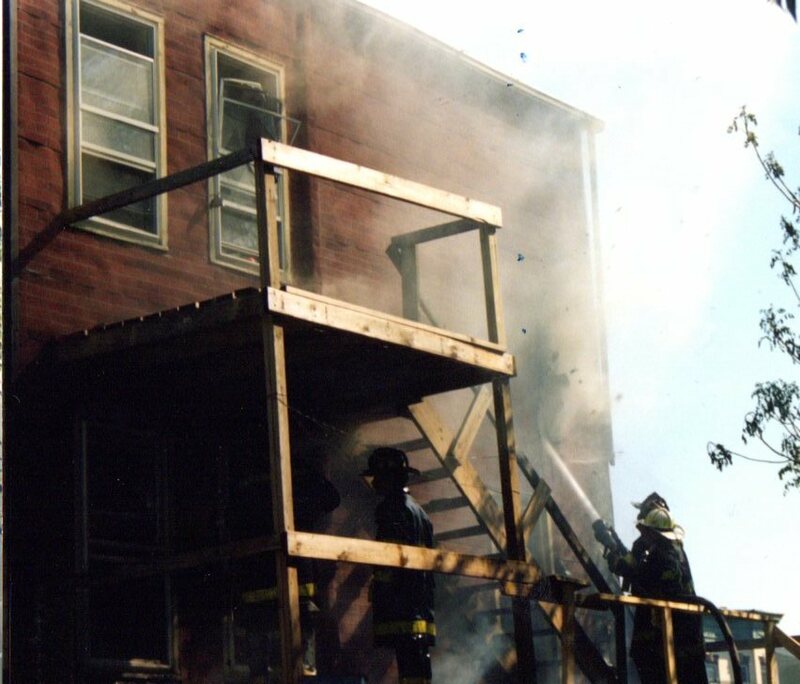 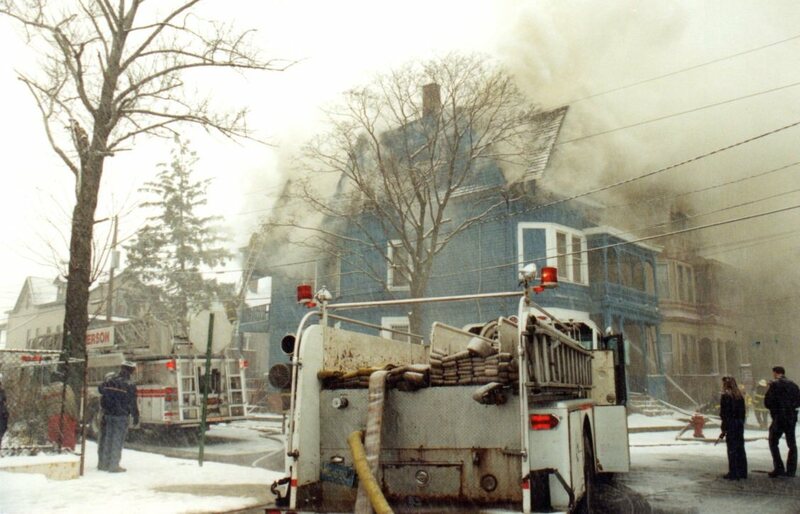 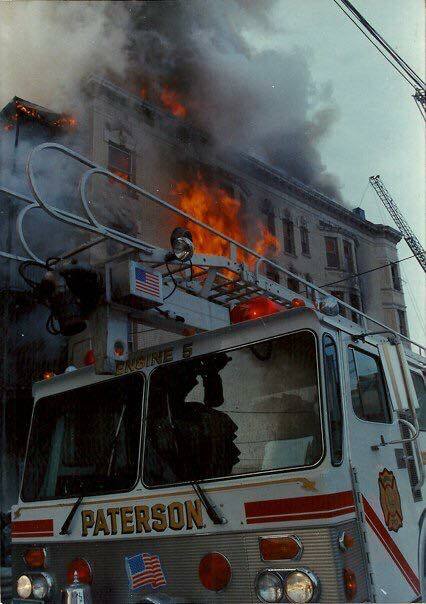 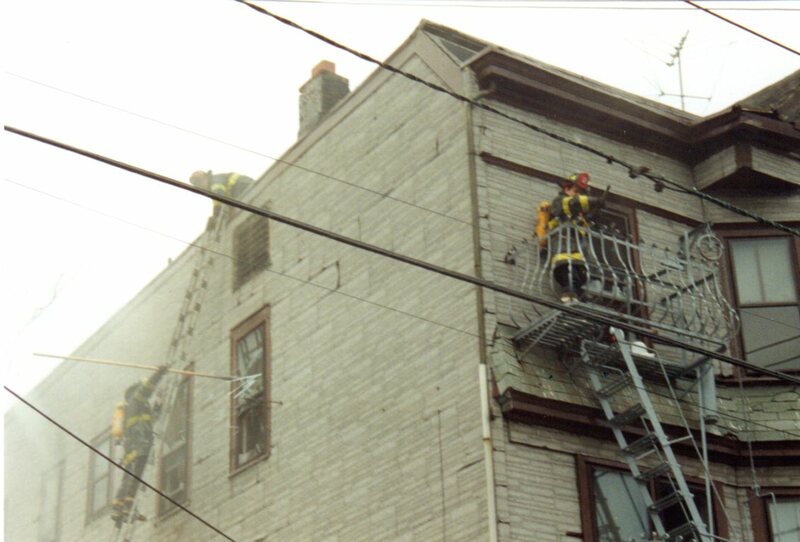 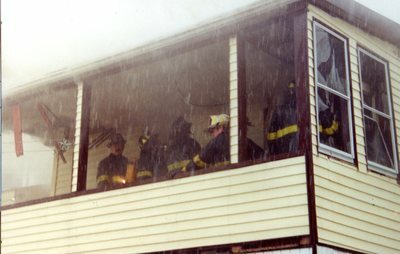 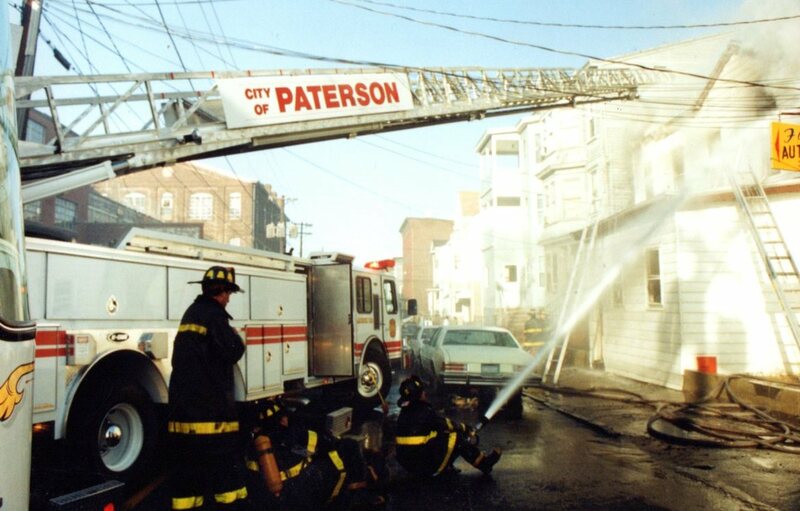 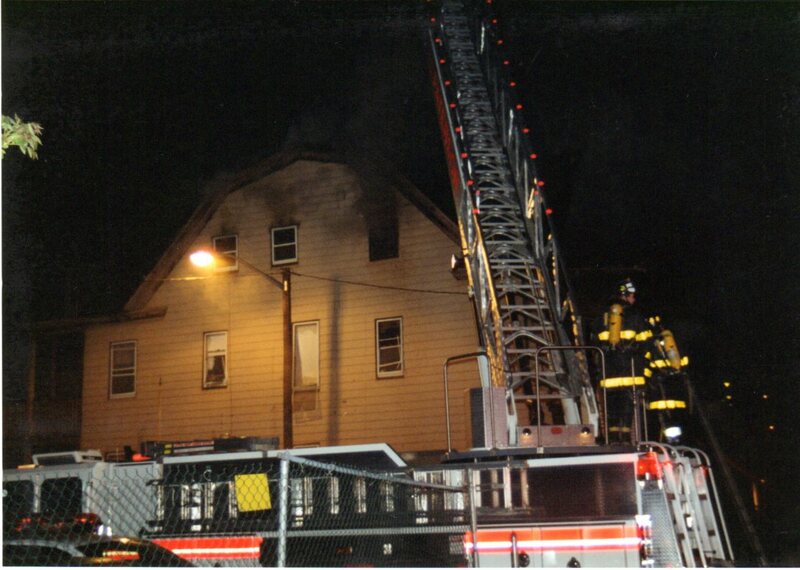 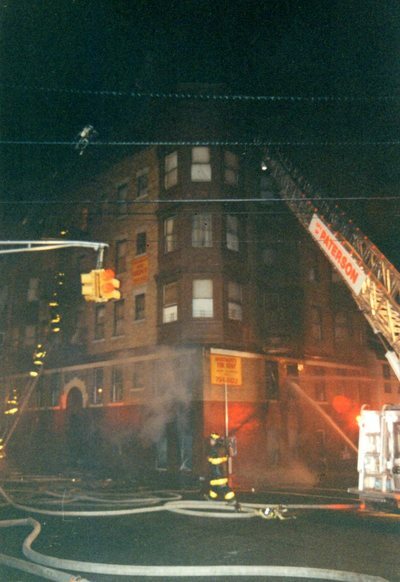 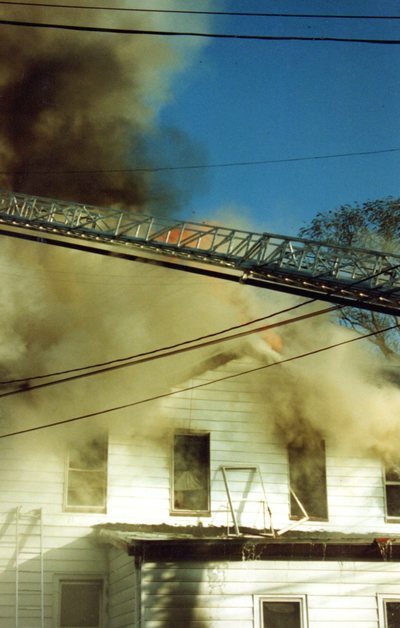 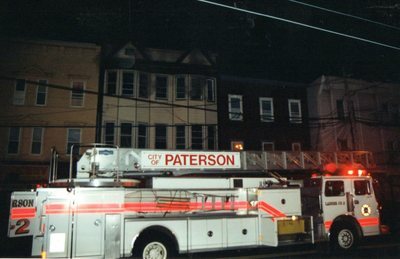 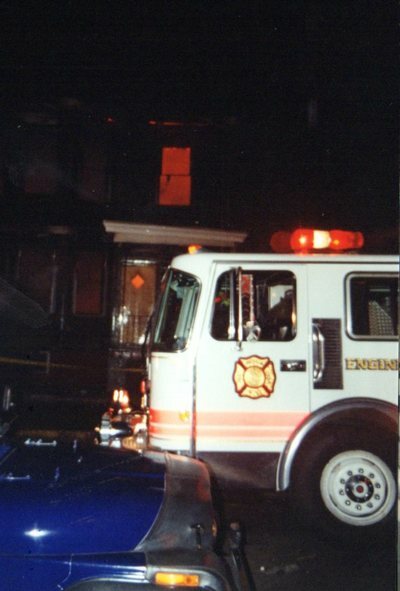 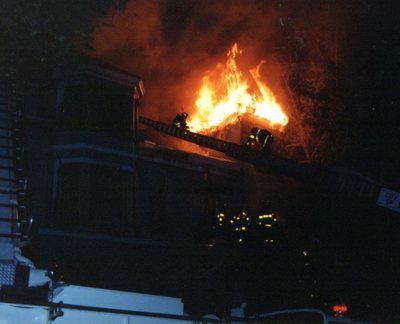 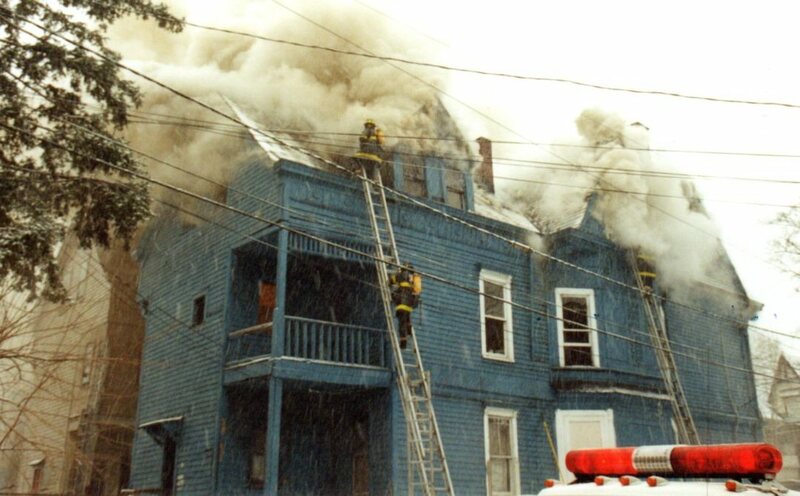 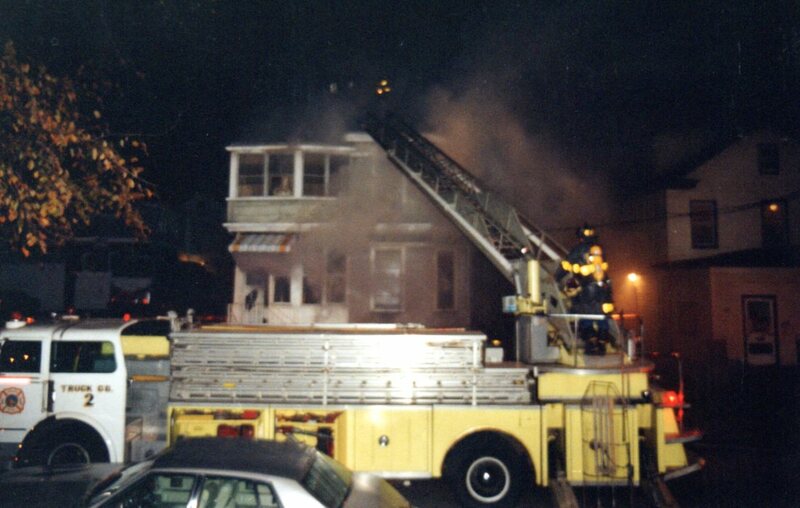 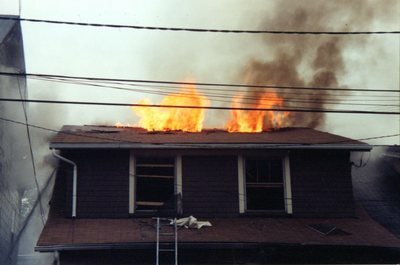 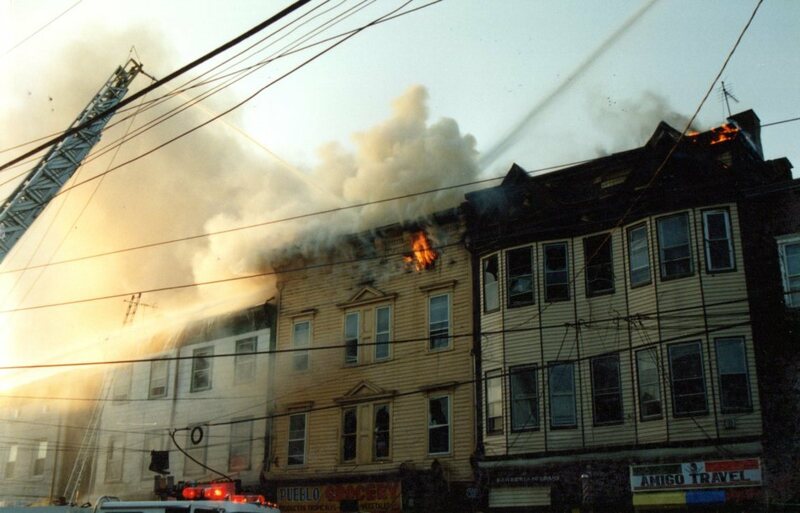 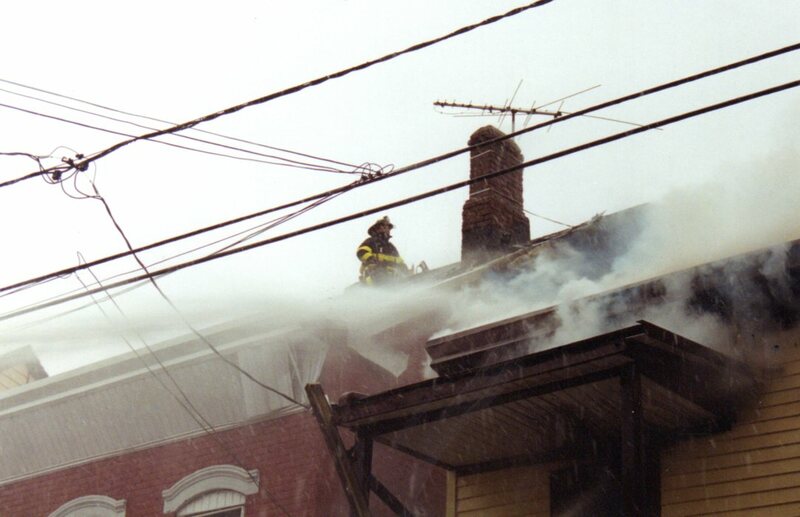 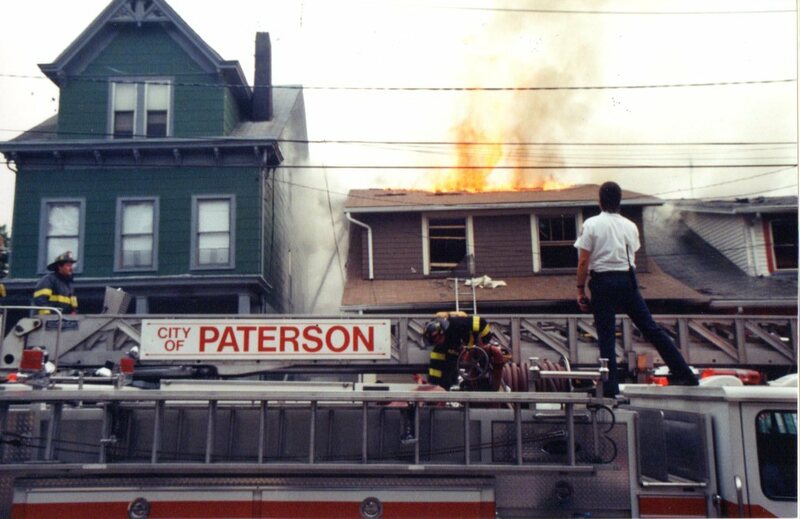 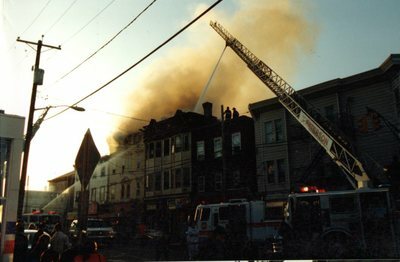 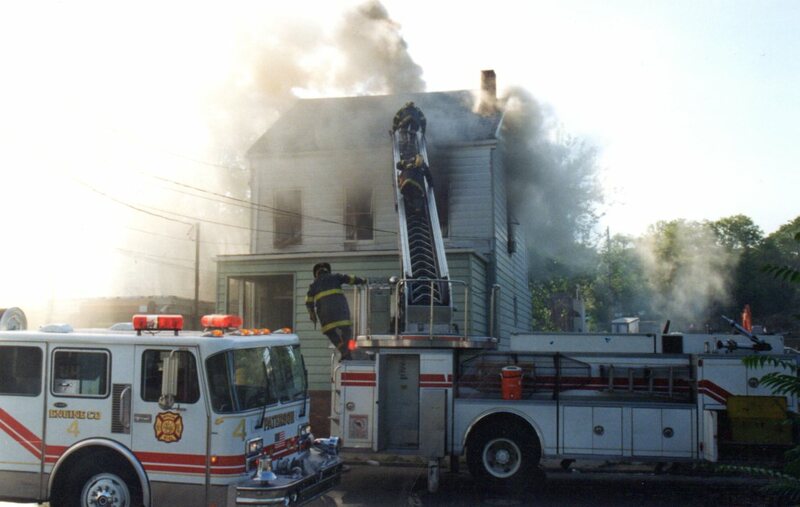 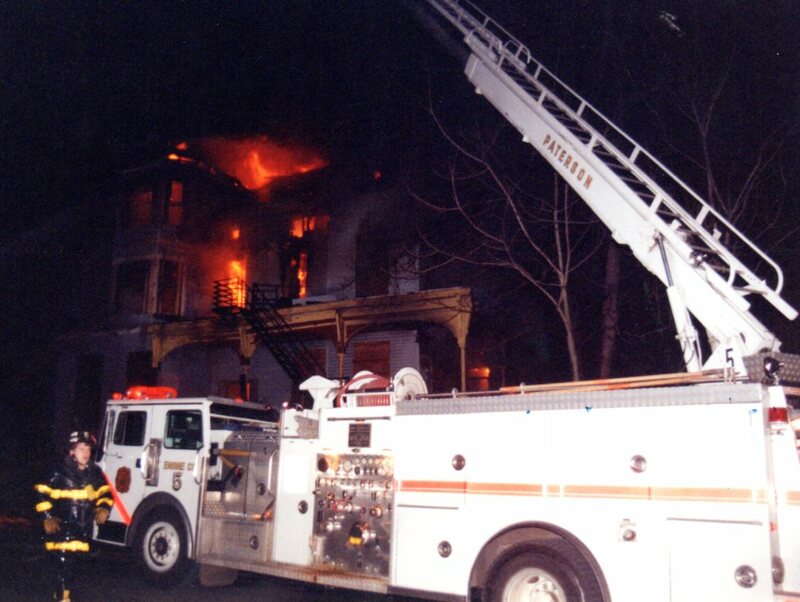 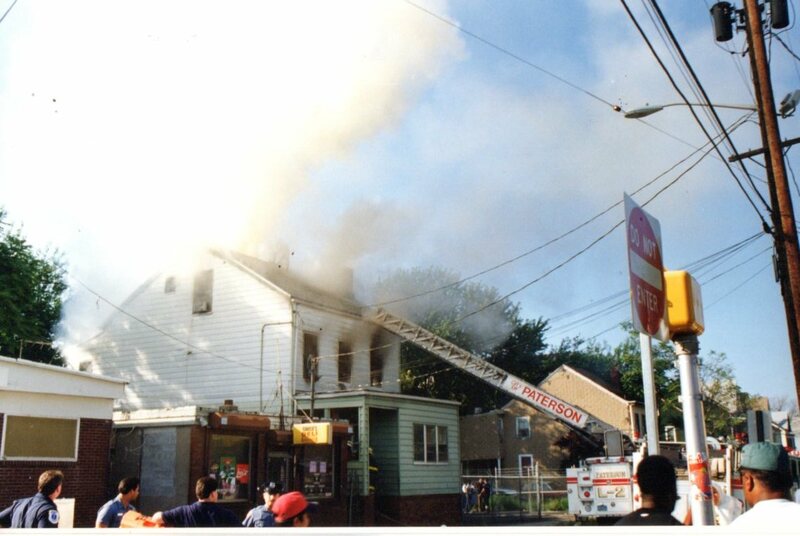 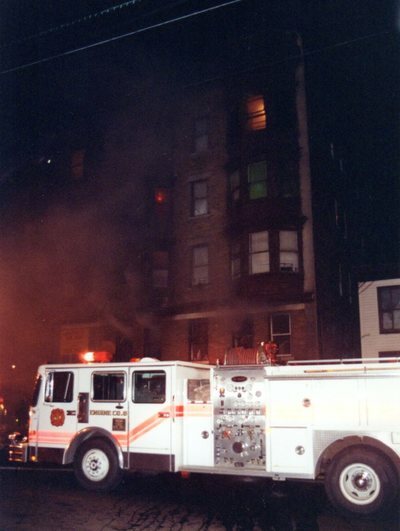 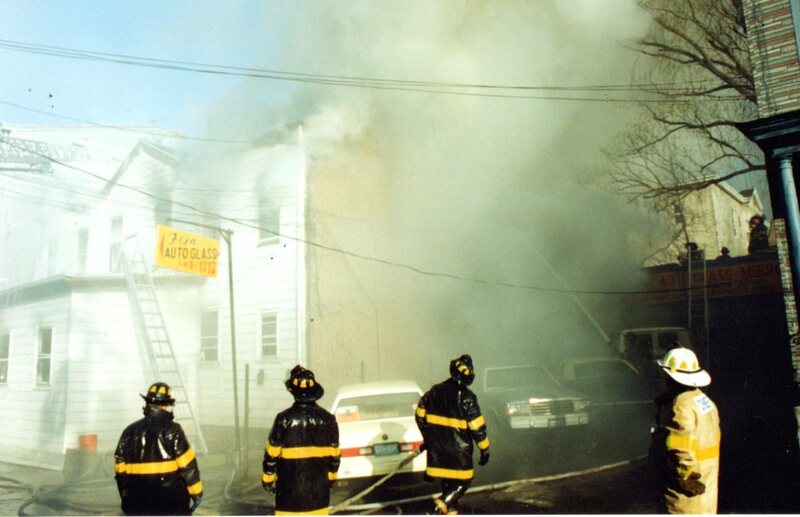 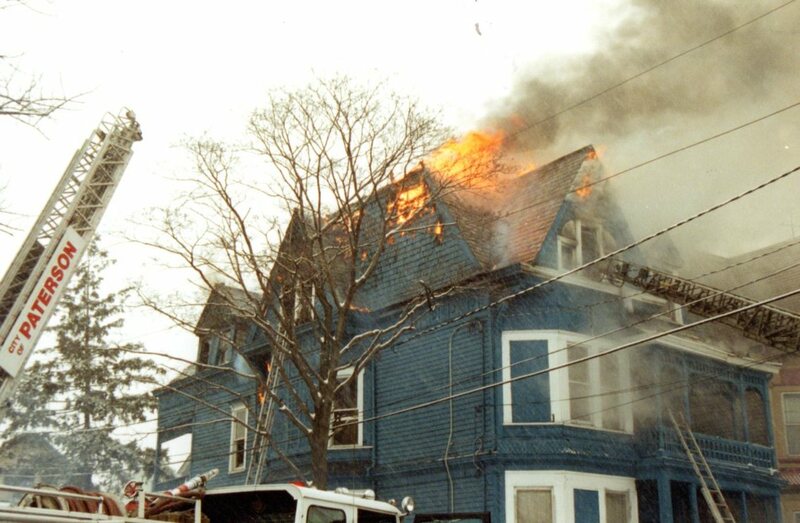 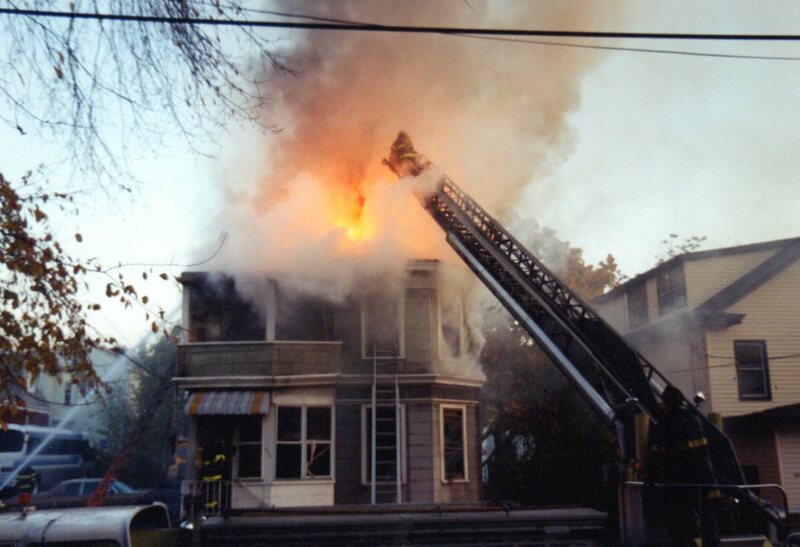 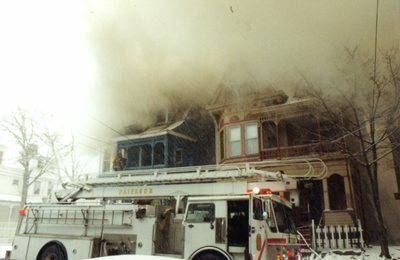 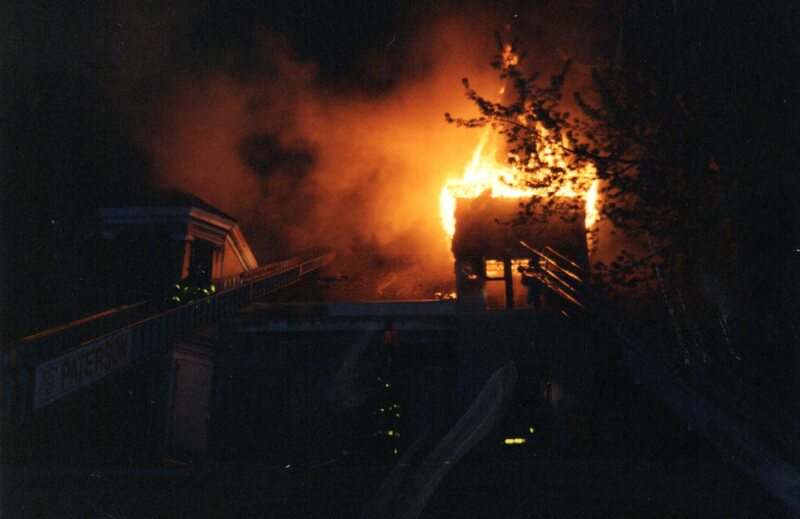 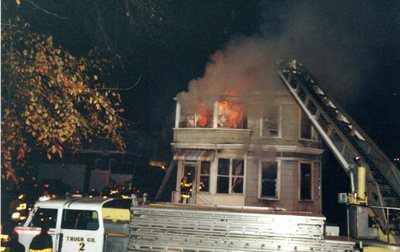 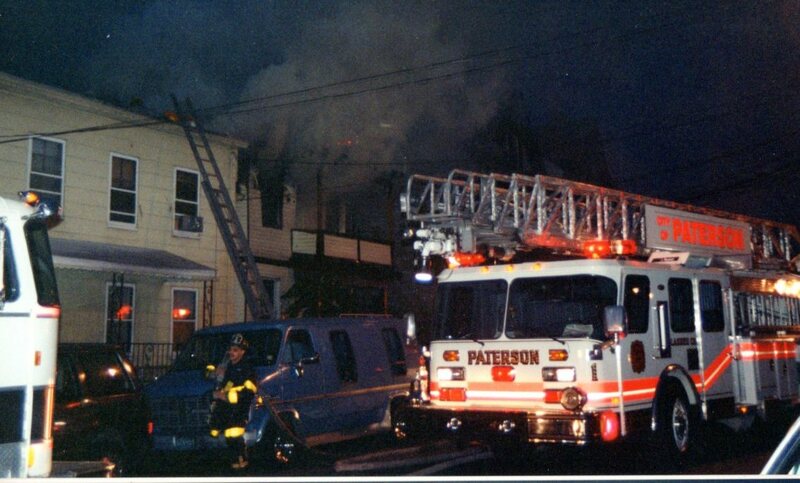 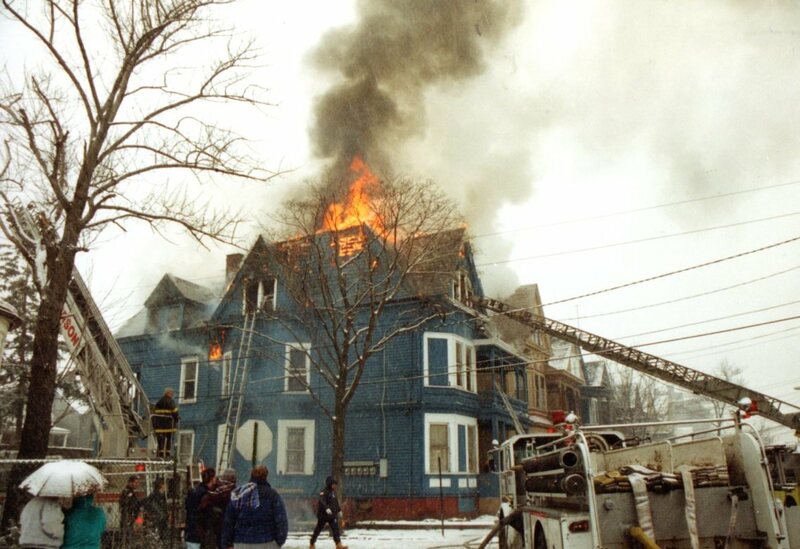 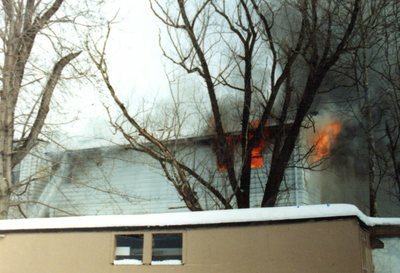 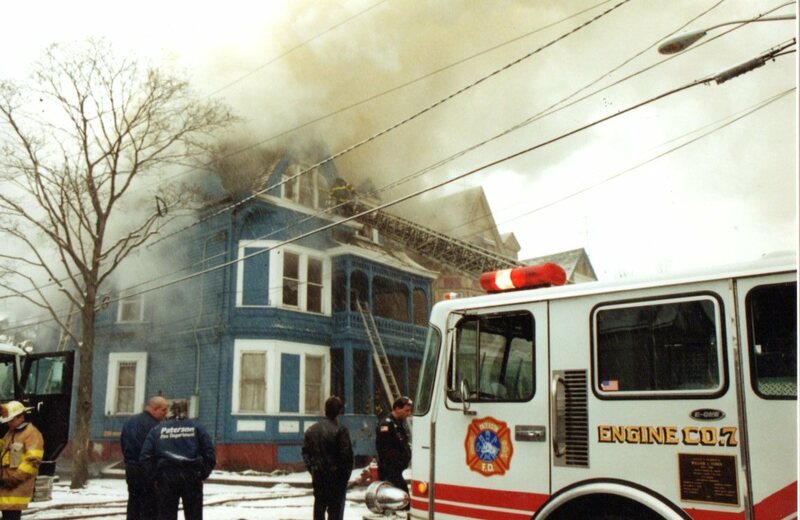 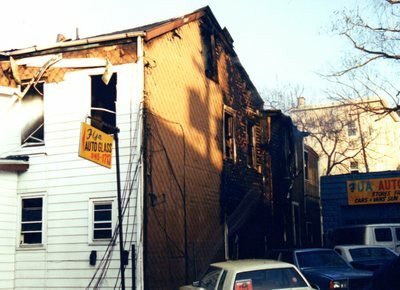 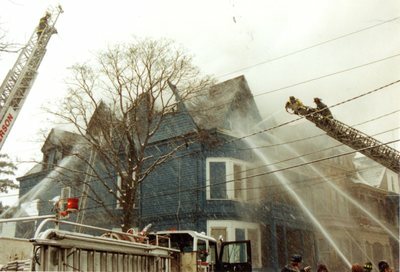 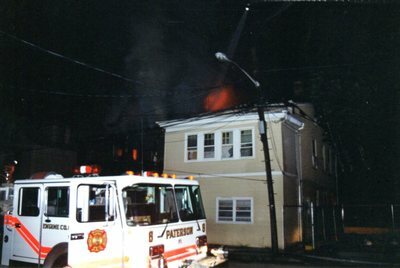 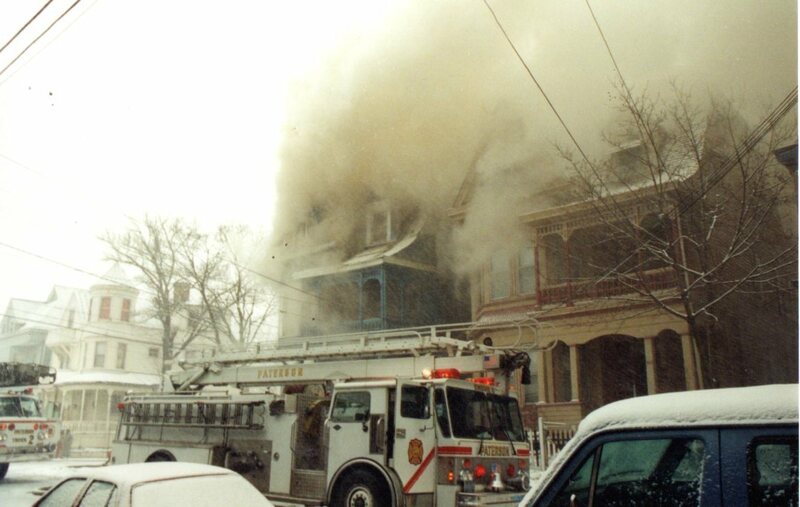 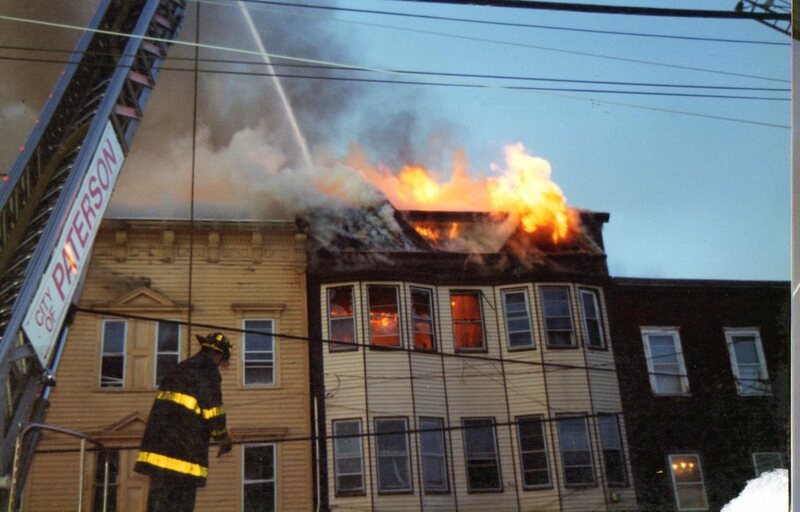 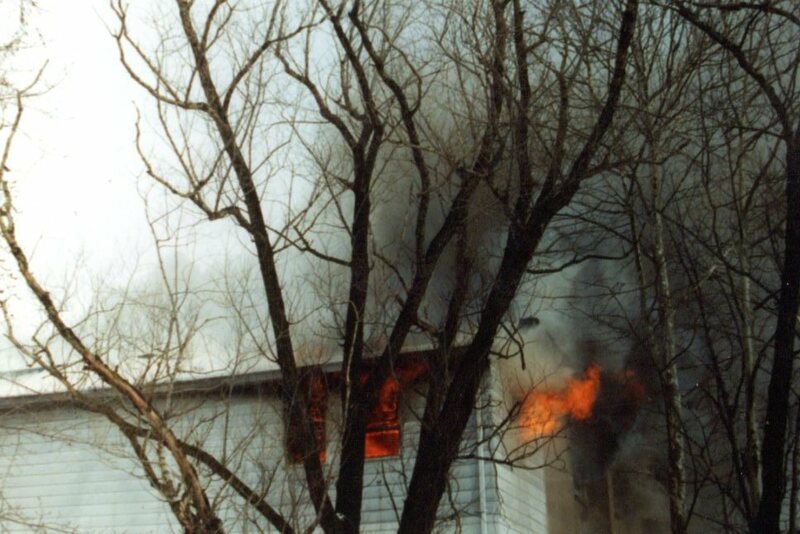 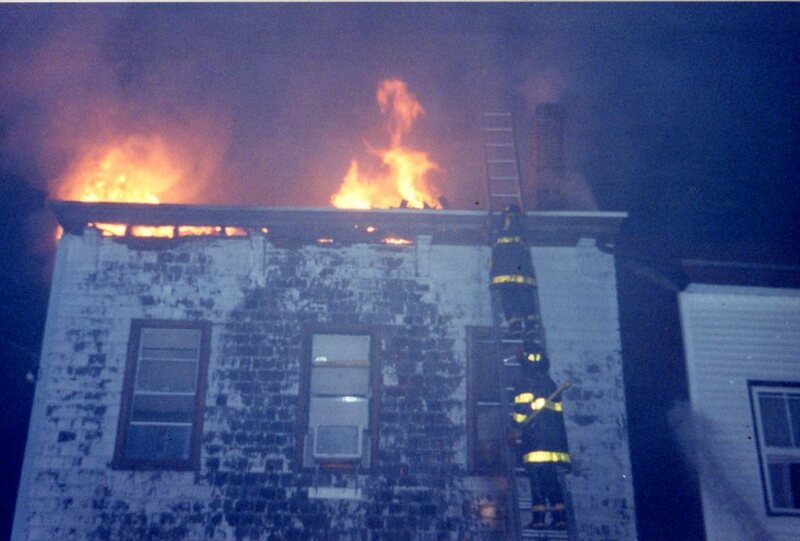 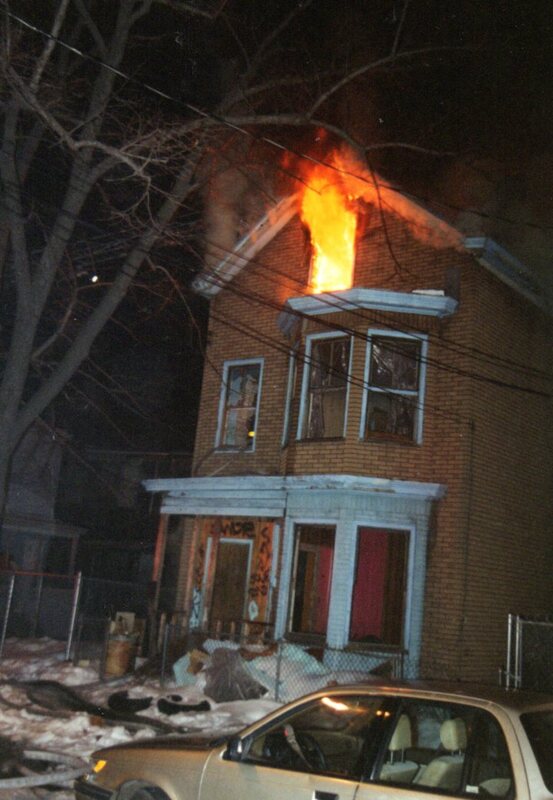 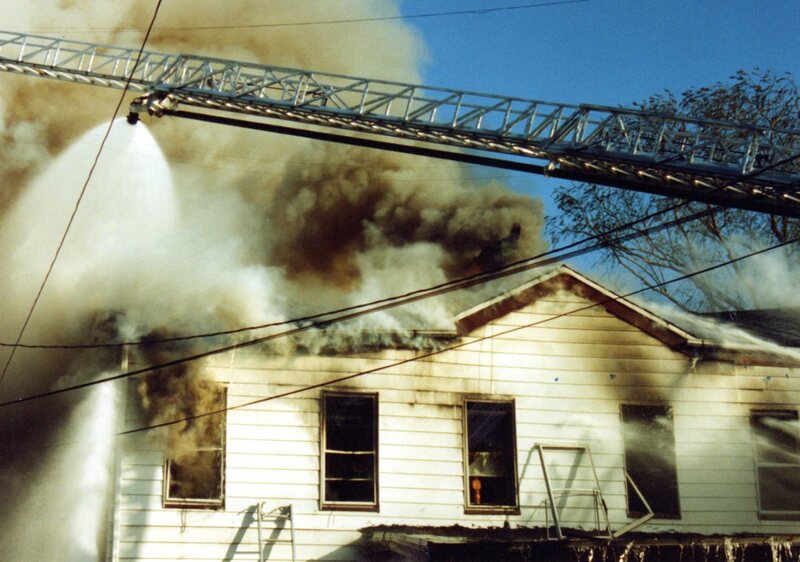 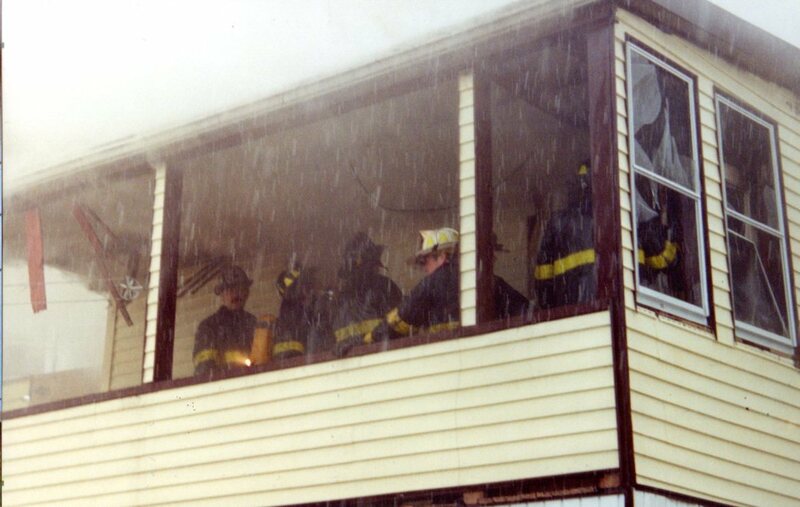 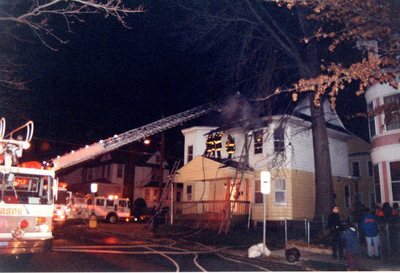 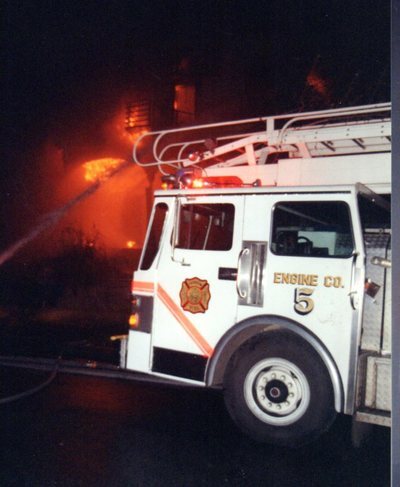 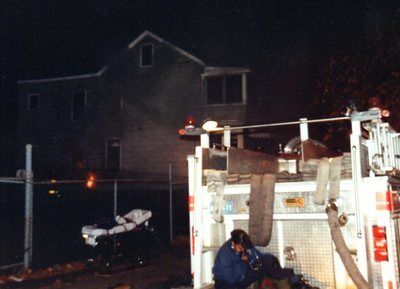 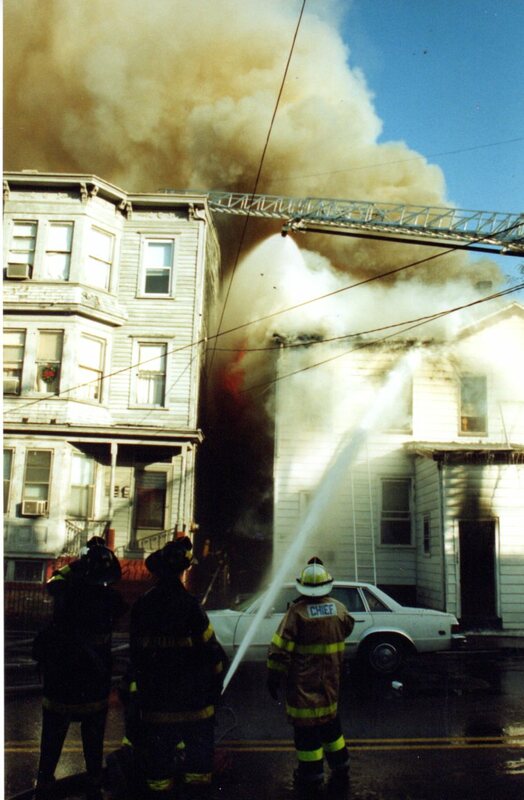 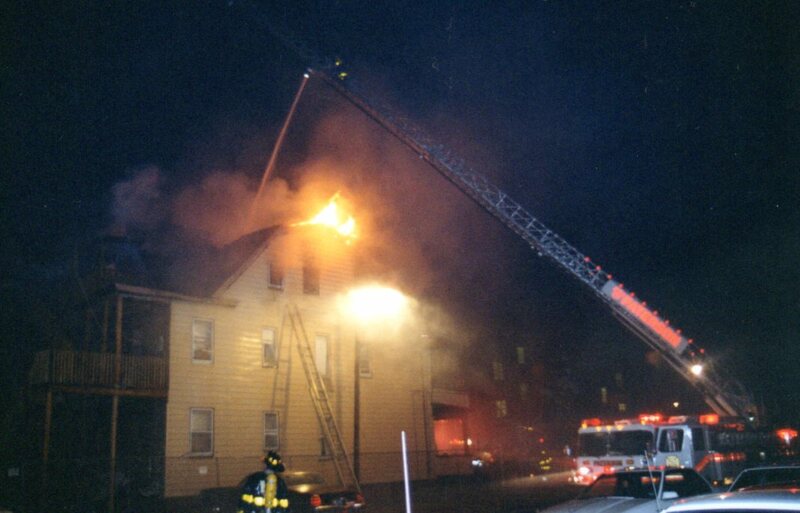 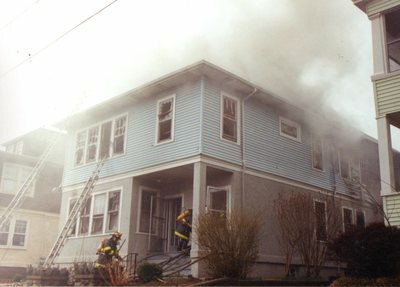 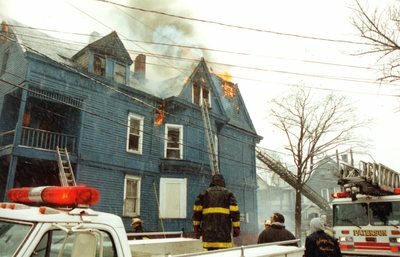 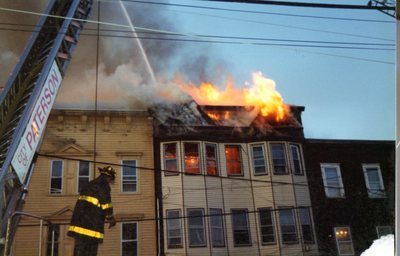 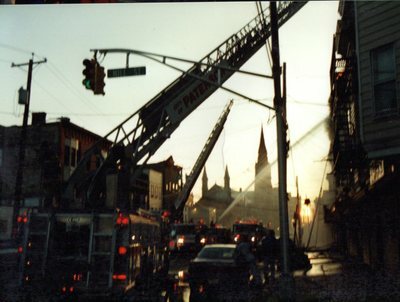 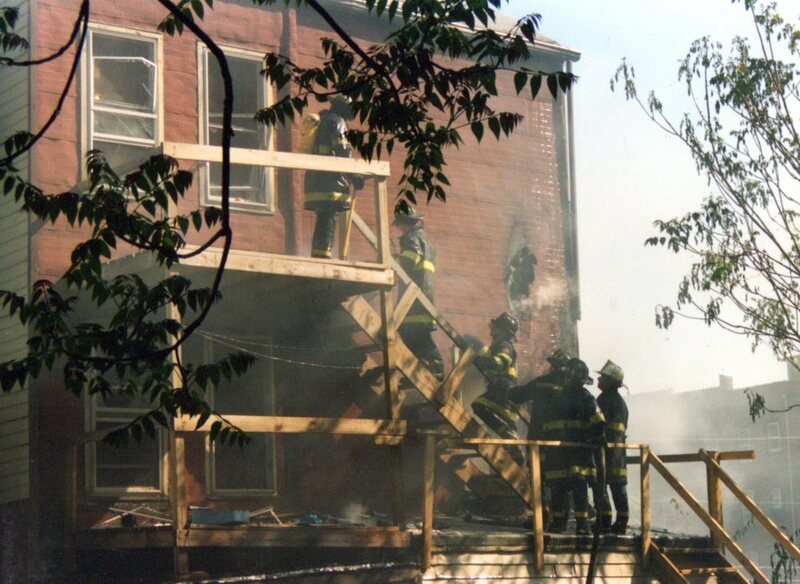 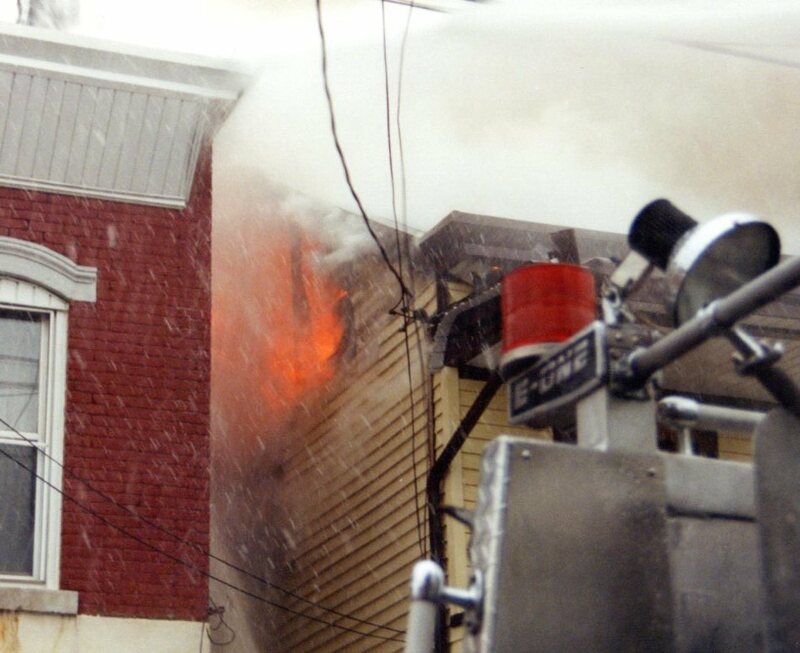 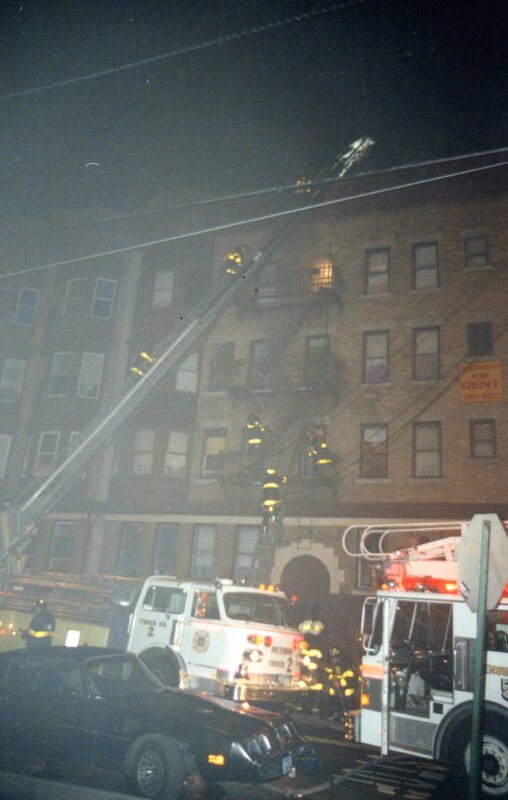 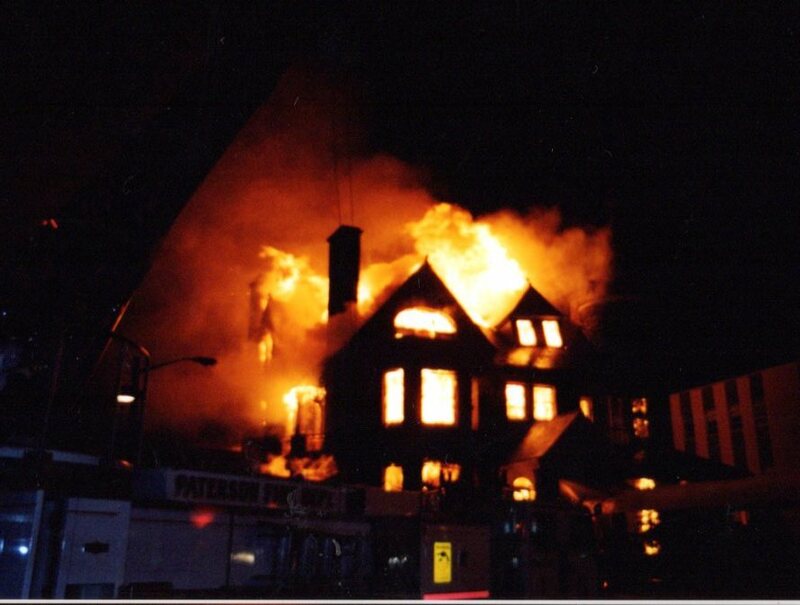 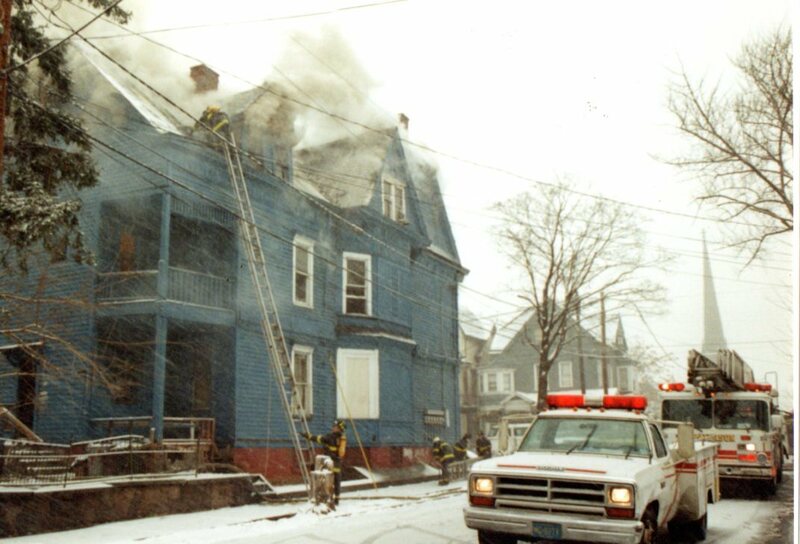 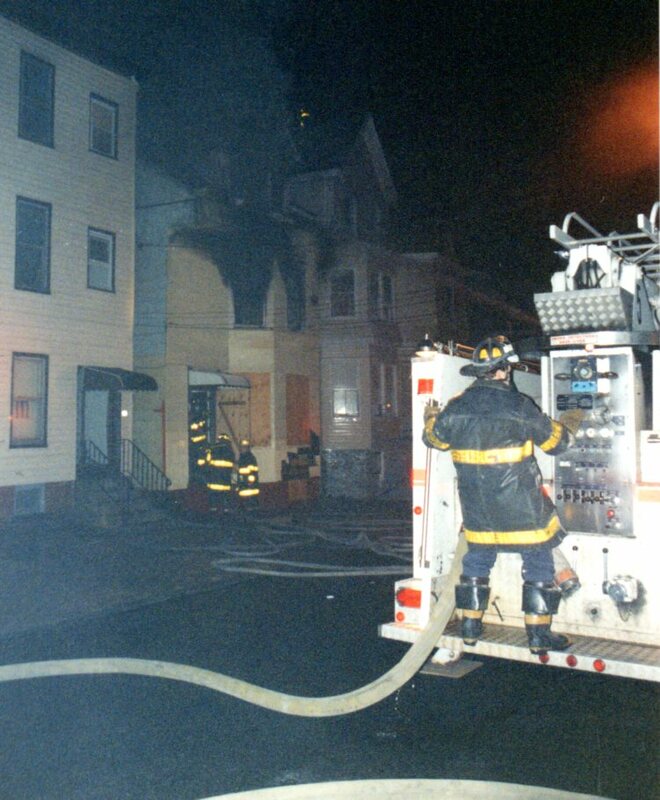 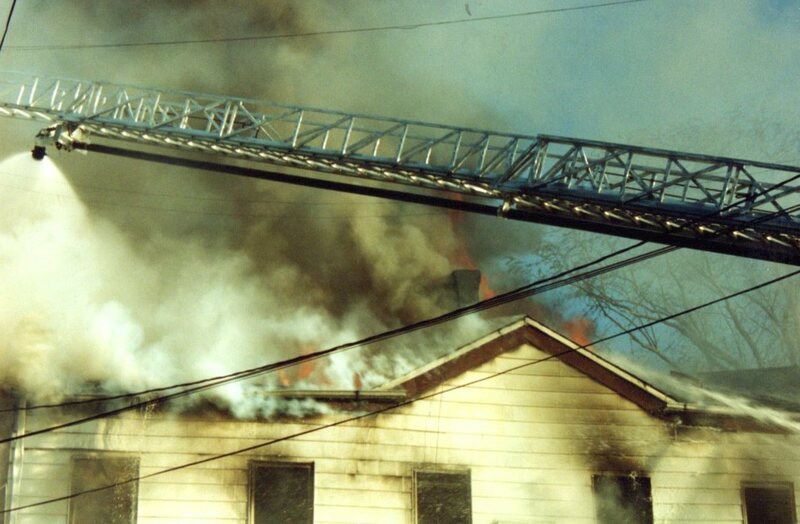 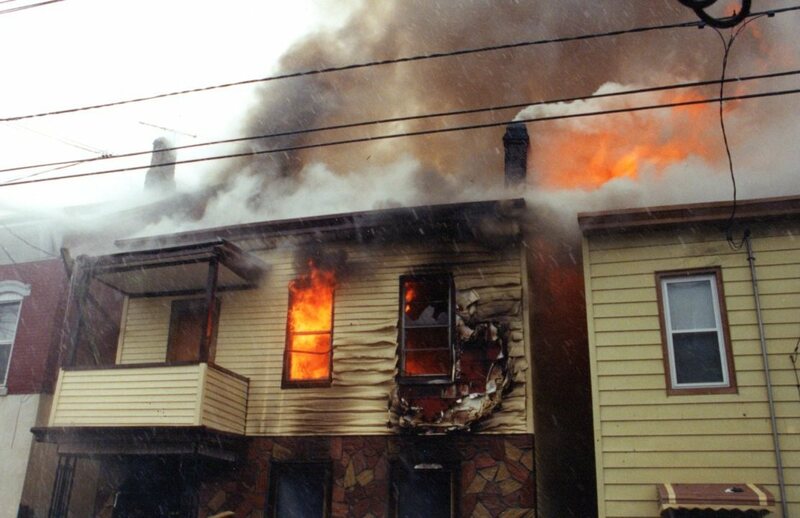 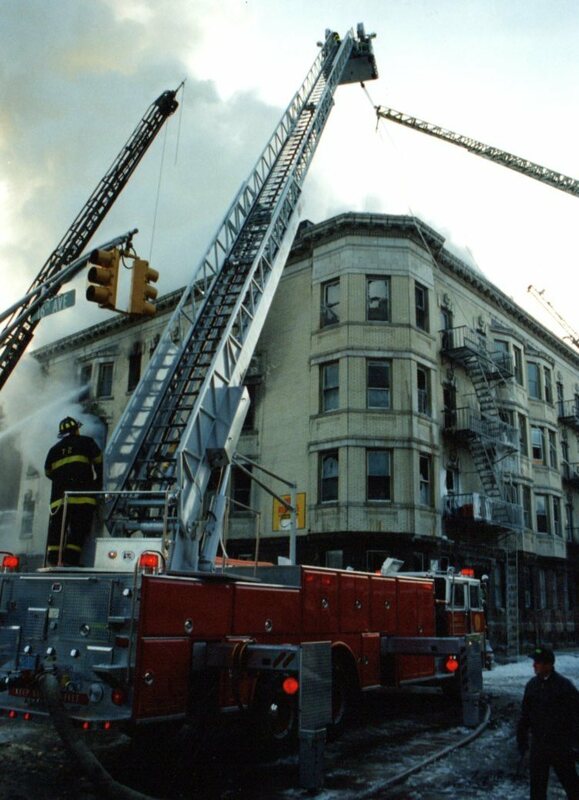 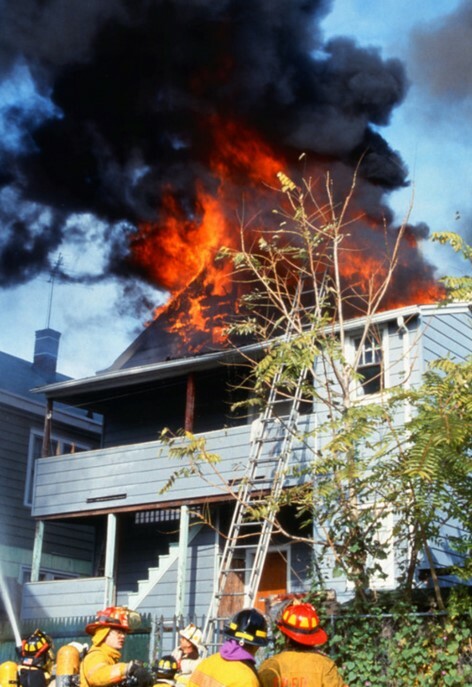 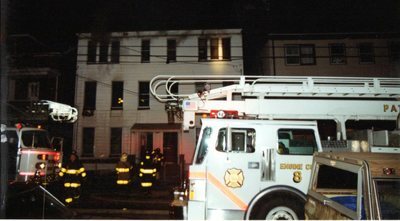 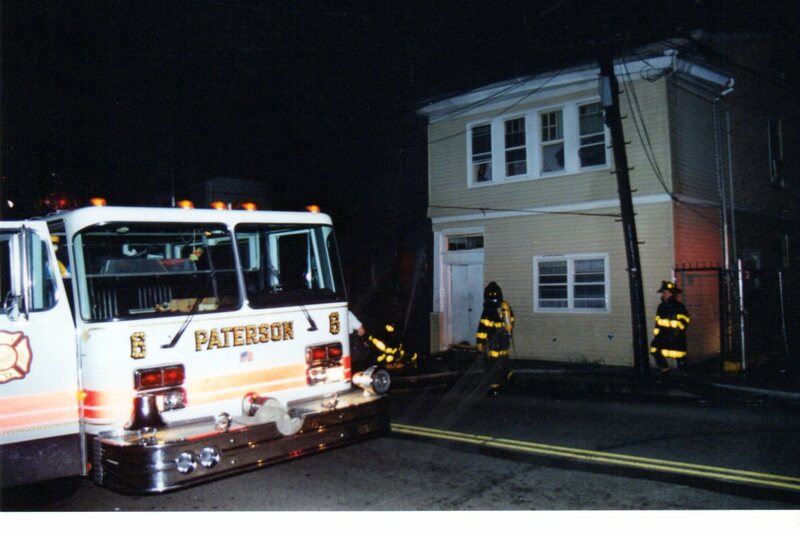 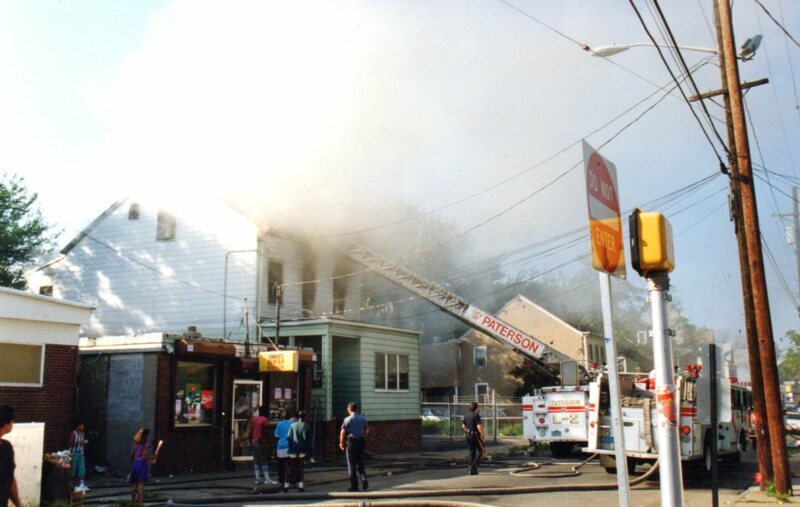 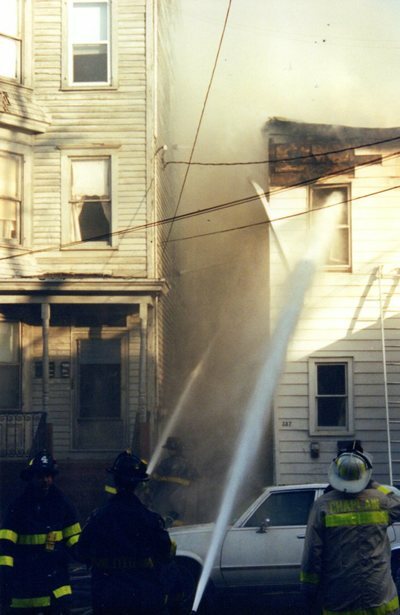 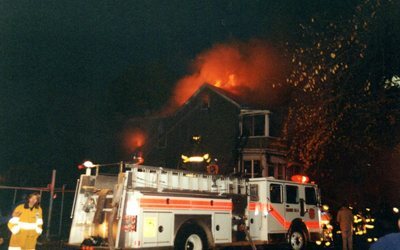 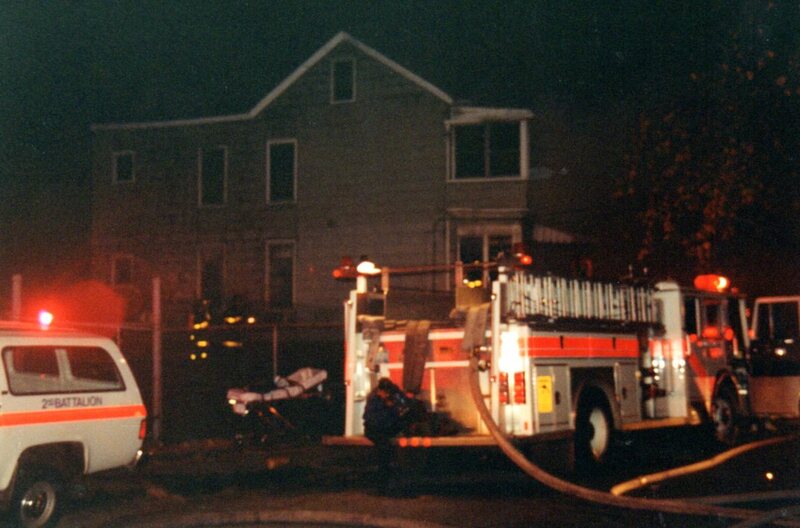 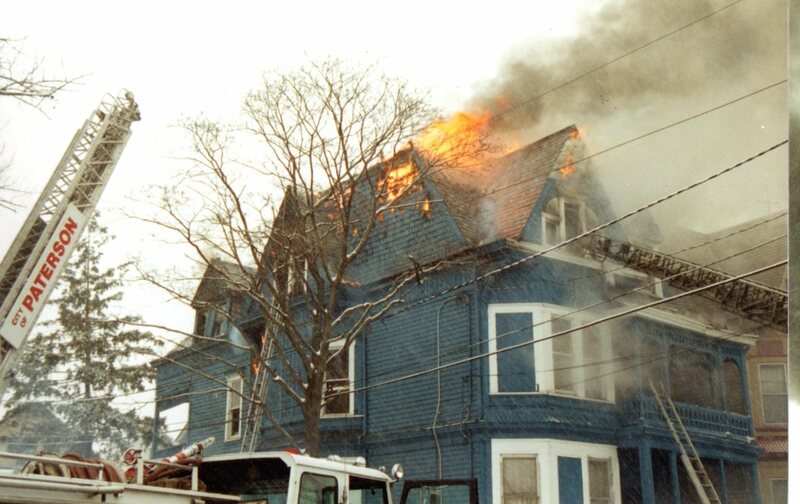 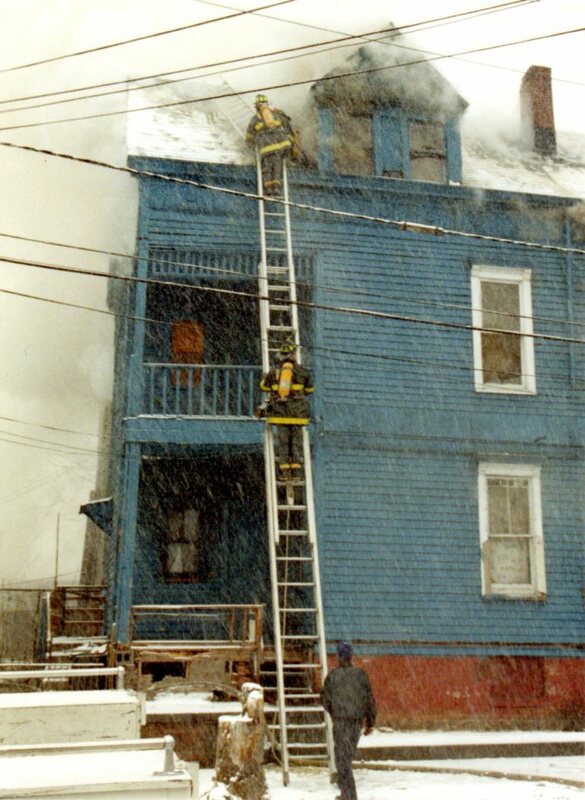 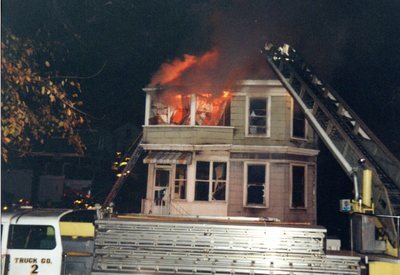 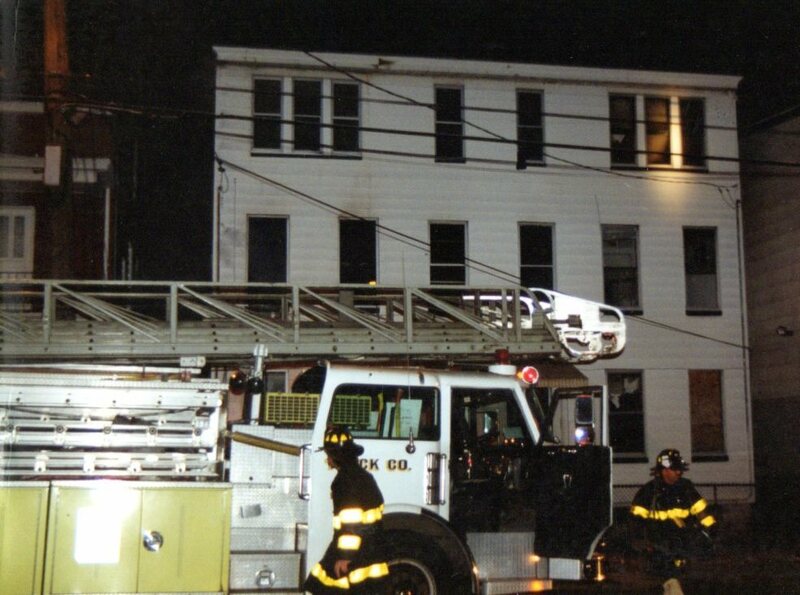 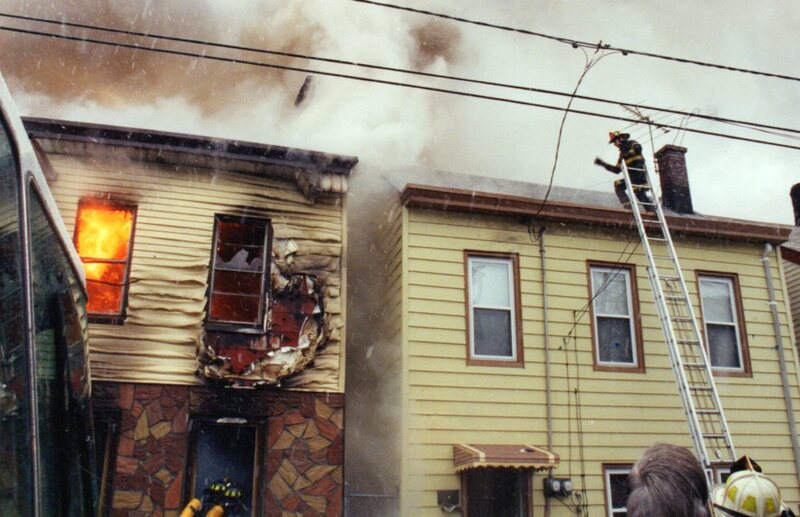 It was a 2 1/2 story frame with the fire on the 2nd floor and was a fatal fire numbering 3 children. 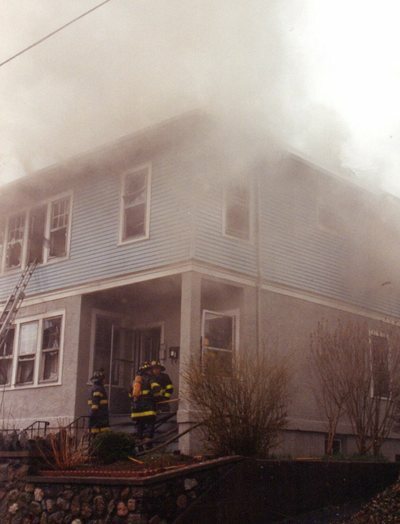 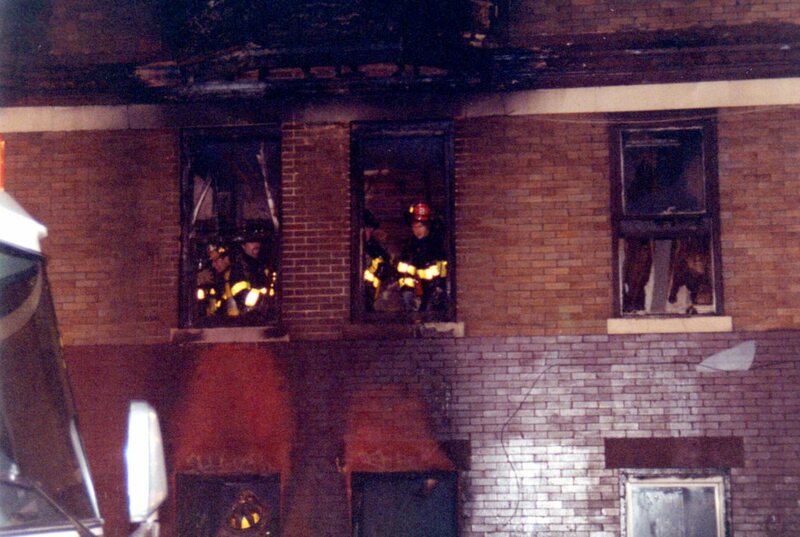 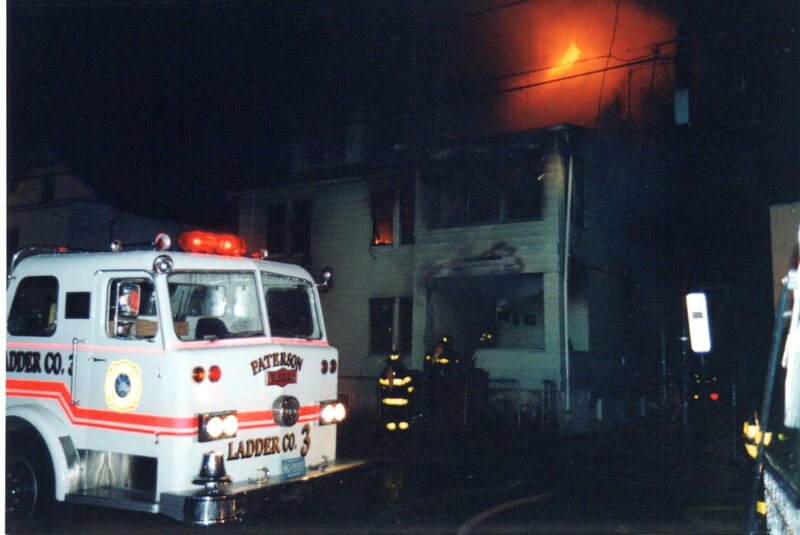 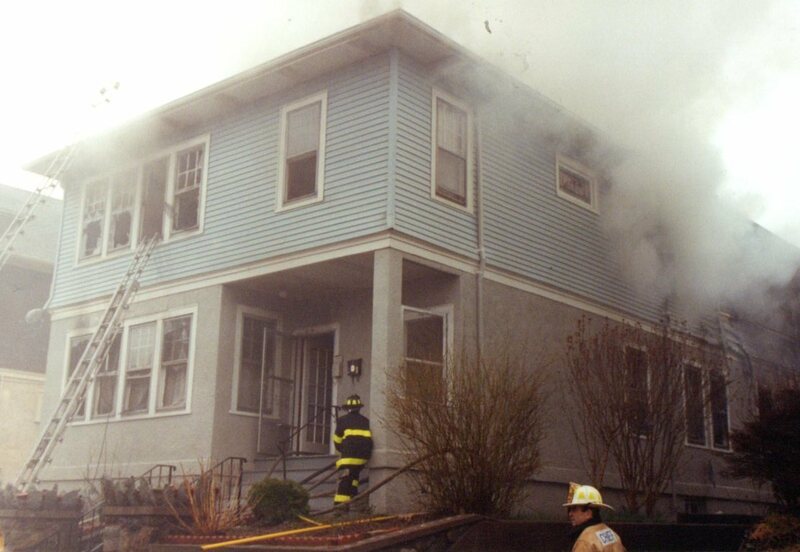 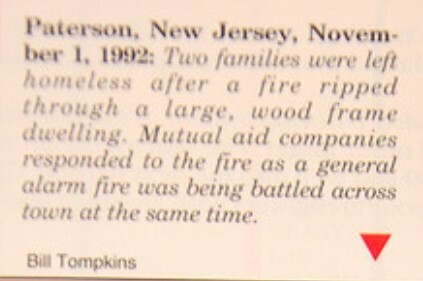 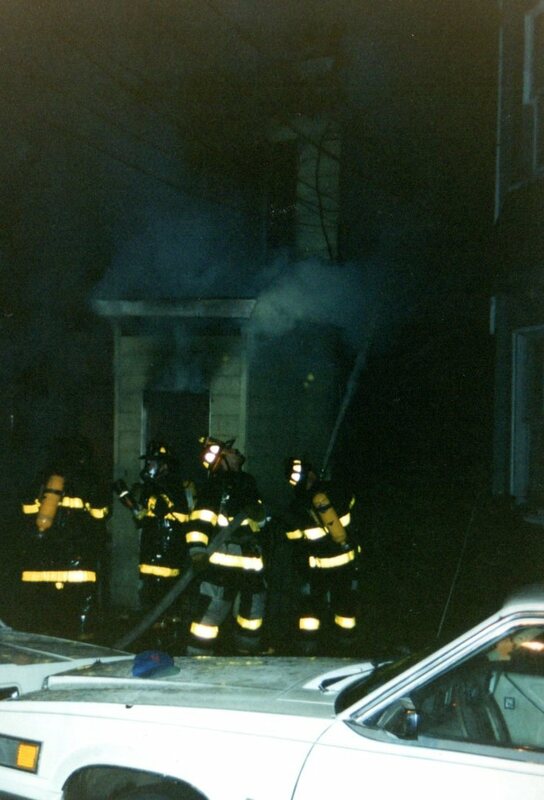 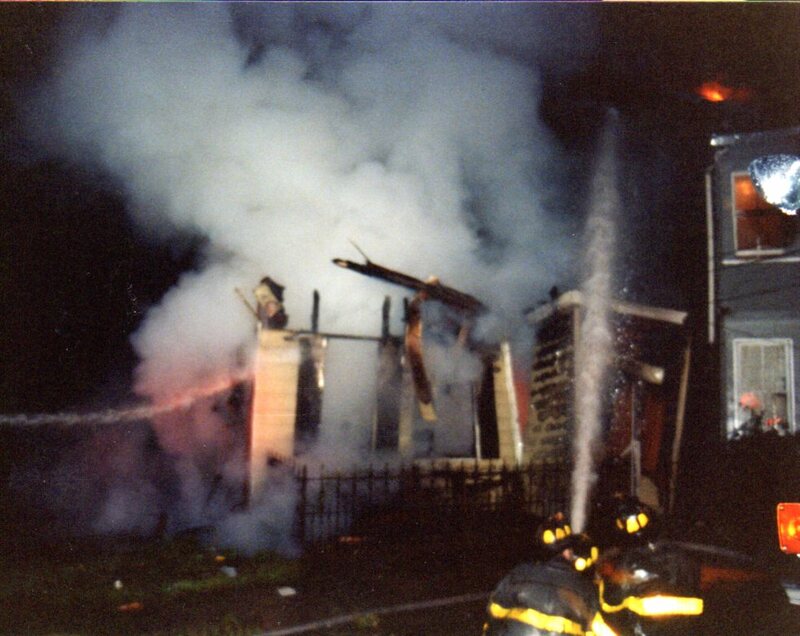 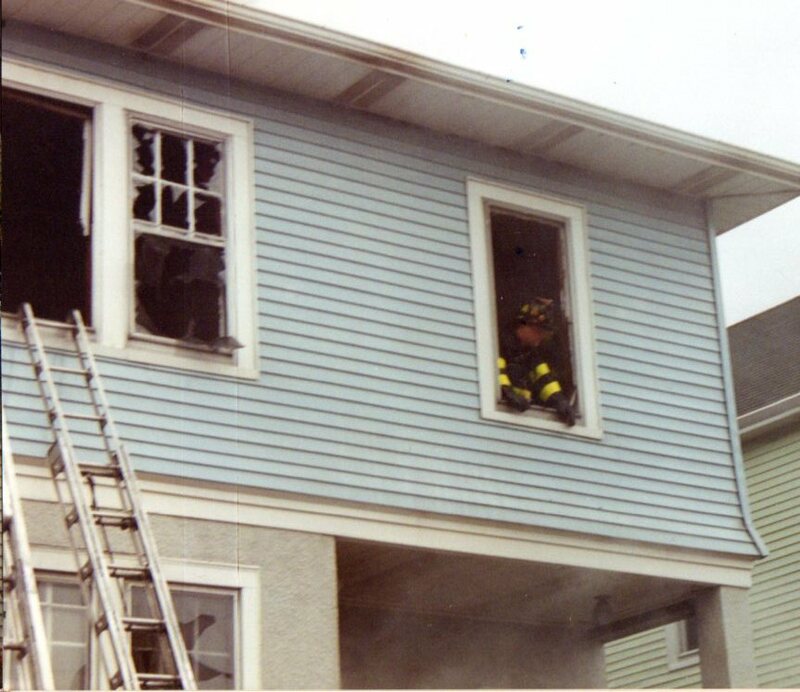 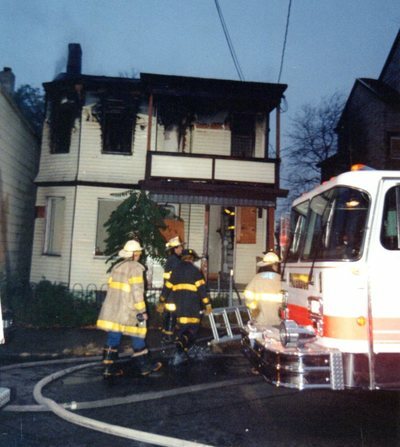 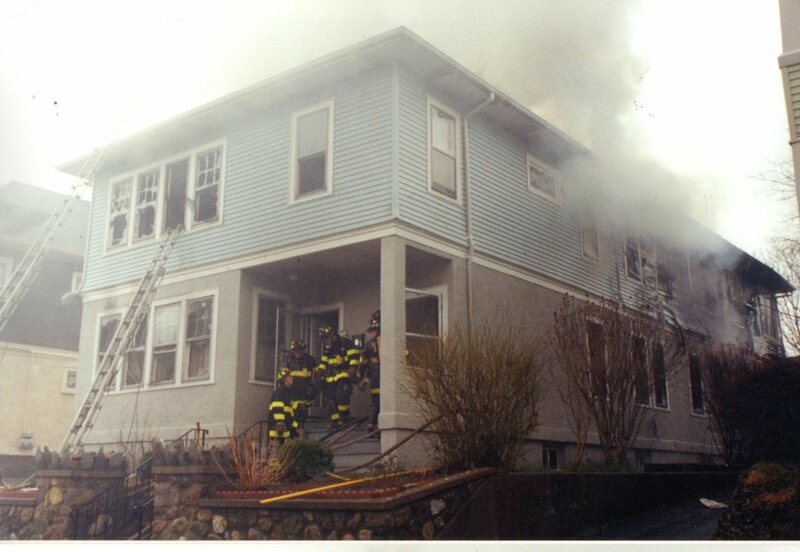 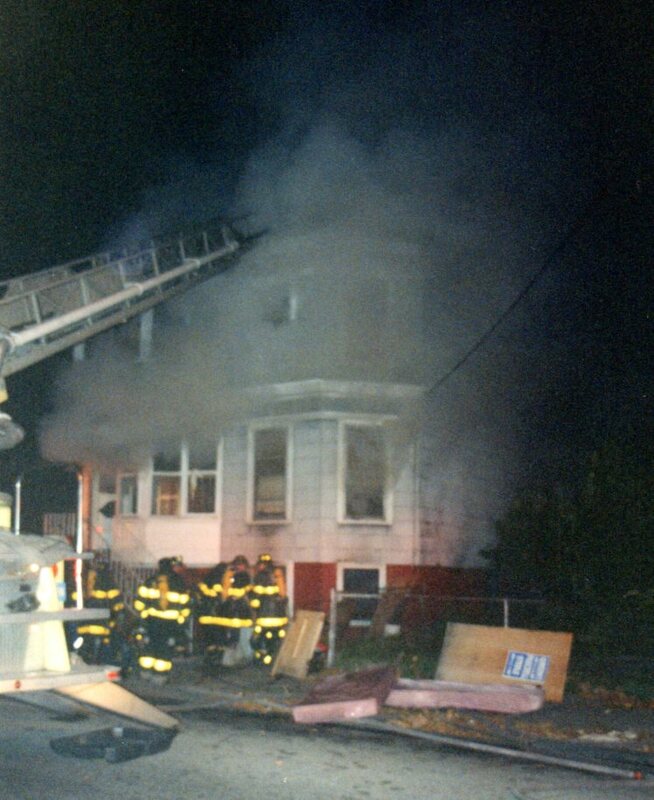 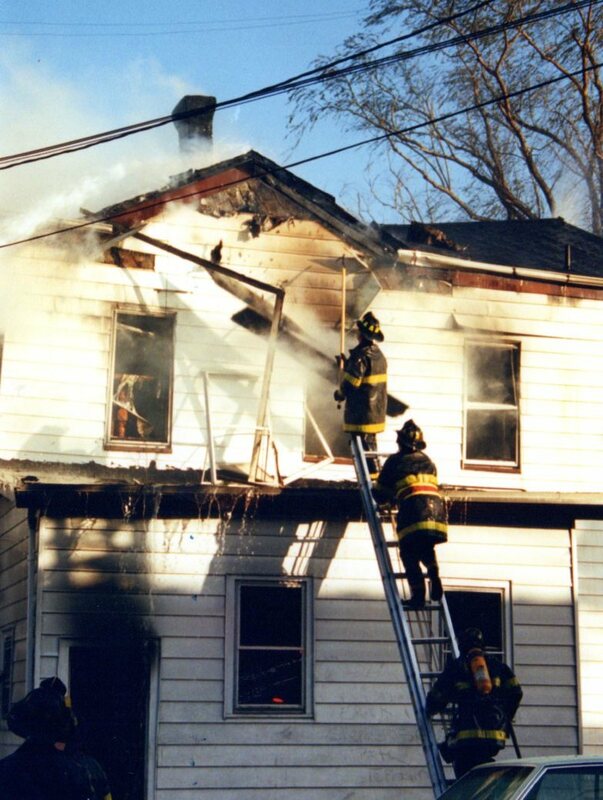 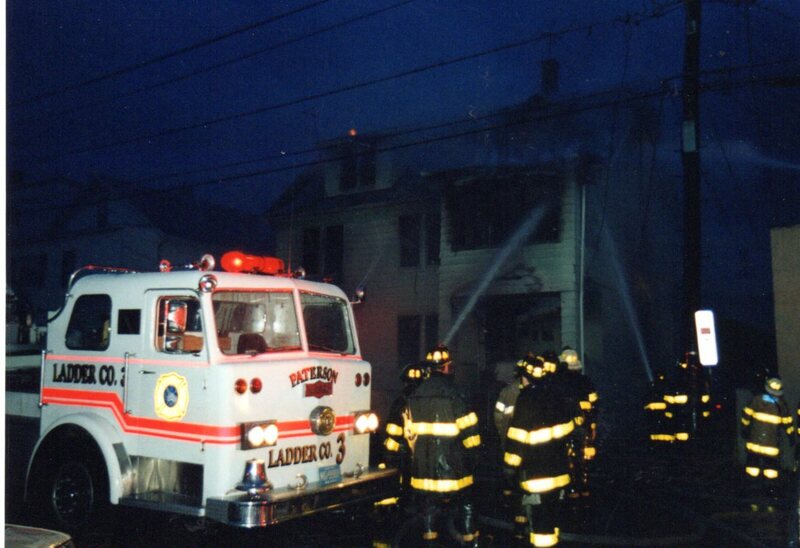 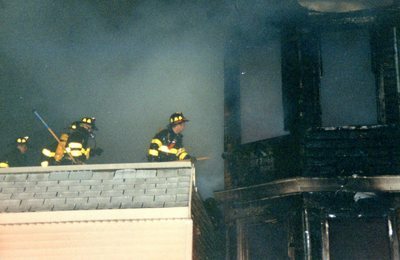 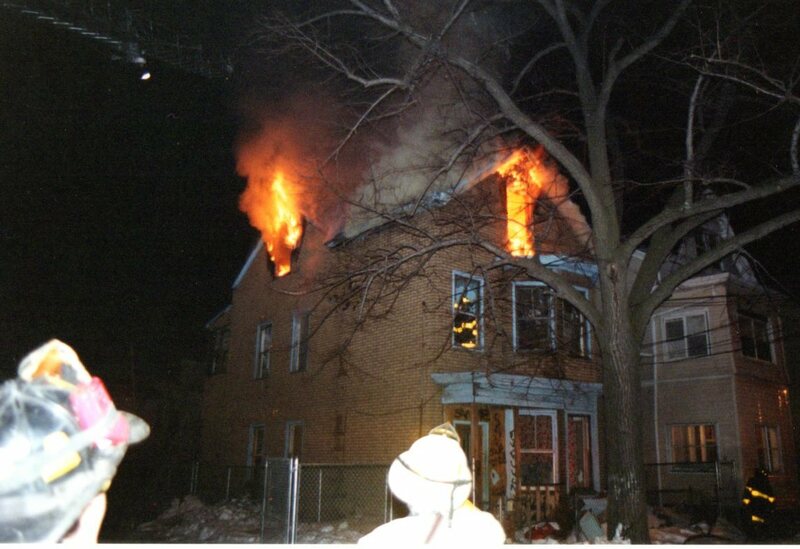 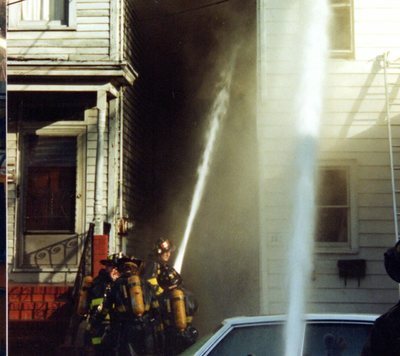 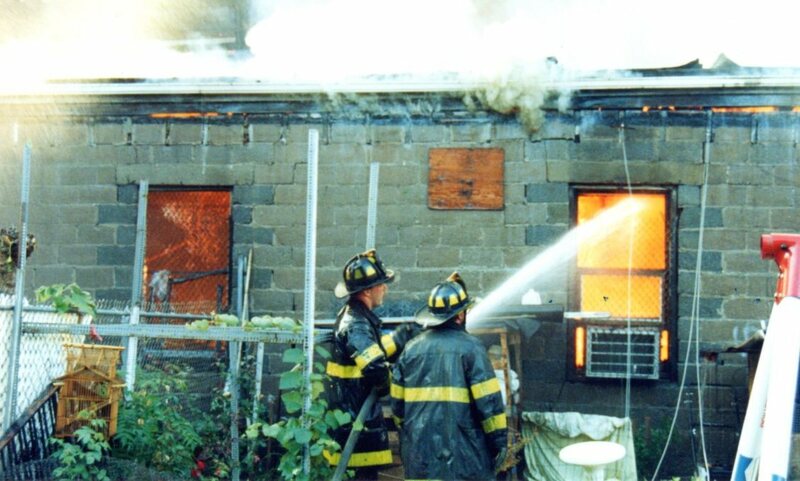 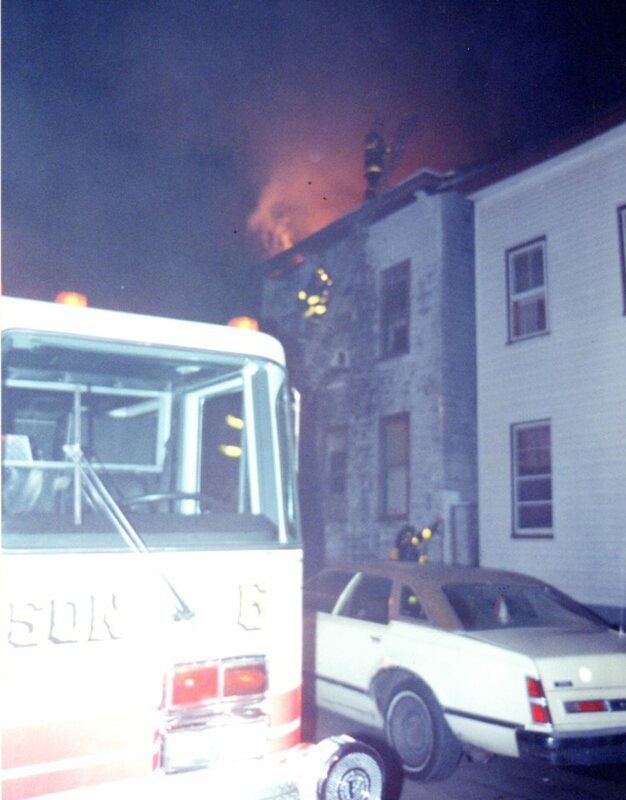 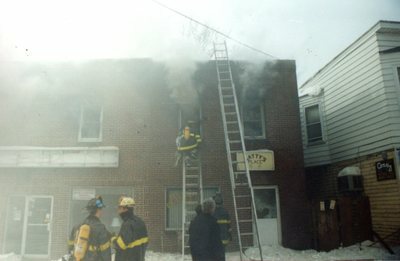 Captain W. Sickley (E4) and F/F J. Murray (R1) found 2 of the children in the front room. 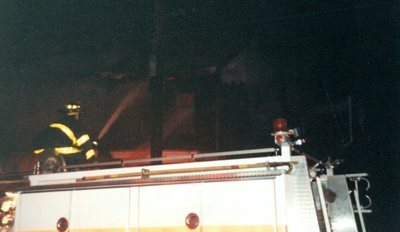 F/F. 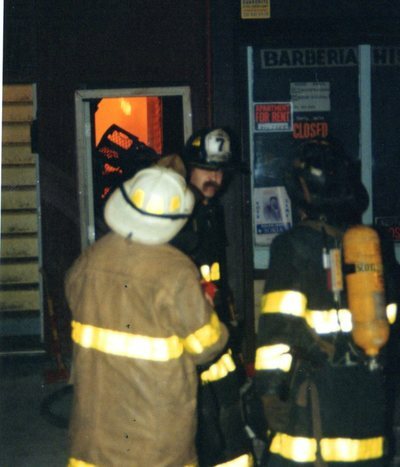 M. Barr (L3) found the 3rd in the rear kitchen a while later. 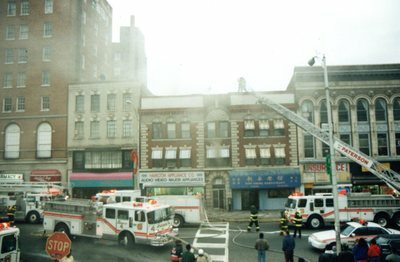 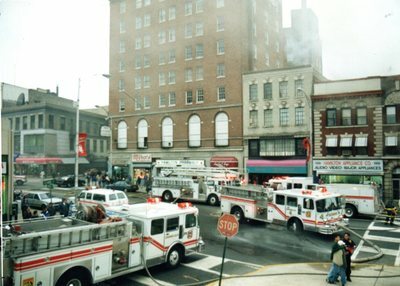 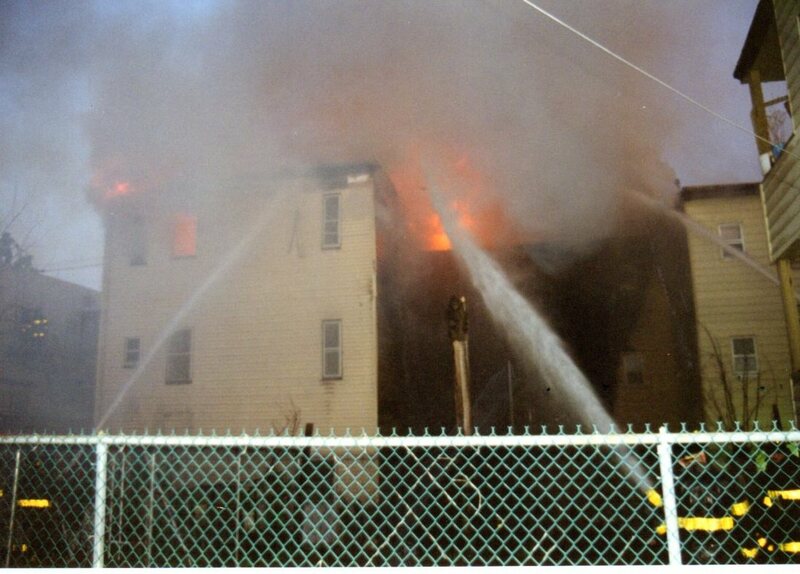 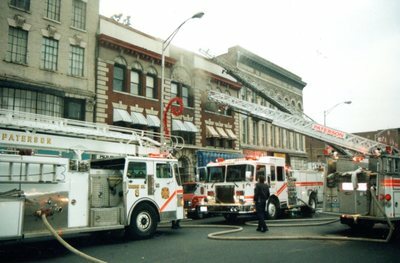 1st alarm Engines 4,8 , 5 Ladder 2, Rescue 1, Battalion 3; 2nd alarm Engines 6, 1 Ladder 3 and Battalion 2. The mother of the children was removed by Ladder 2 from the front porch roof upon their arrival. 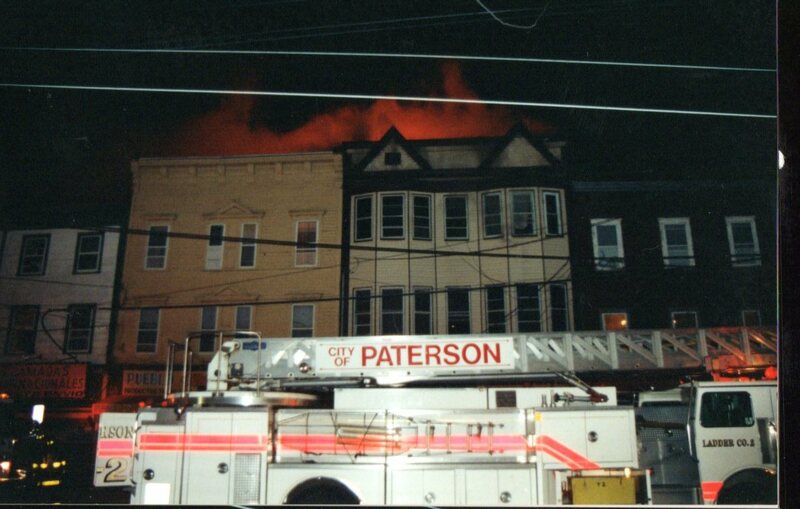 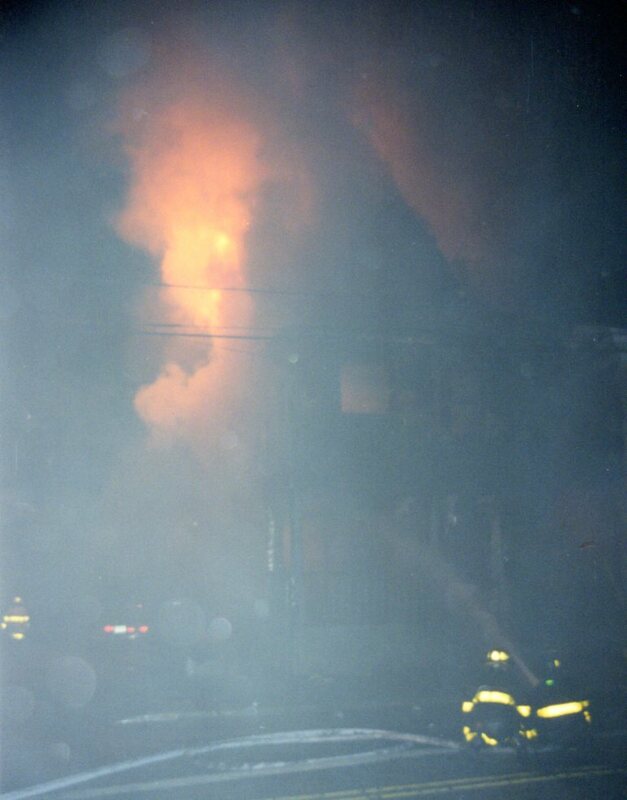 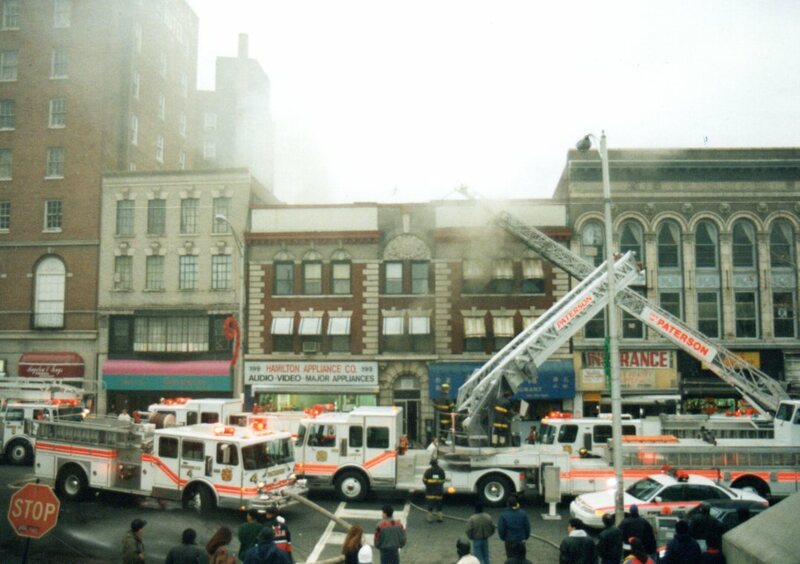 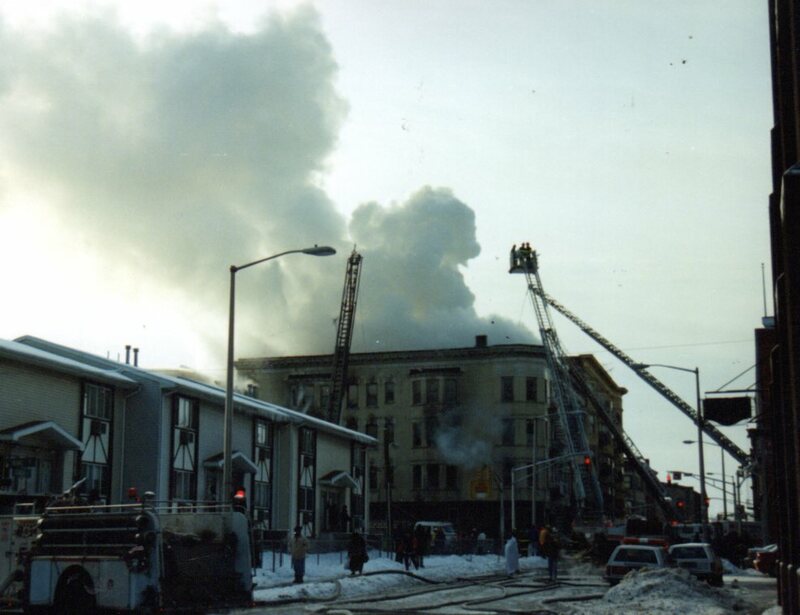 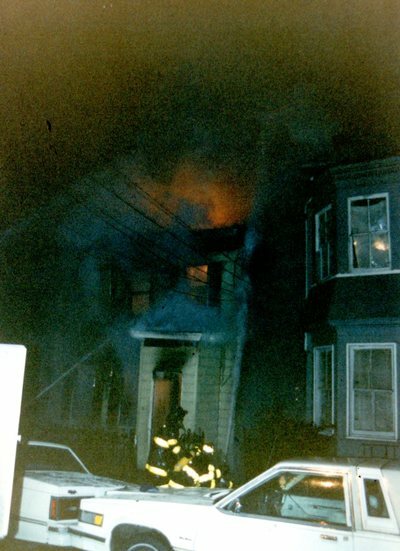 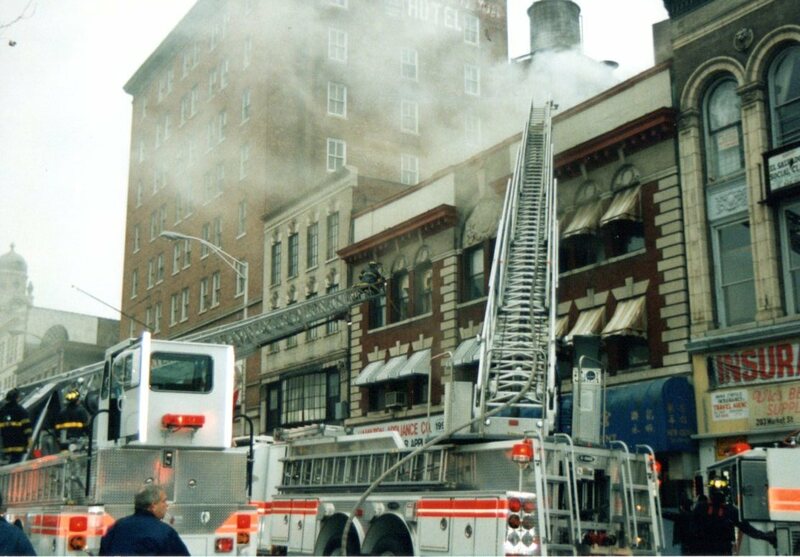 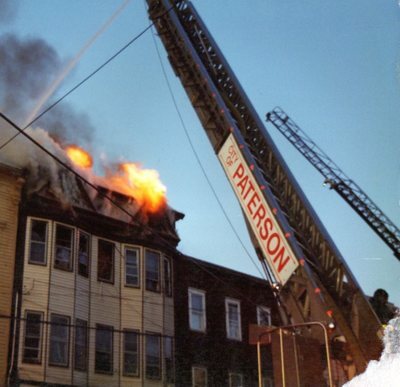 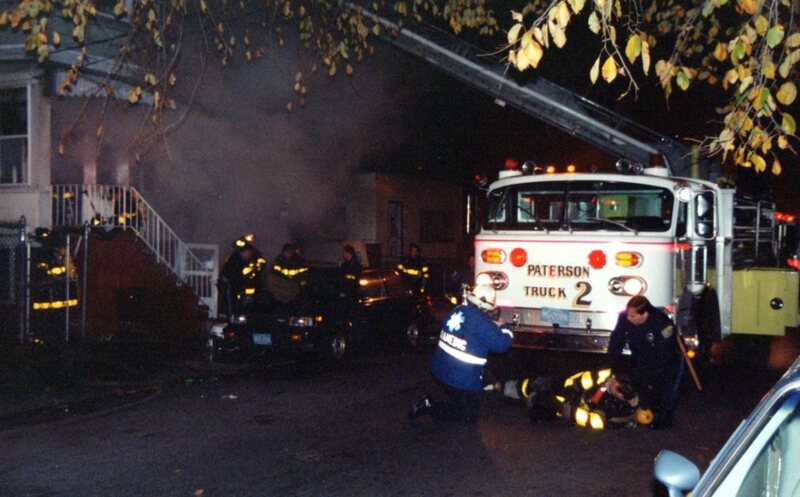 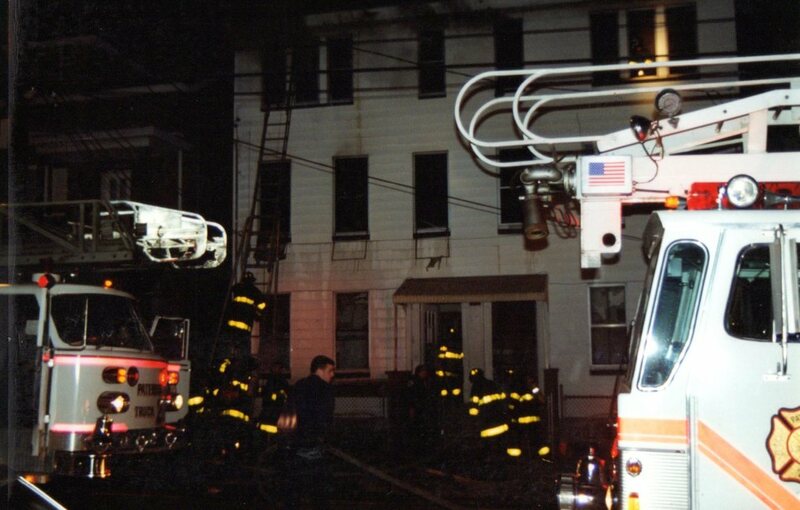 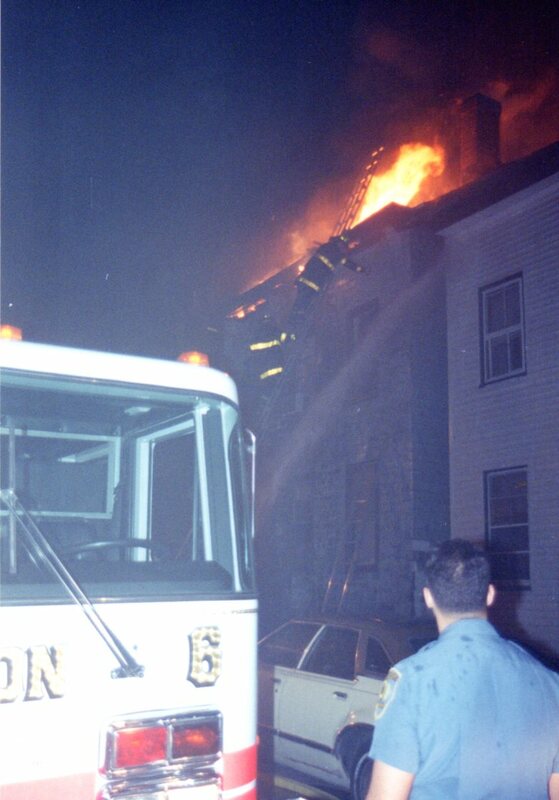 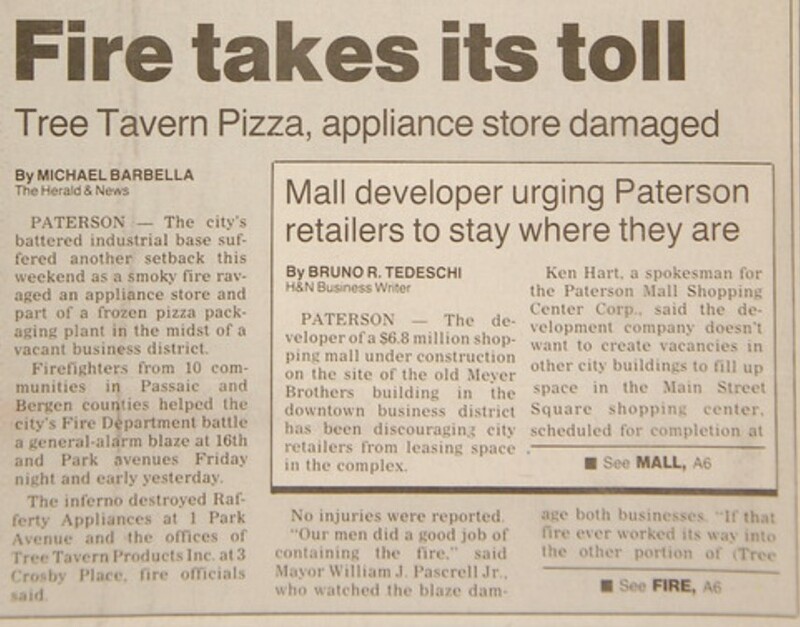 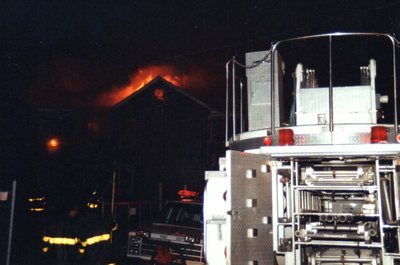 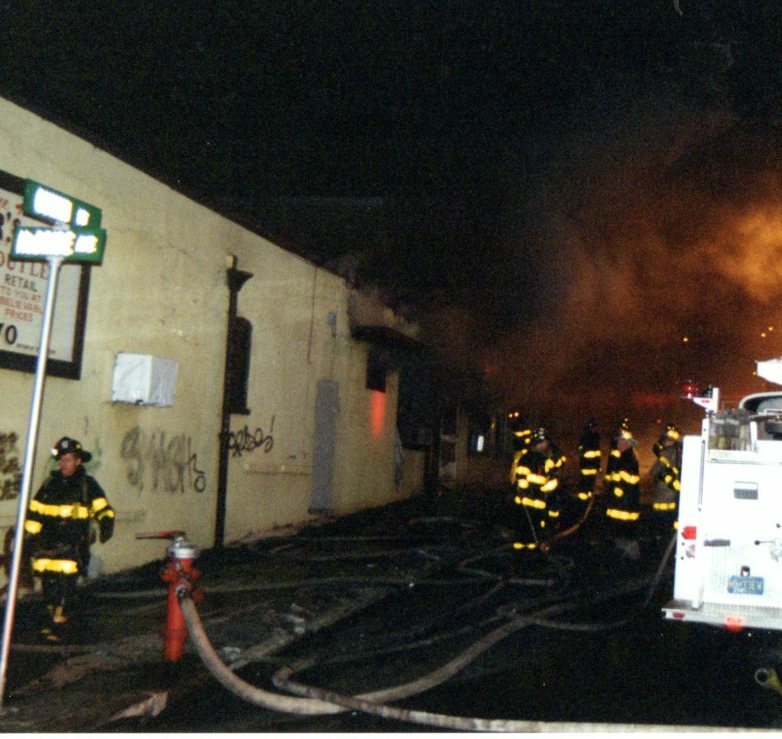 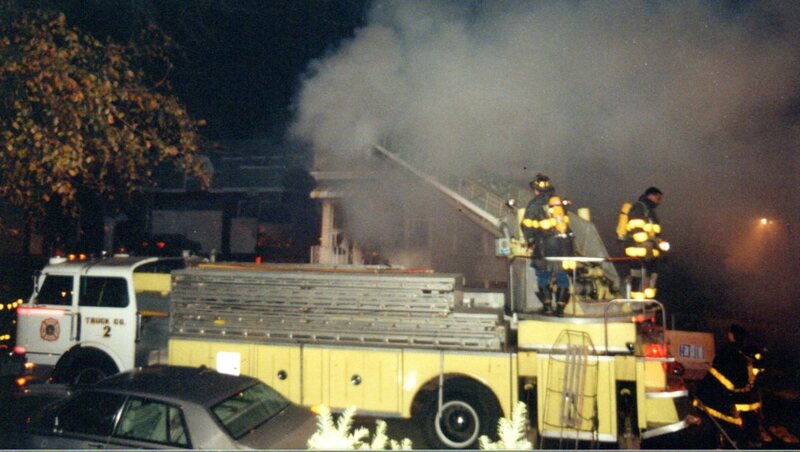 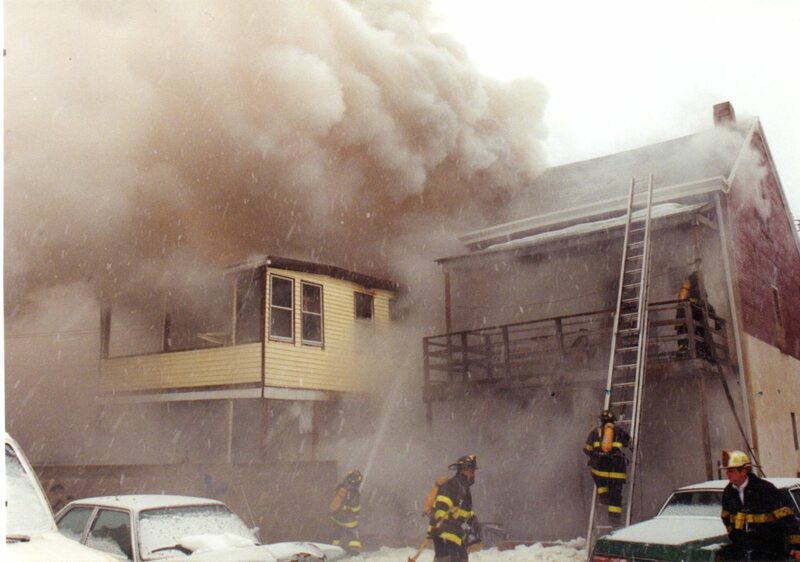 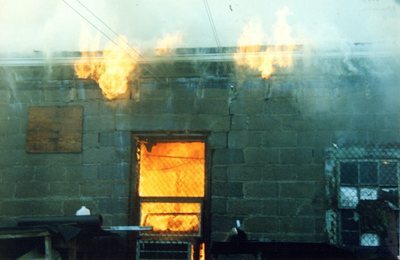 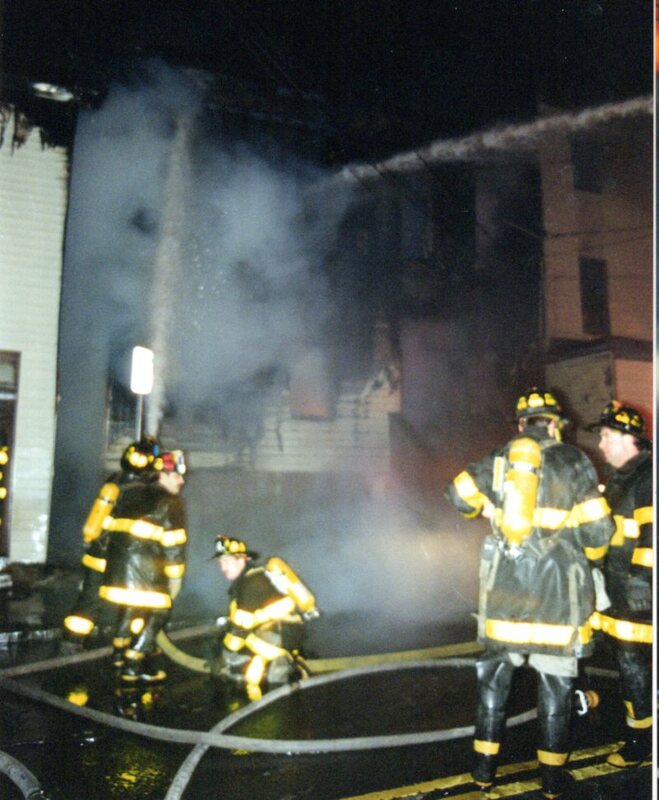 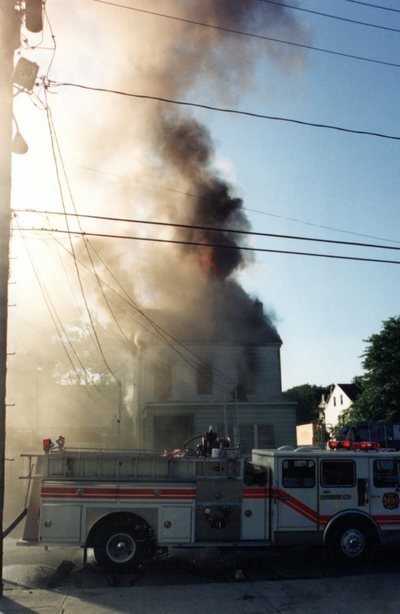 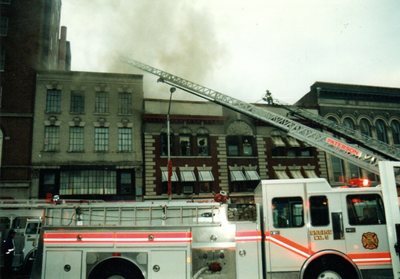 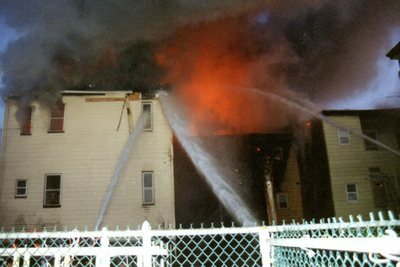 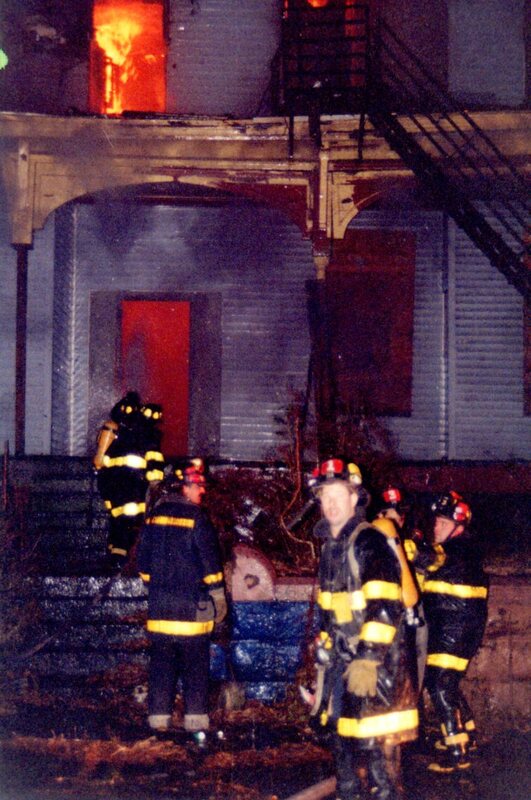 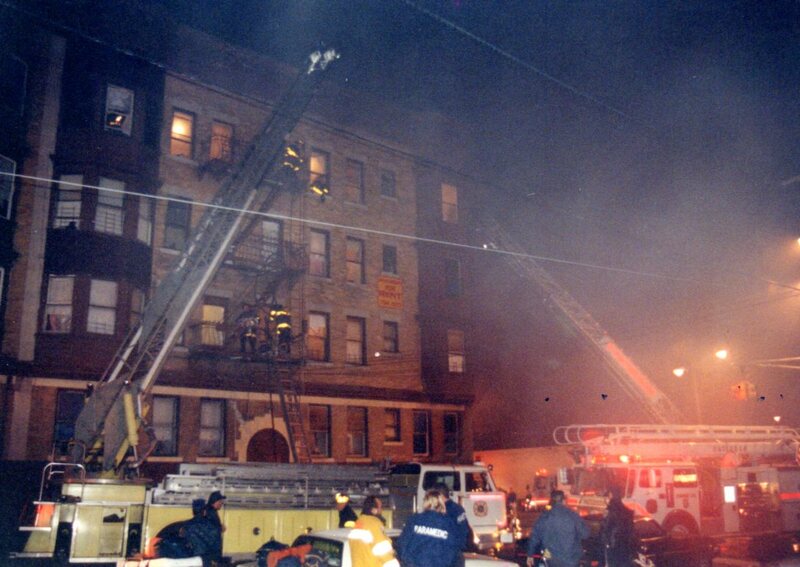 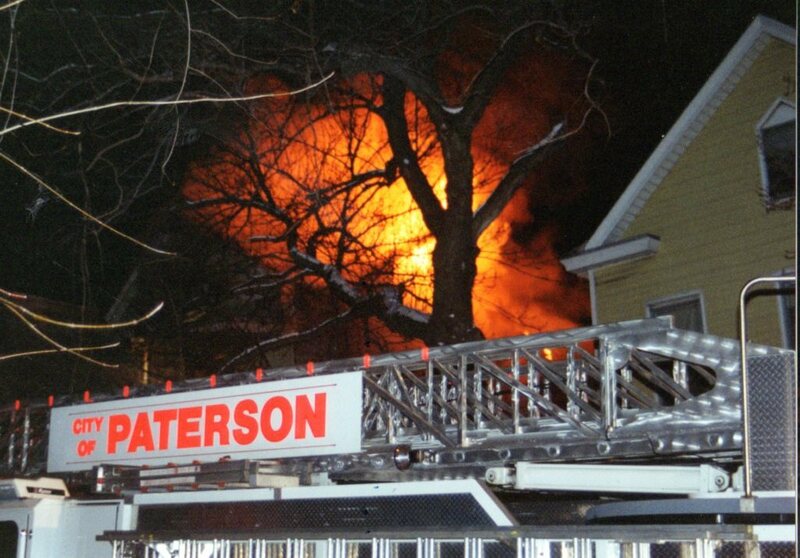 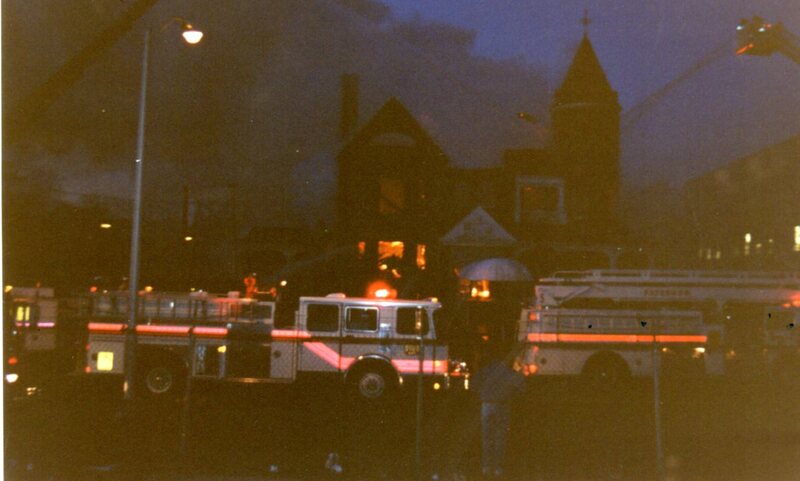 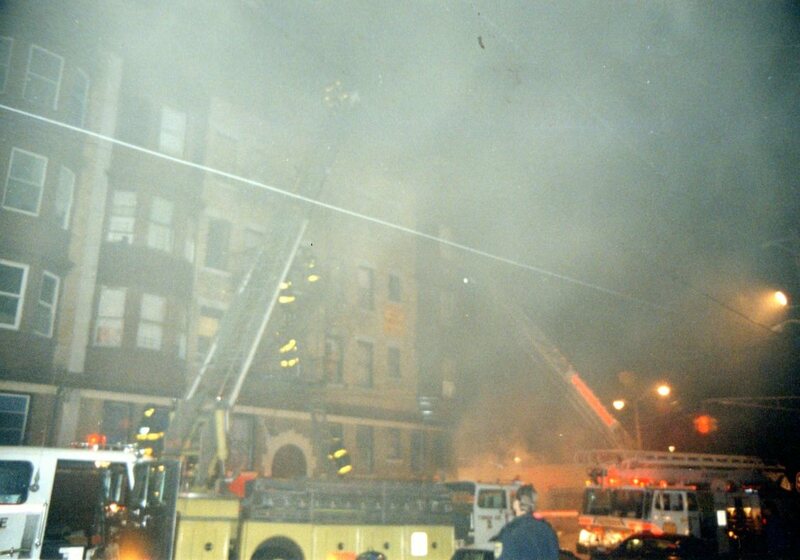 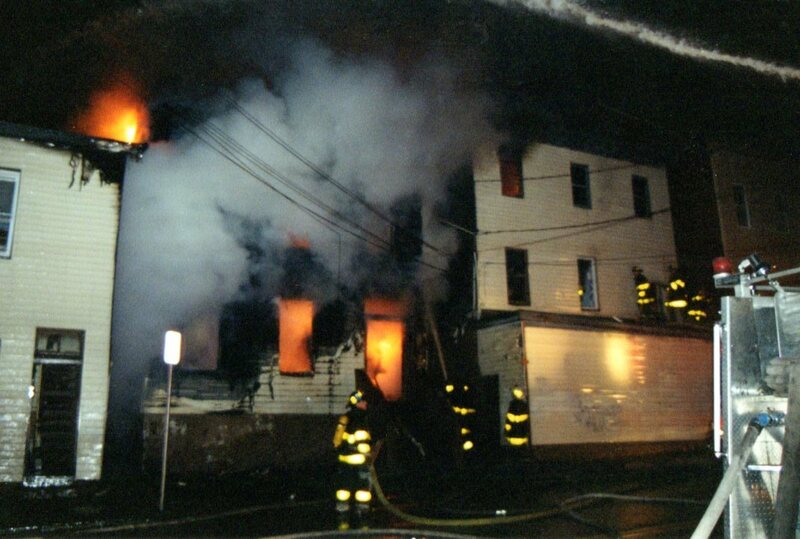 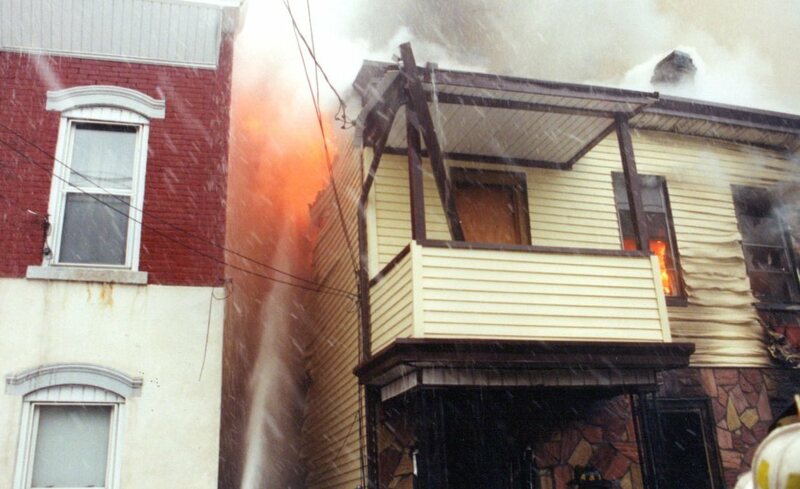 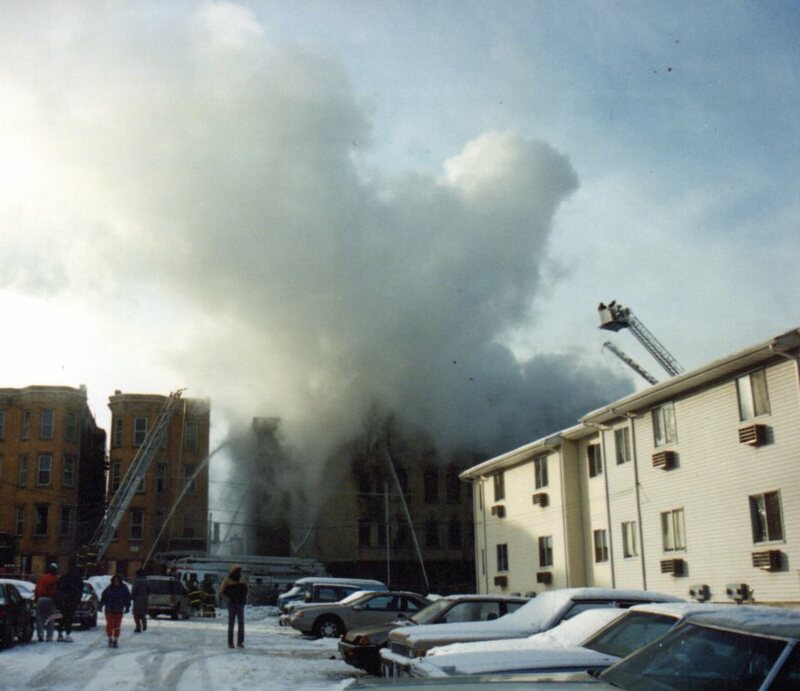 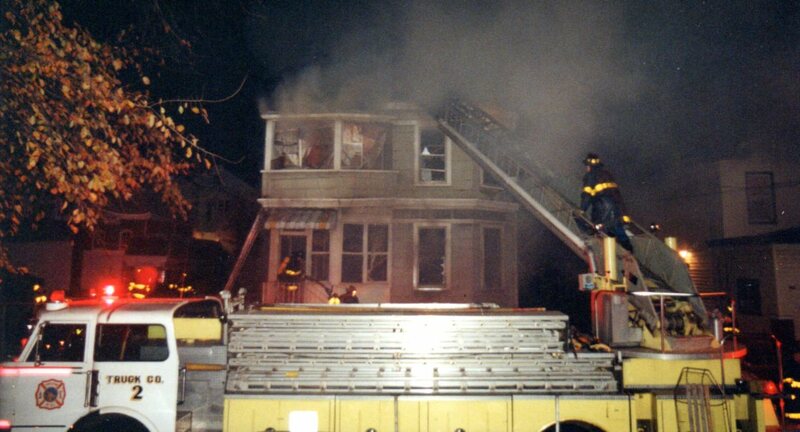 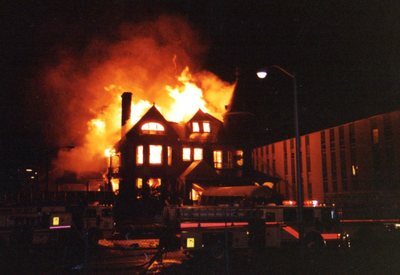 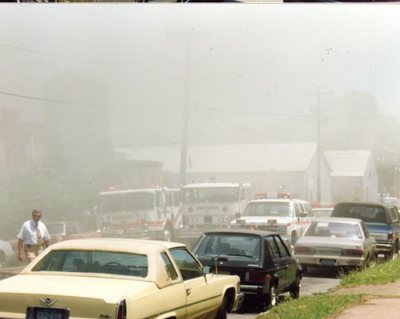 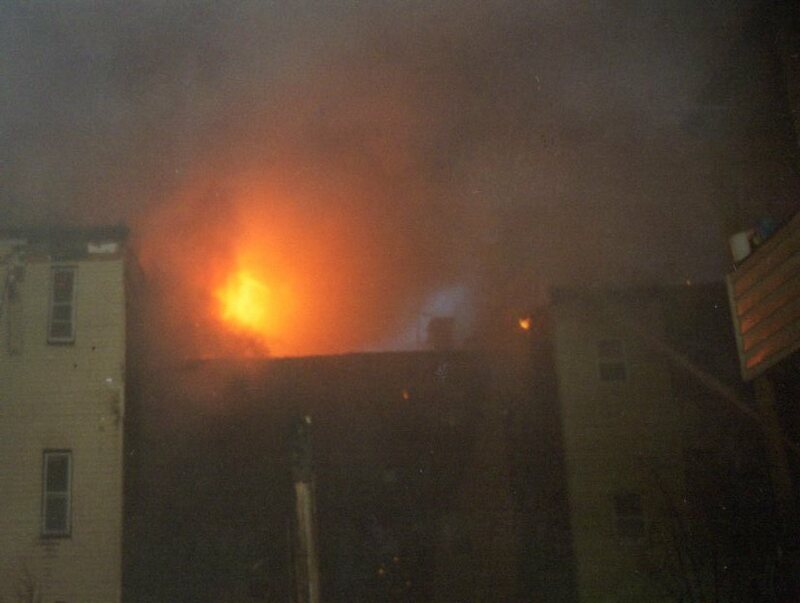 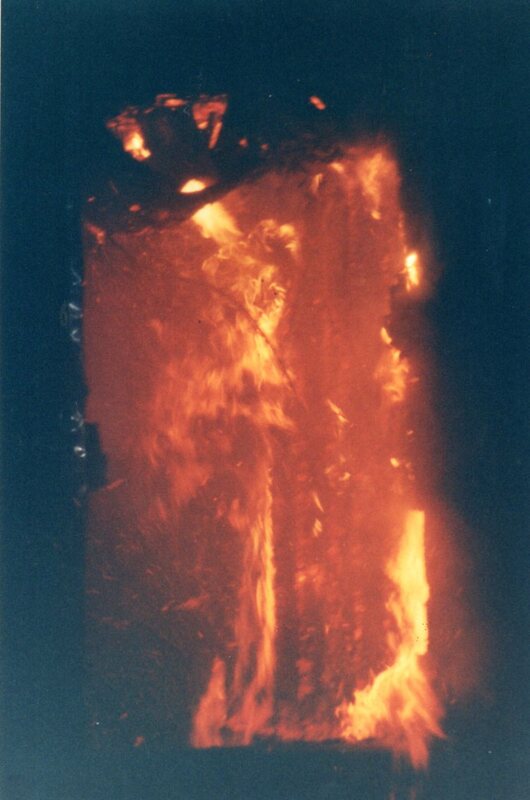 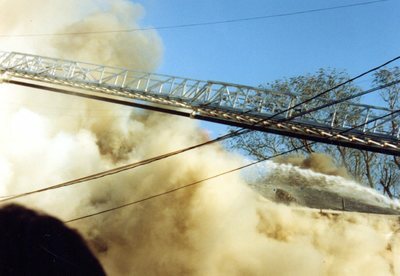 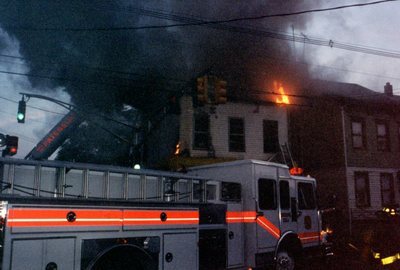 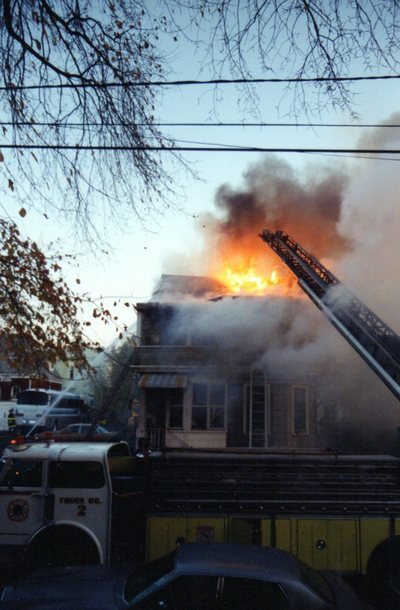 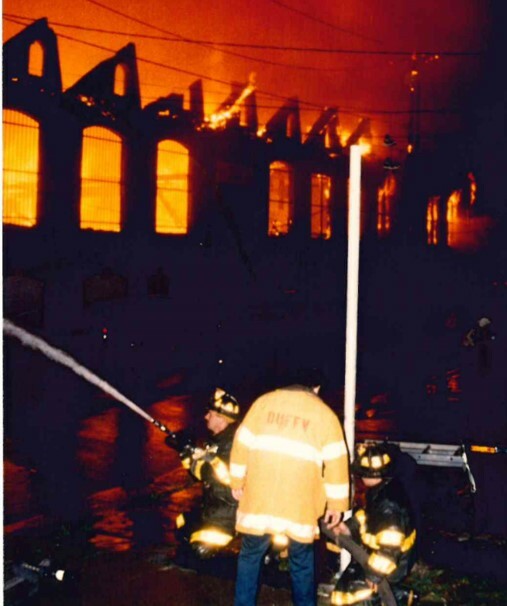 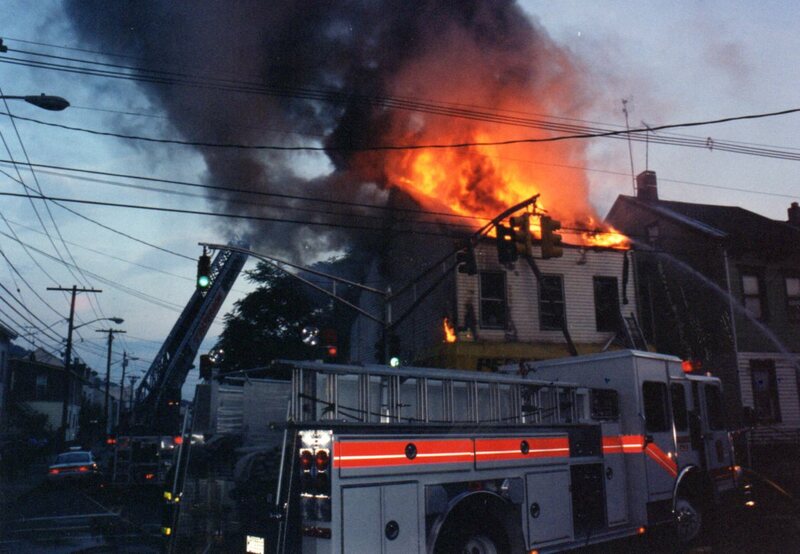 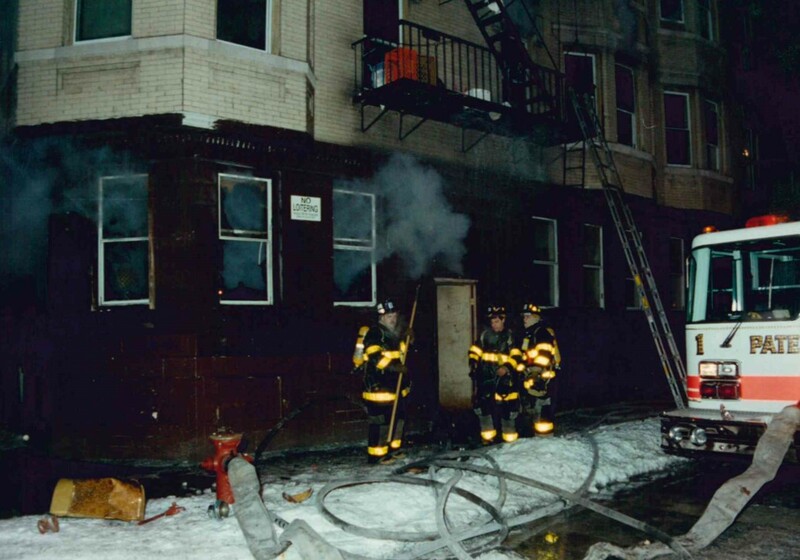 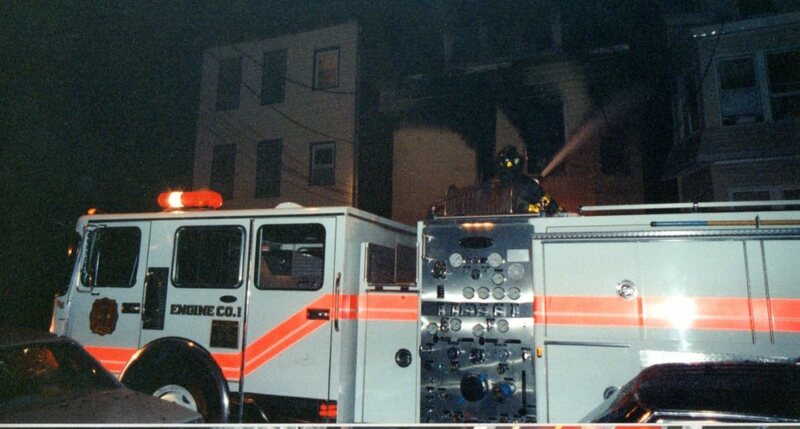 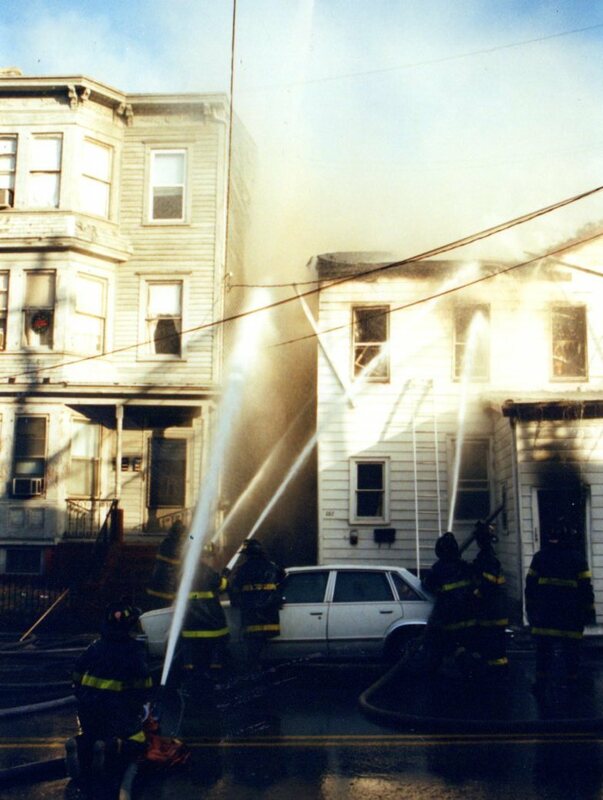 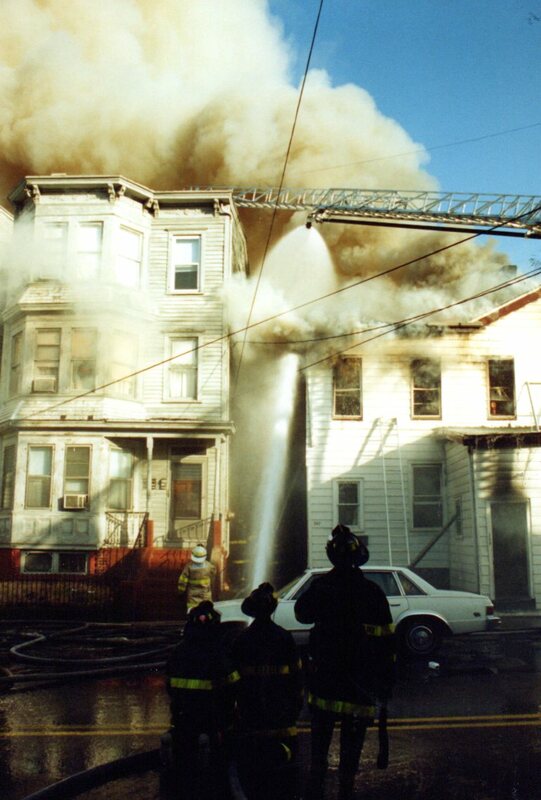 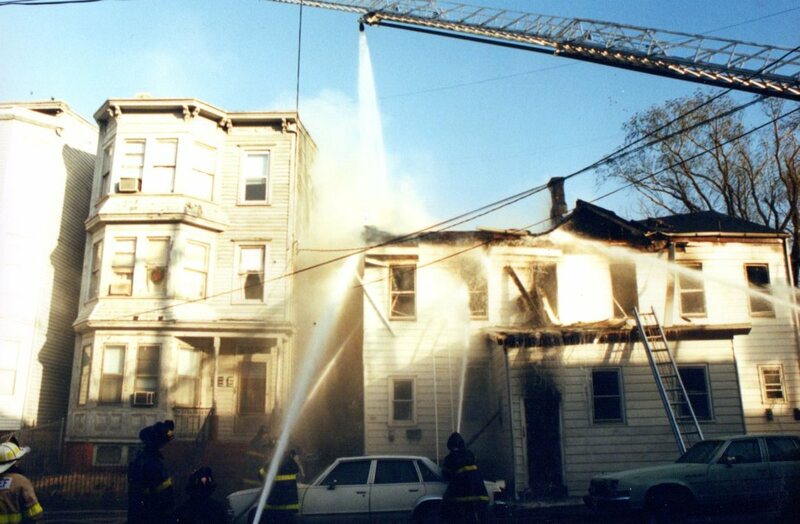 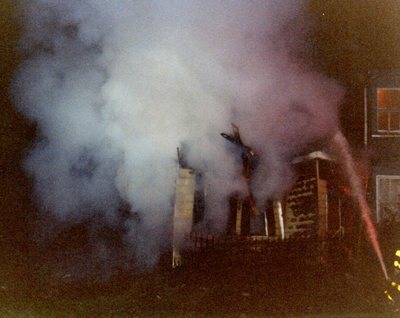 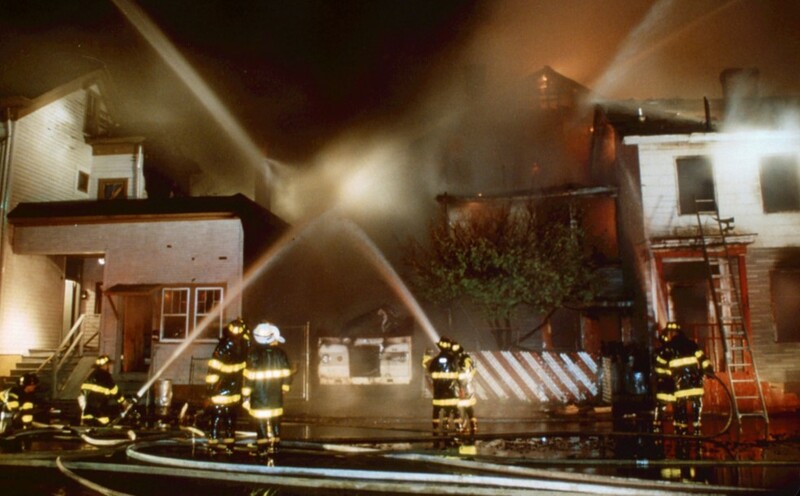 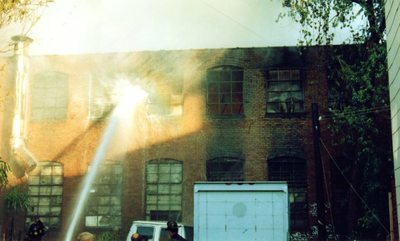 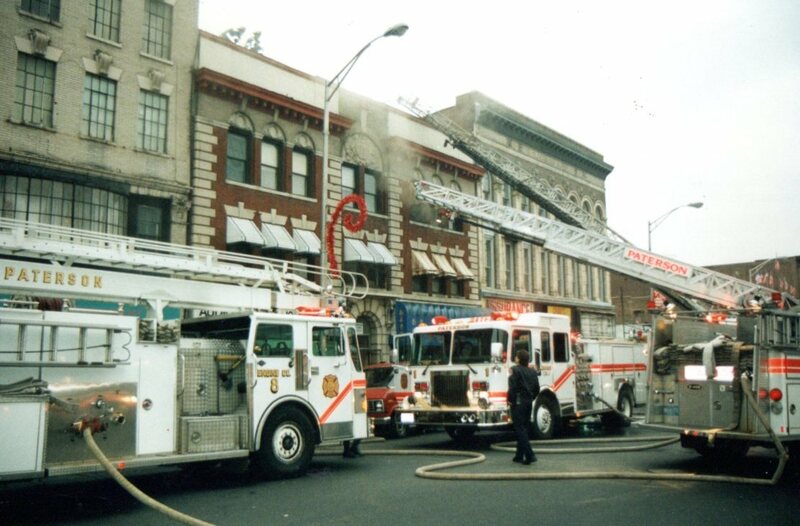 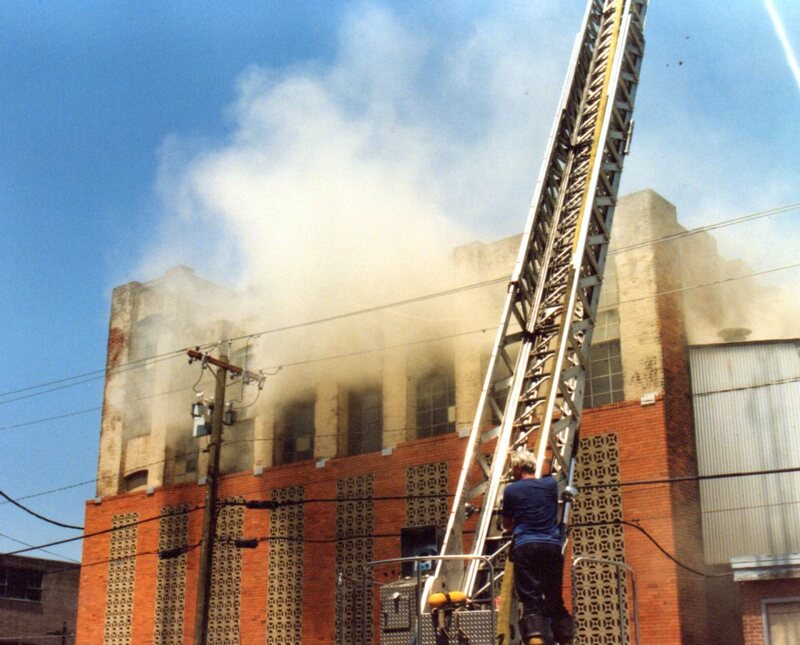 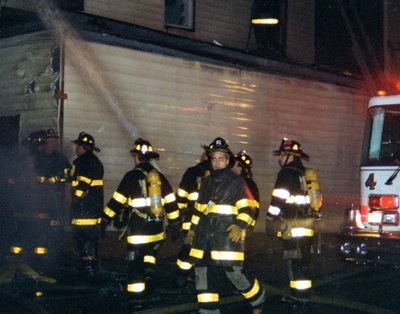 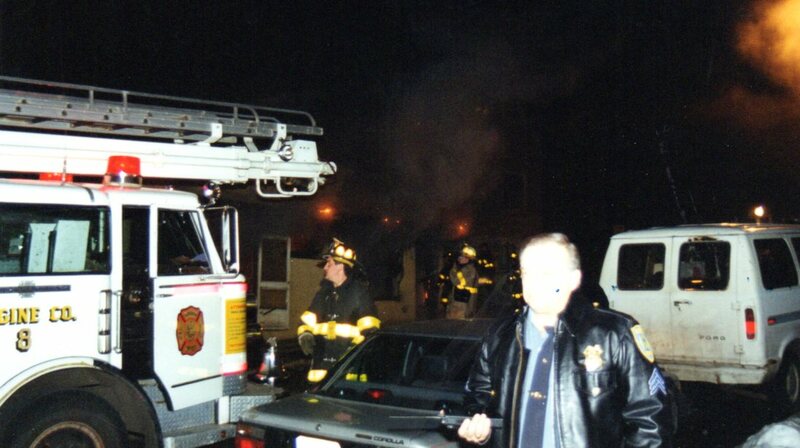 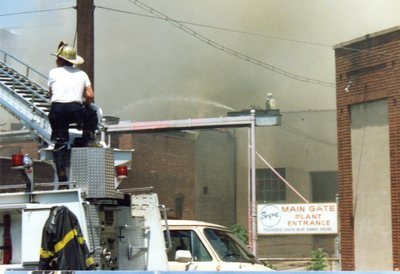 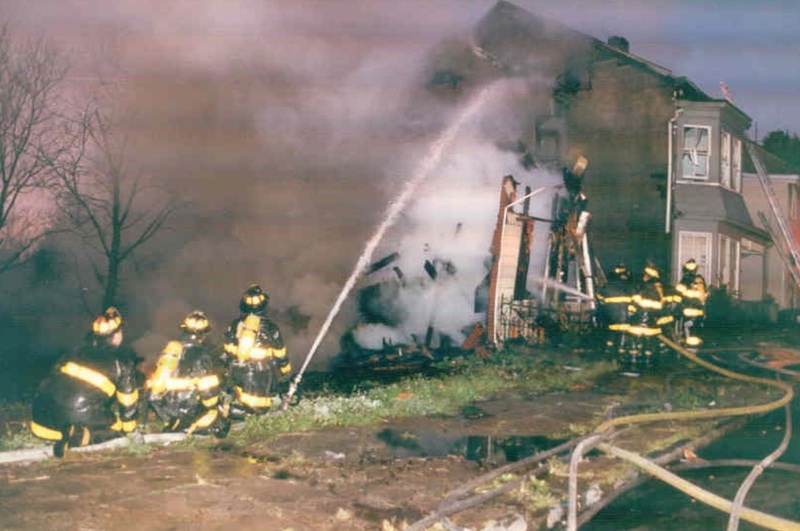 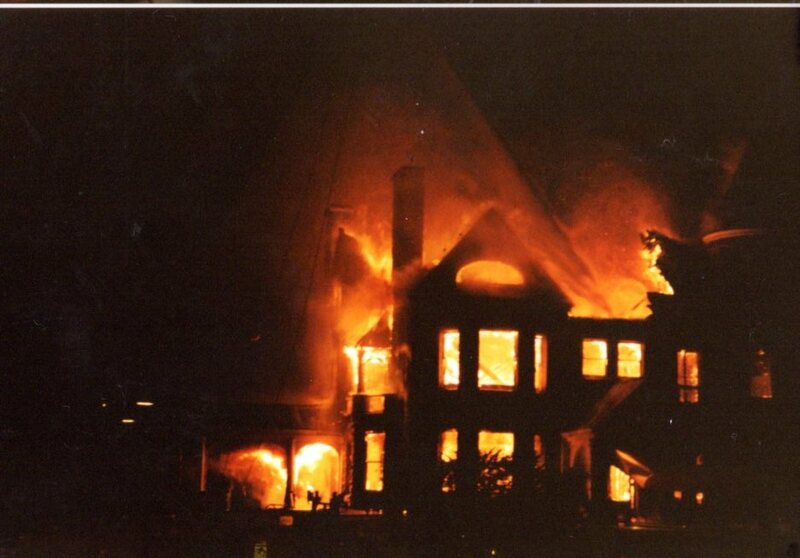 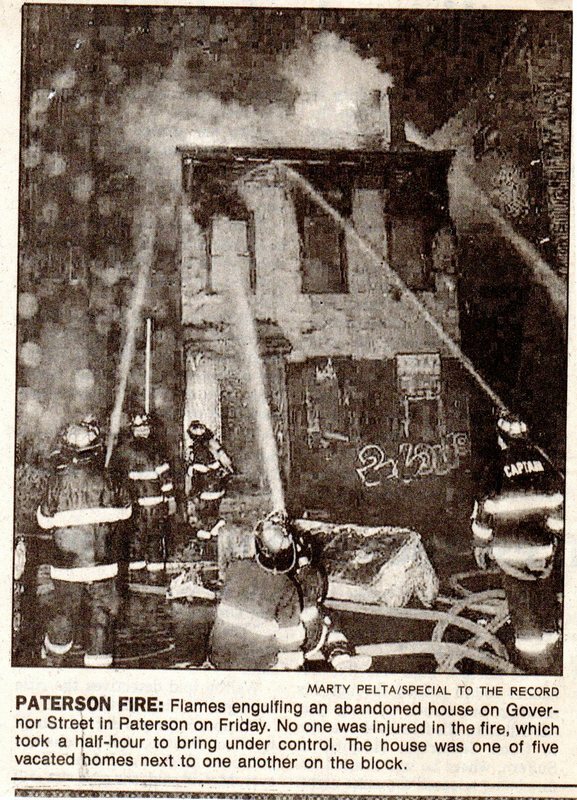 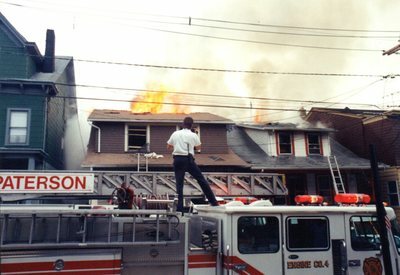 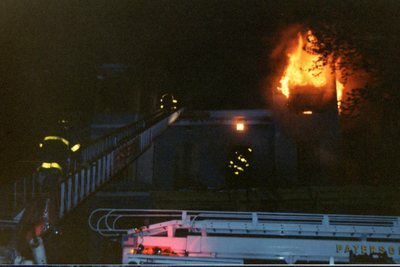 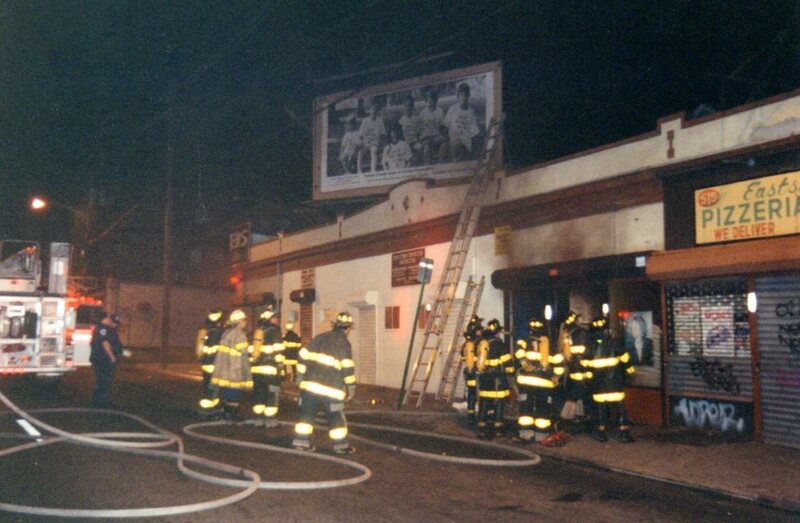 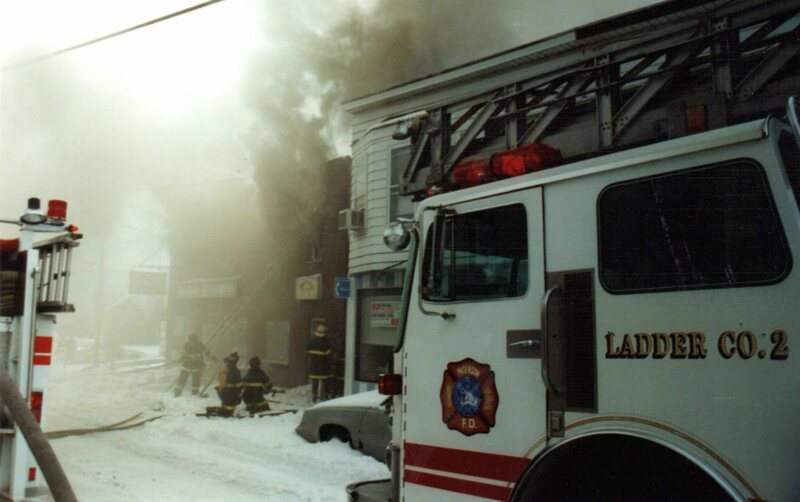 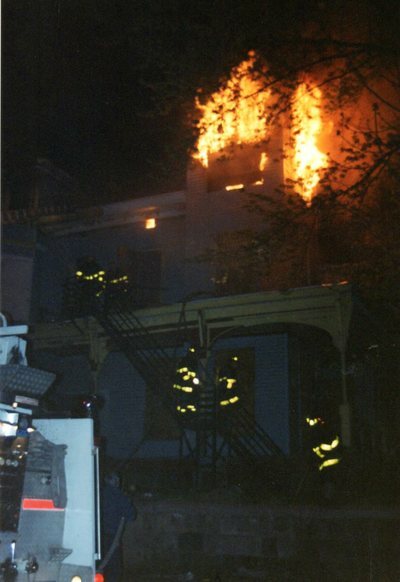 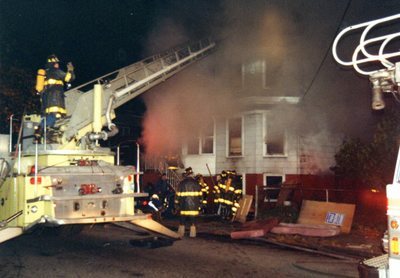 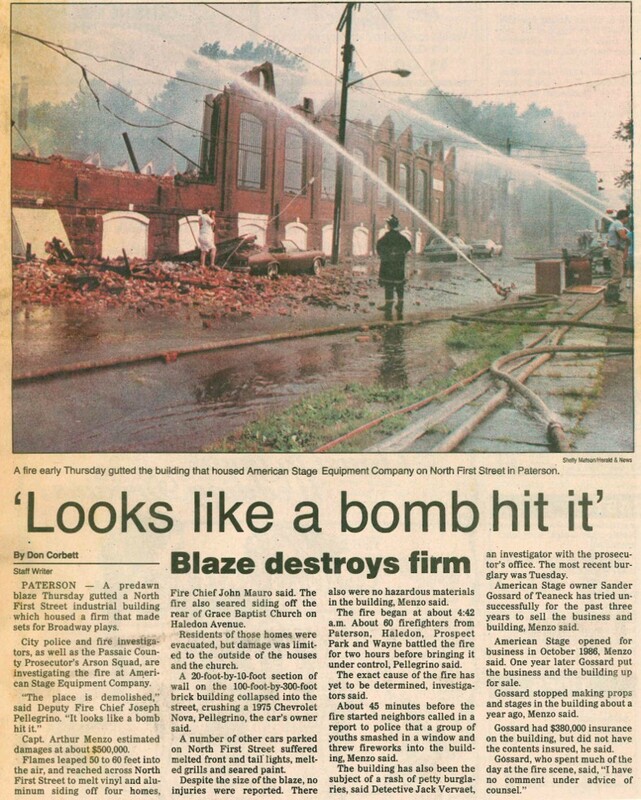 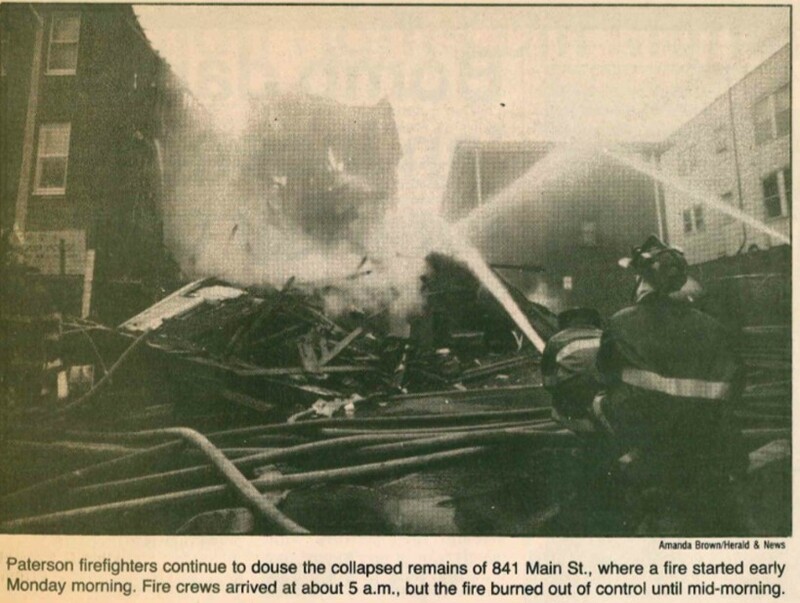 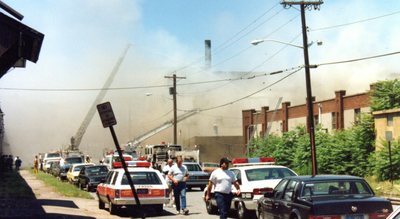 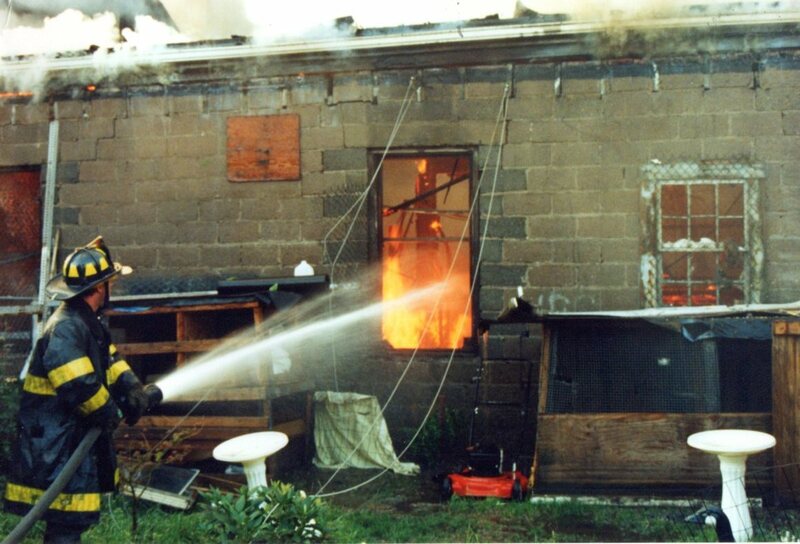 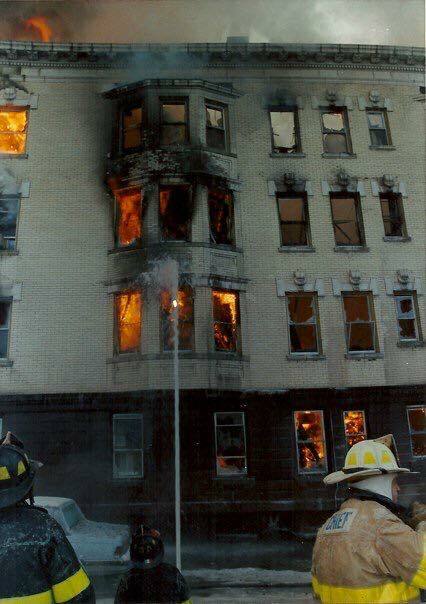 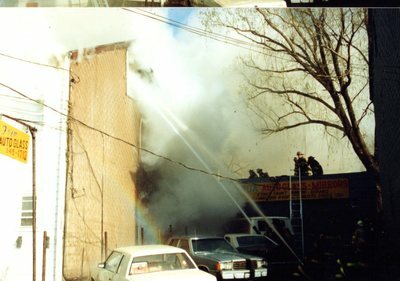 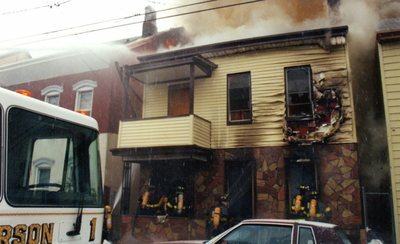 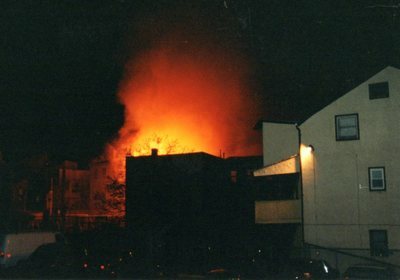 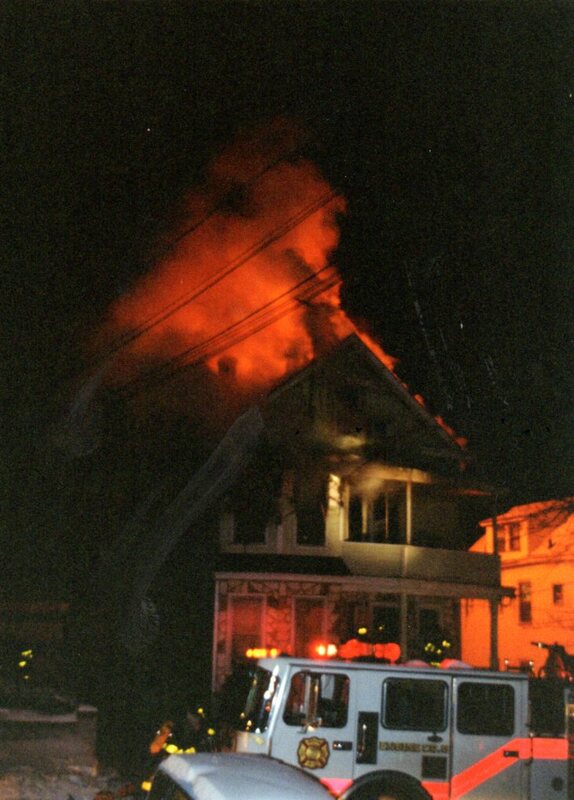 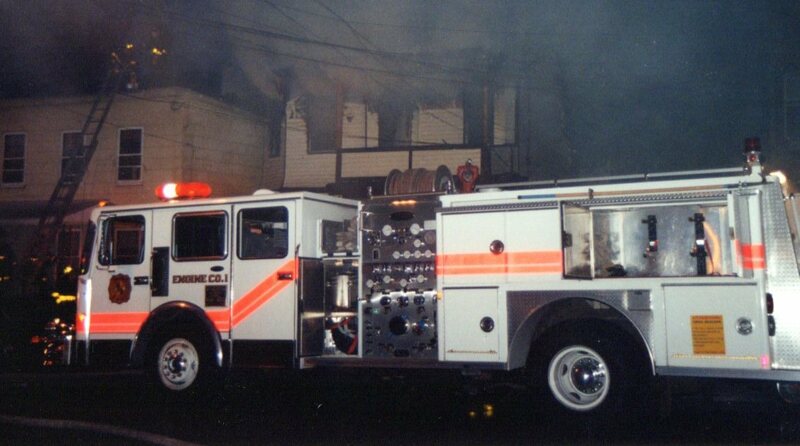 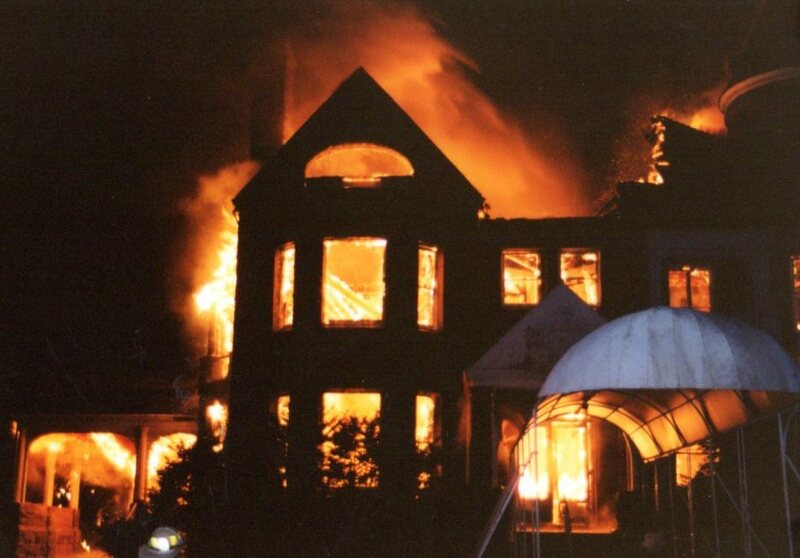 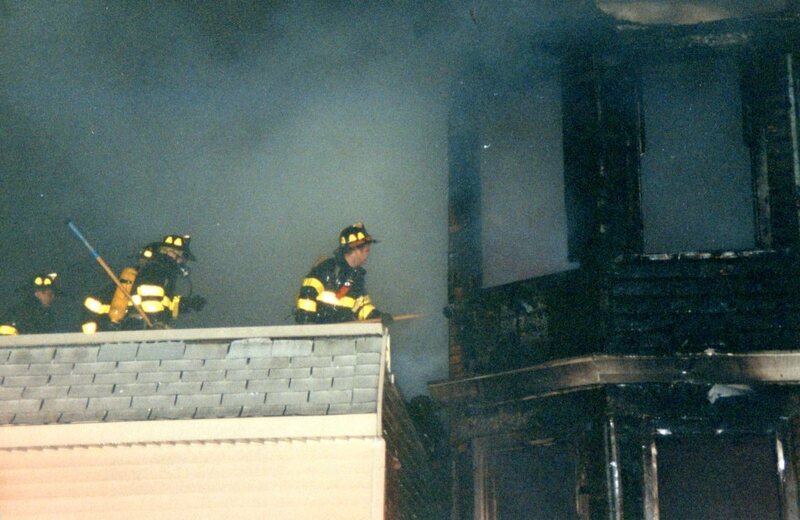 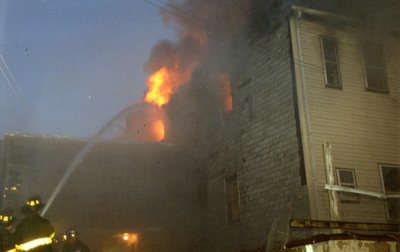 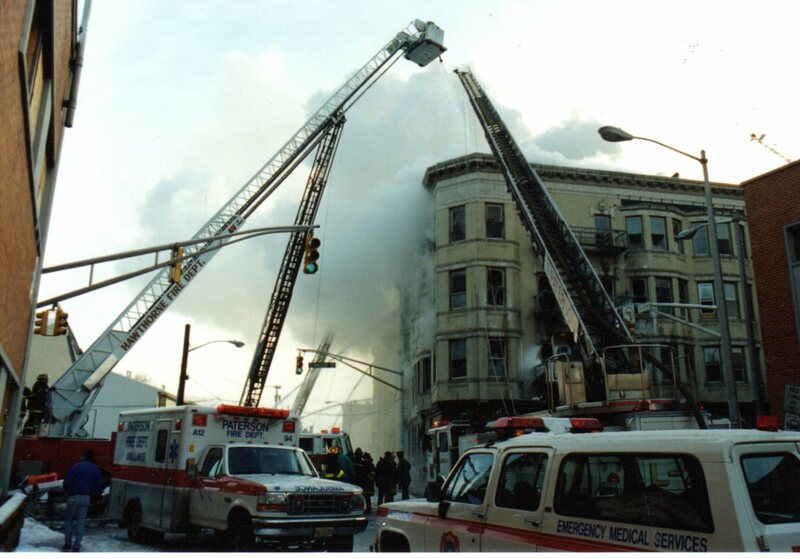 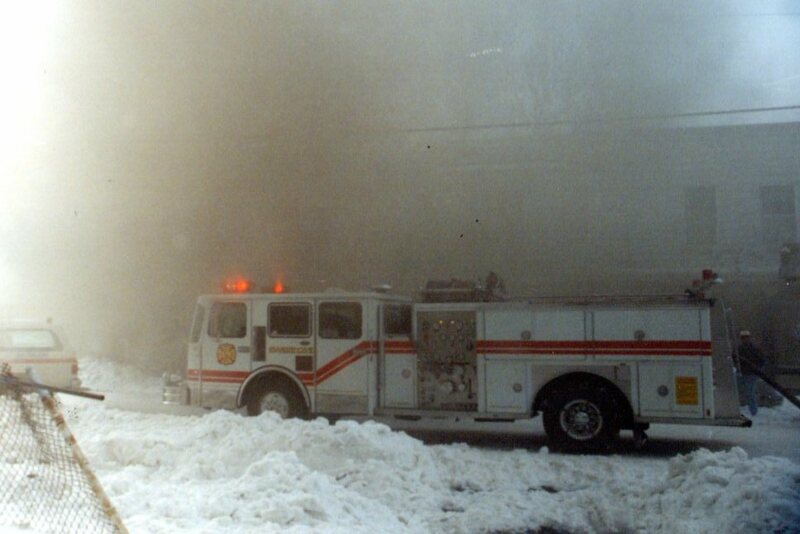 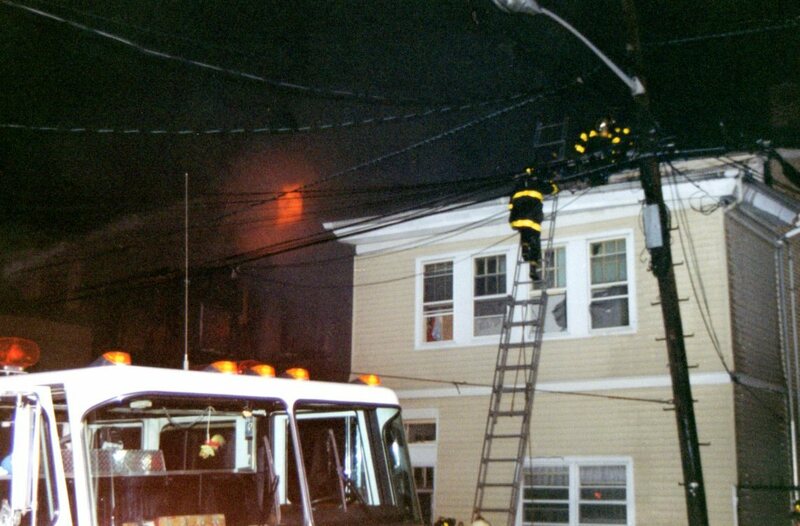 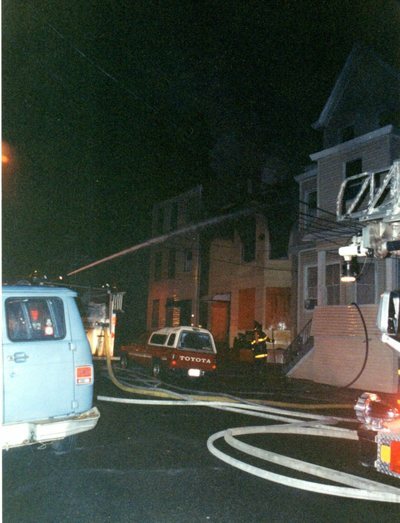 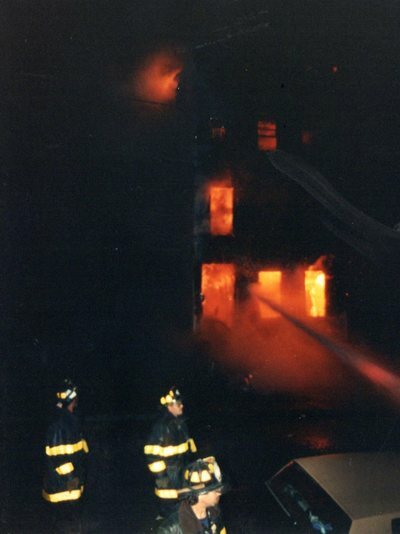 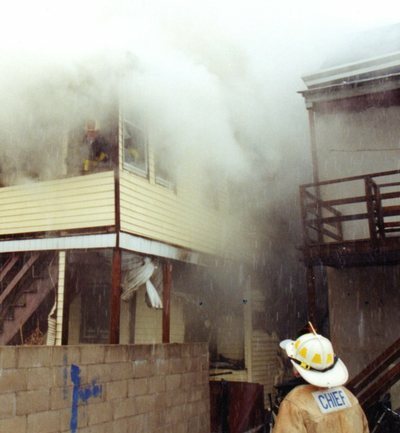 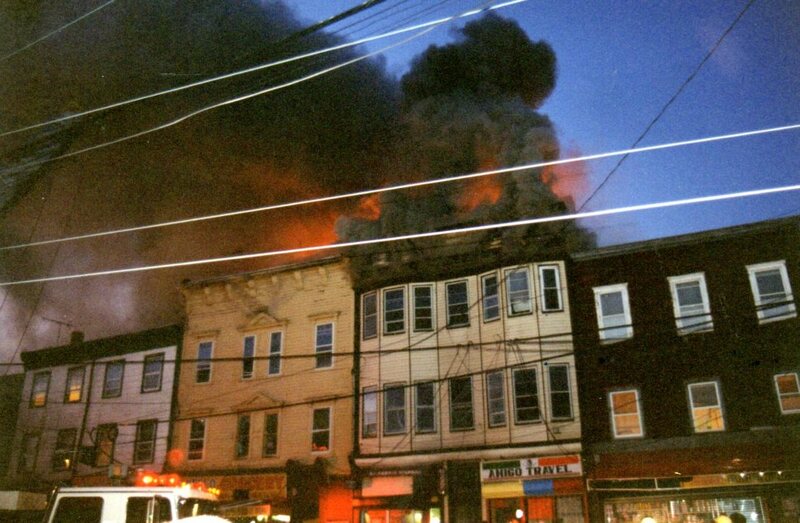 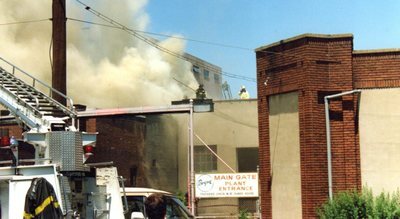 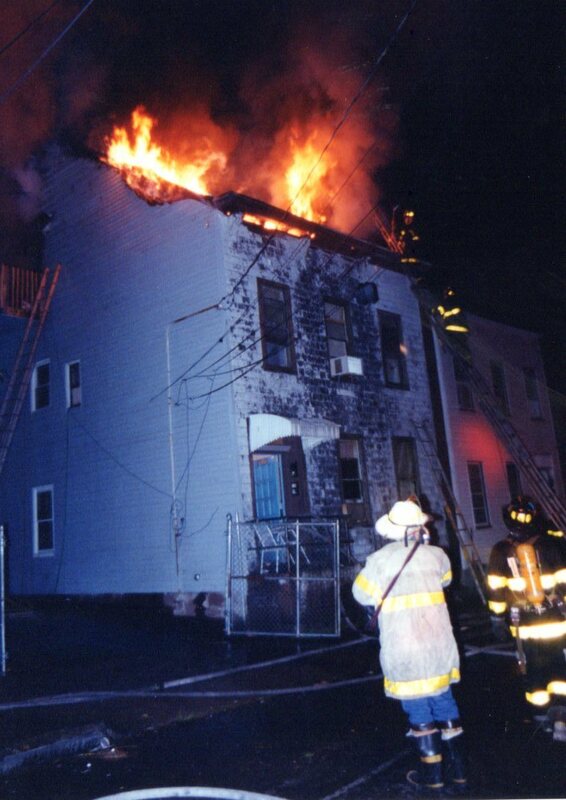 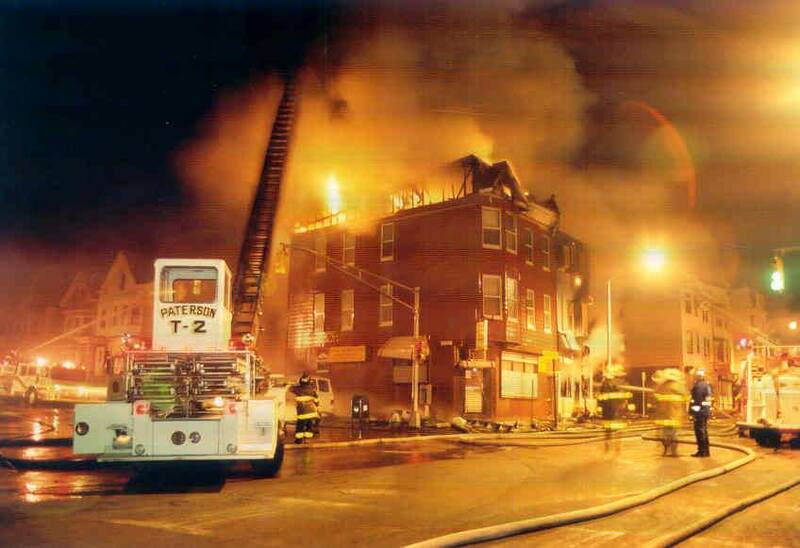 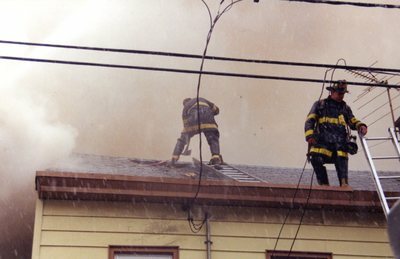 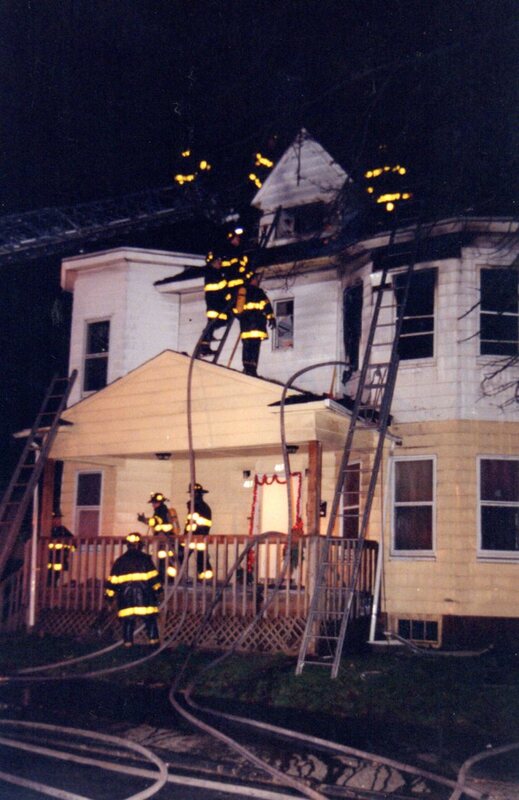 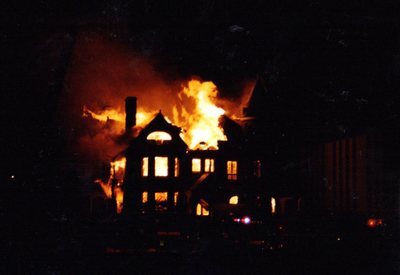 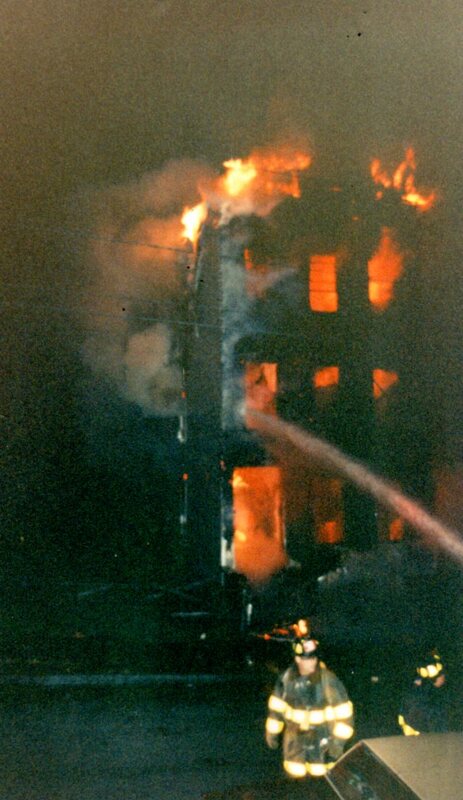 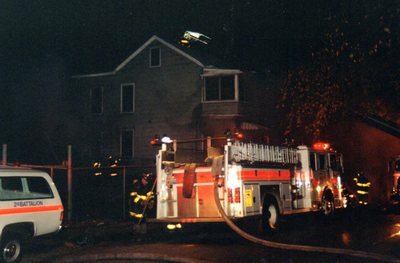 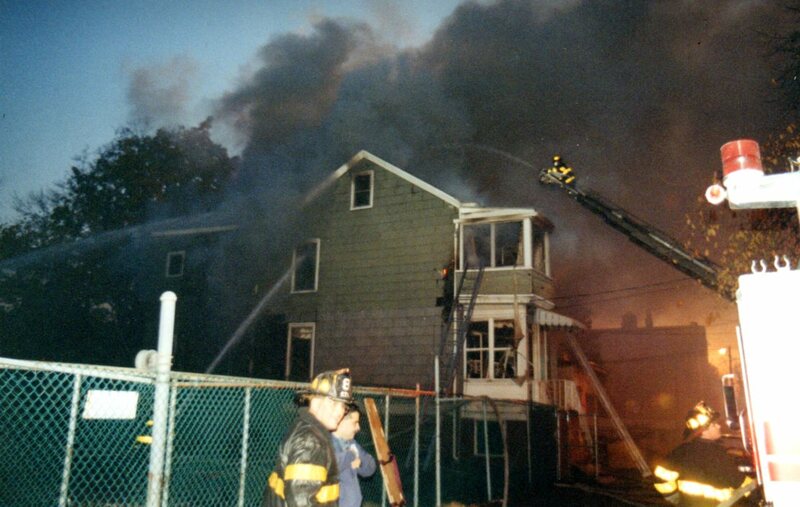 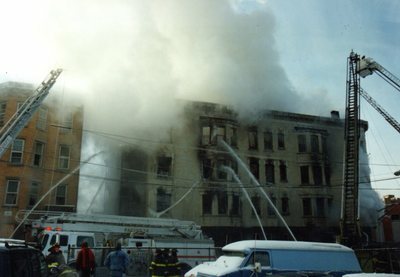 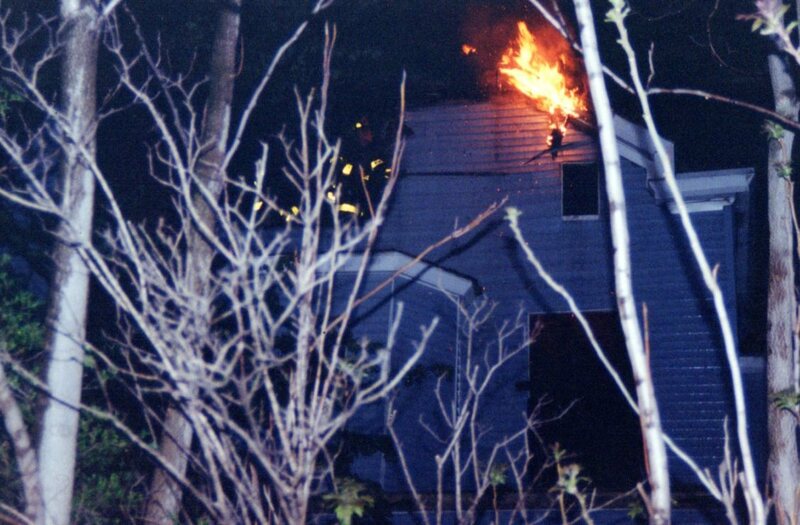 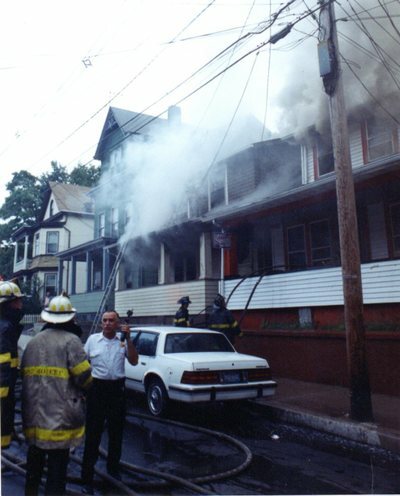 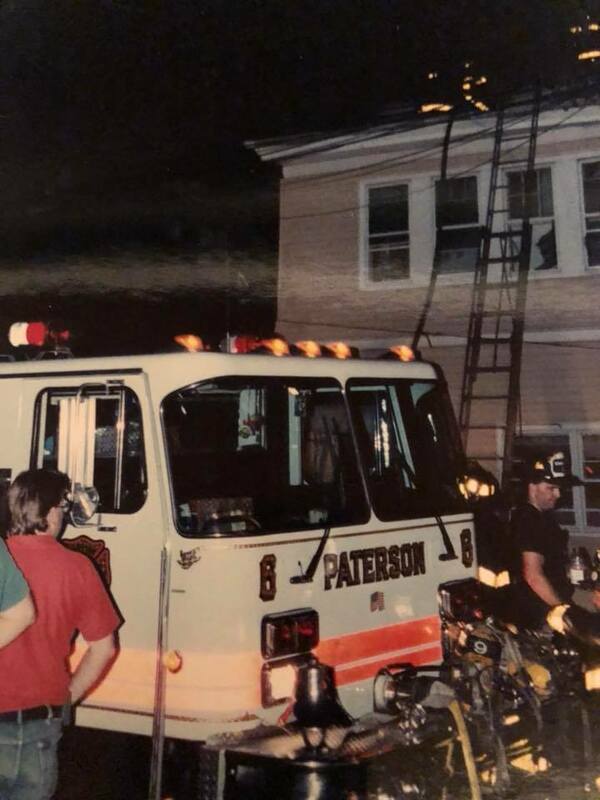 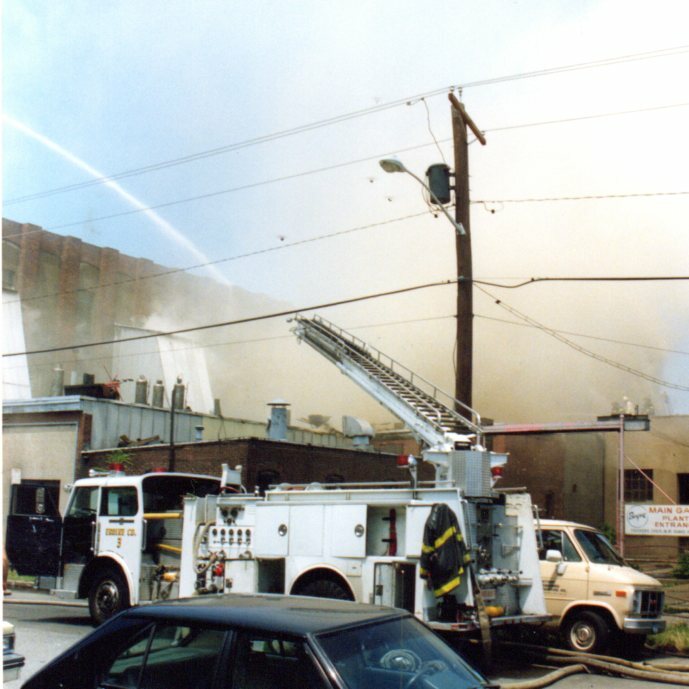 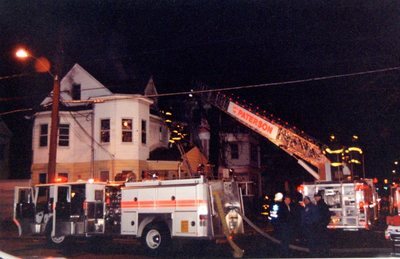 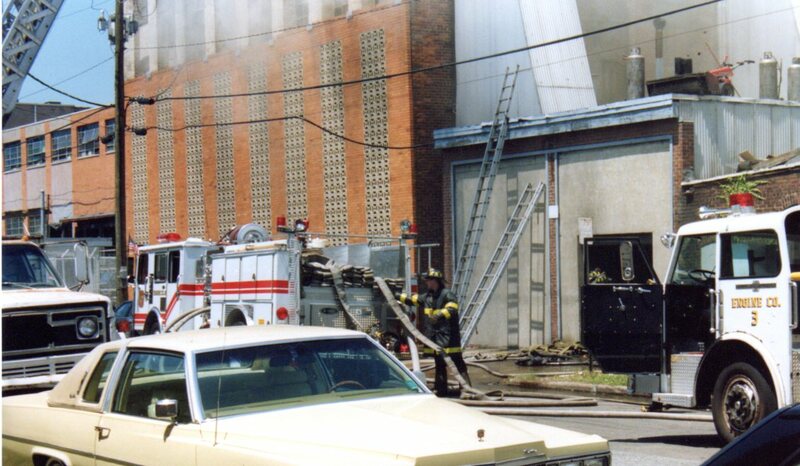 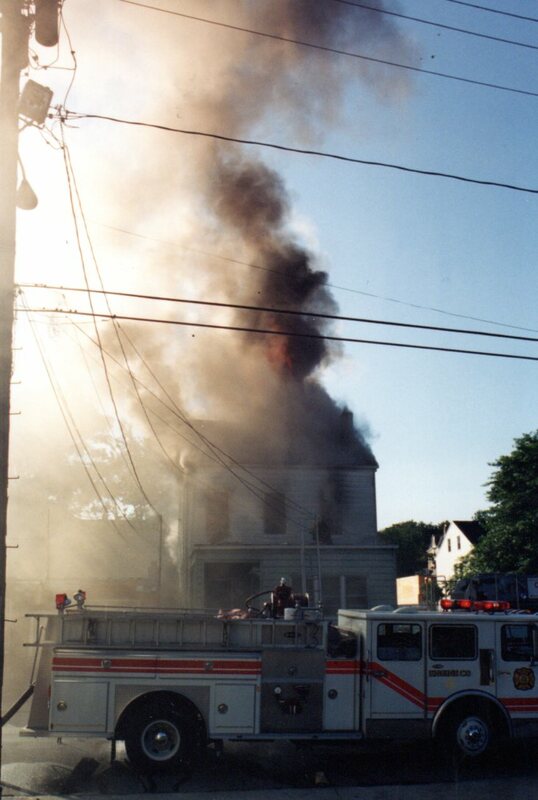 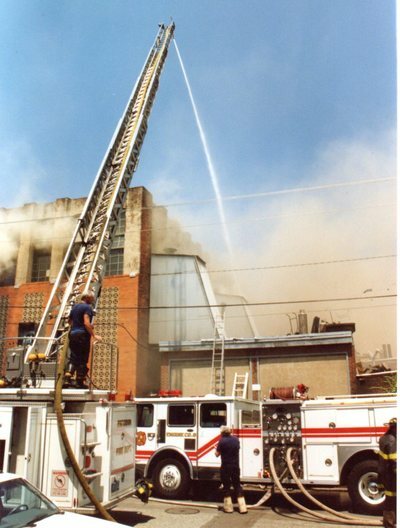 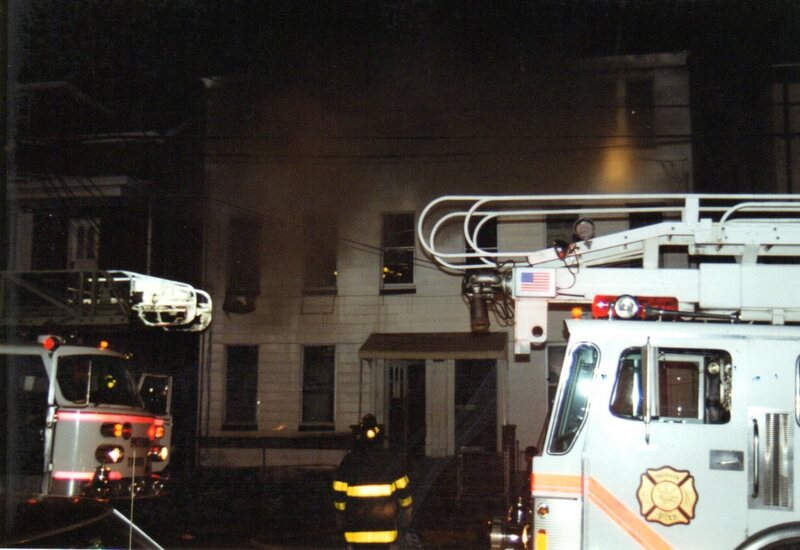 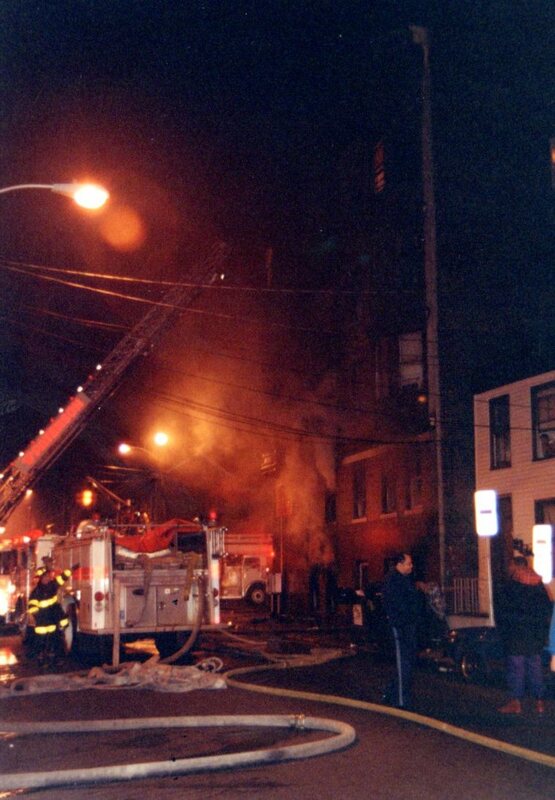 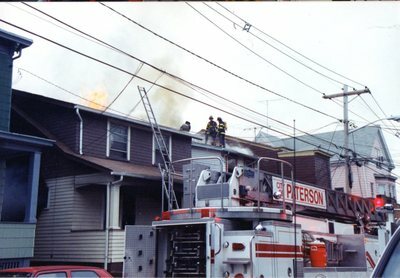 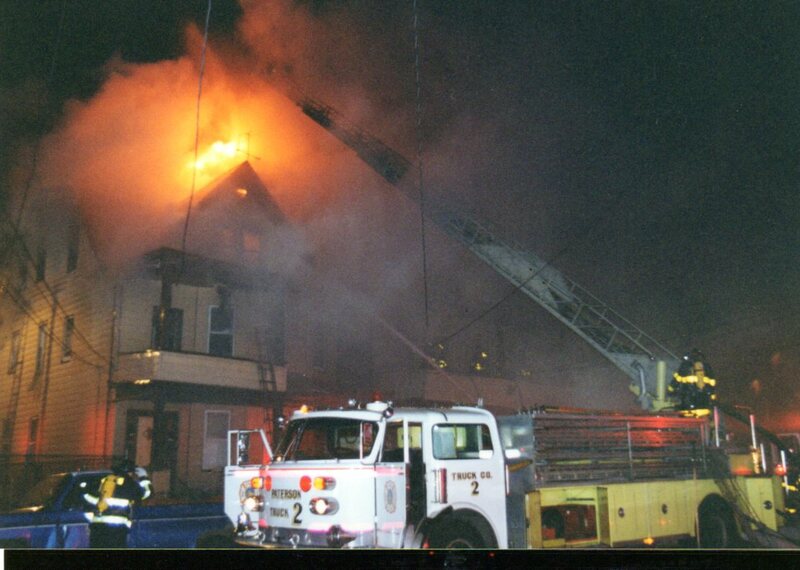 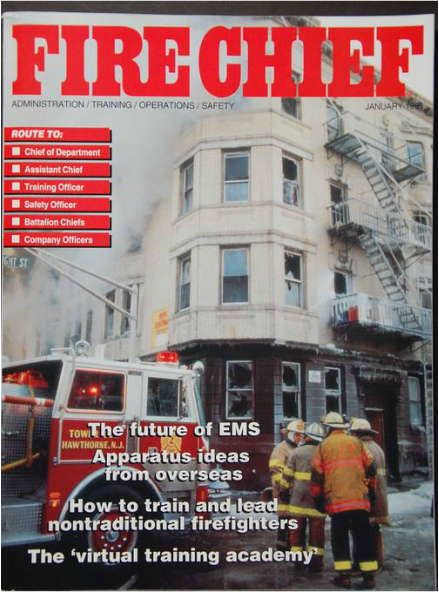 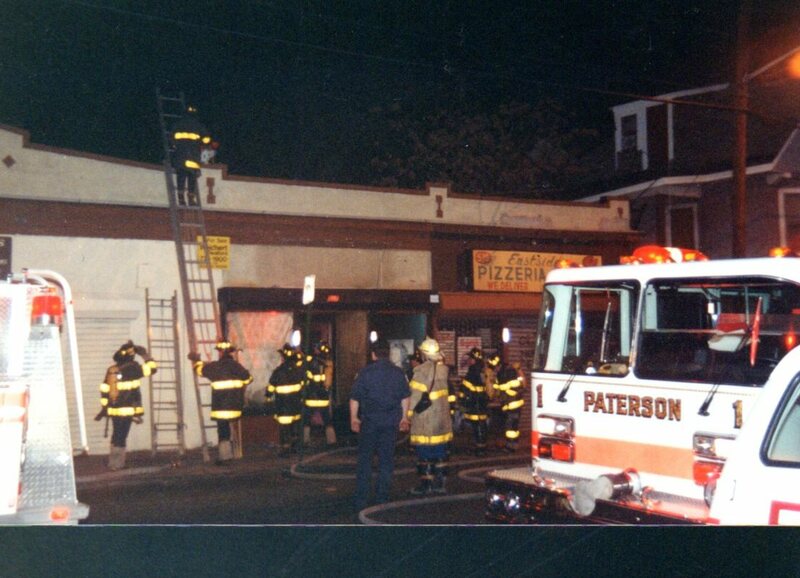 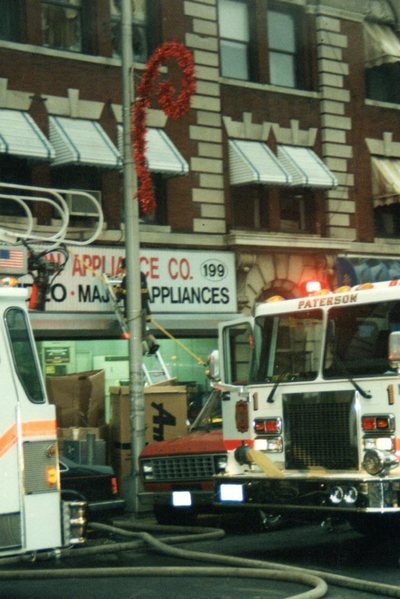 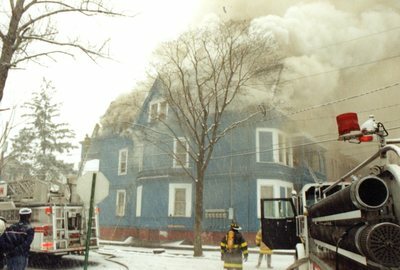 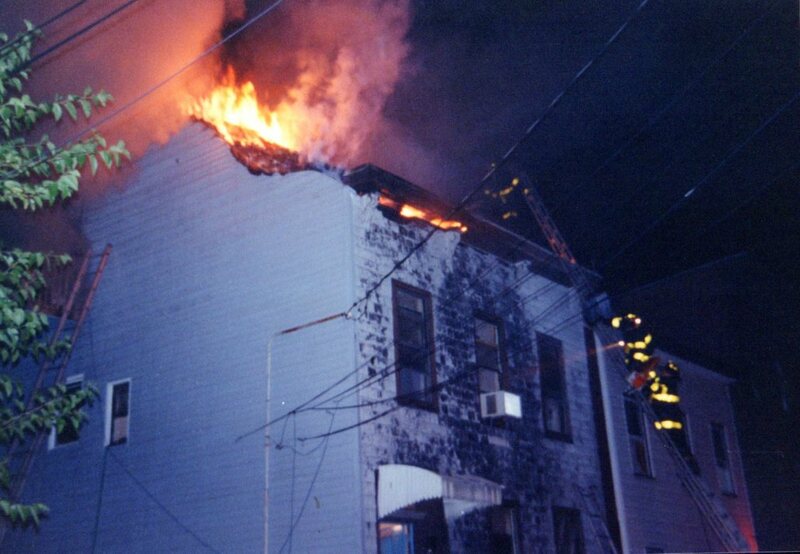 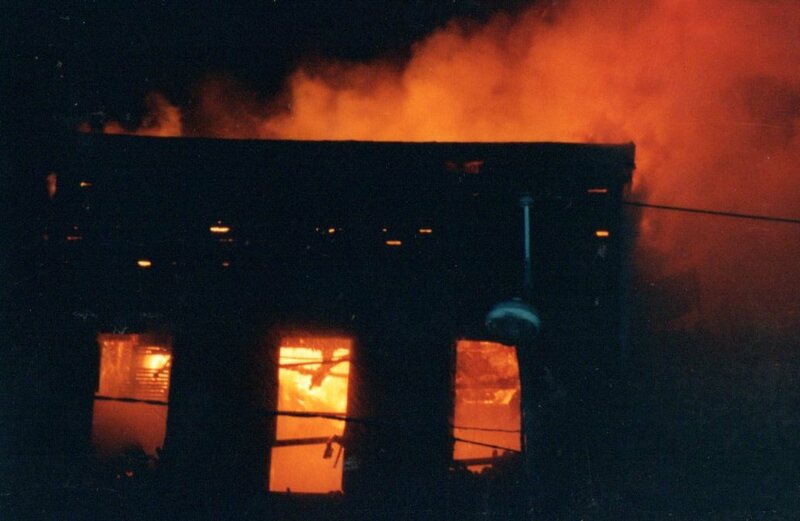 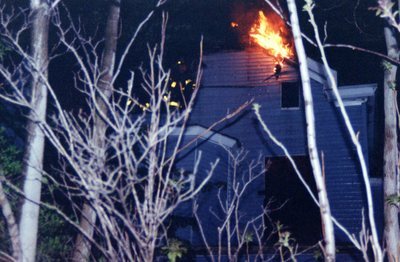 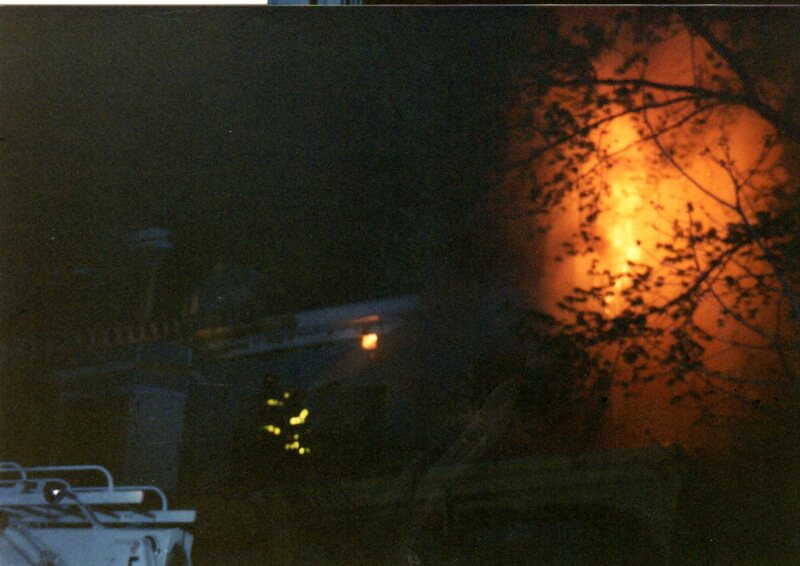 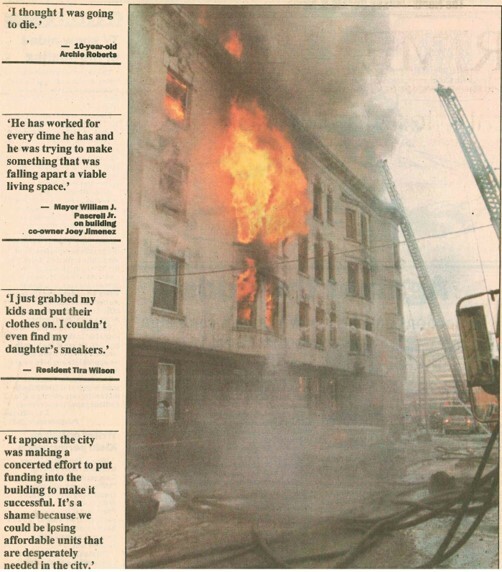 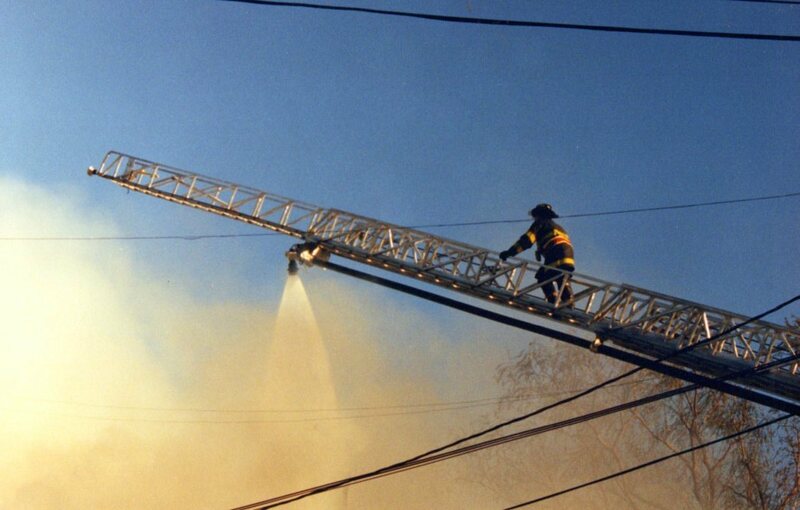 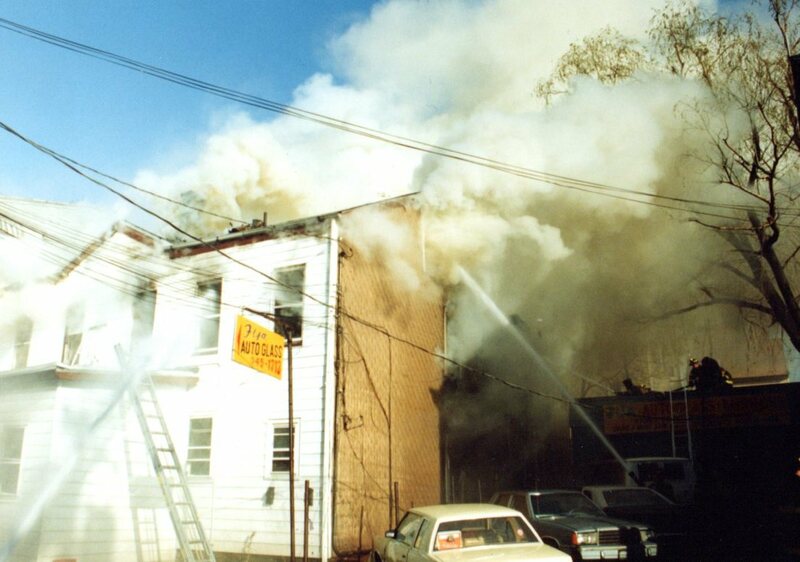 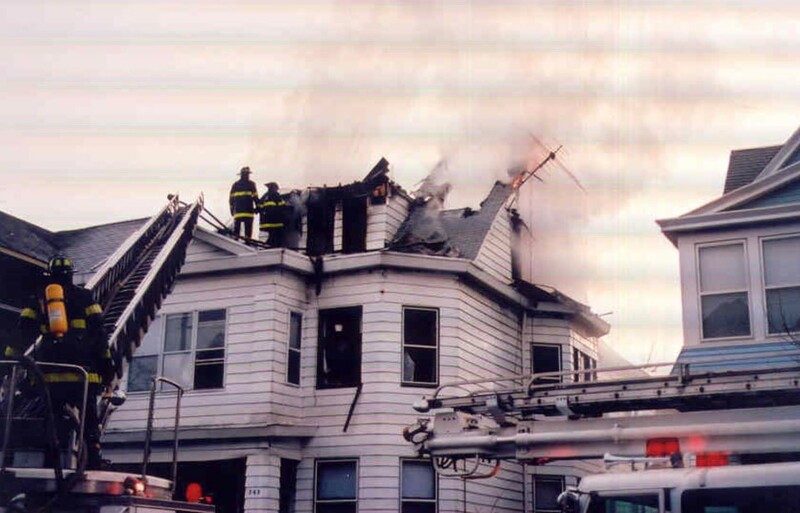 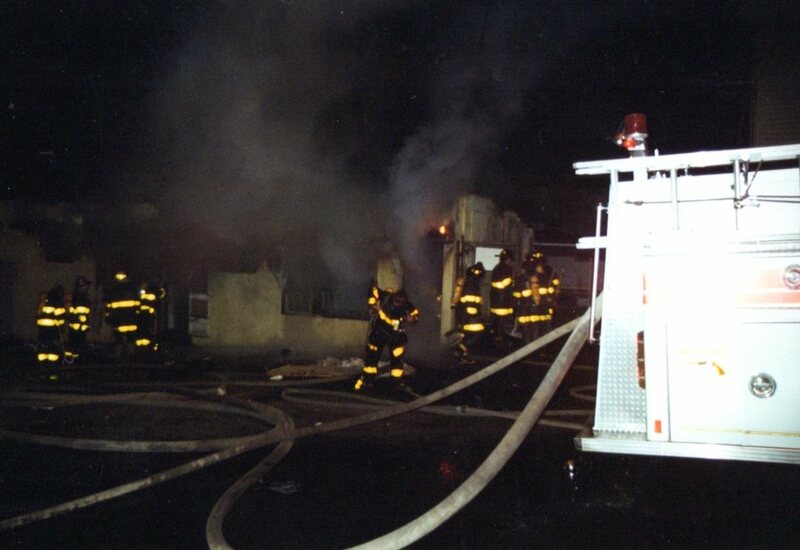 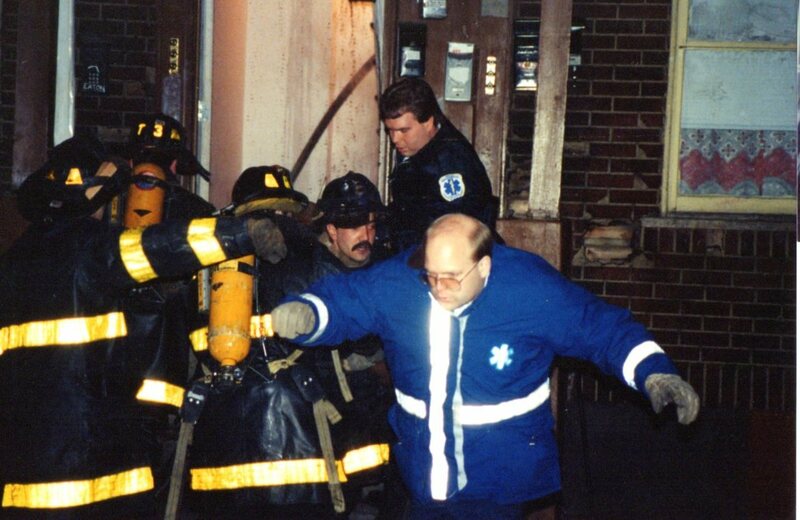 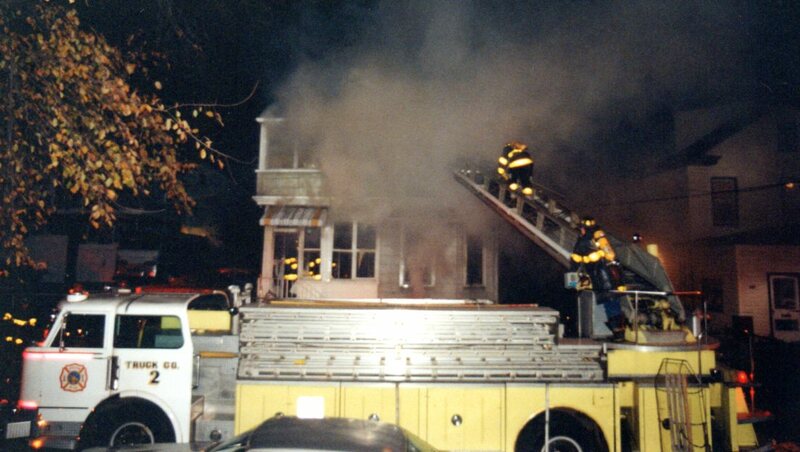 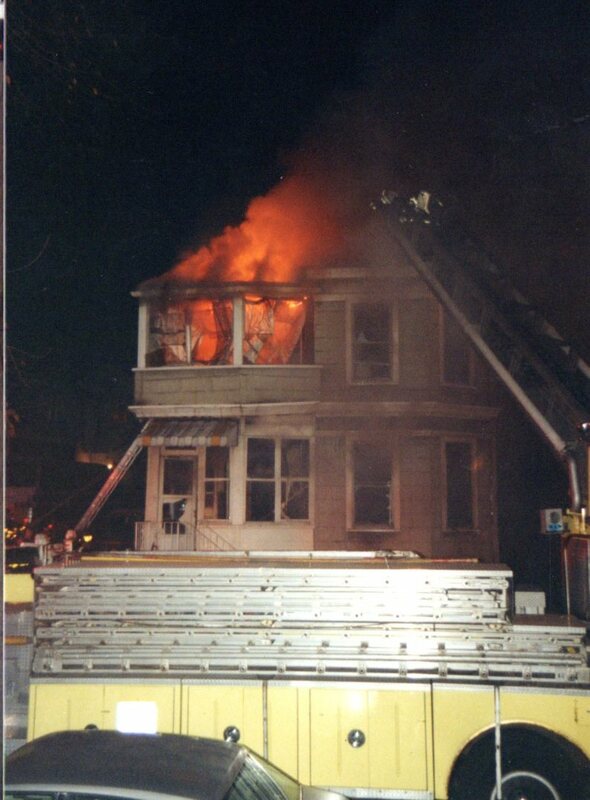 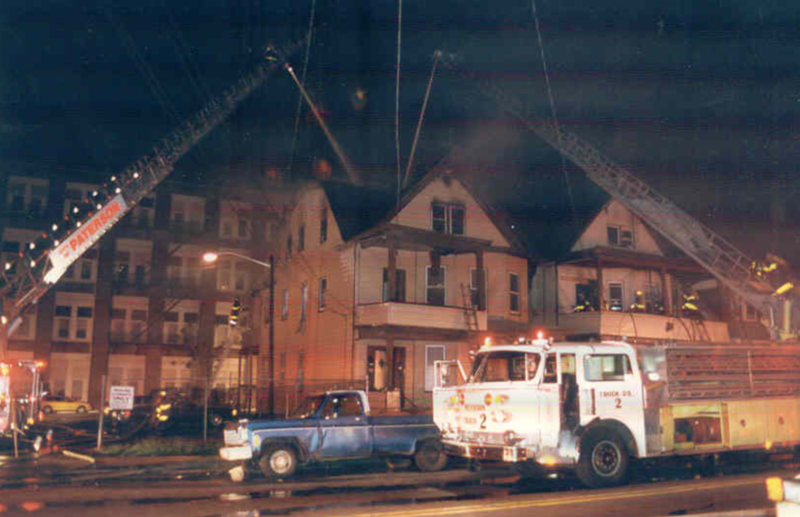 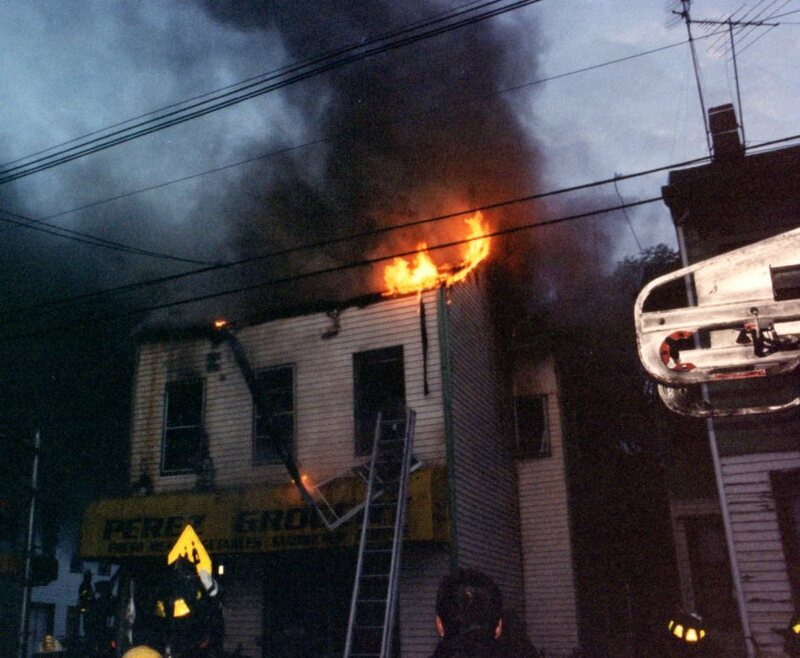 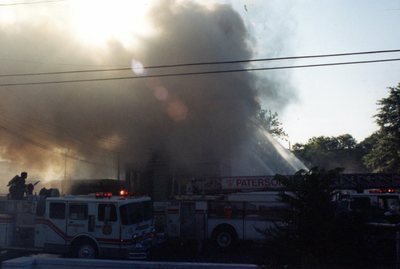 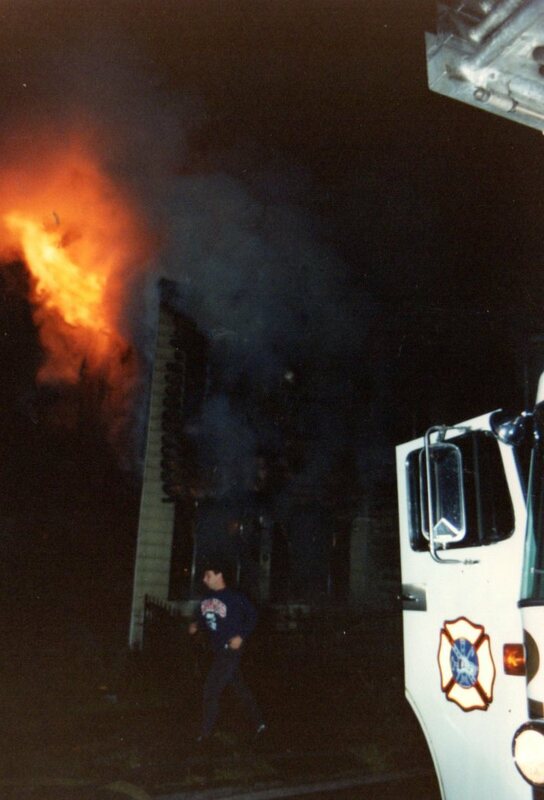 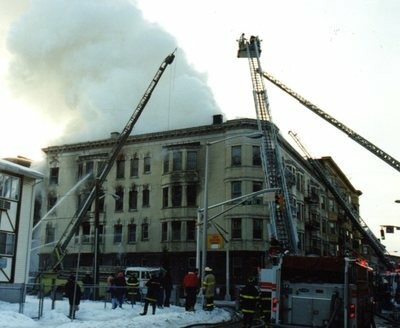 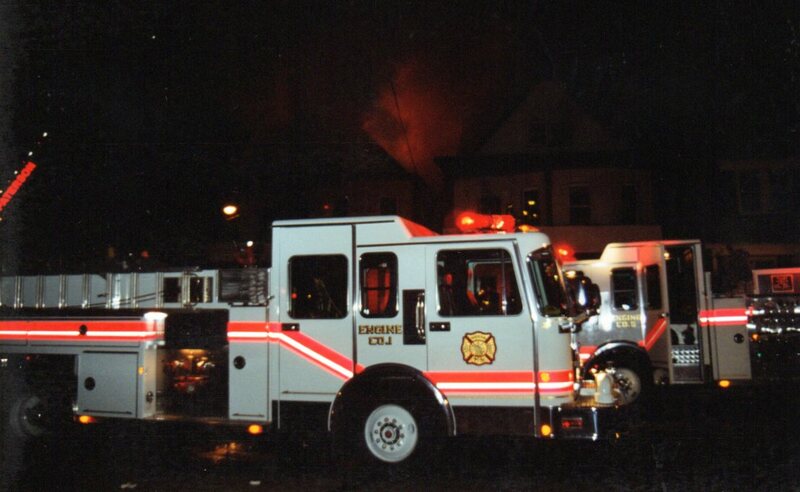 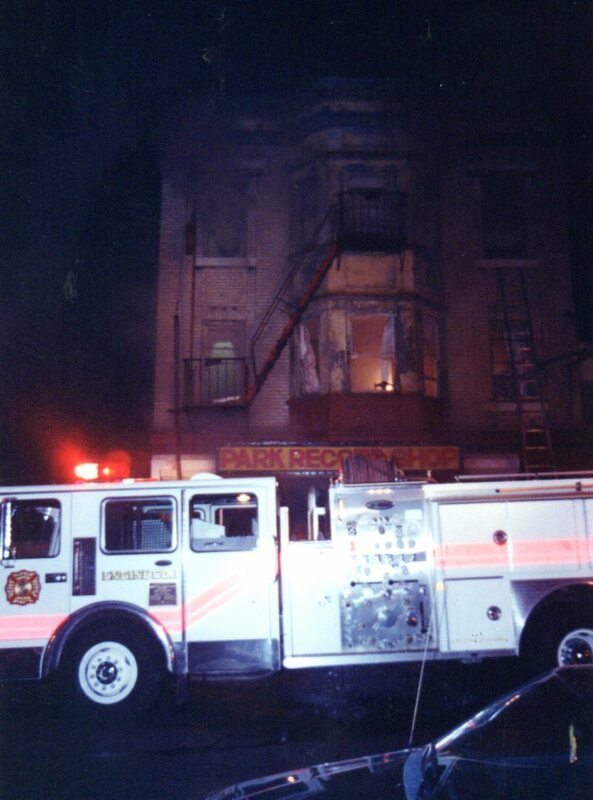 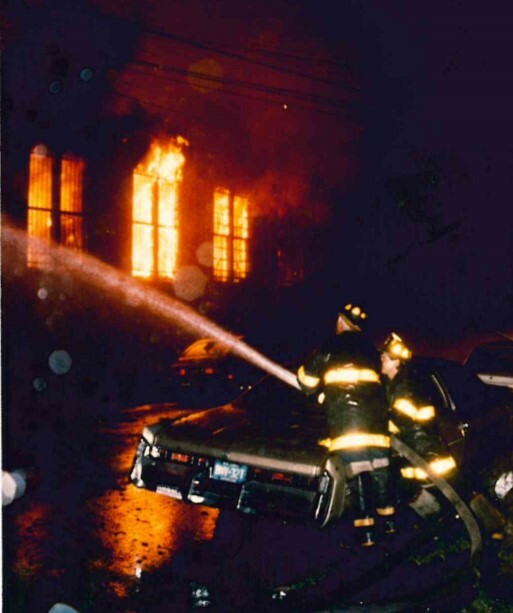 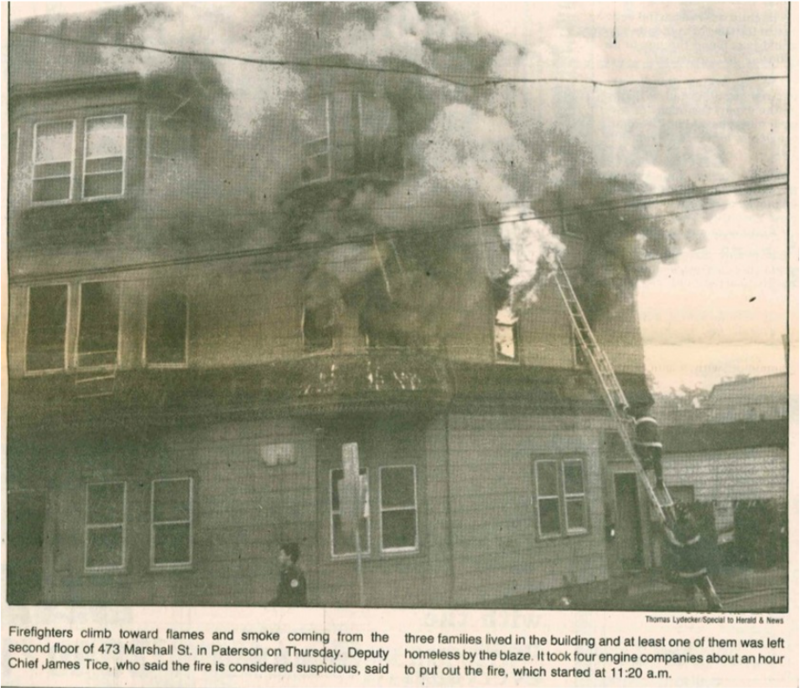 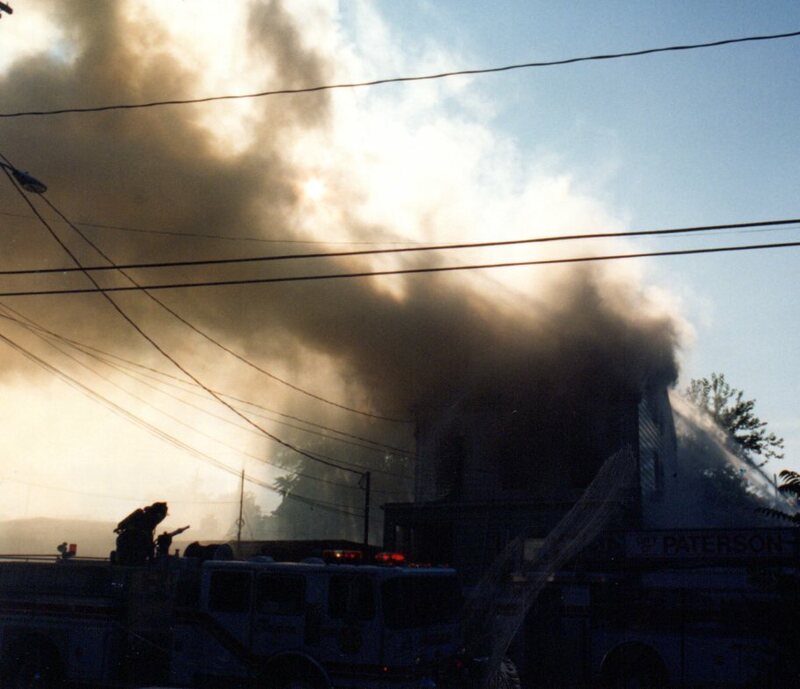 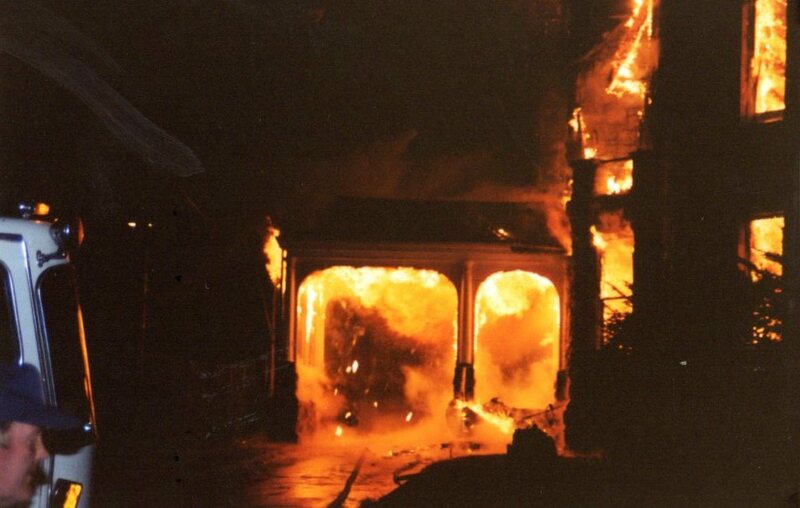 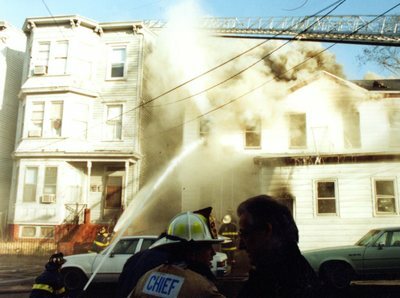 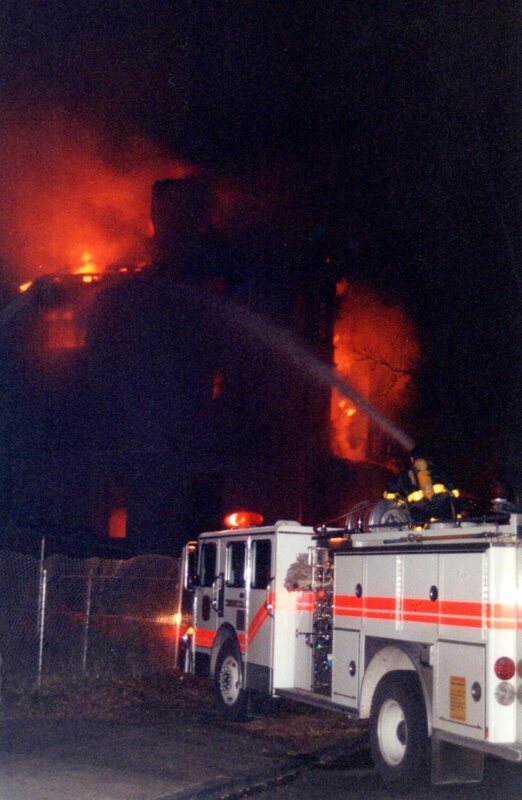 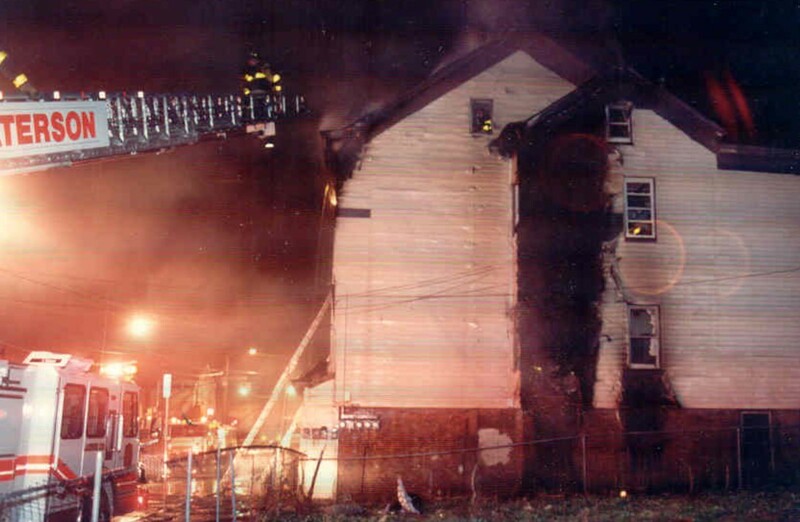 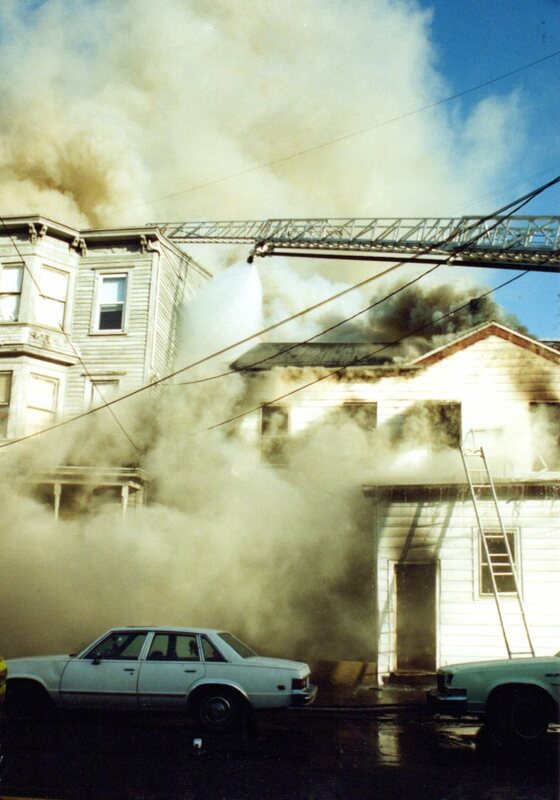 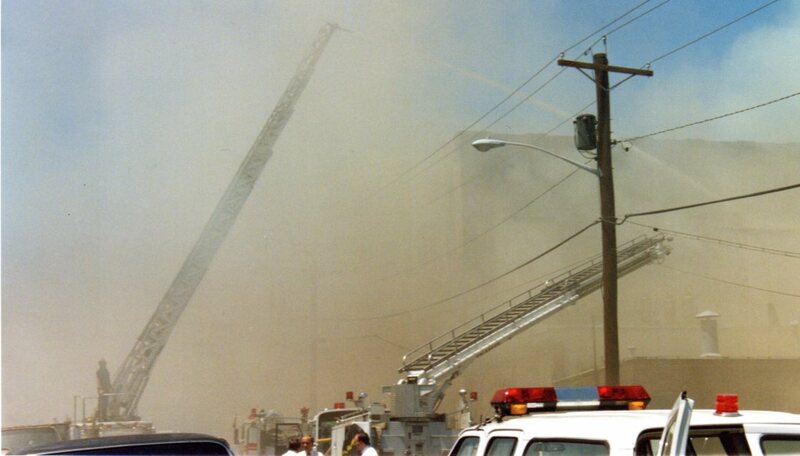 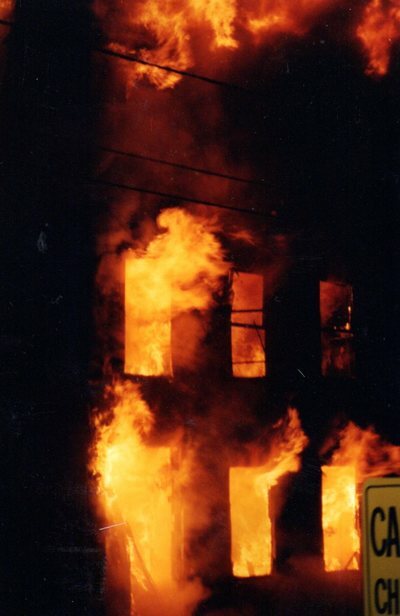 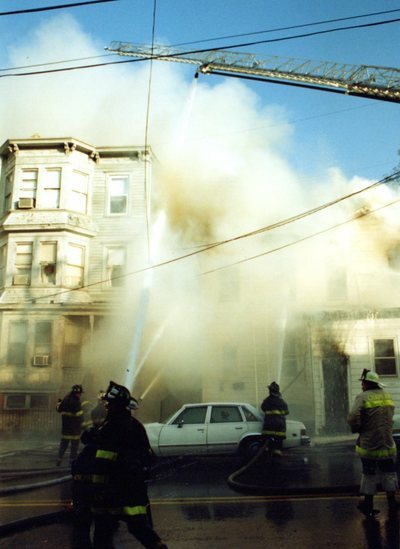 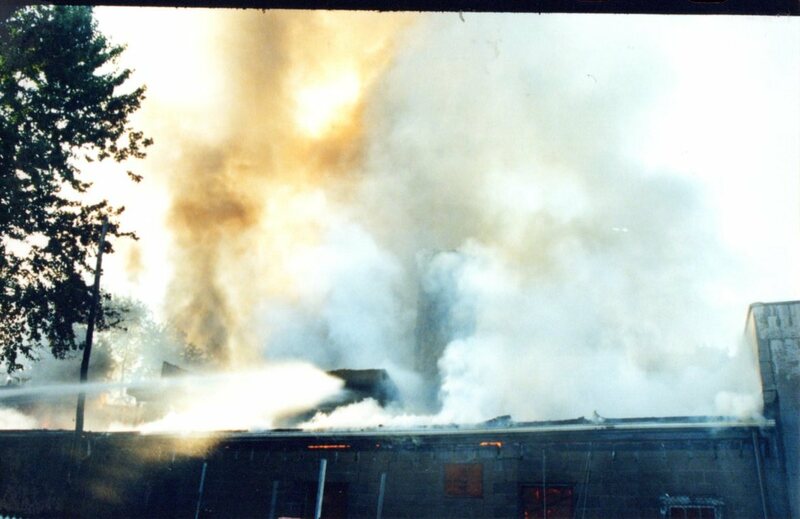 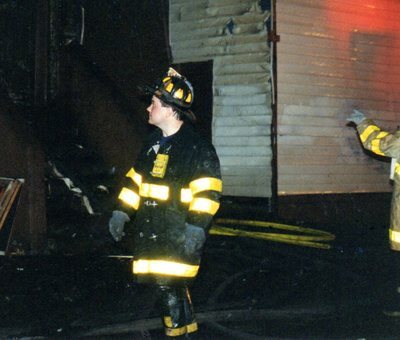 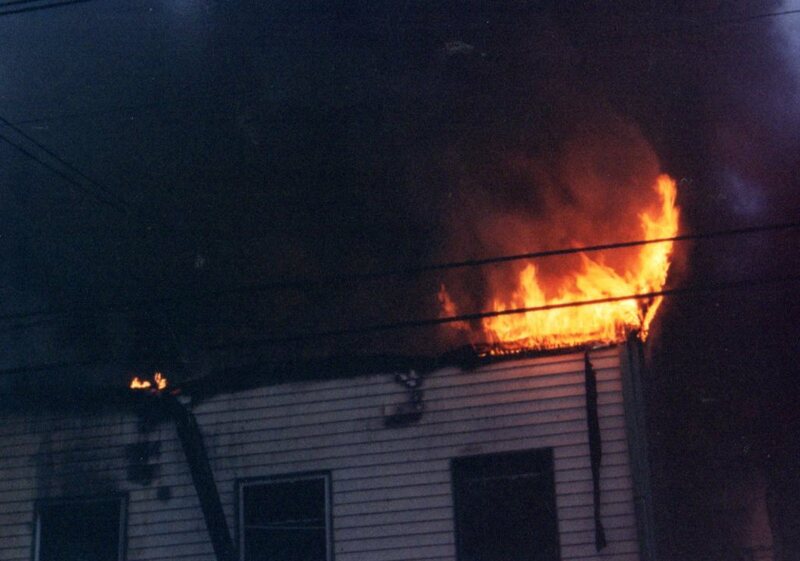 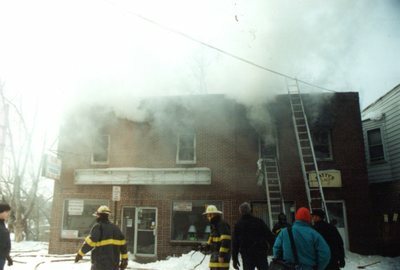 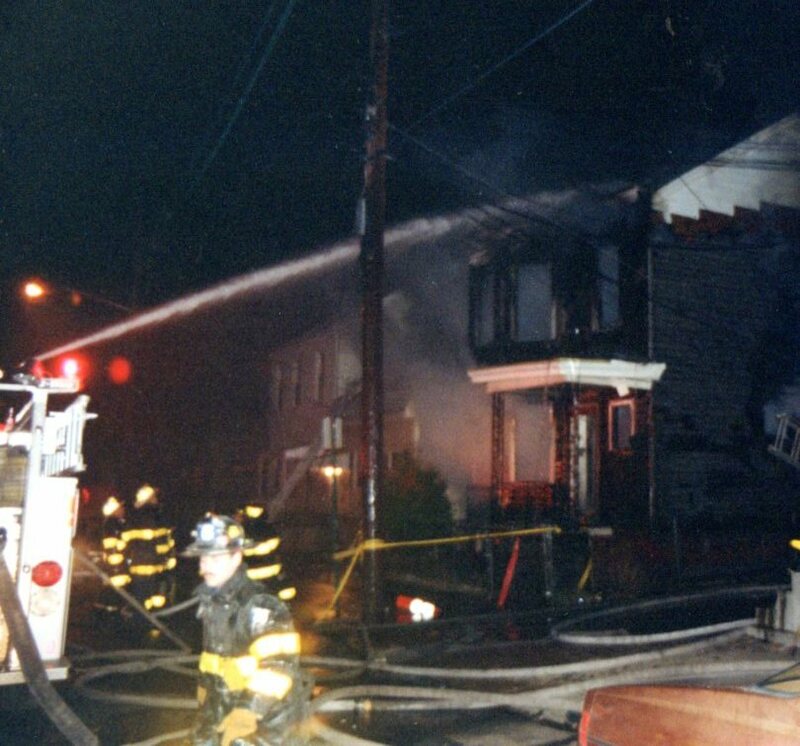 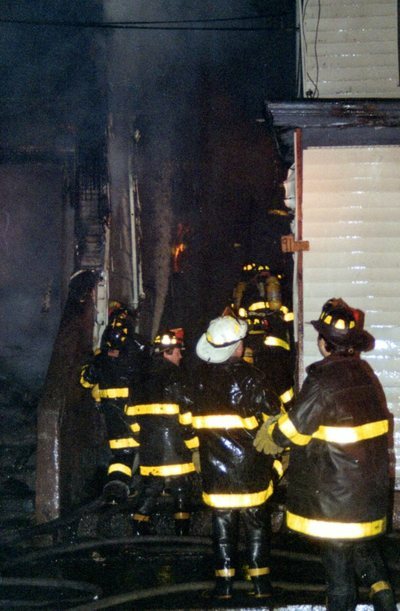 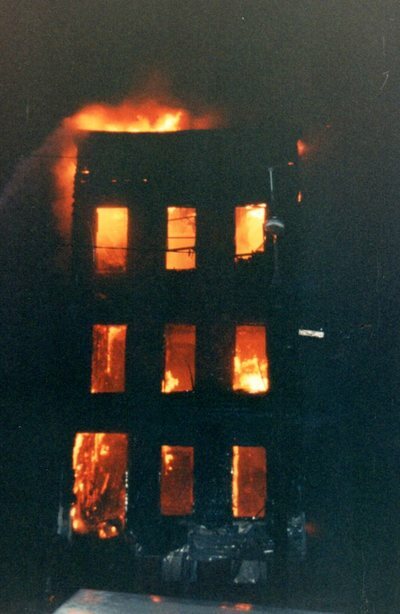 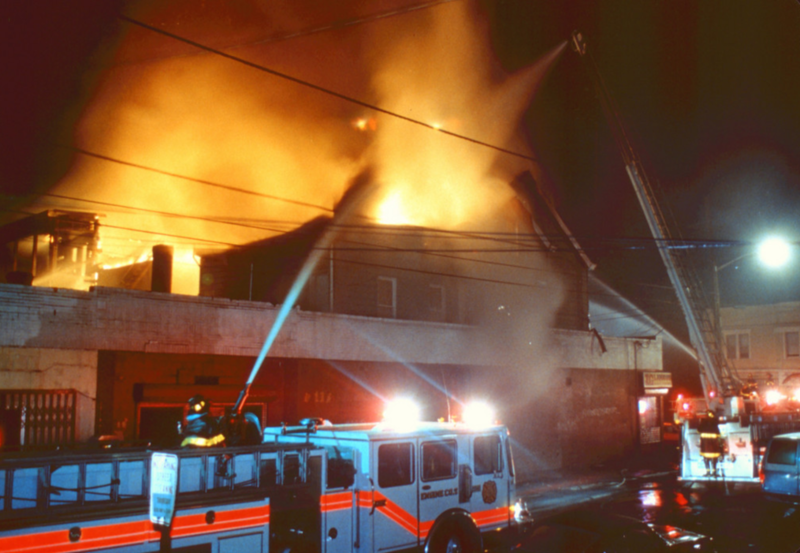 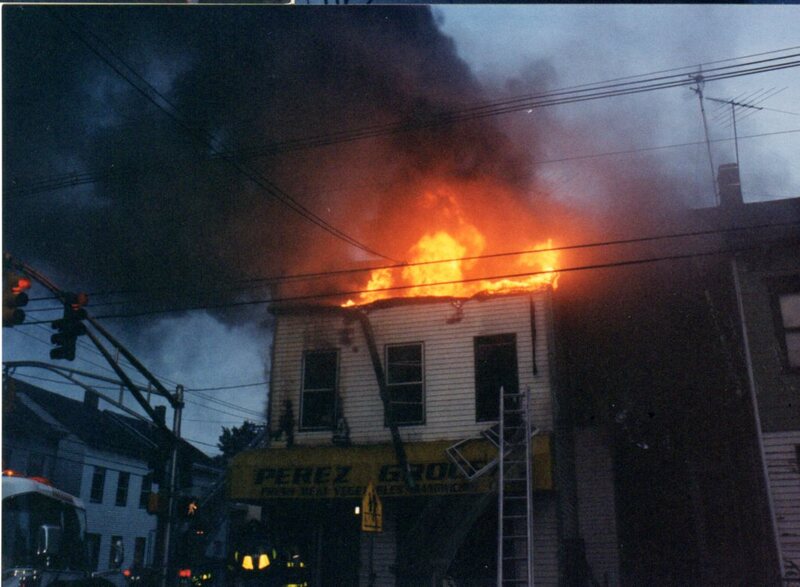 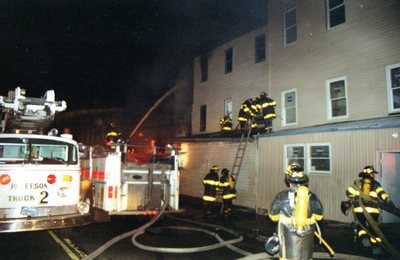 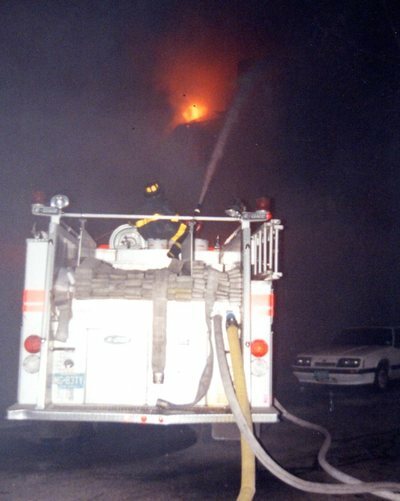 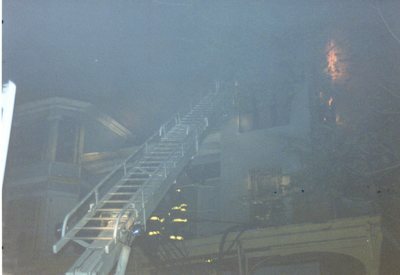 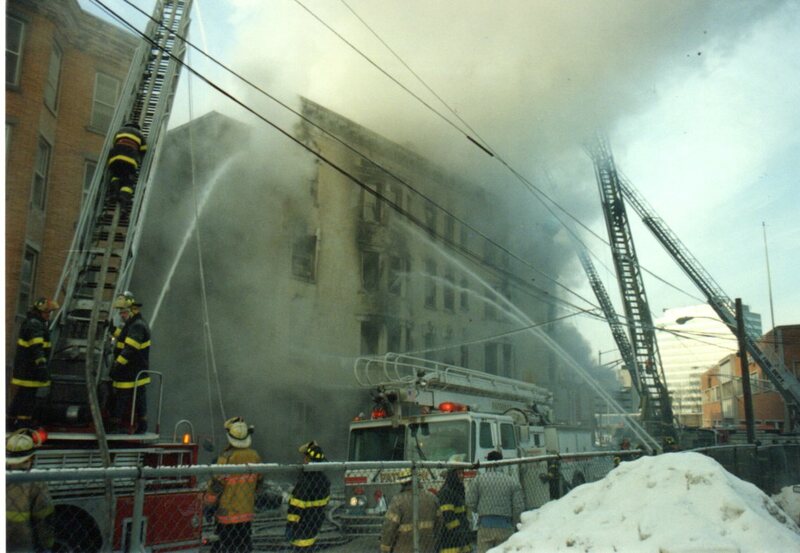 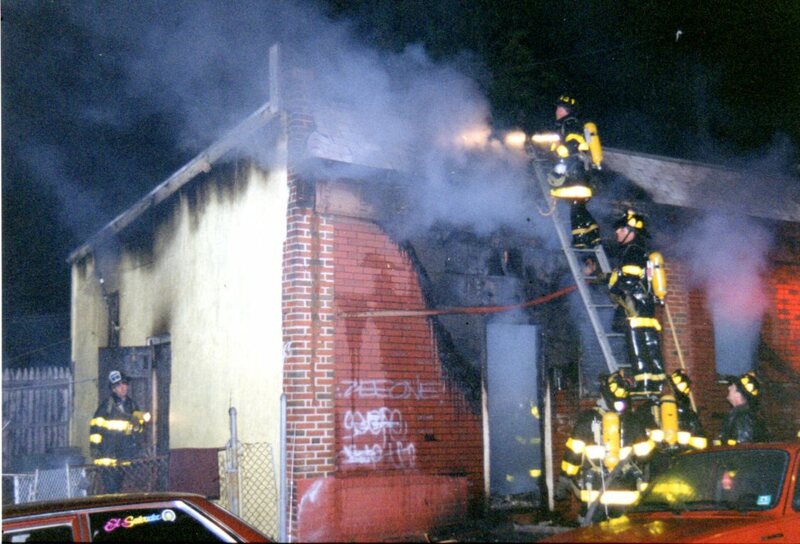 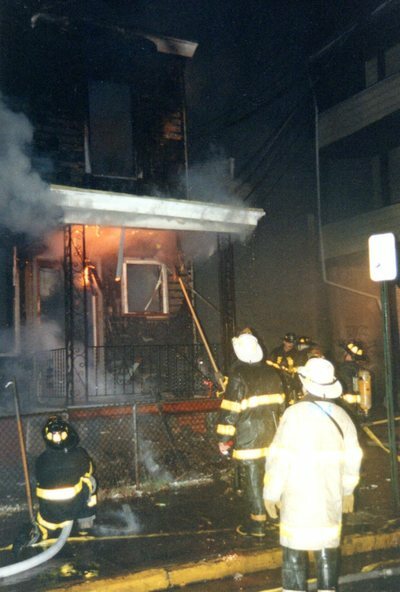 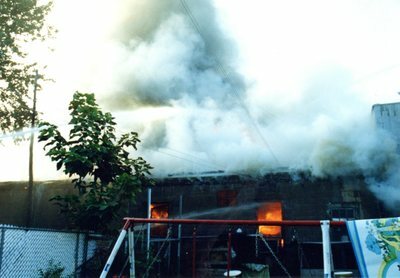 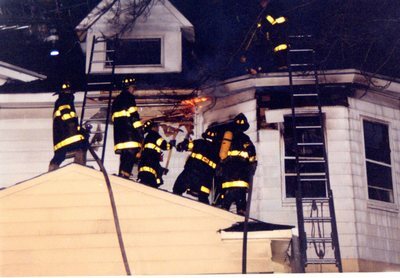 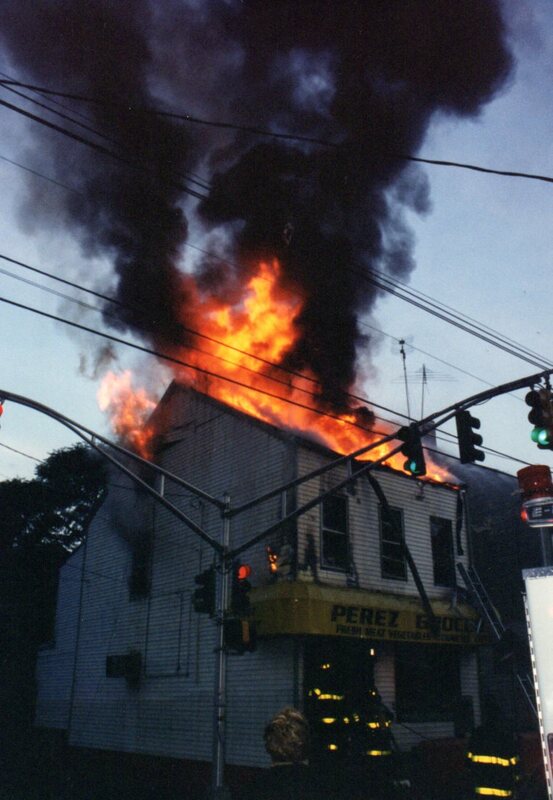 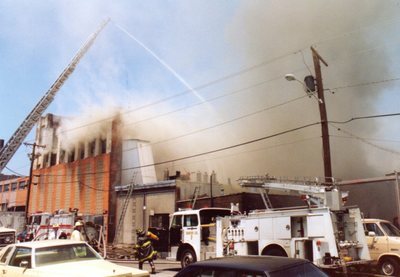 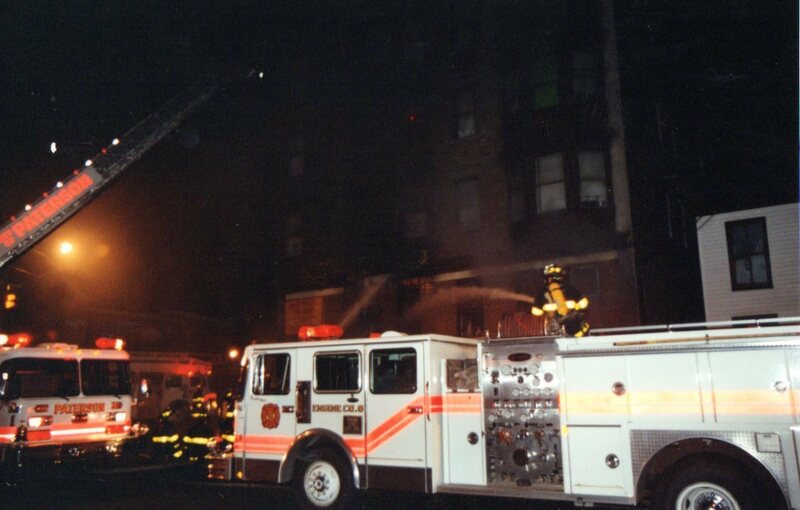 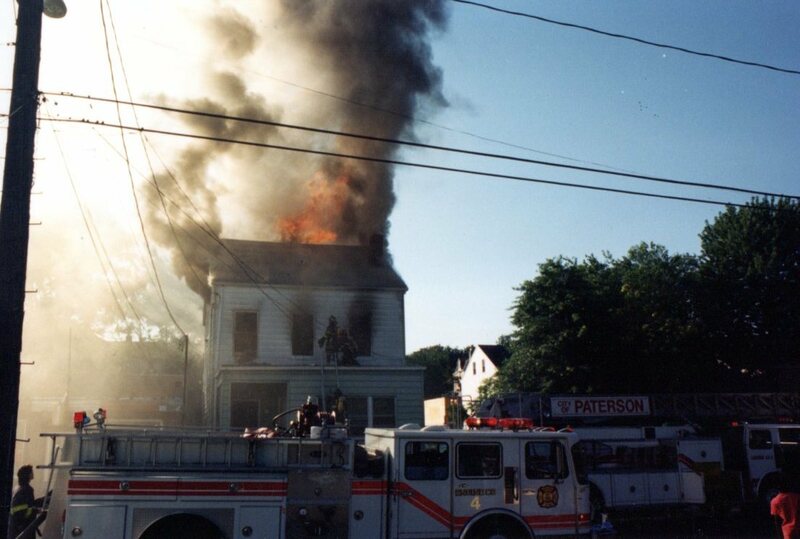 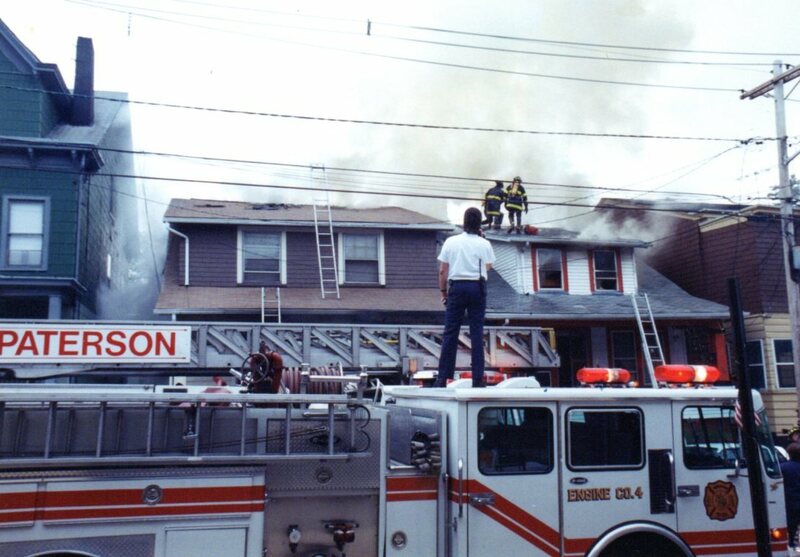 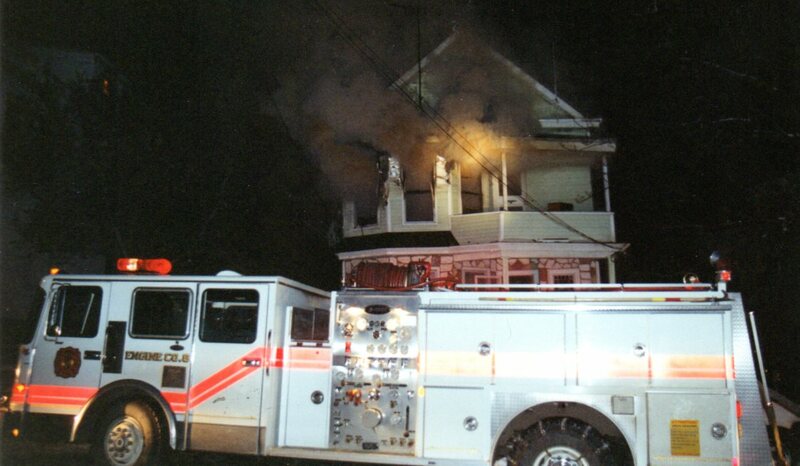 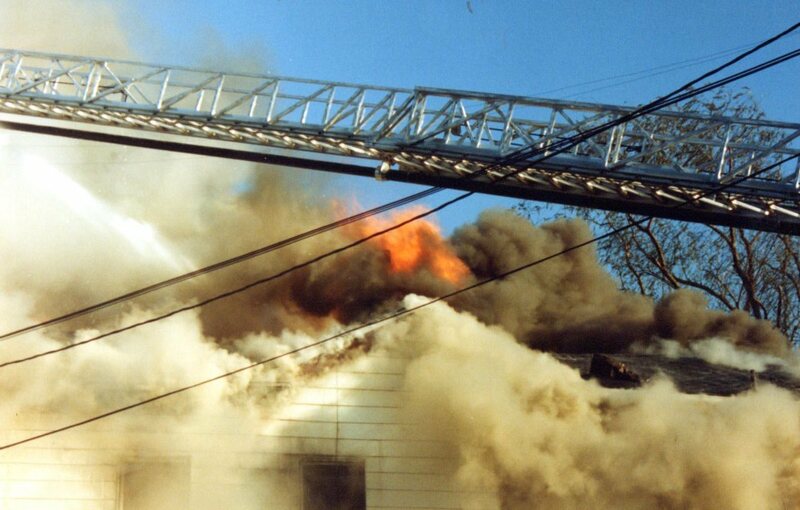 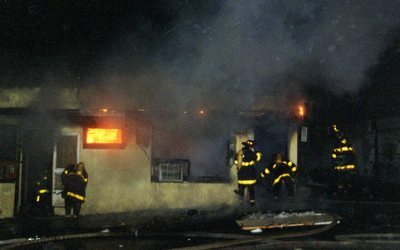 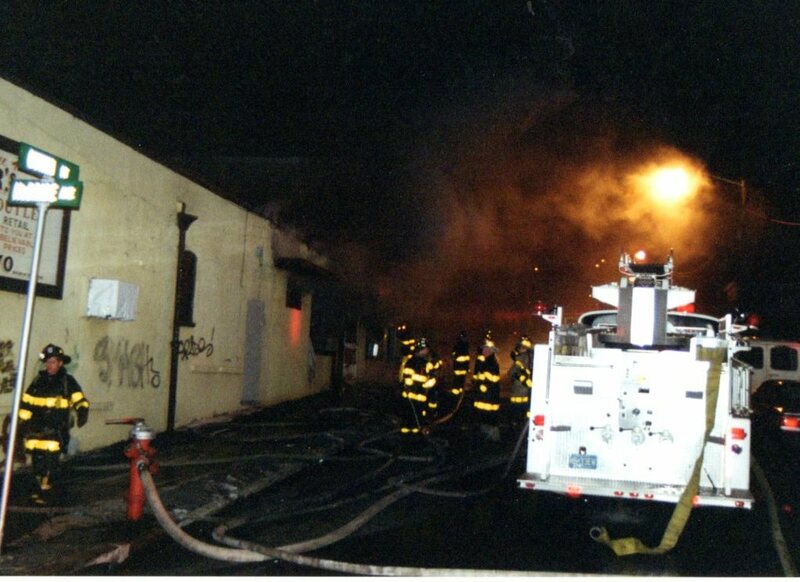 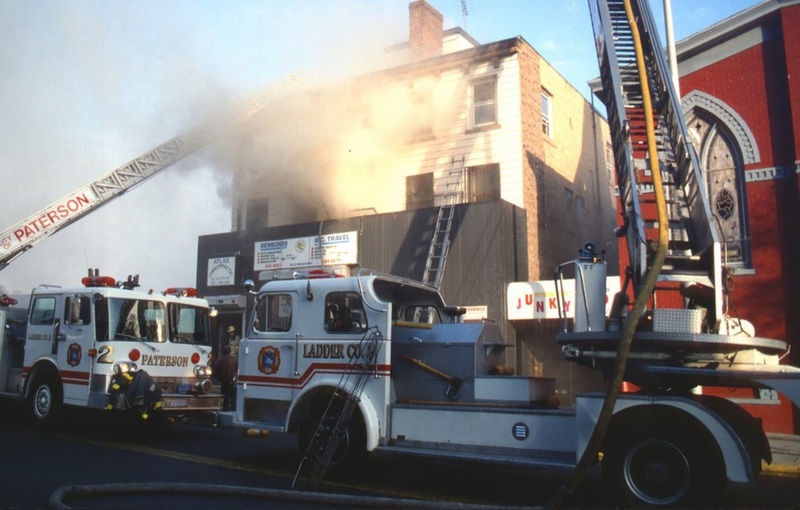 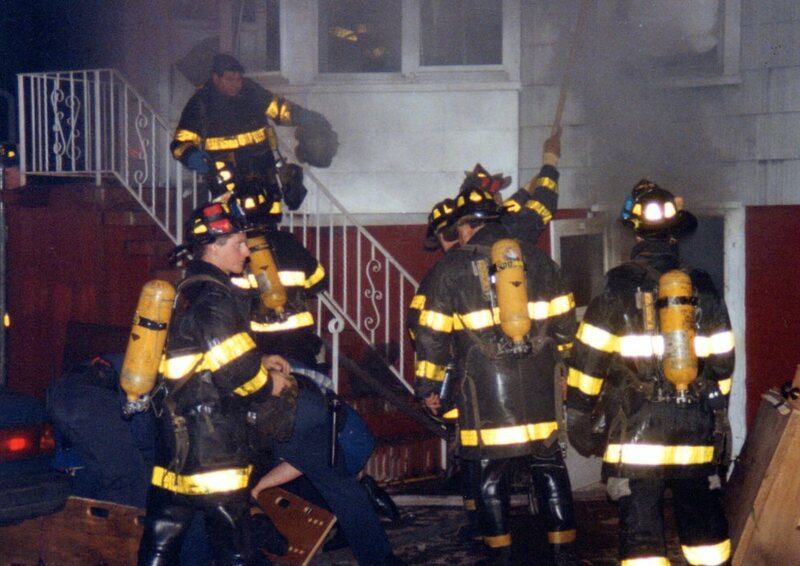 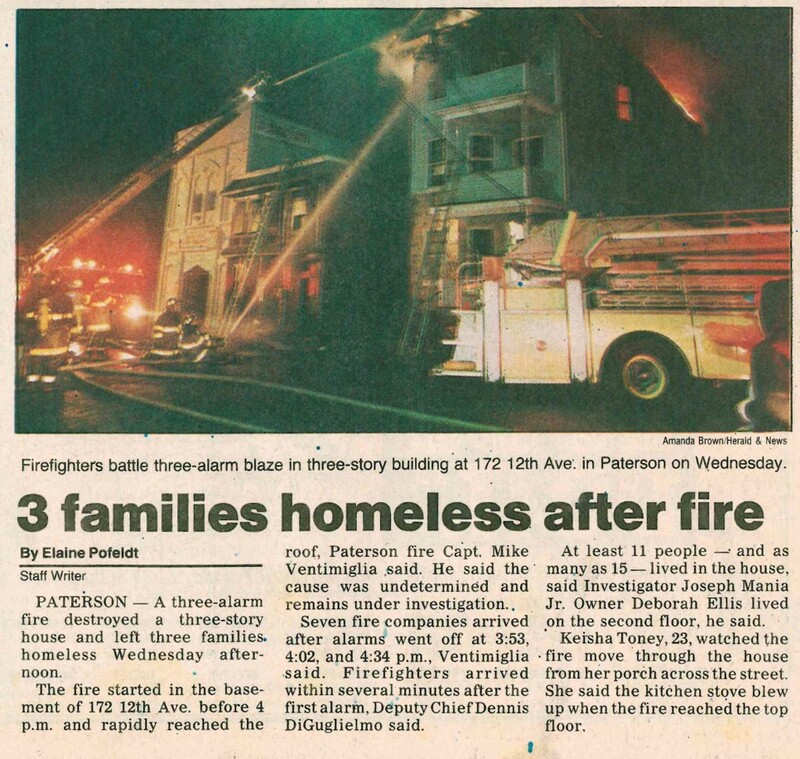 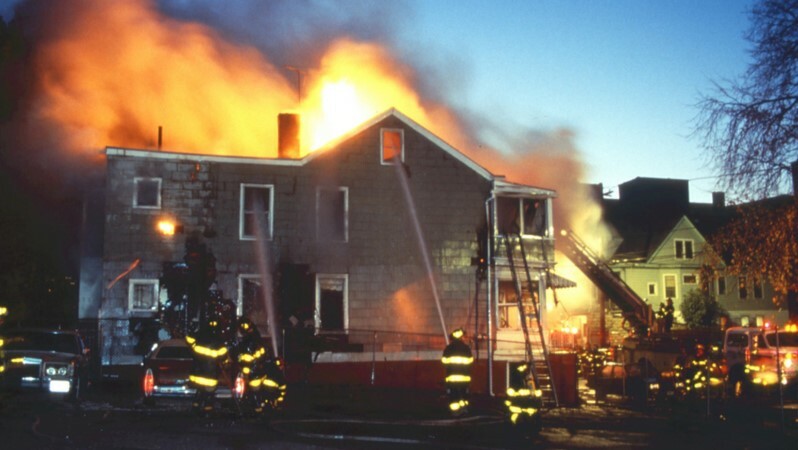 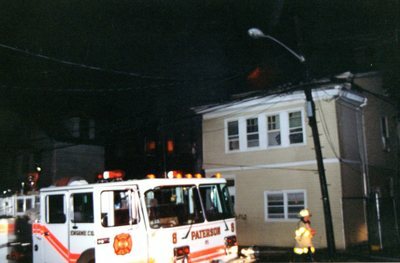 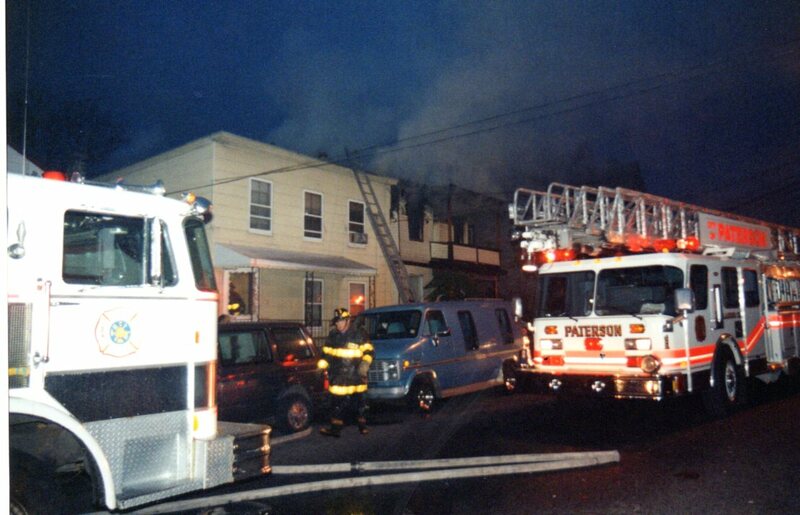 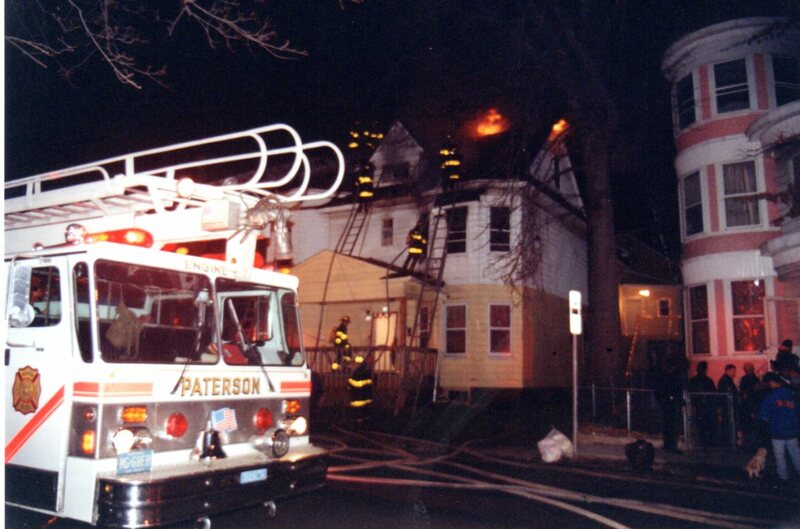 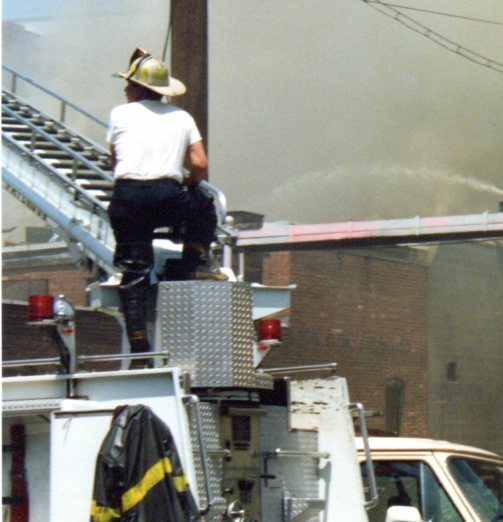 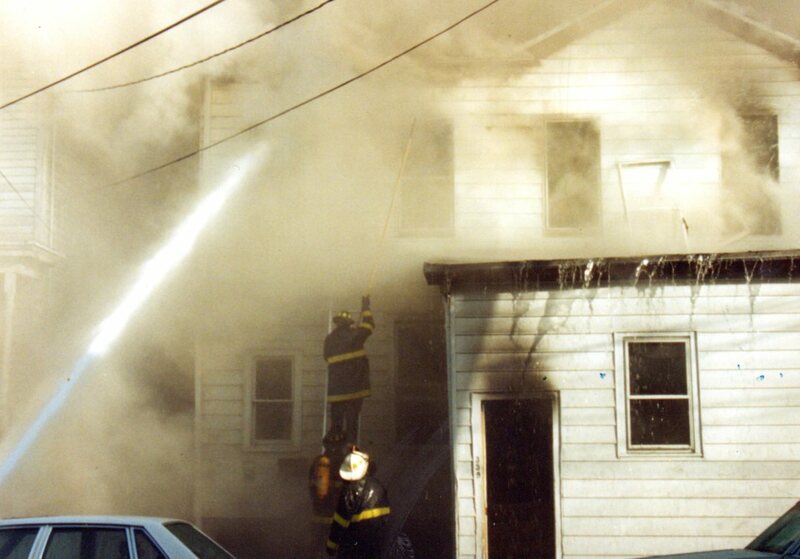 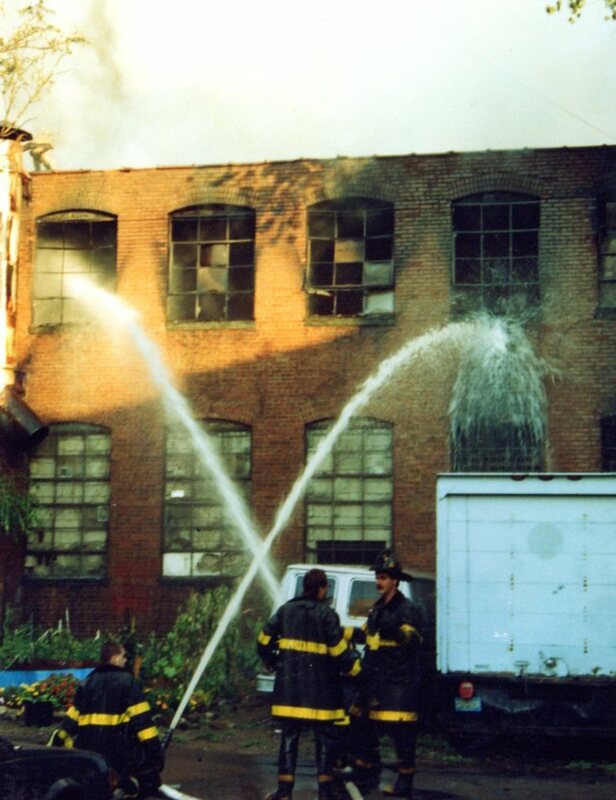 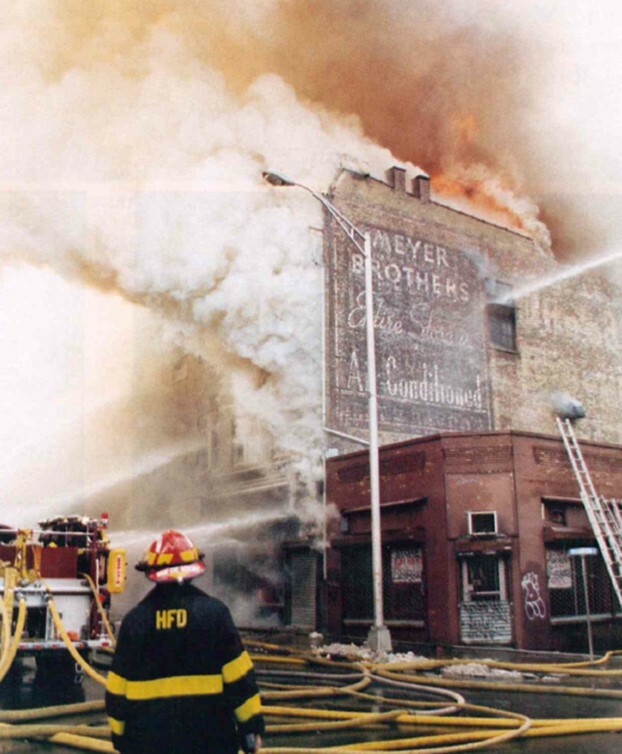 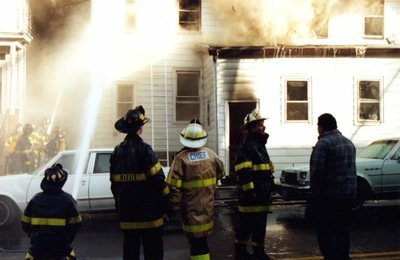 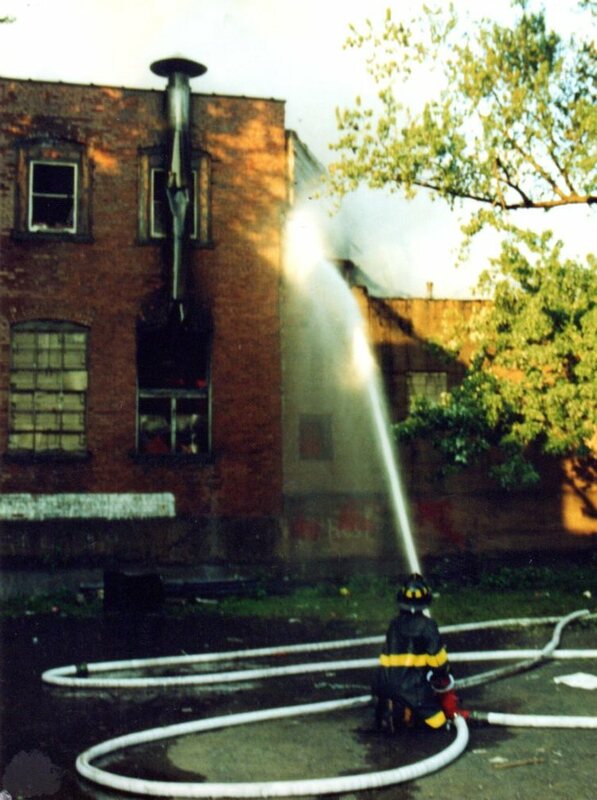 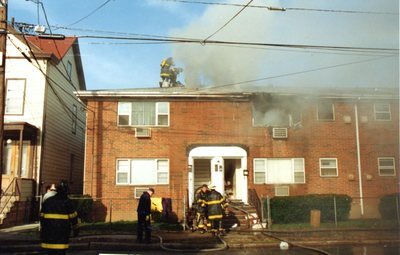 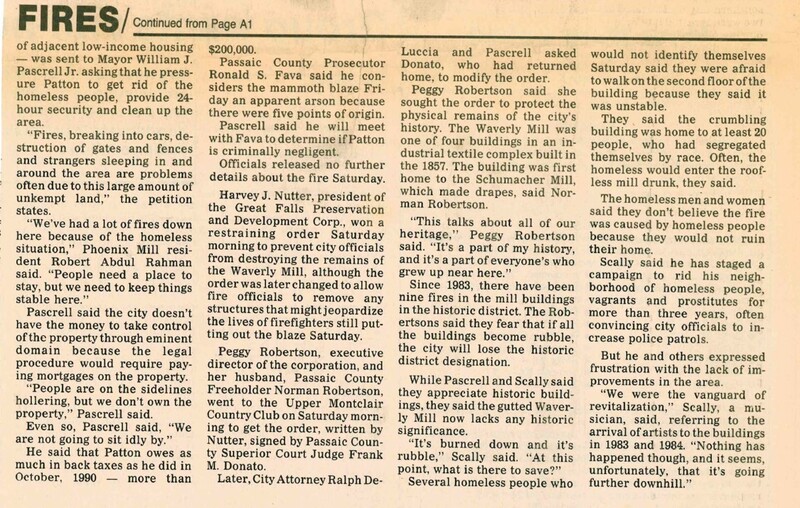 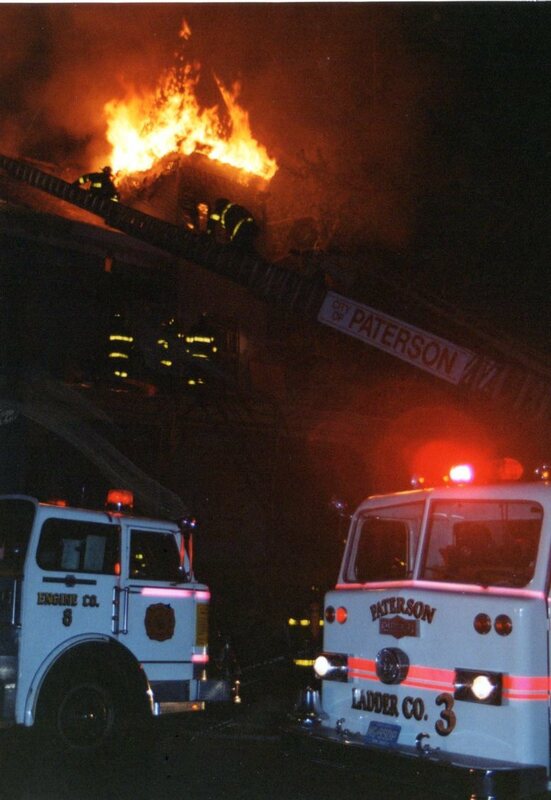 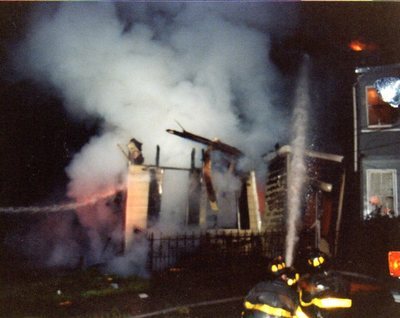 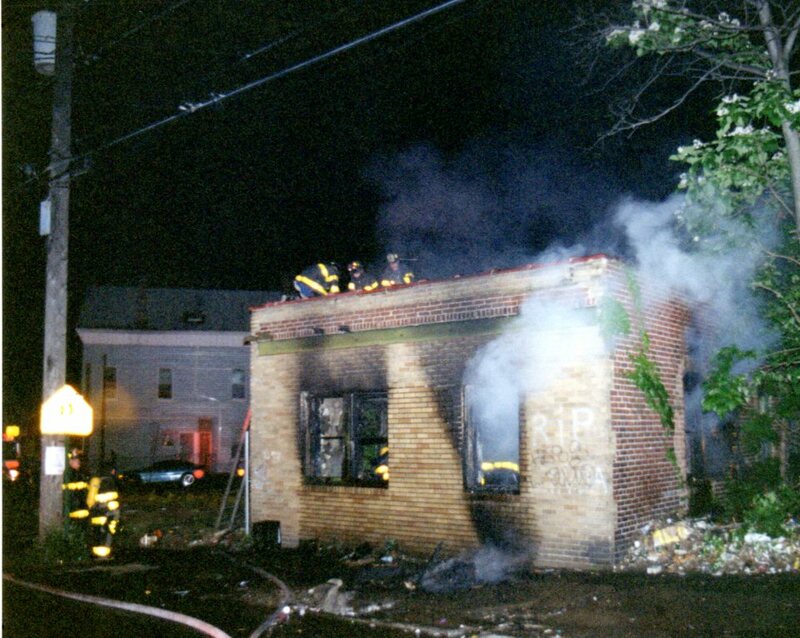 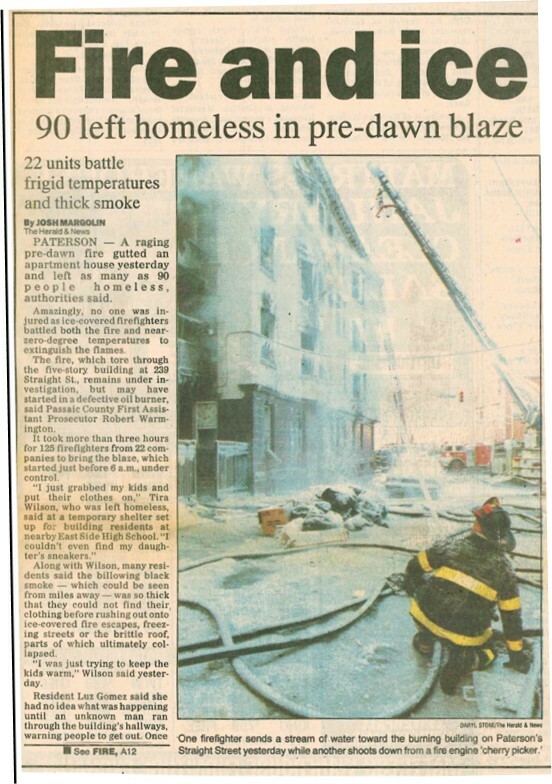 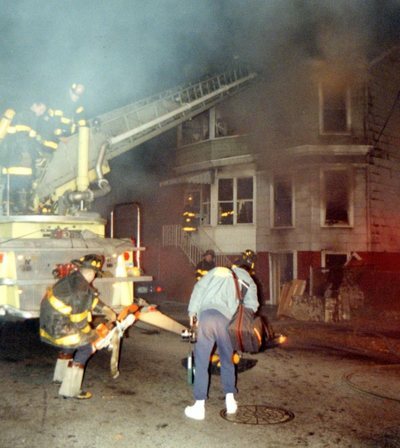 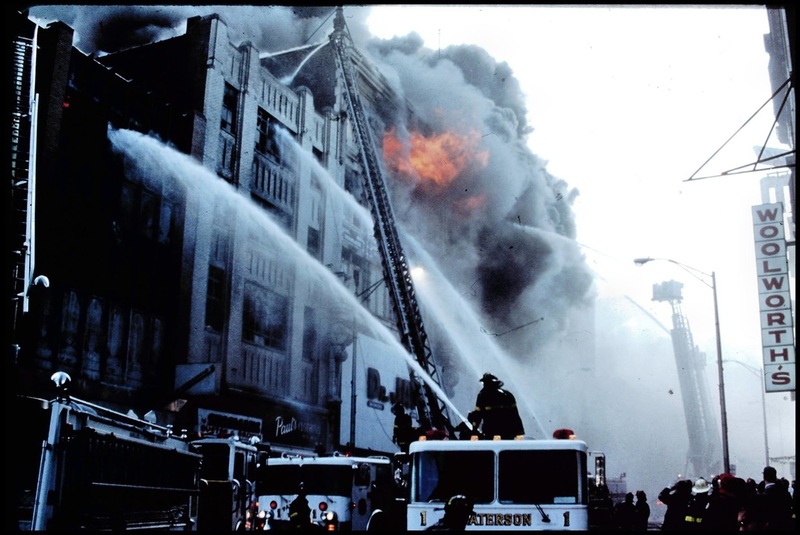 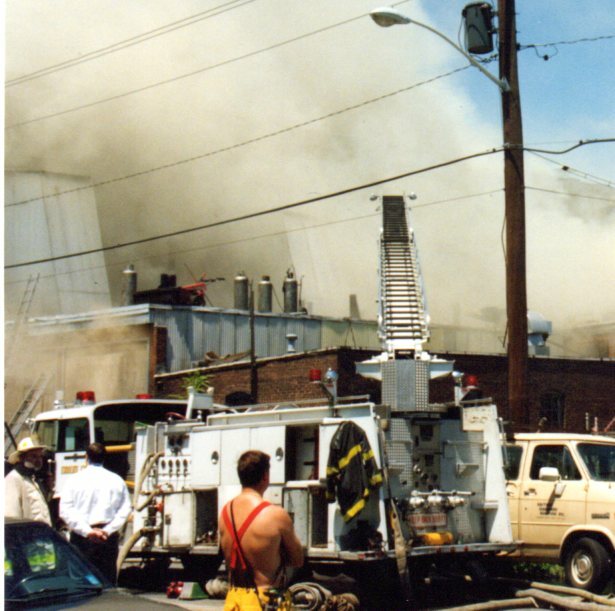 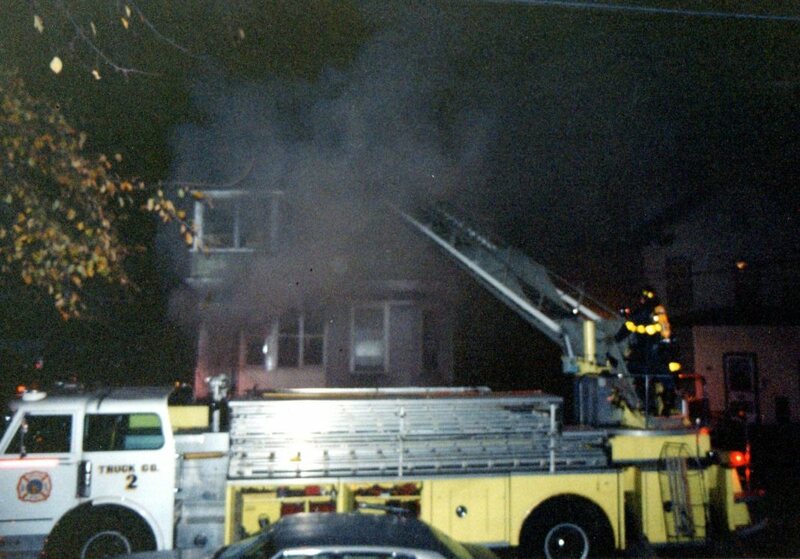 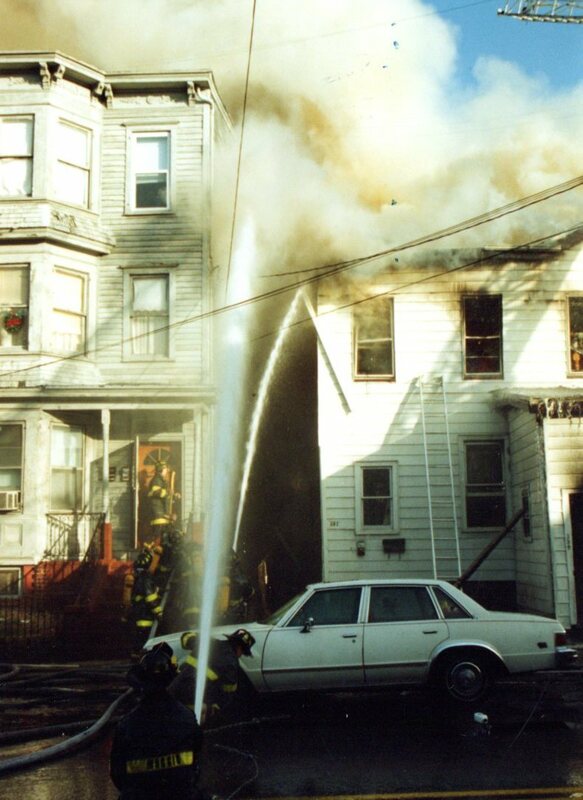 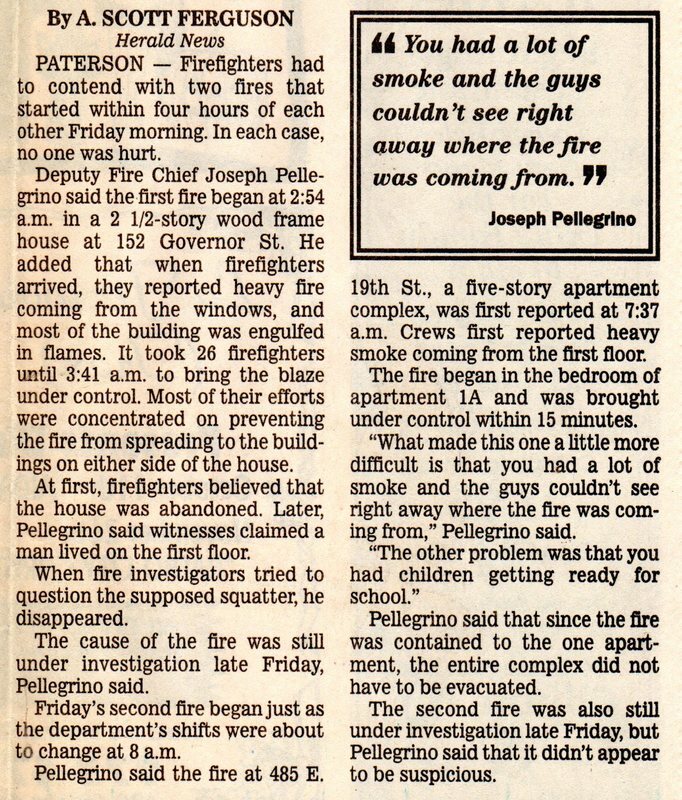 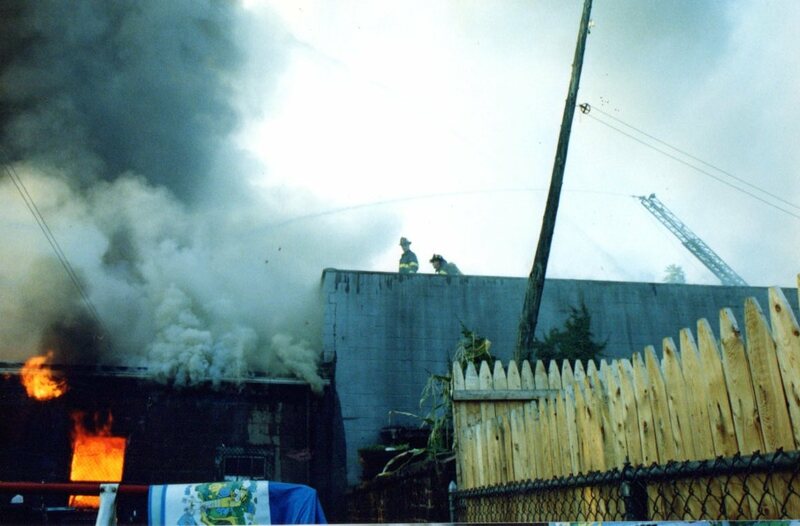 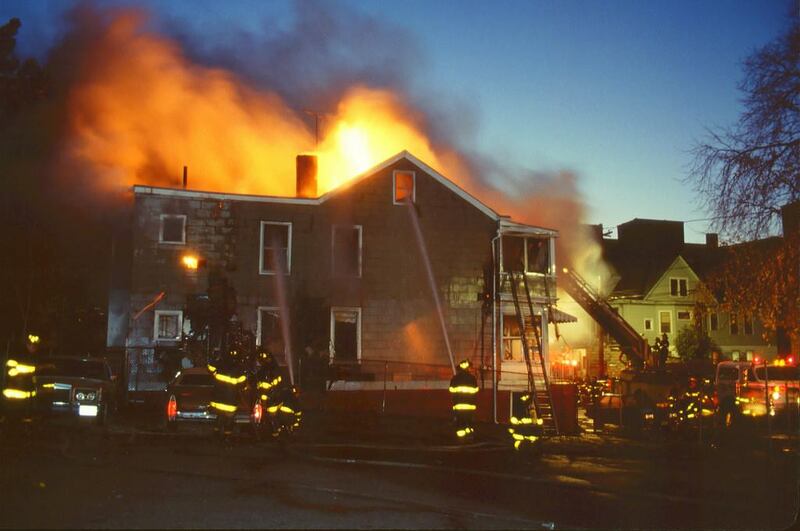 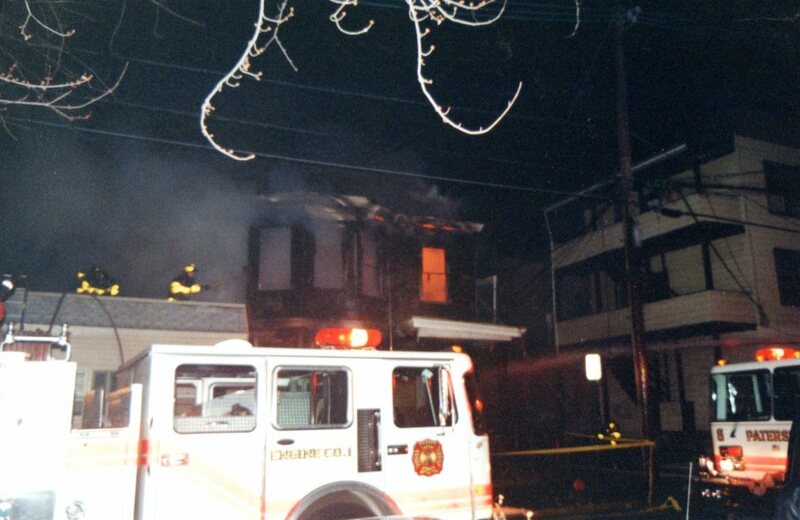 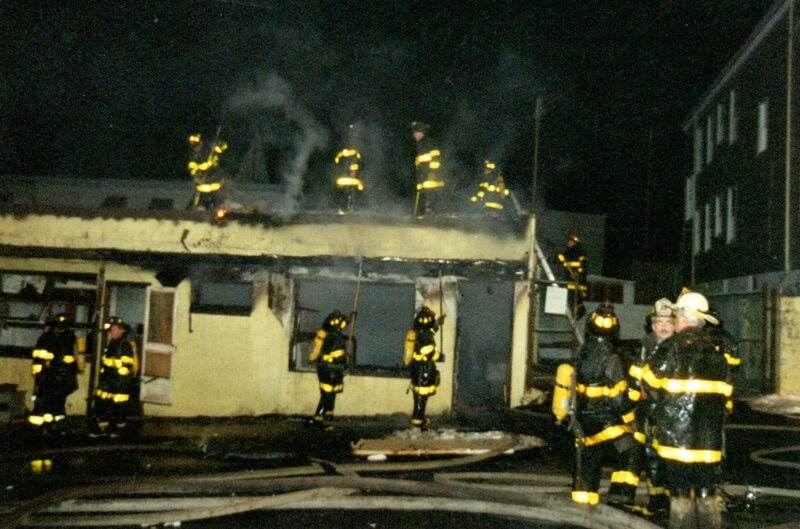 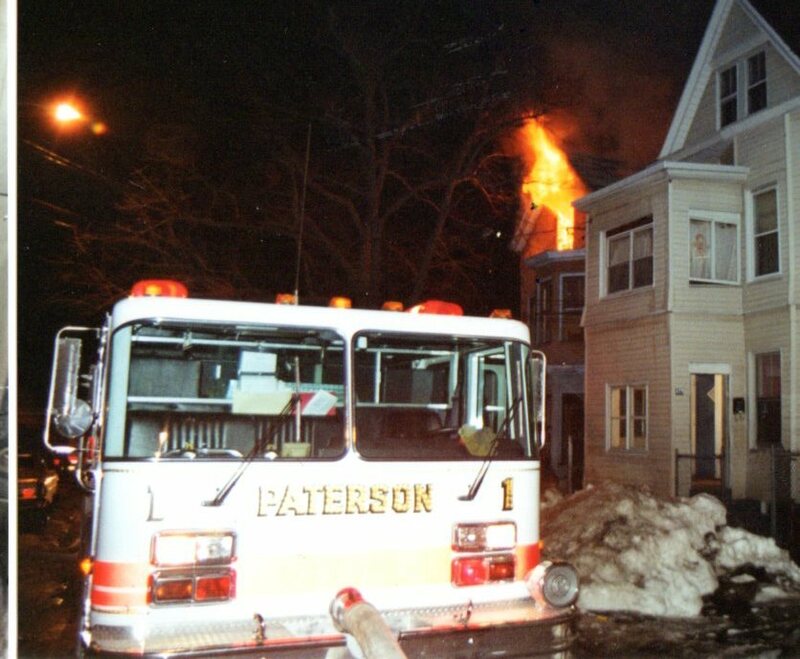 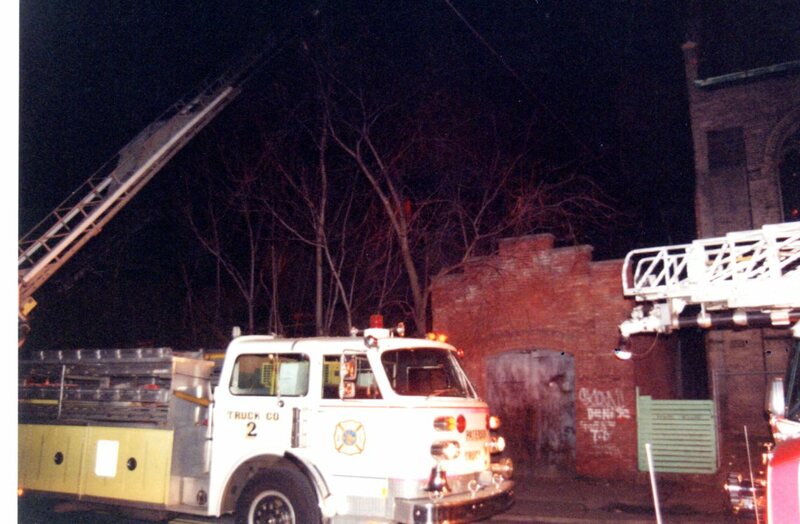 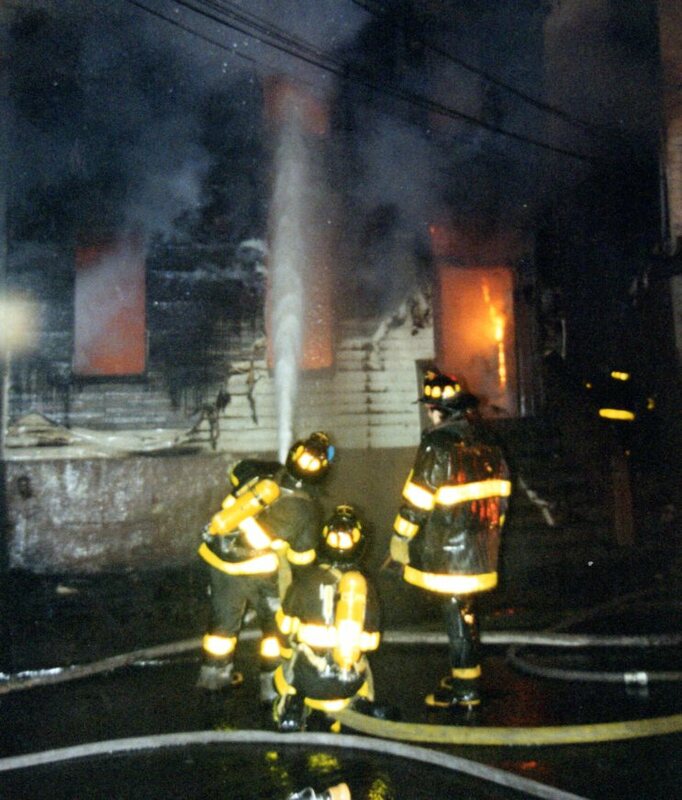 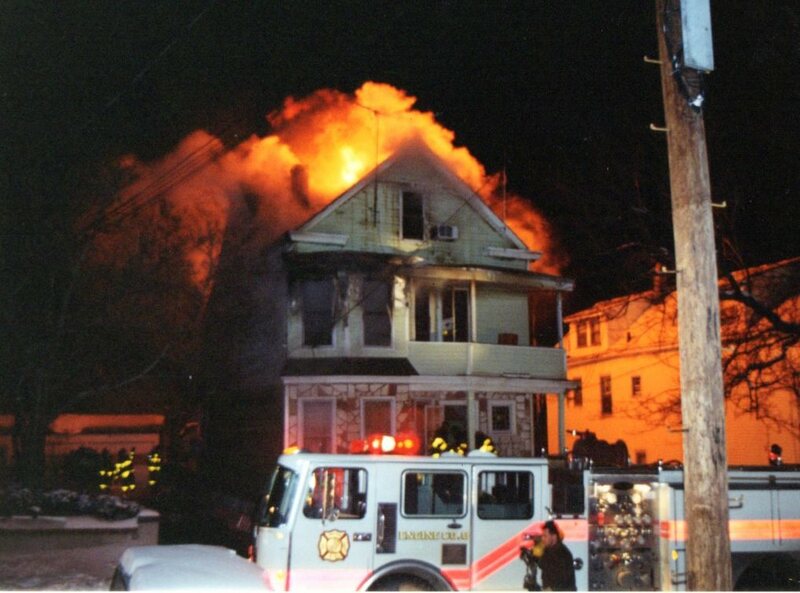 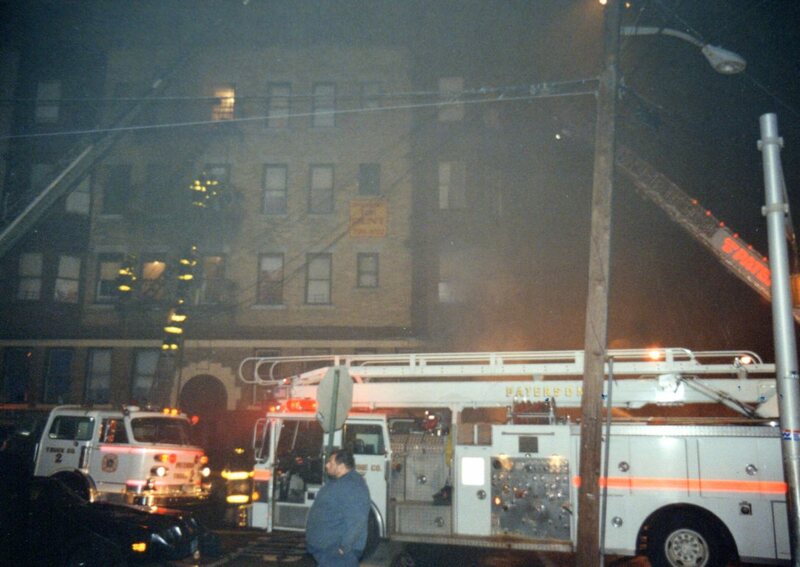 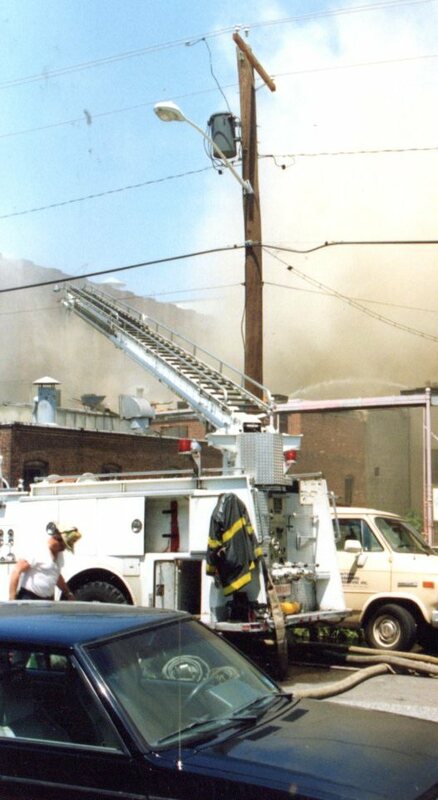 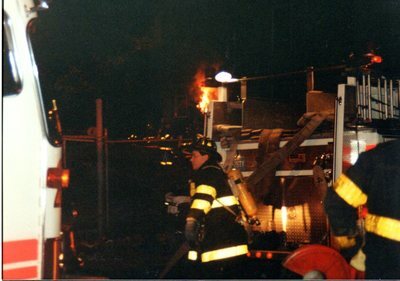 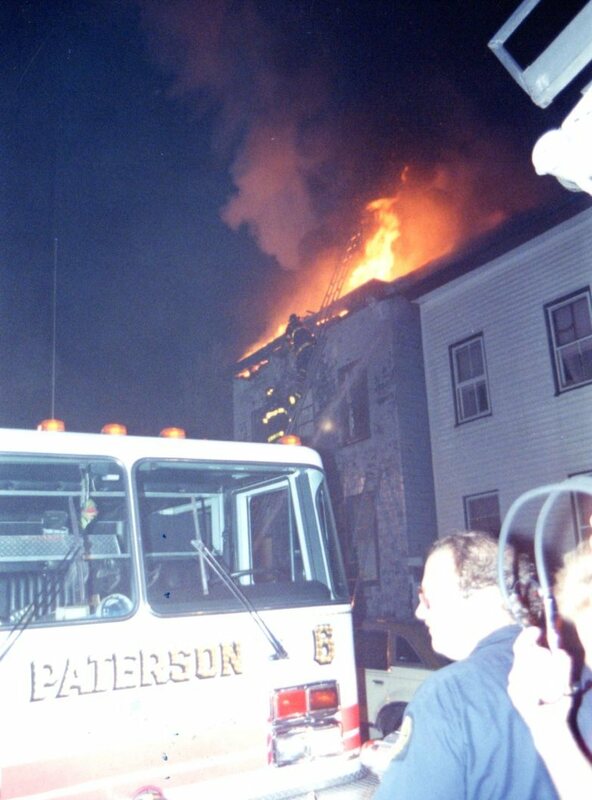 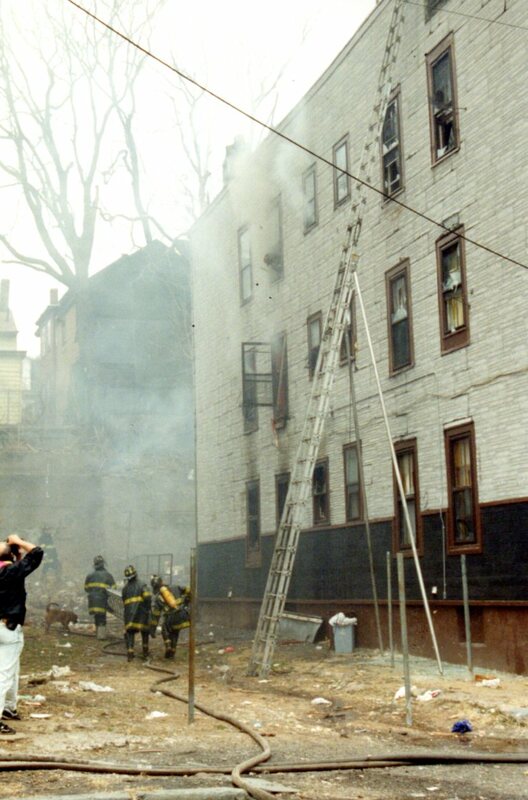 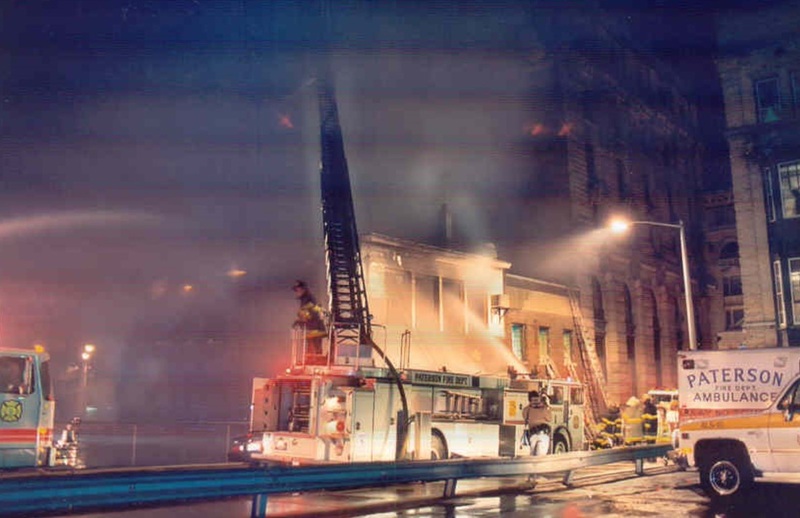 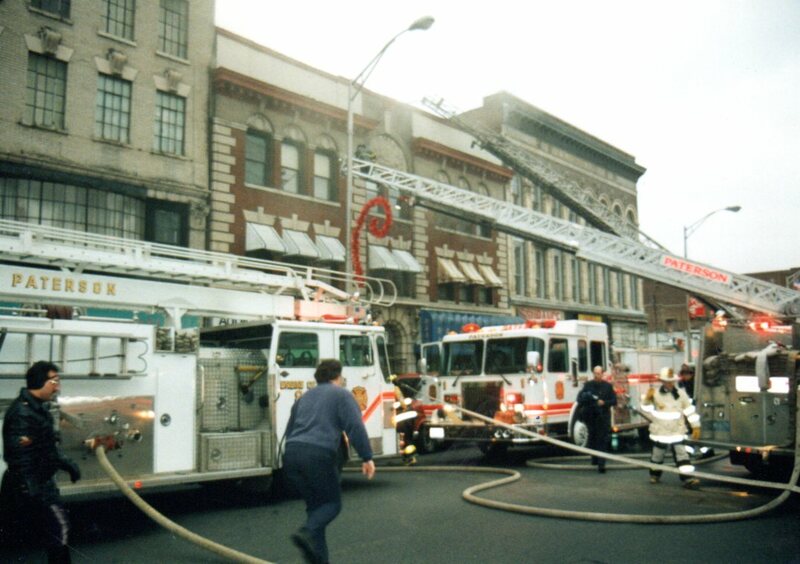 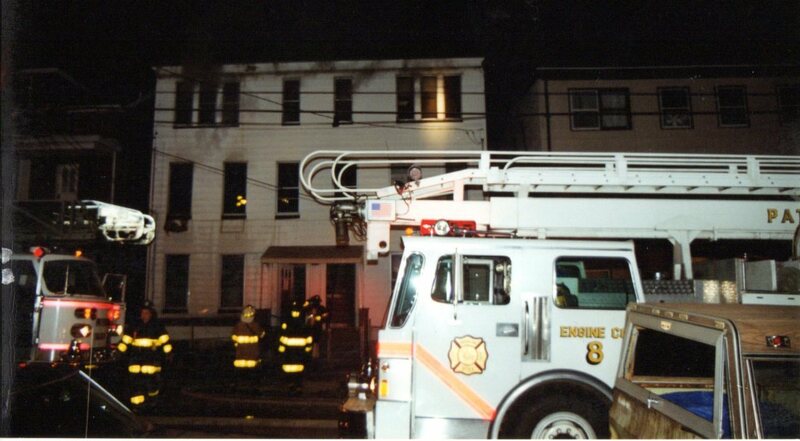 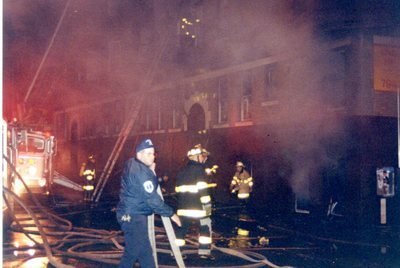 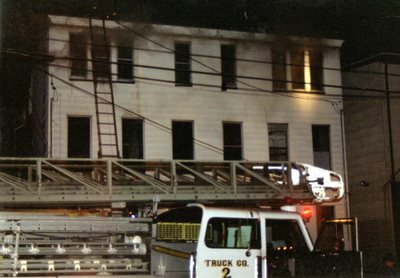 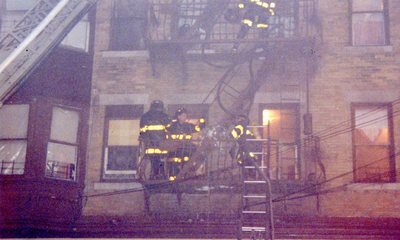 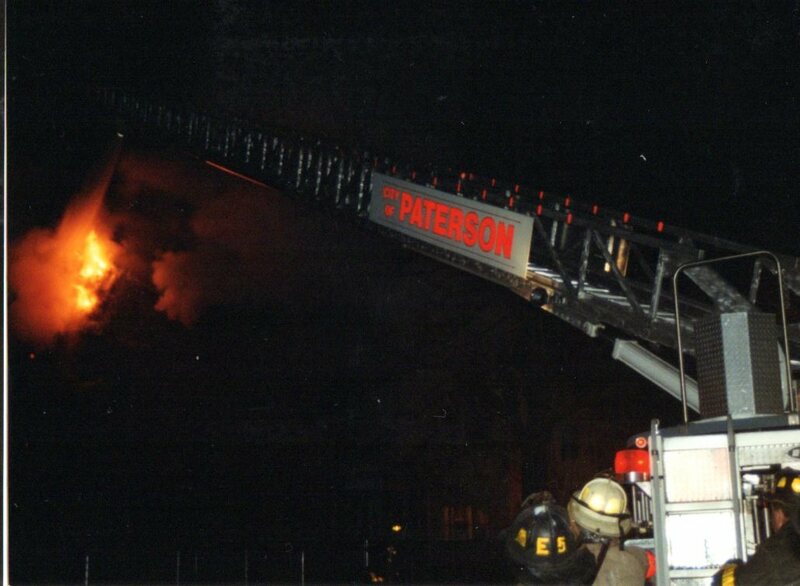 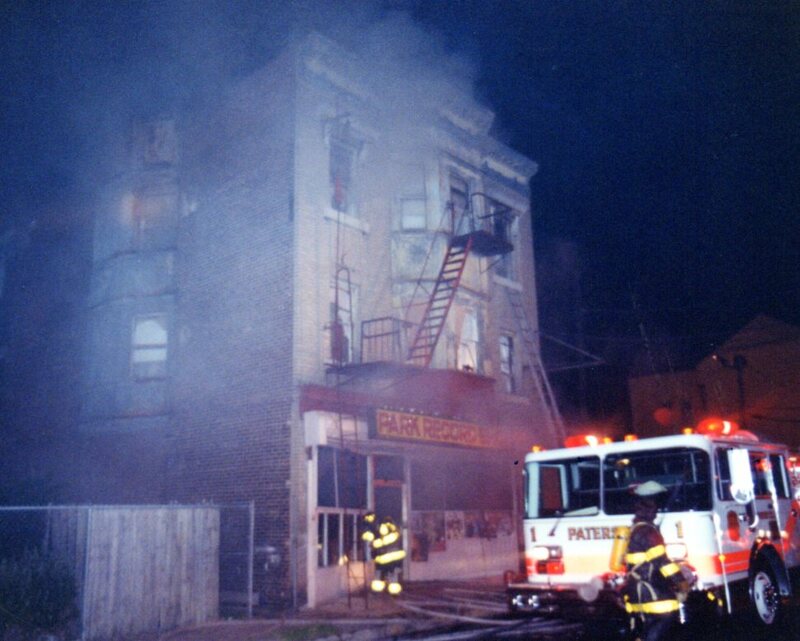 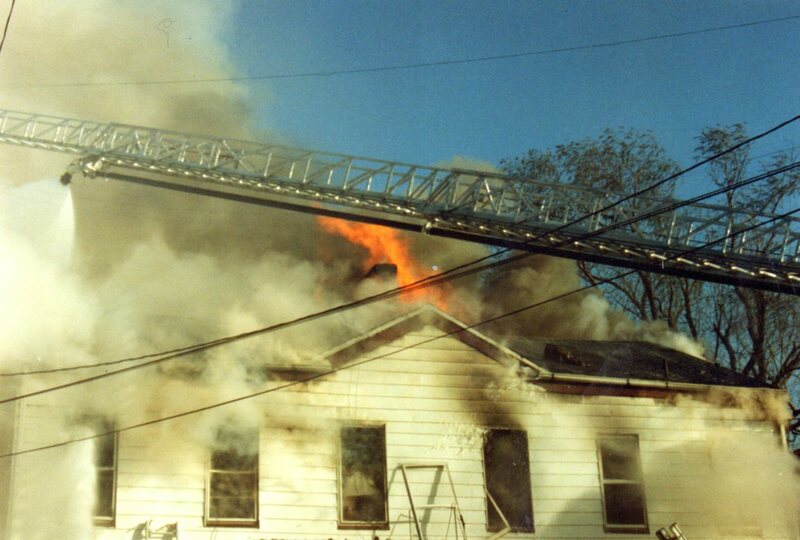 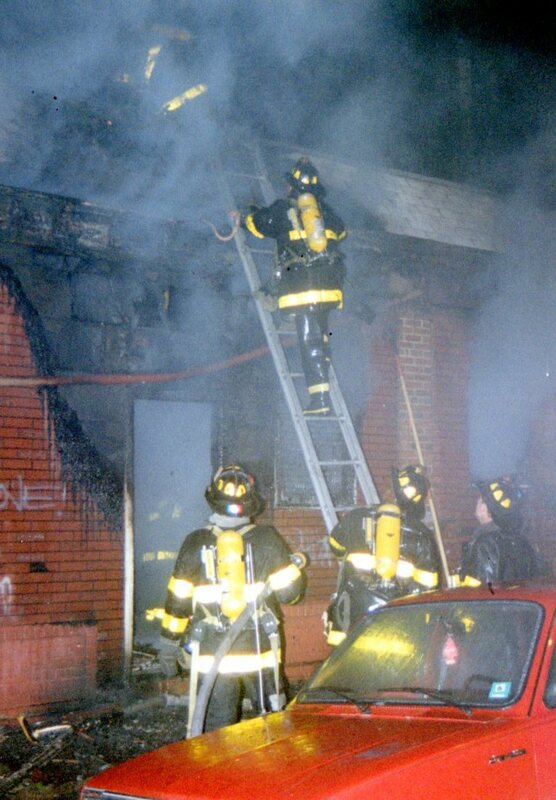 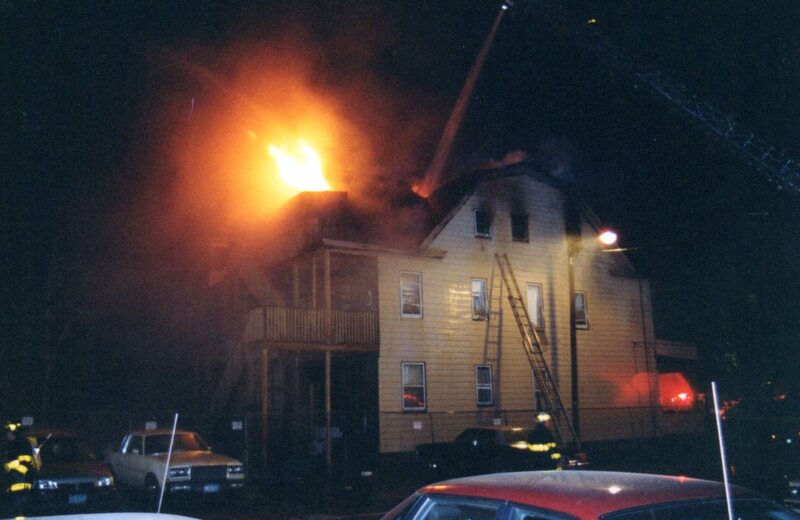 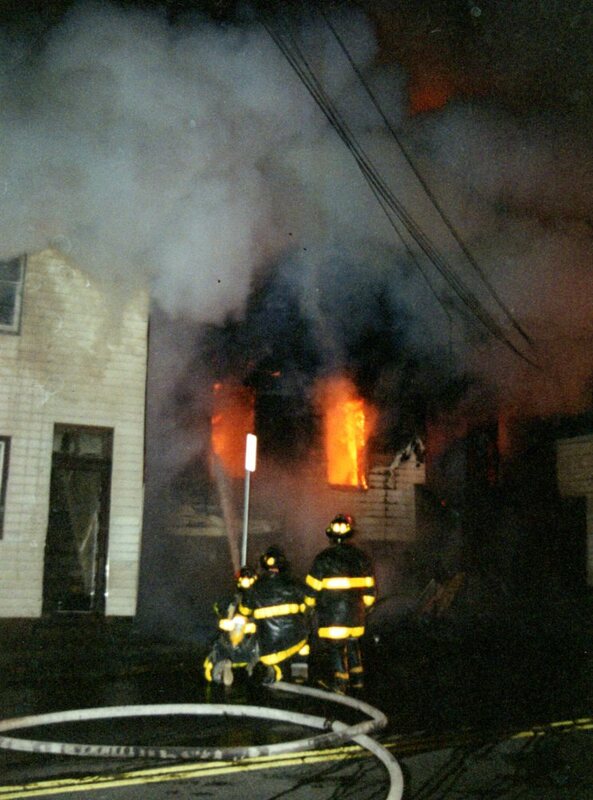 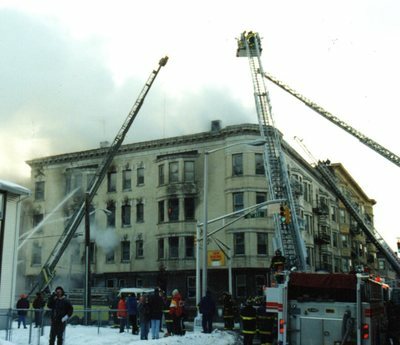 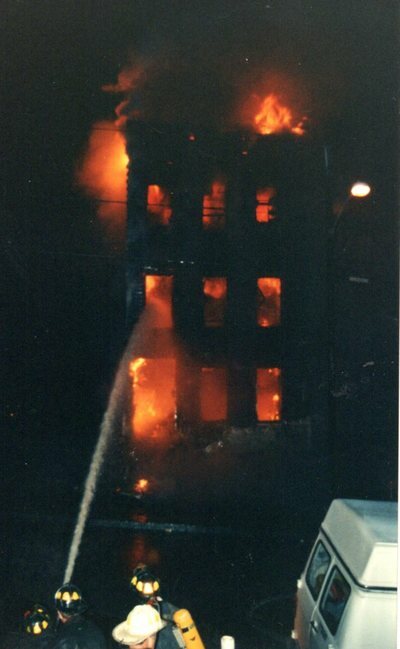 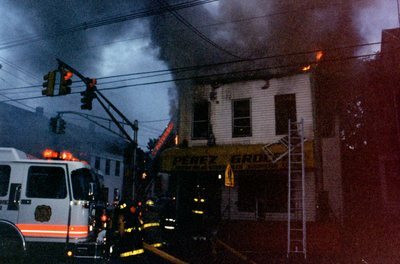 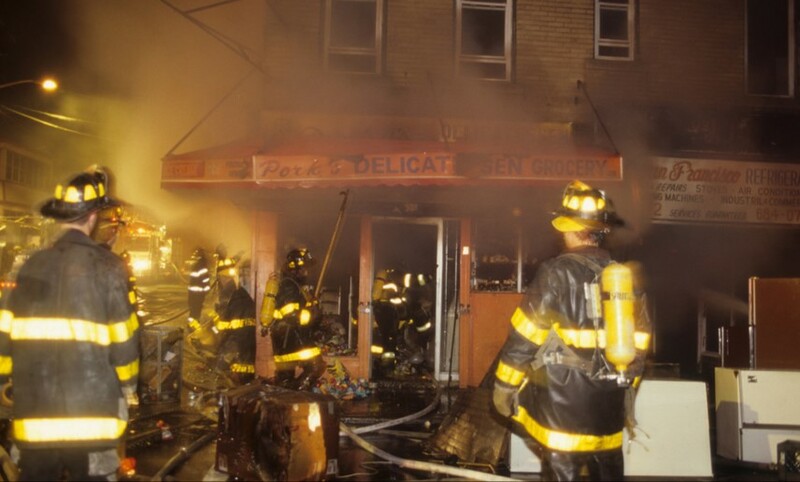 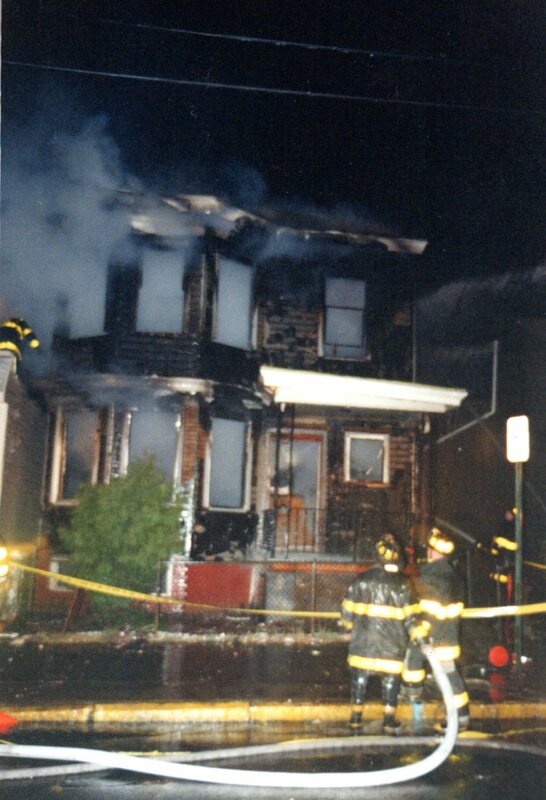 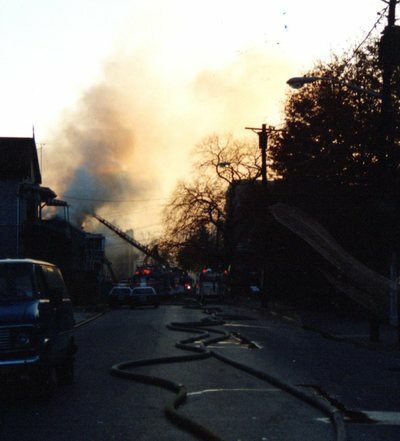 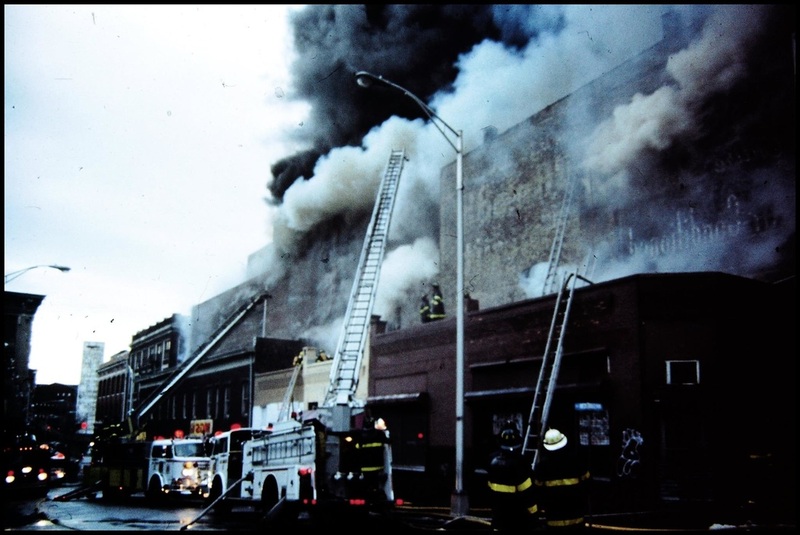 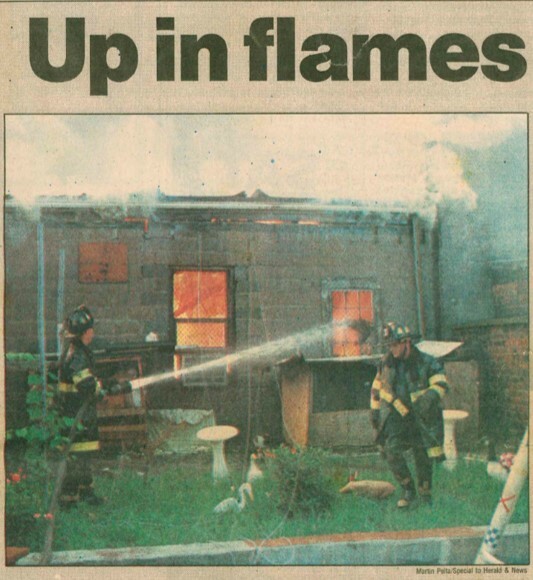 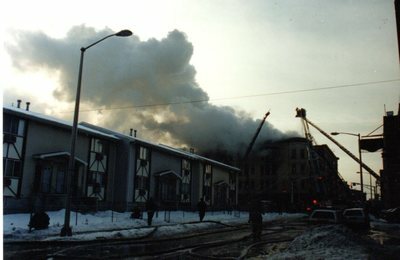 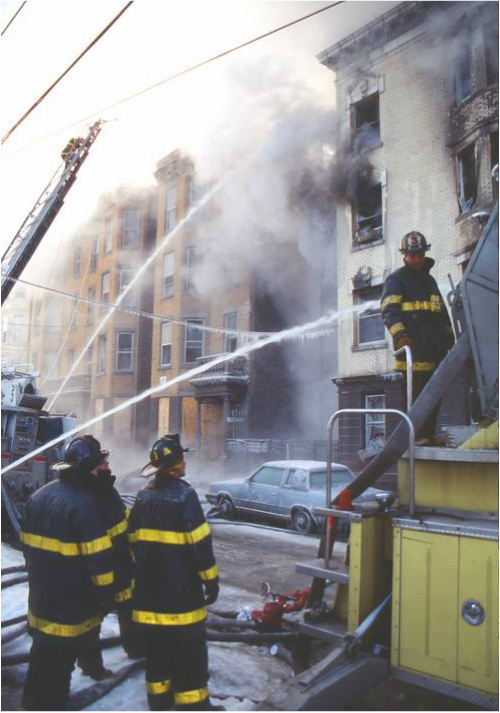 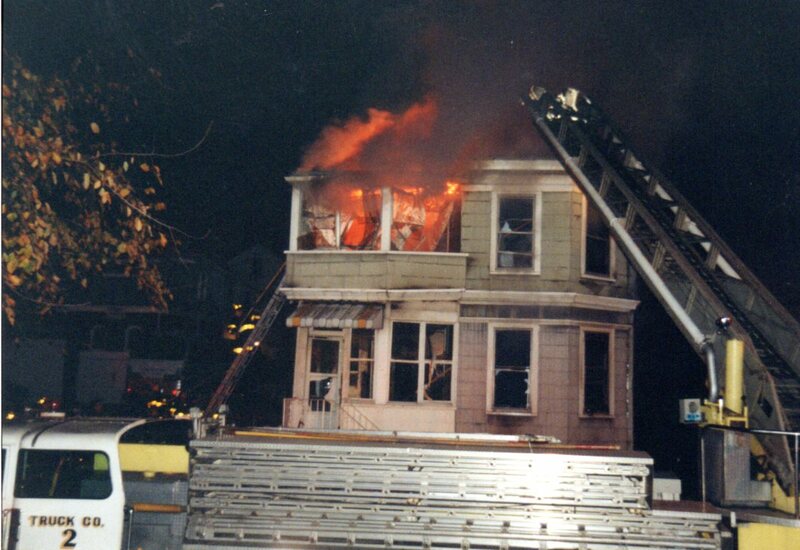 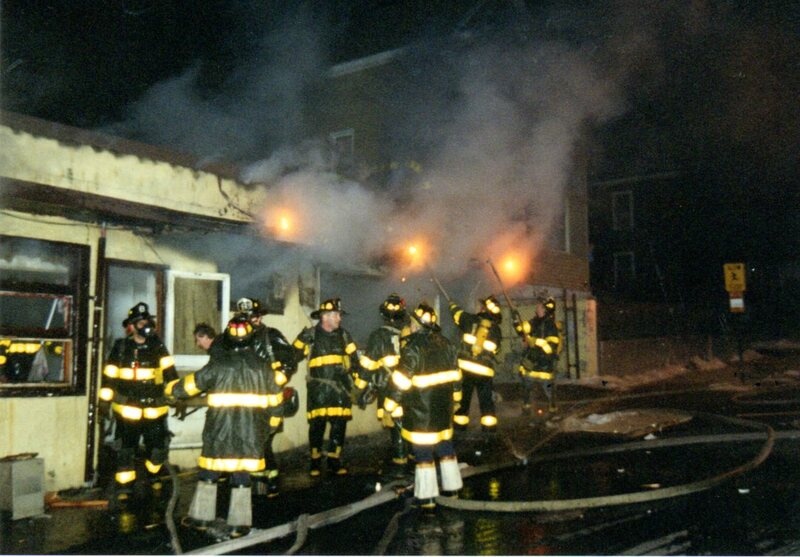 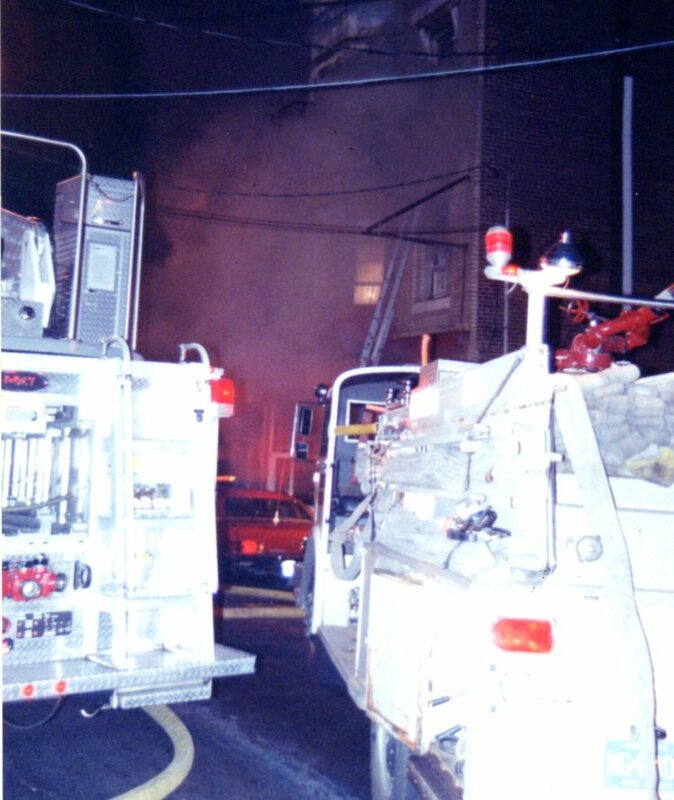 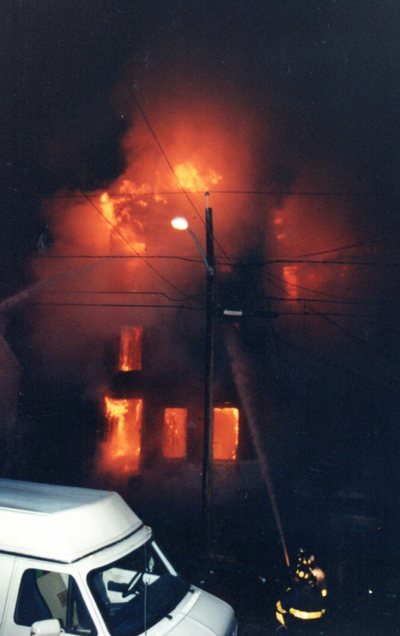 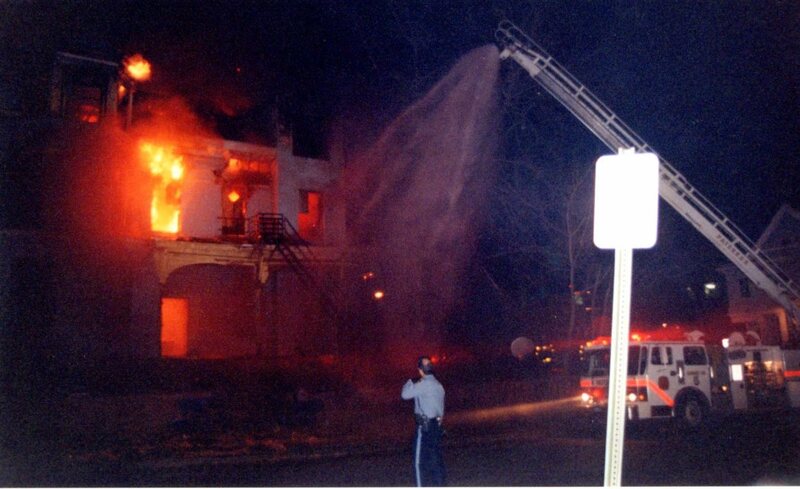 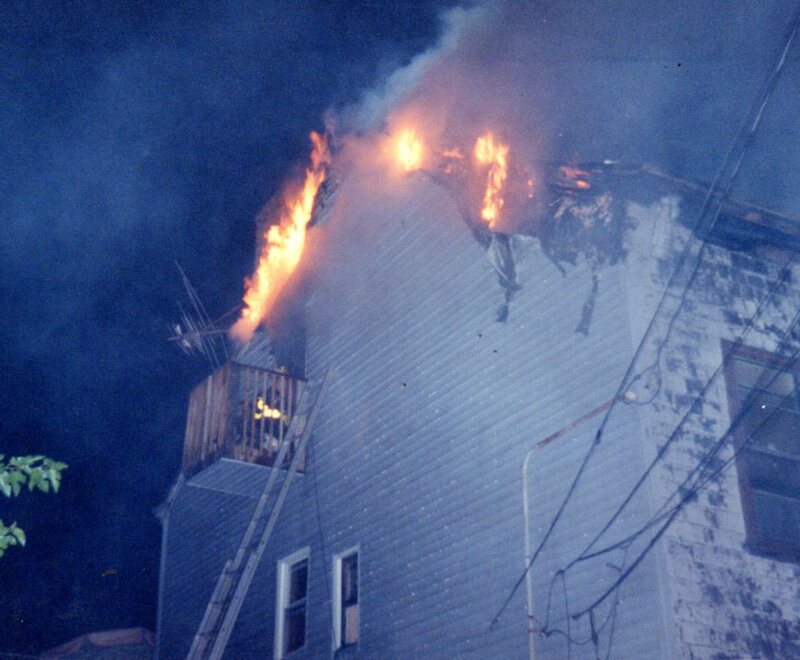 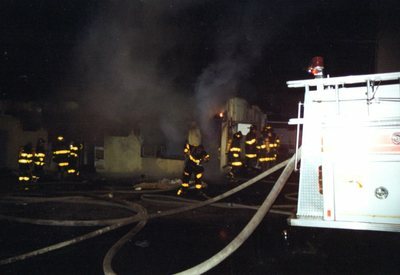 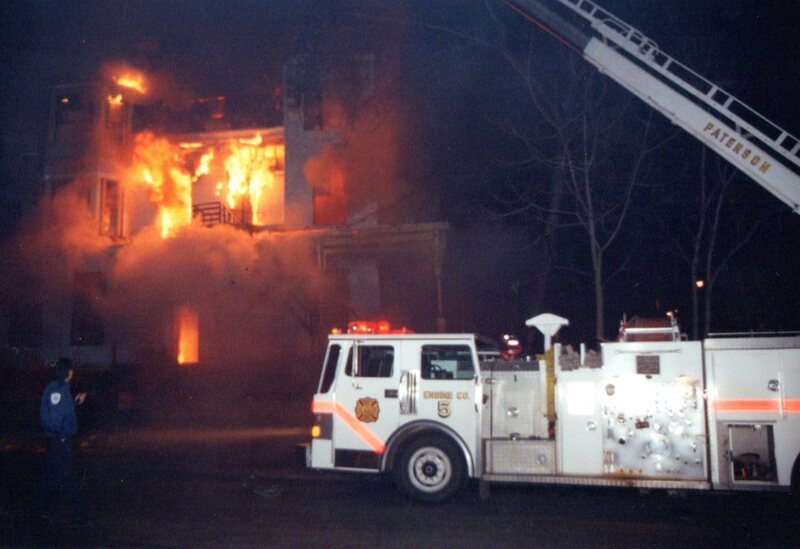 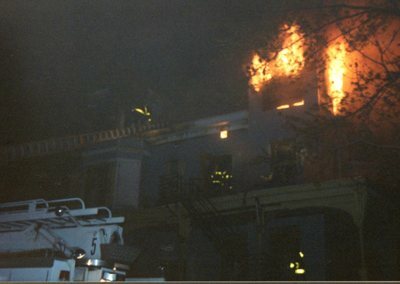 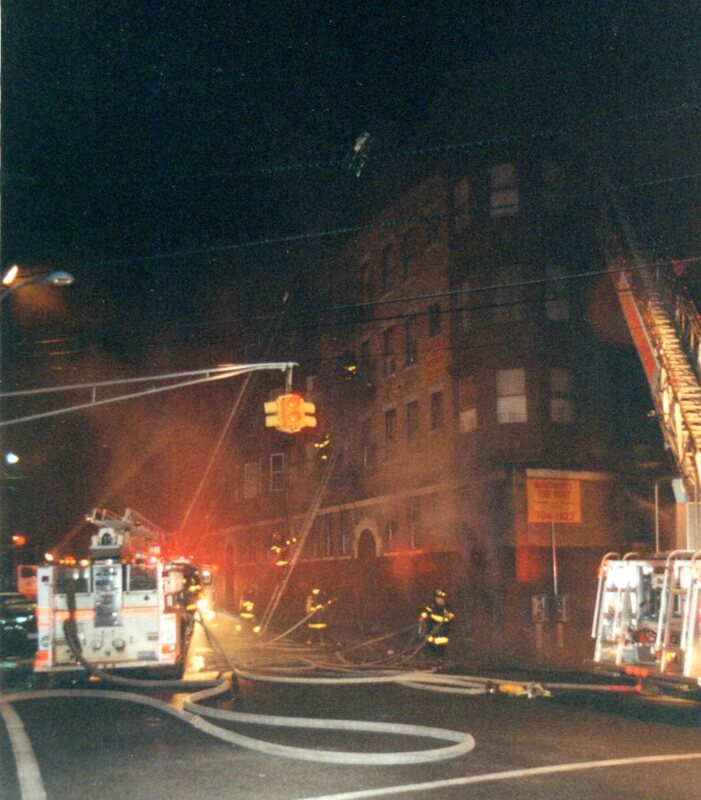 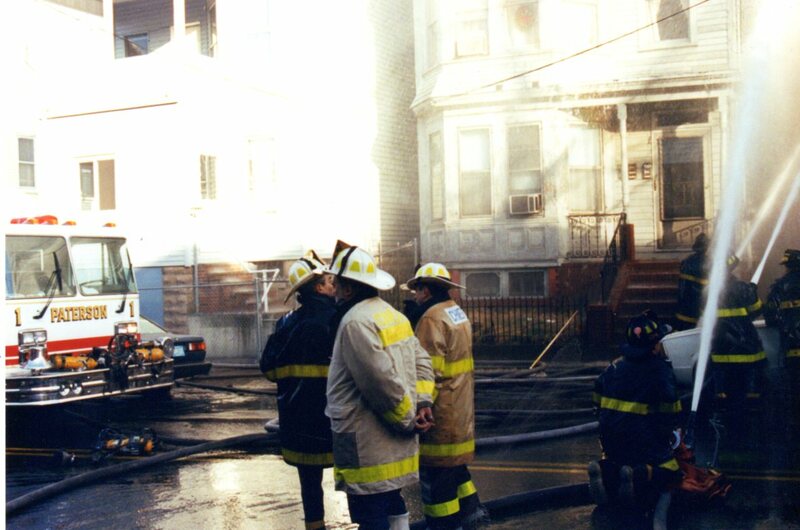 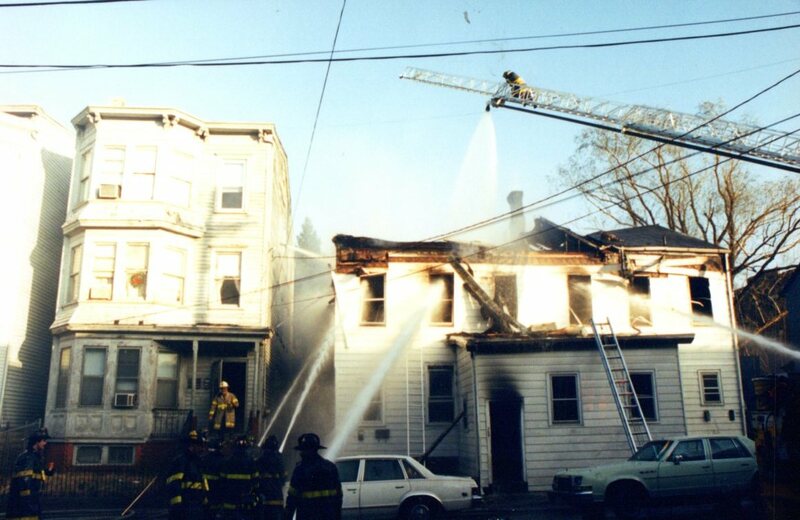 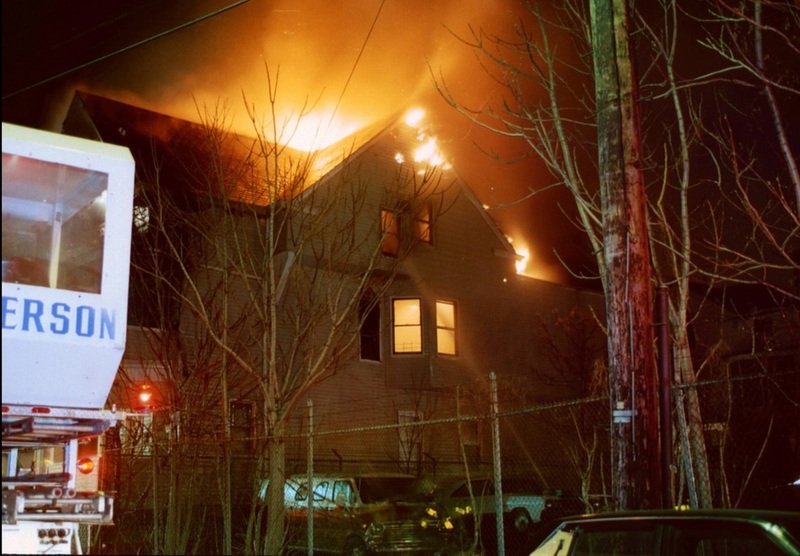 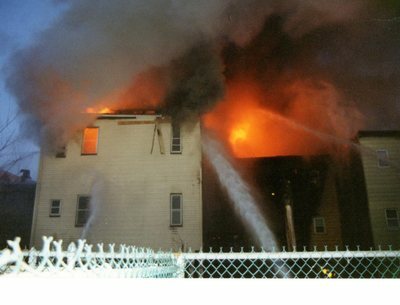 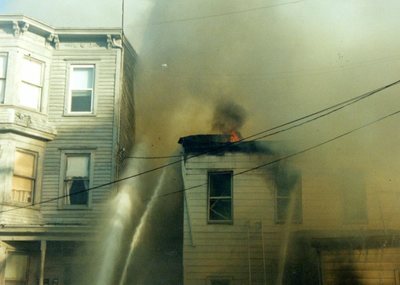 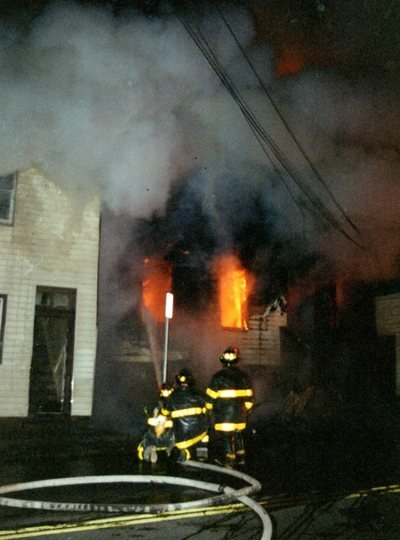 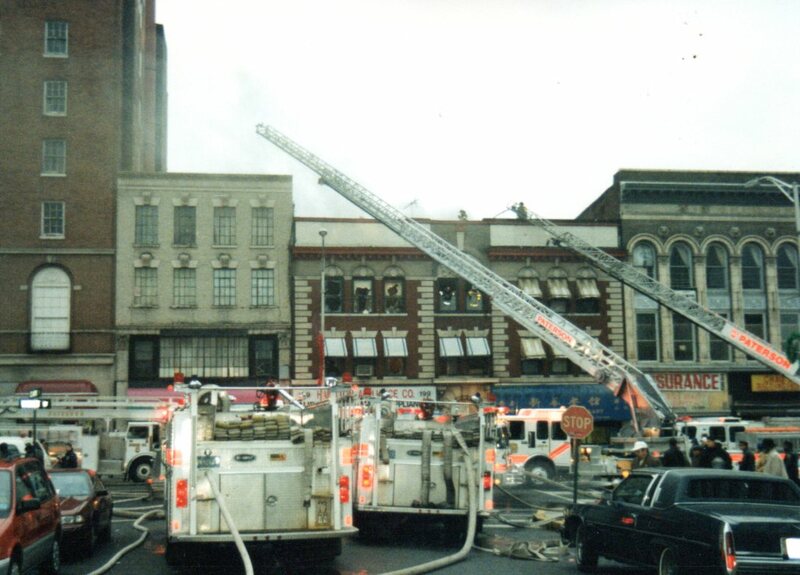 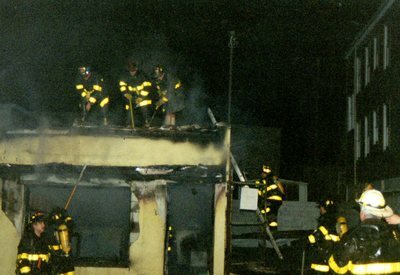 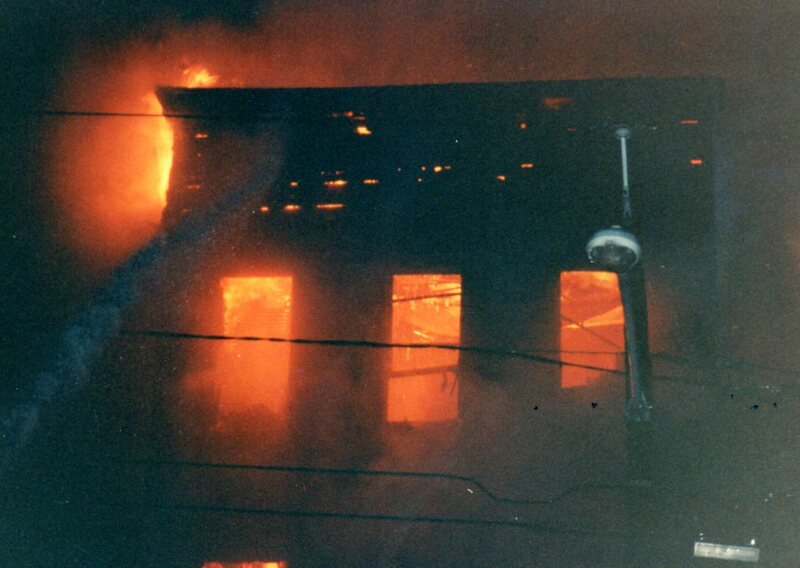 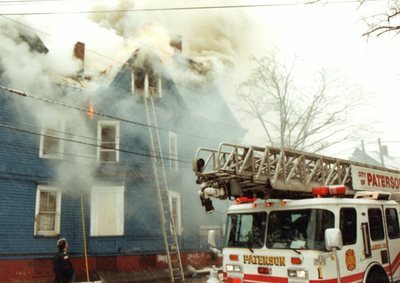 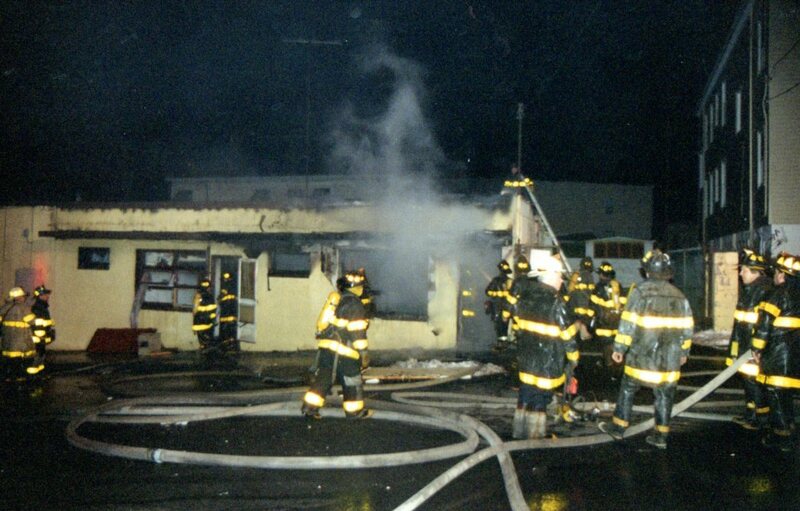 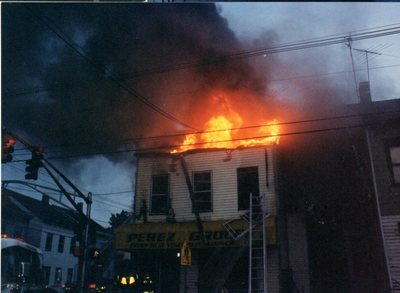 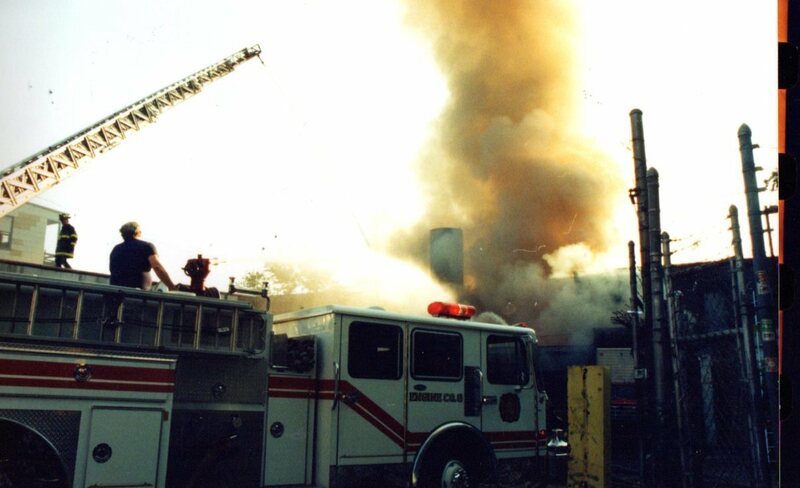 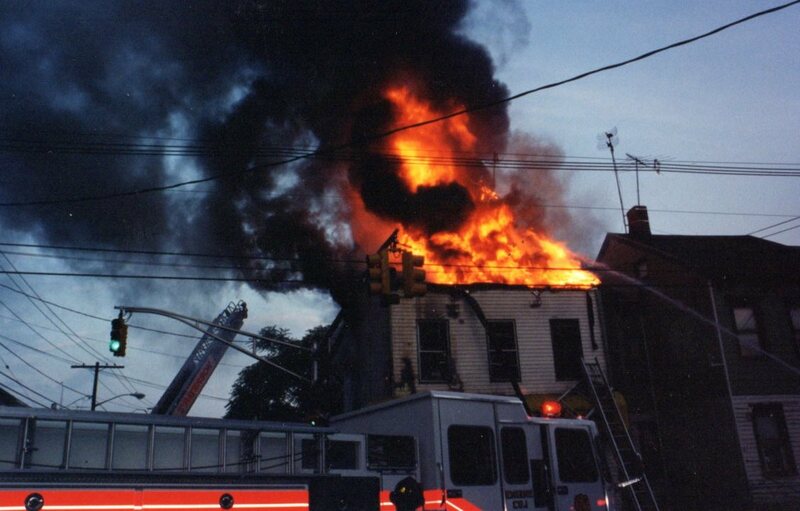 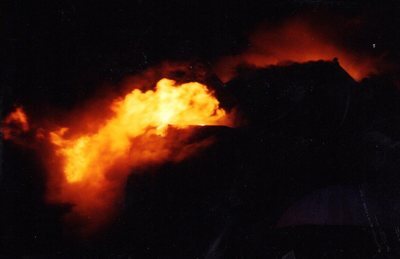 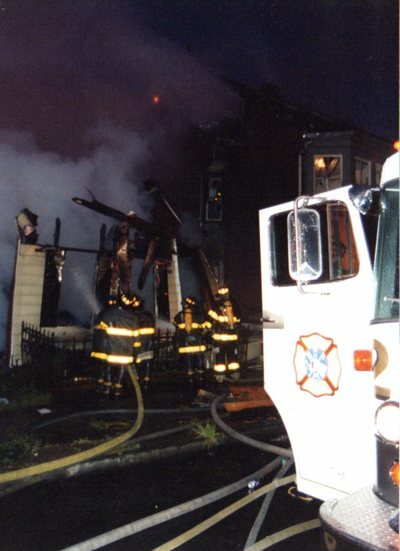 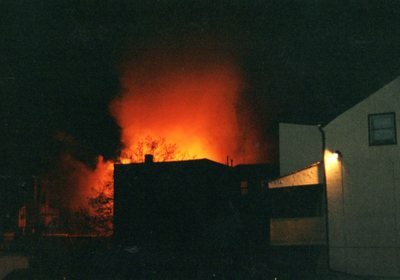 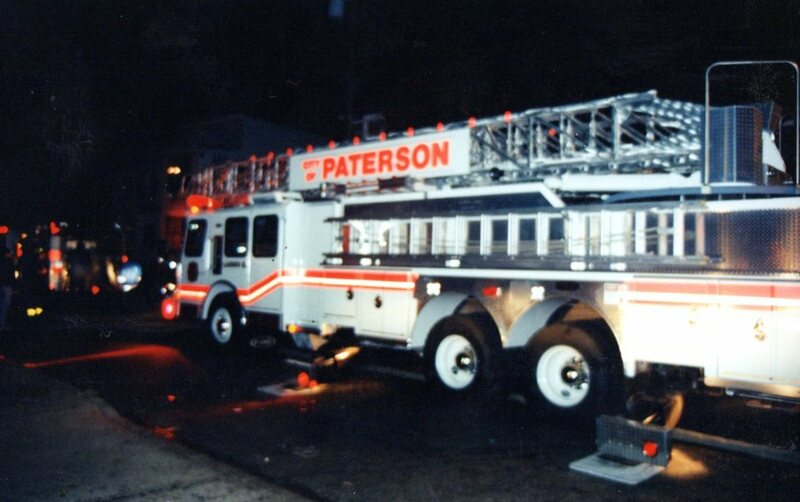 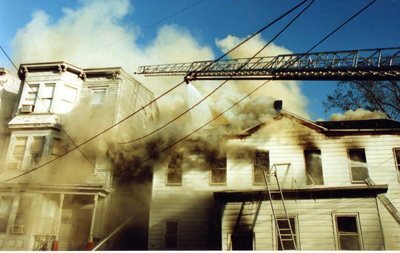 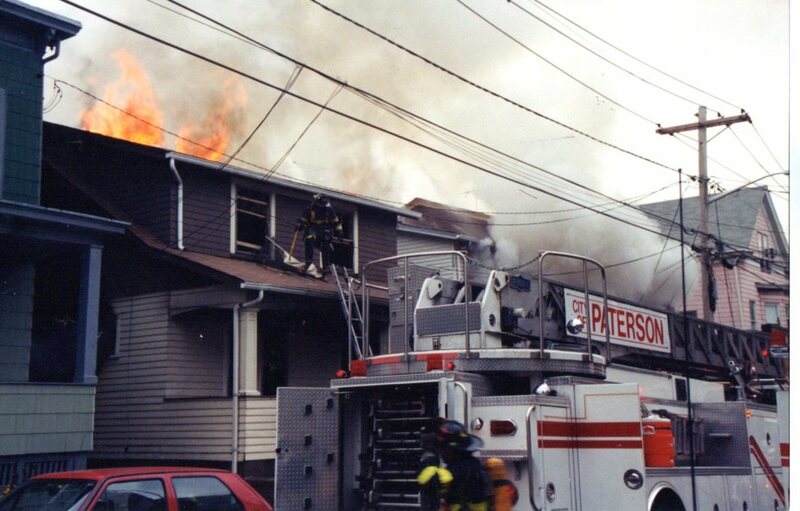 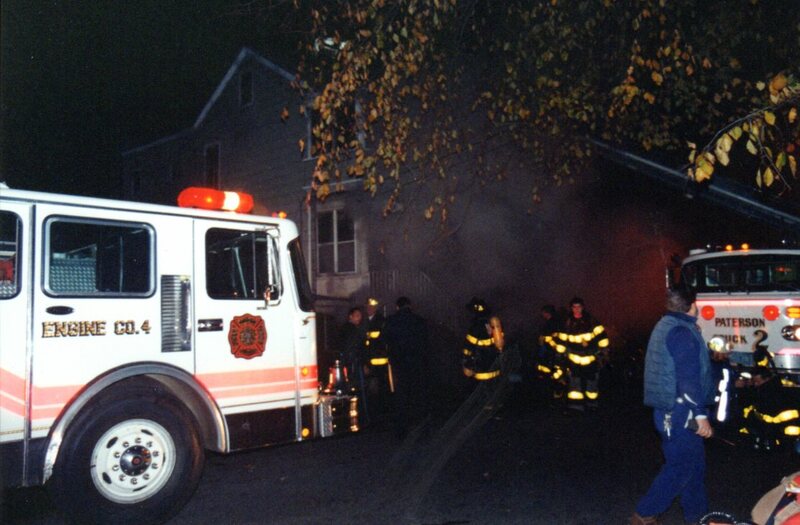 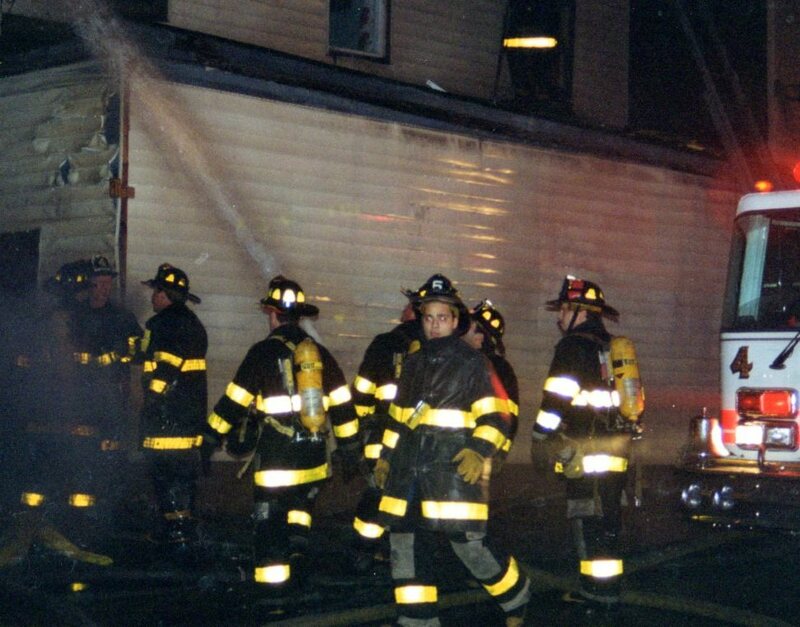 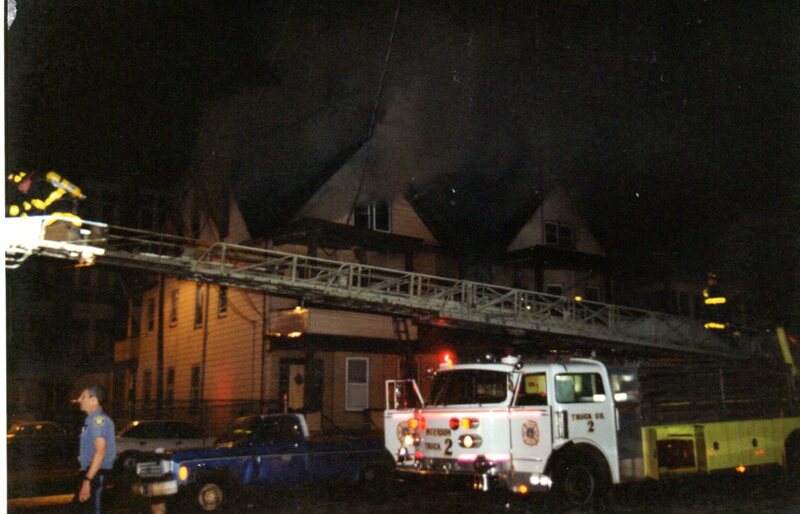 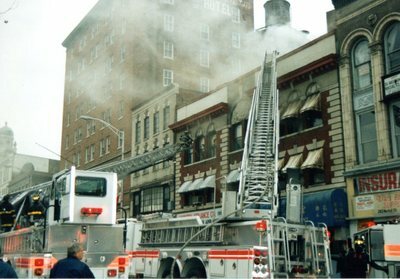 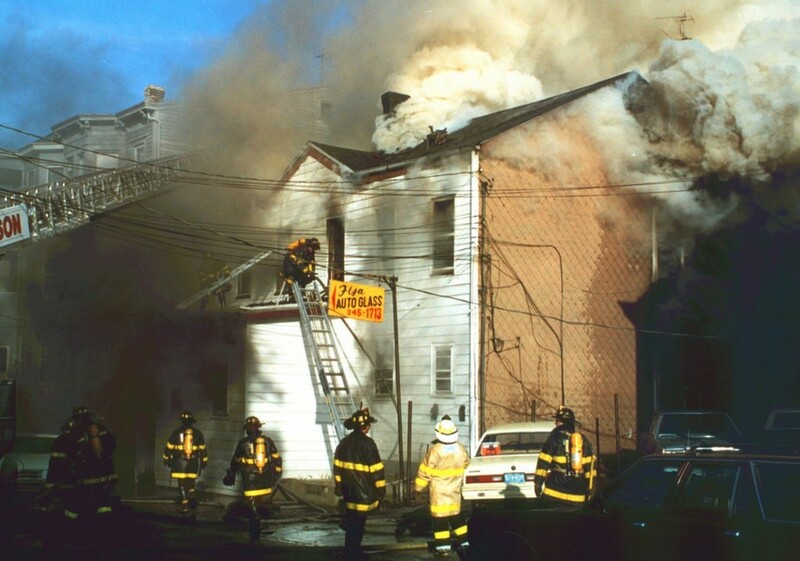 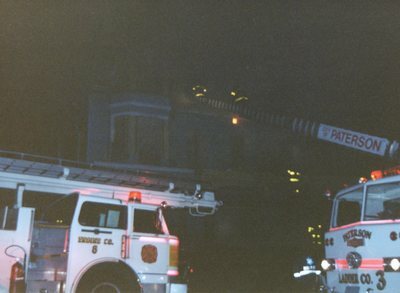 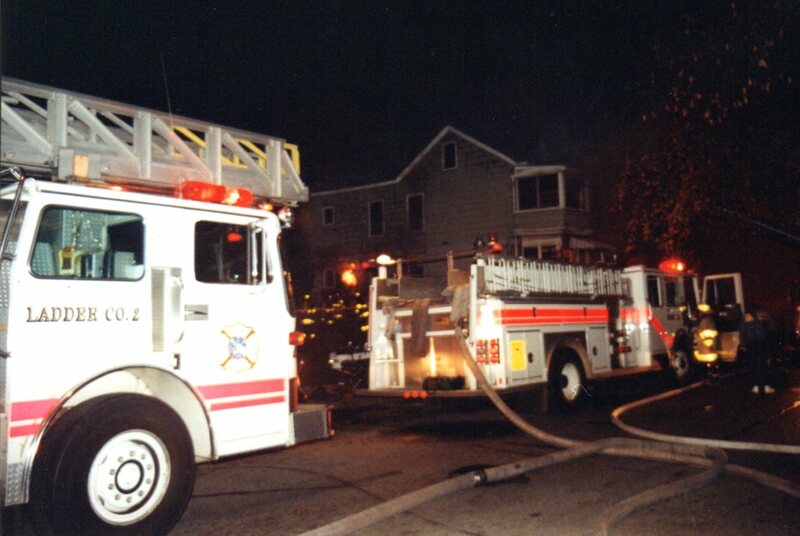 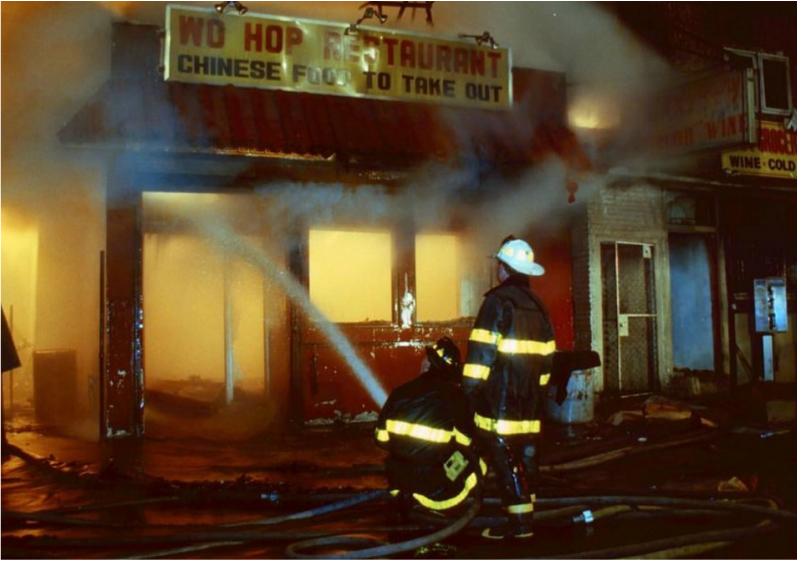 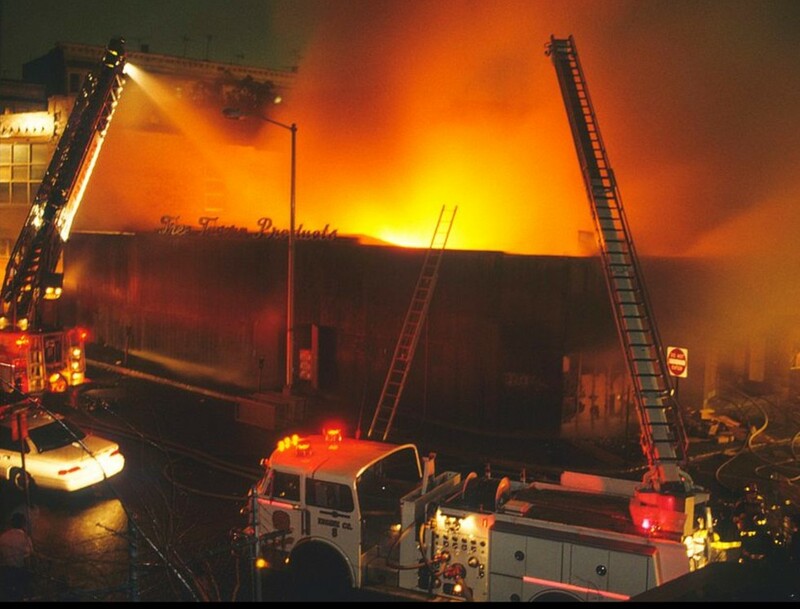 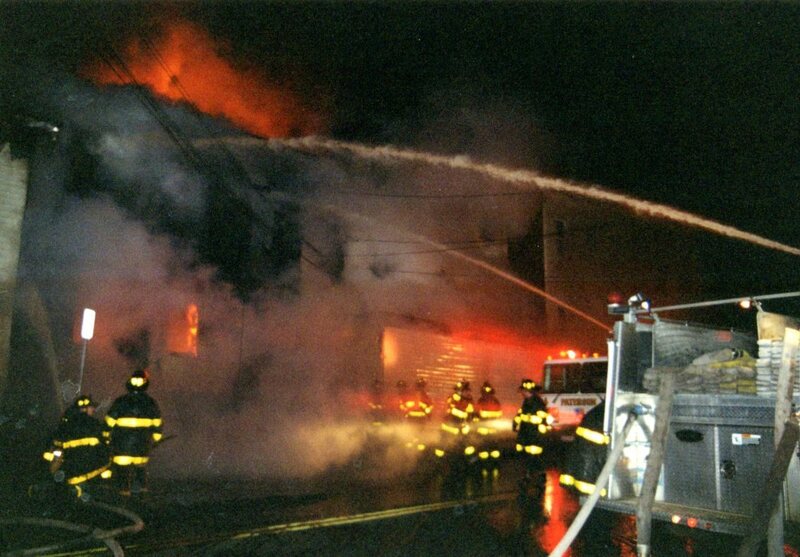 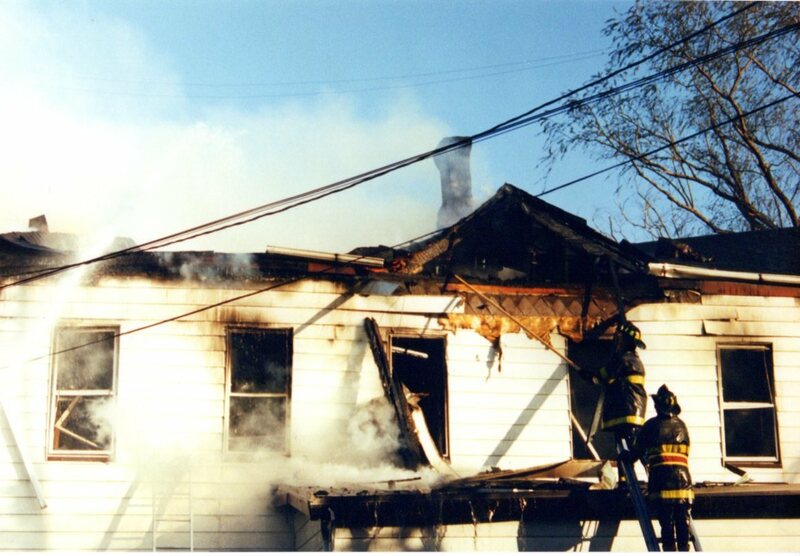 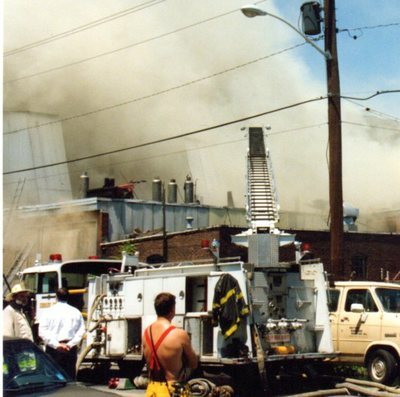 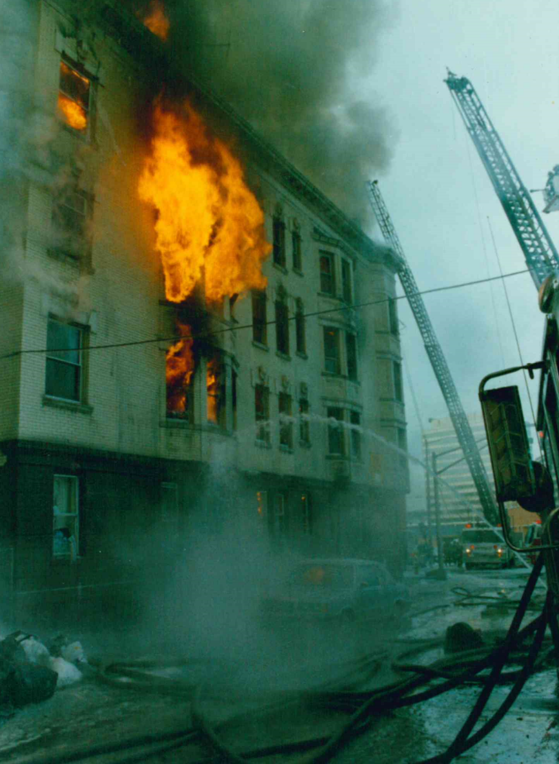 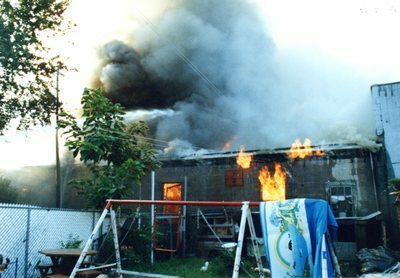 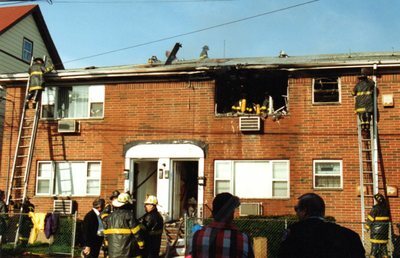 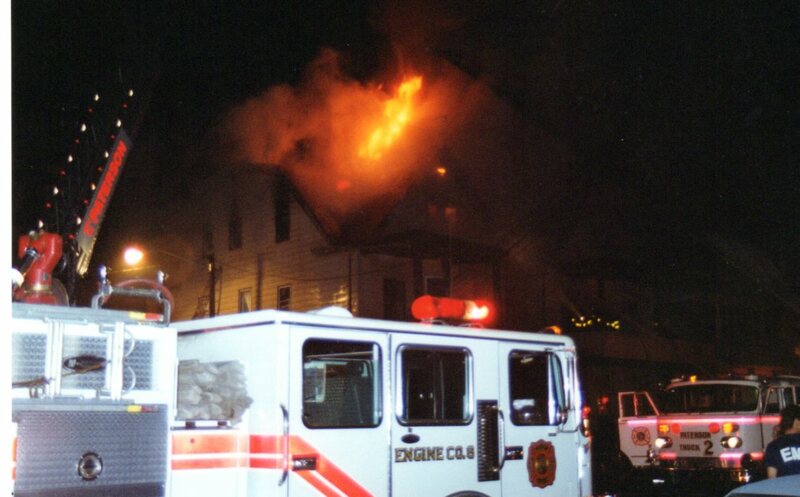 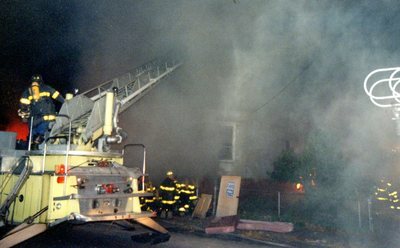 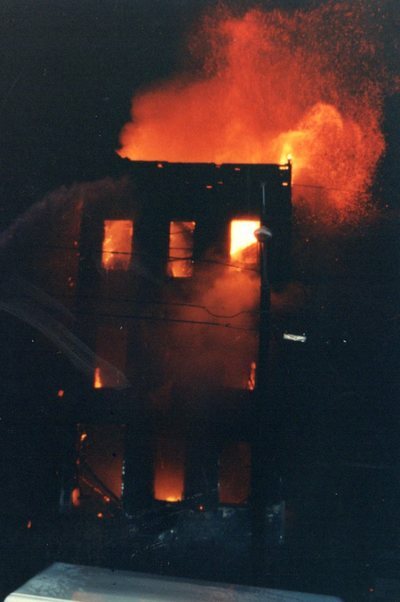 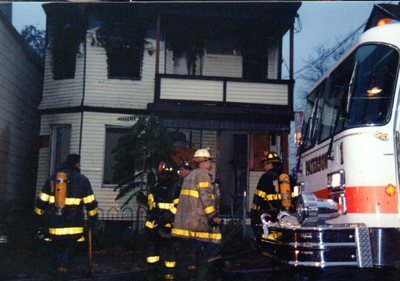 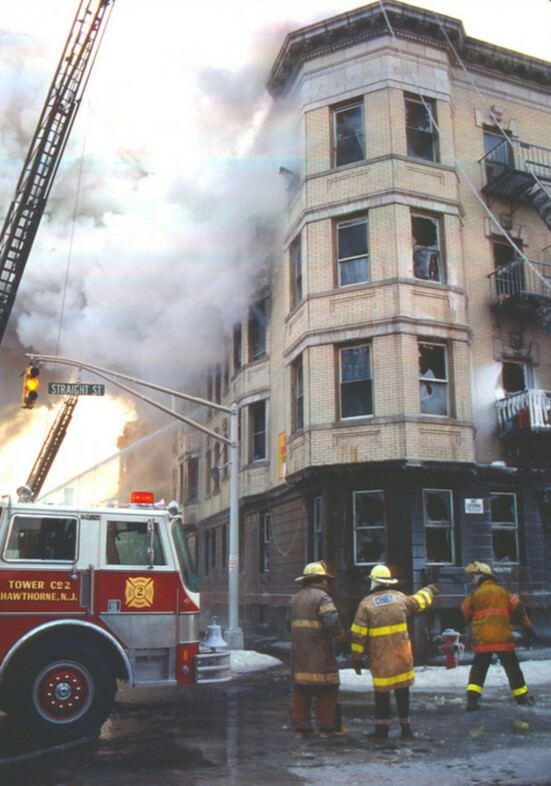 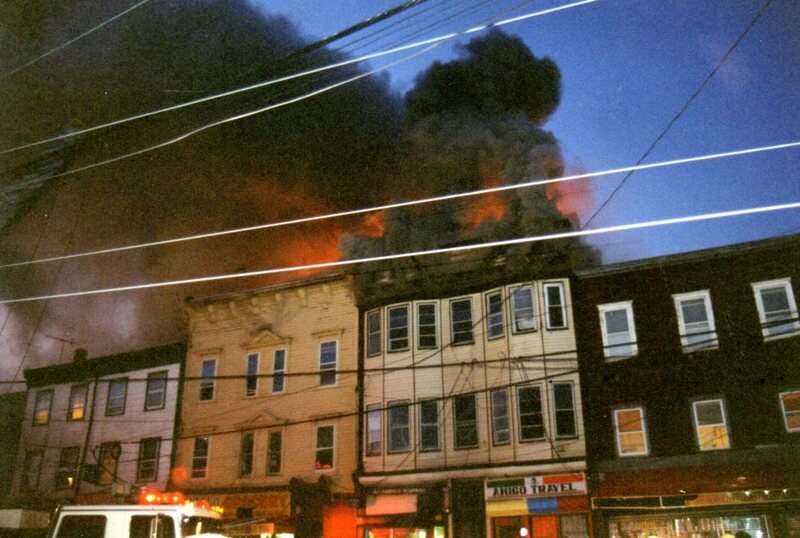 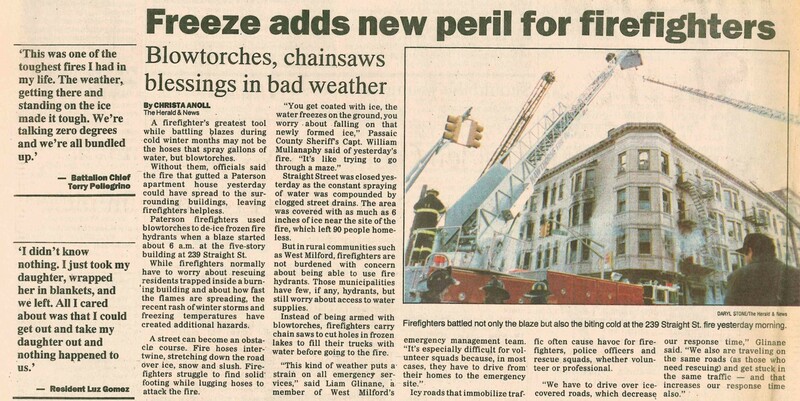 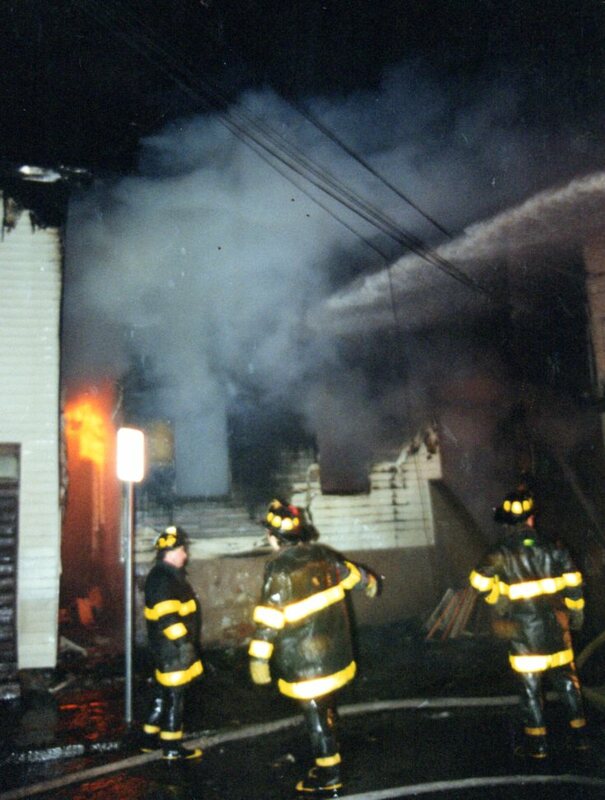 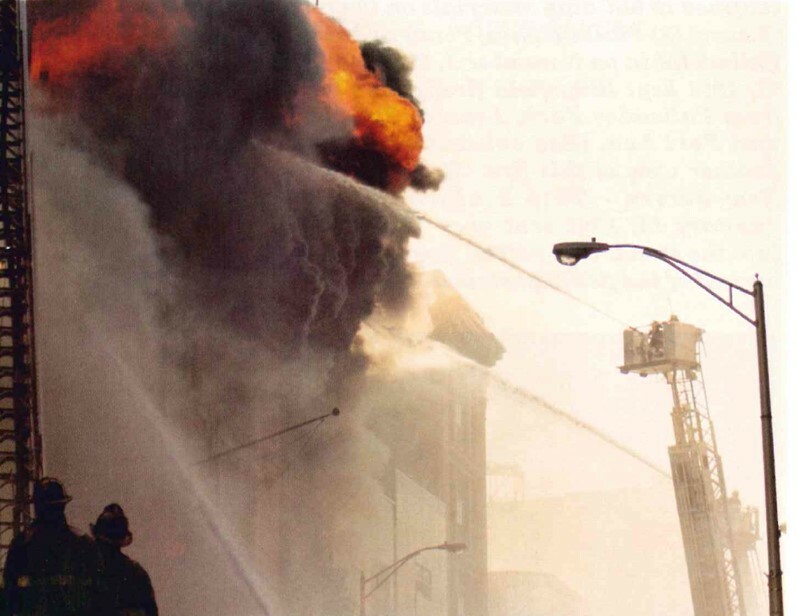 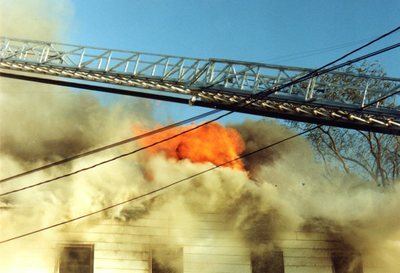 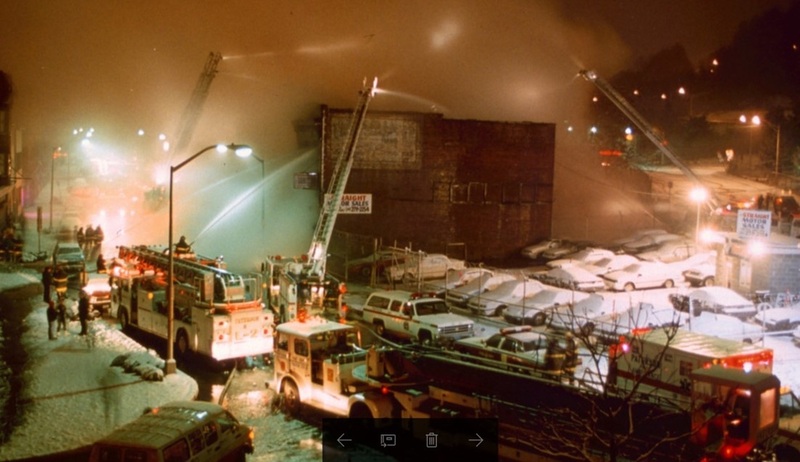 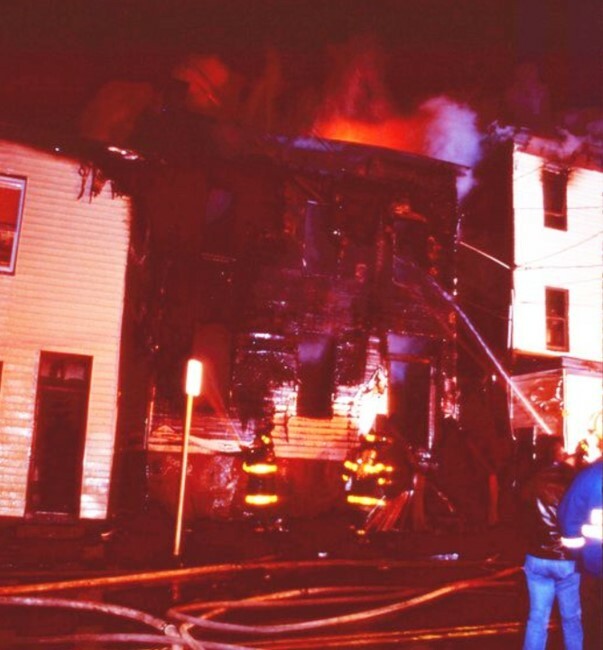 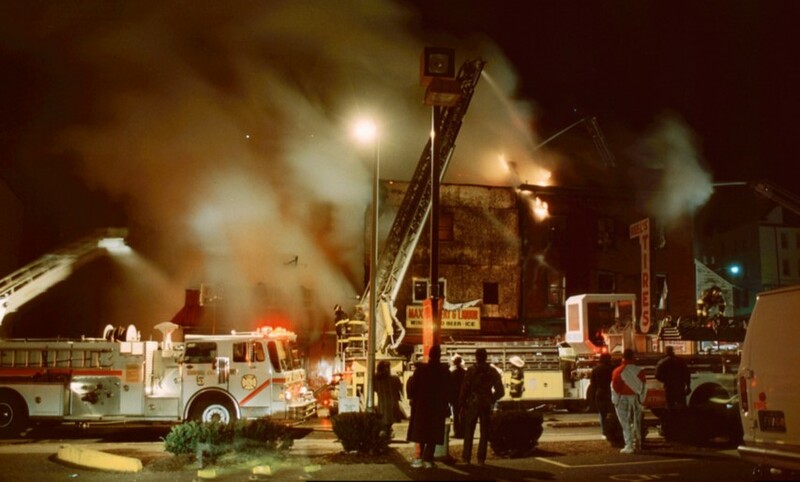 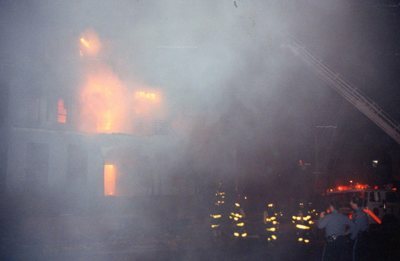 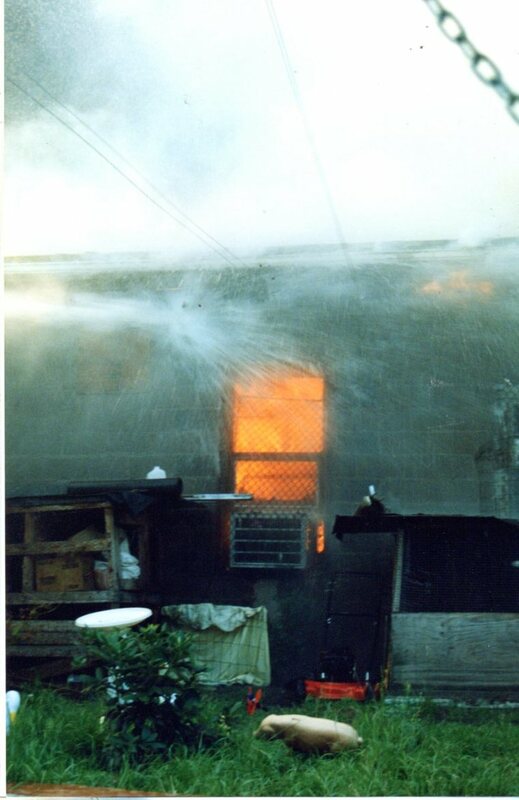 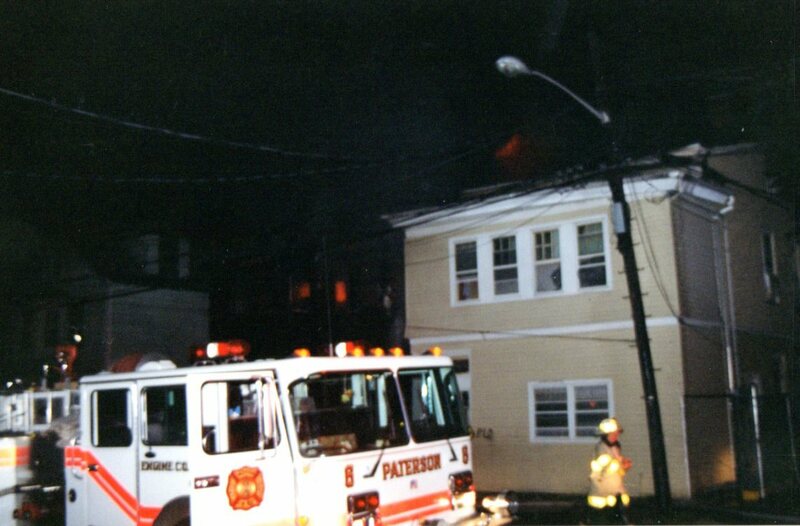 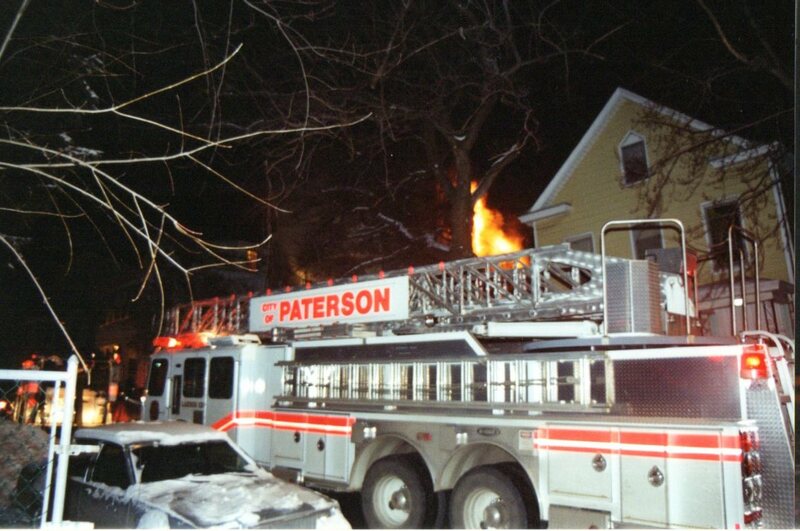 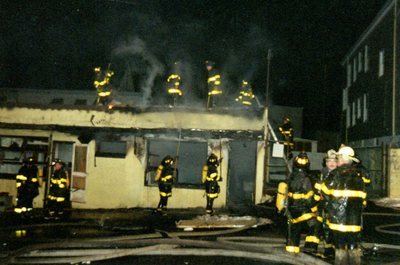 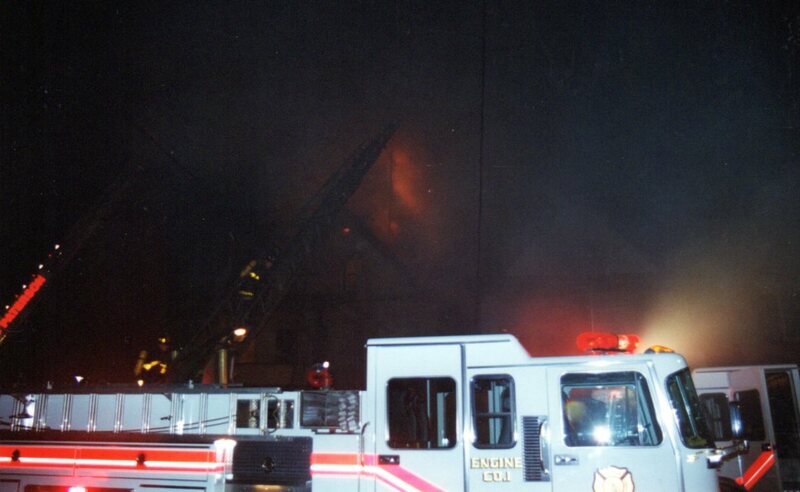 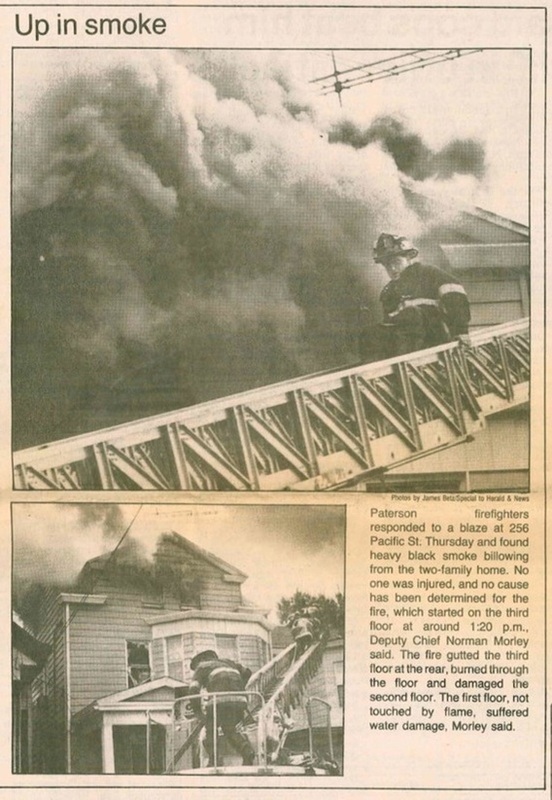 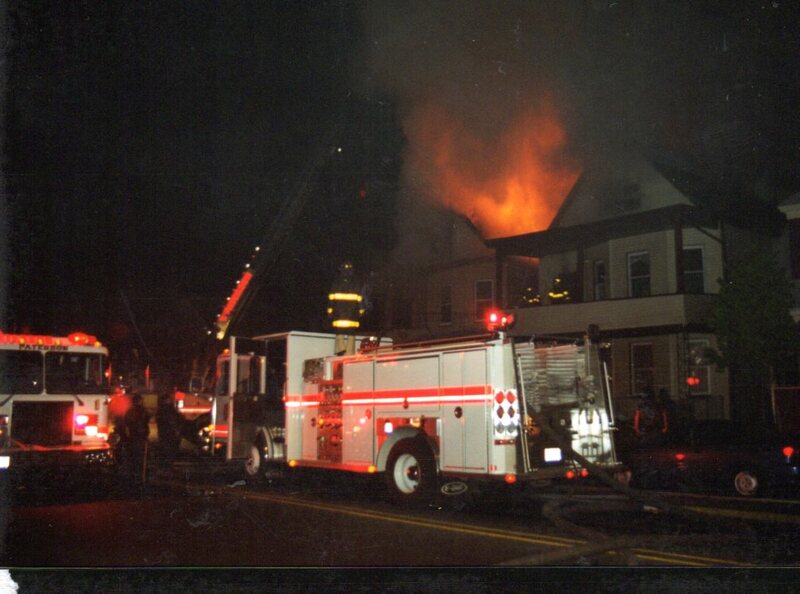 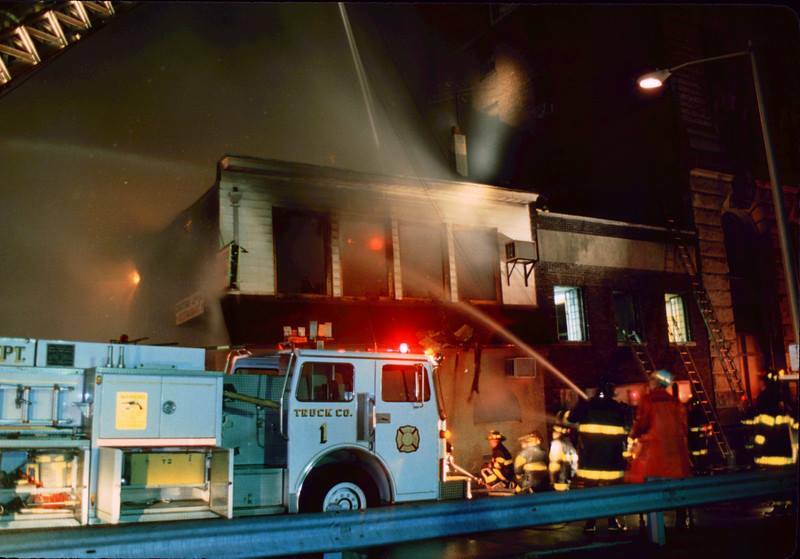 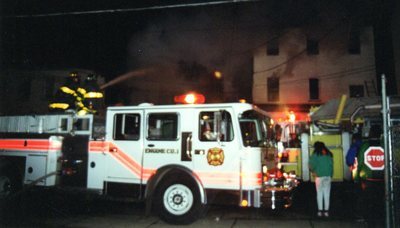 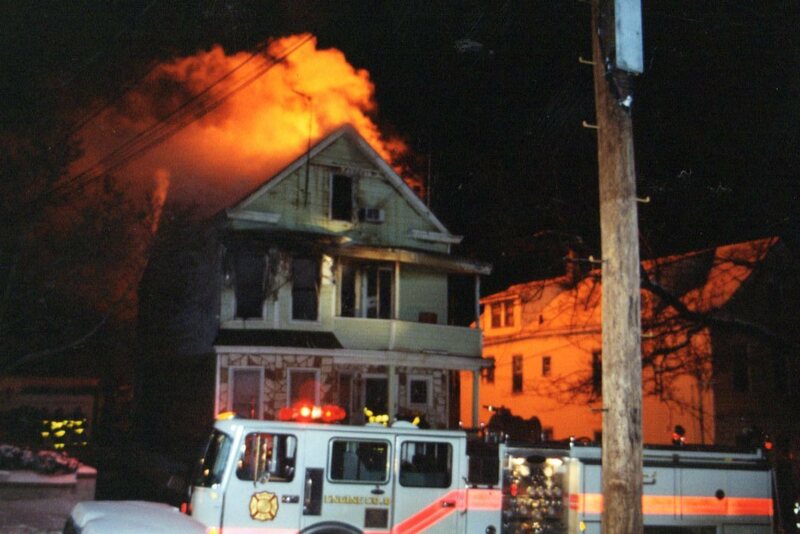 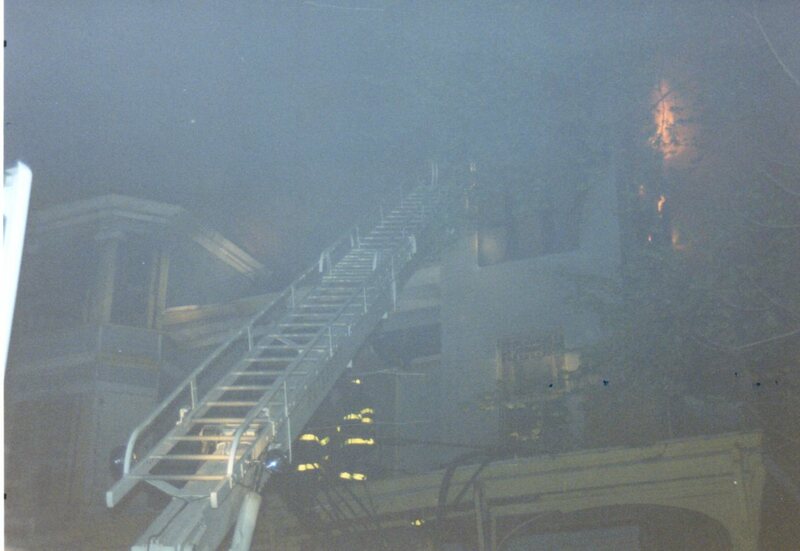 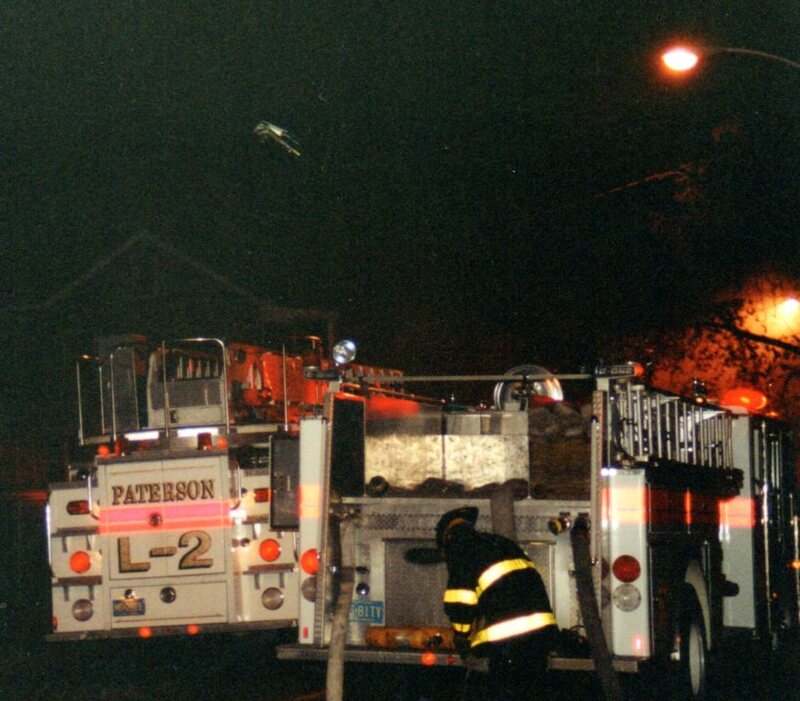 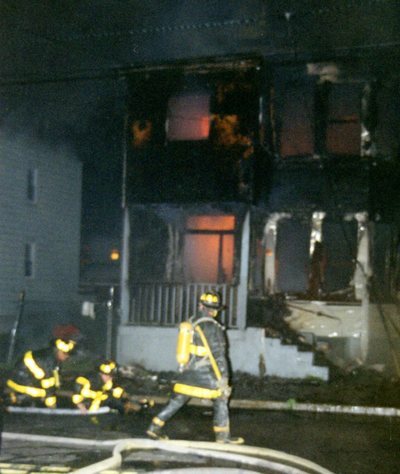 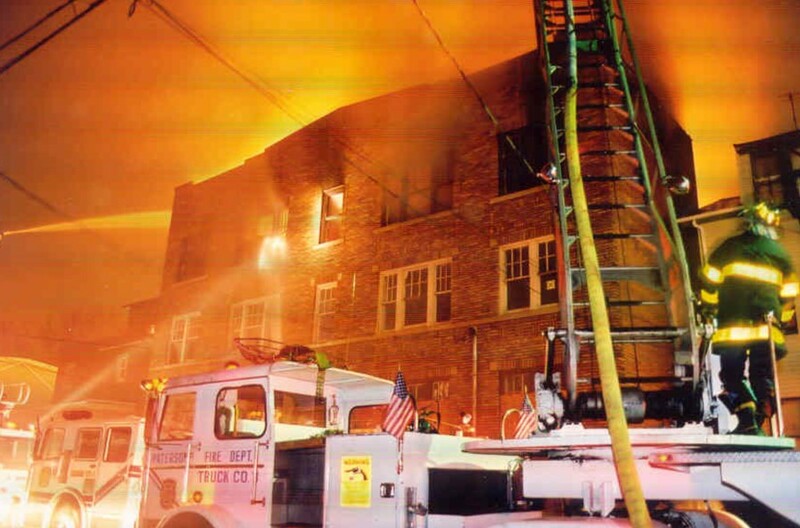 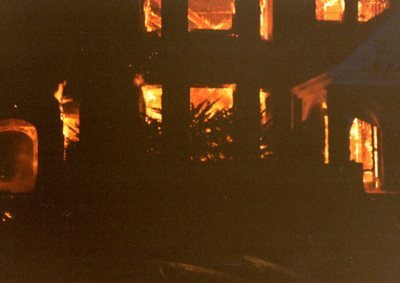 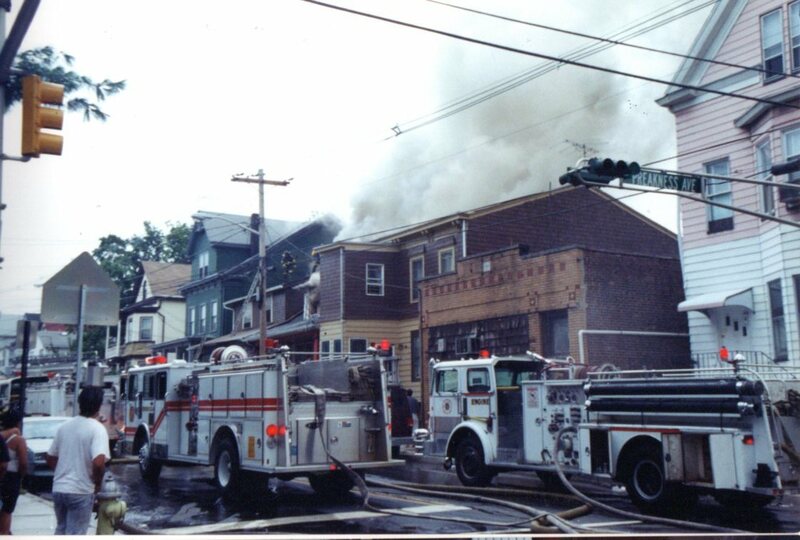 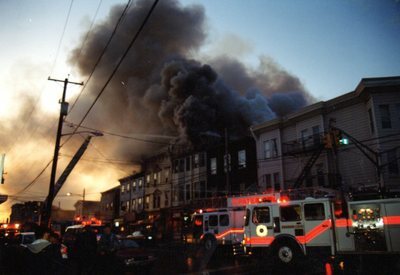 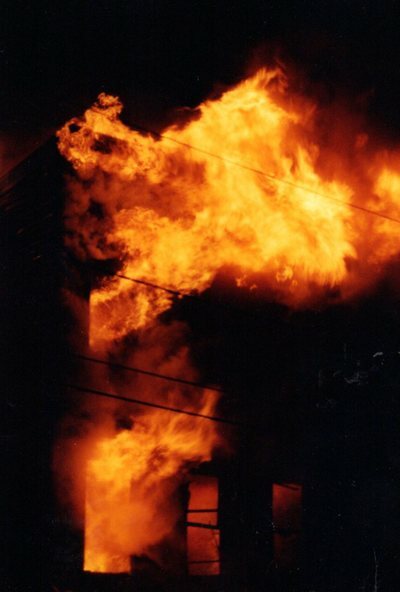 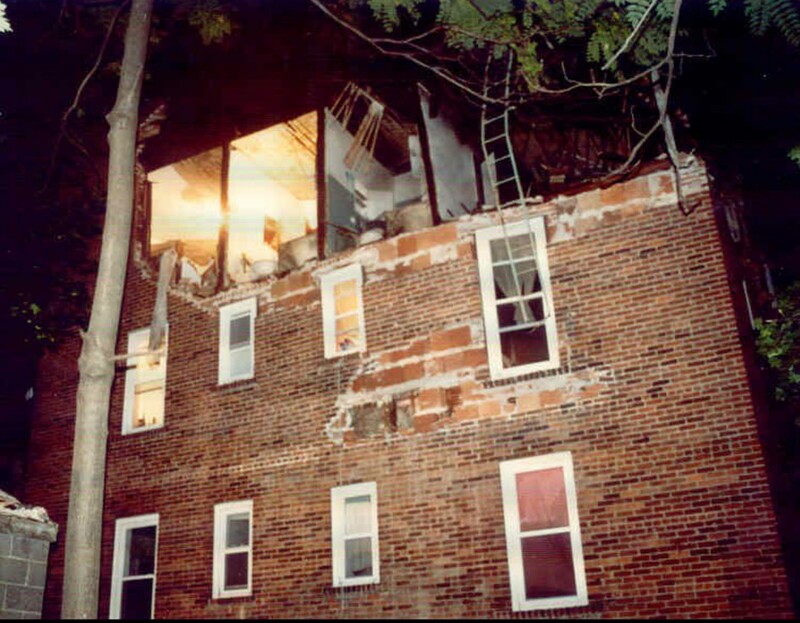 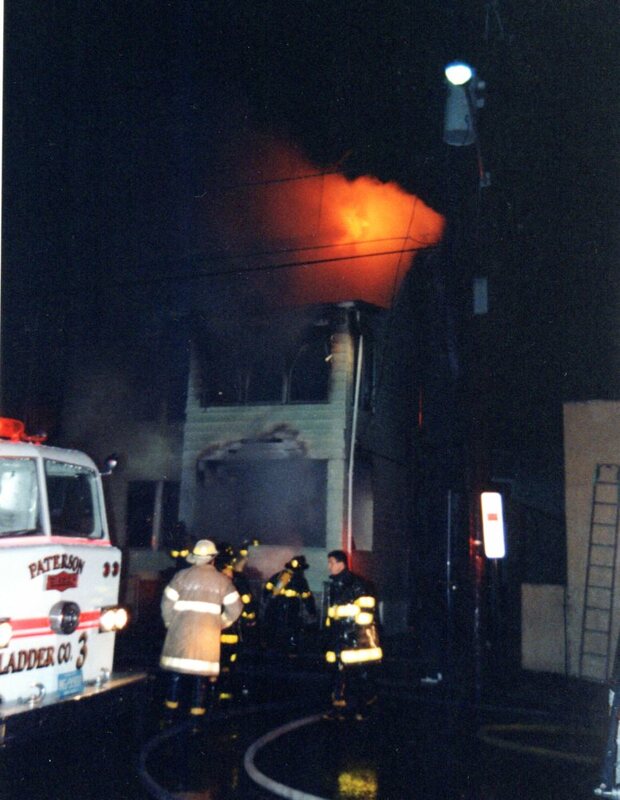 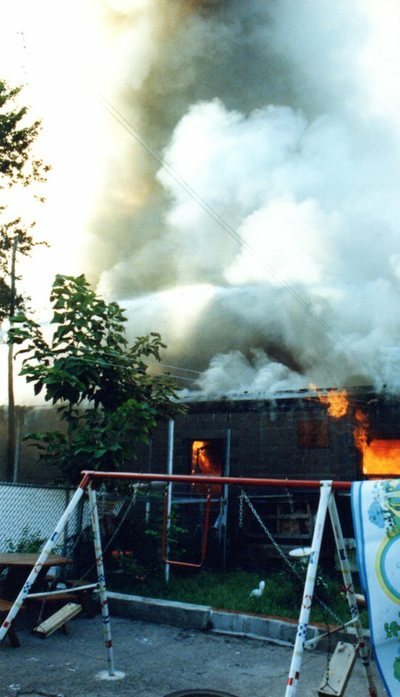 Oral history by retired Captain Joe Parkin Jr: There were 7 people rescued that night by the companies on the scene. 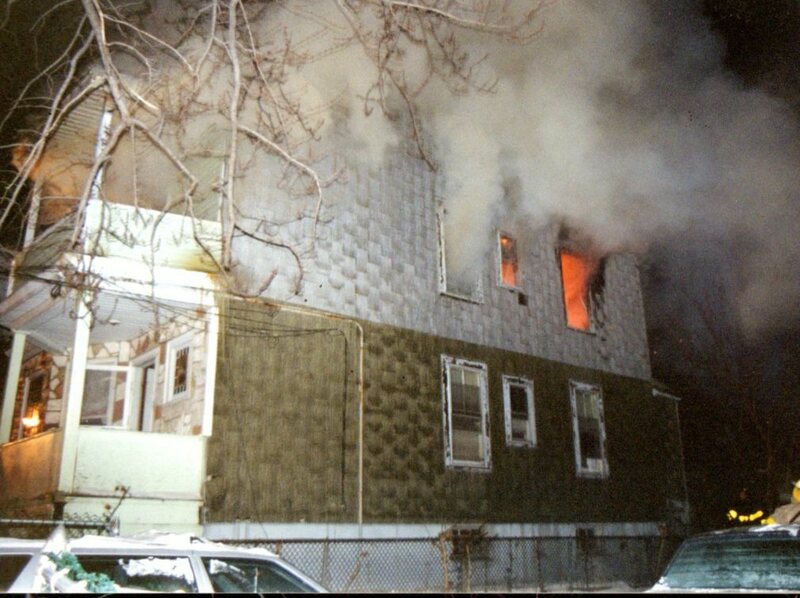 Captain Mike Muccio and I found a mother and her 4 yr. old daughter who was unconscious, unresponsive in a Div. 3 rear bedroom. 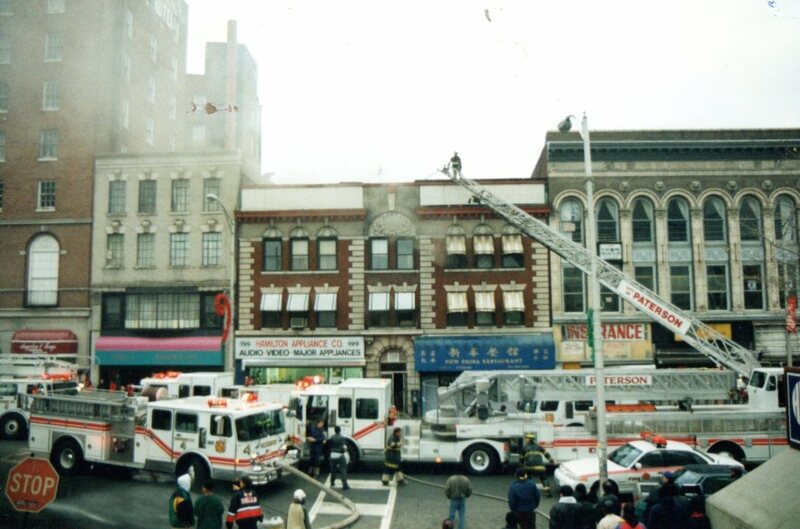 We removed them to the street where we worked to revive her on the front of one of the apparatus in front of the building. 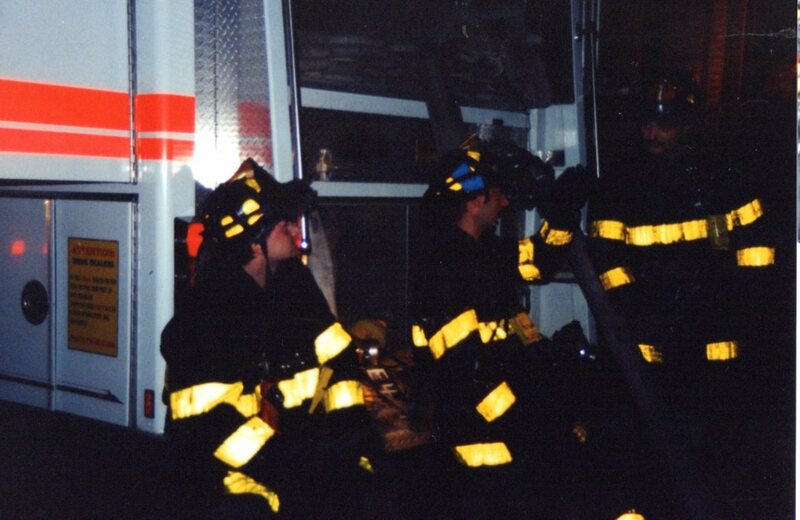 She was rushed to an awaiting ambulance and transported and eventually recovered in the hospital. 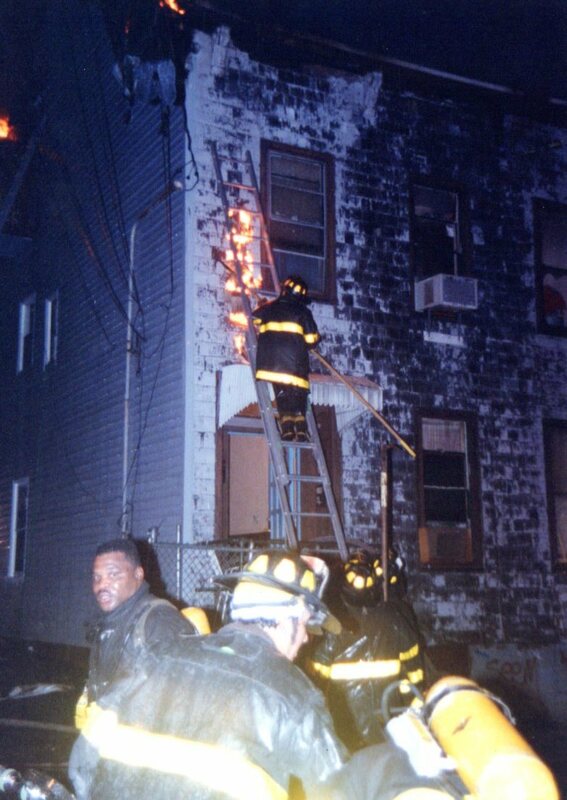 The man coming down the steps is Capt. 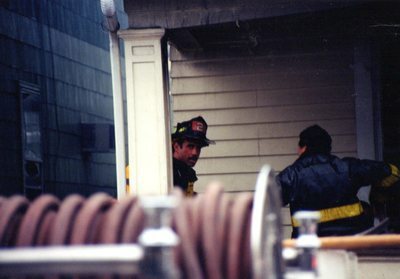 Rich Warner, E-1. 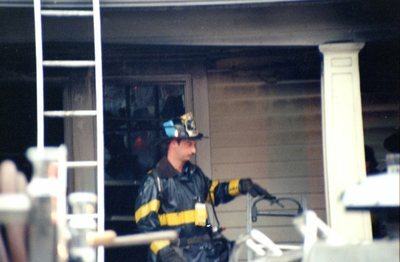 He is carrying two helmets. 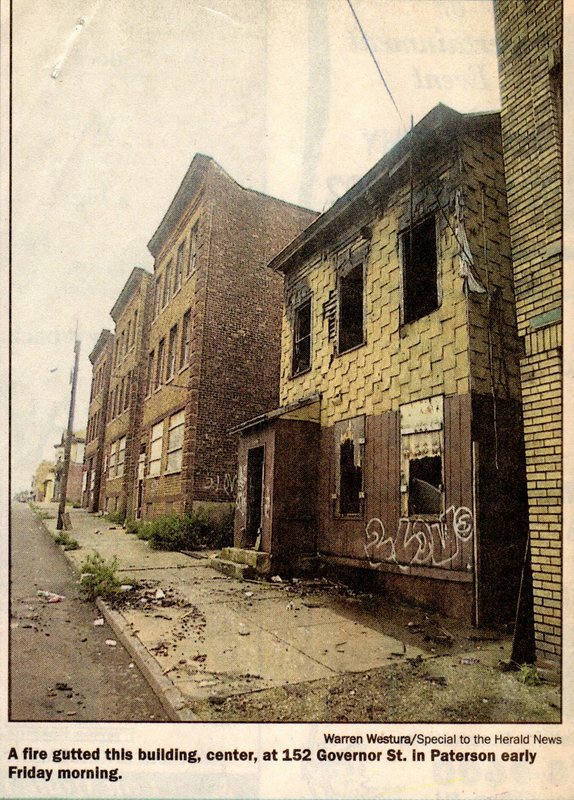 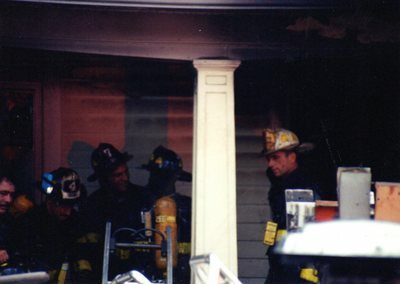 Prior to the pic being taken Warner & Ray Allex were advancing a line through the front door. 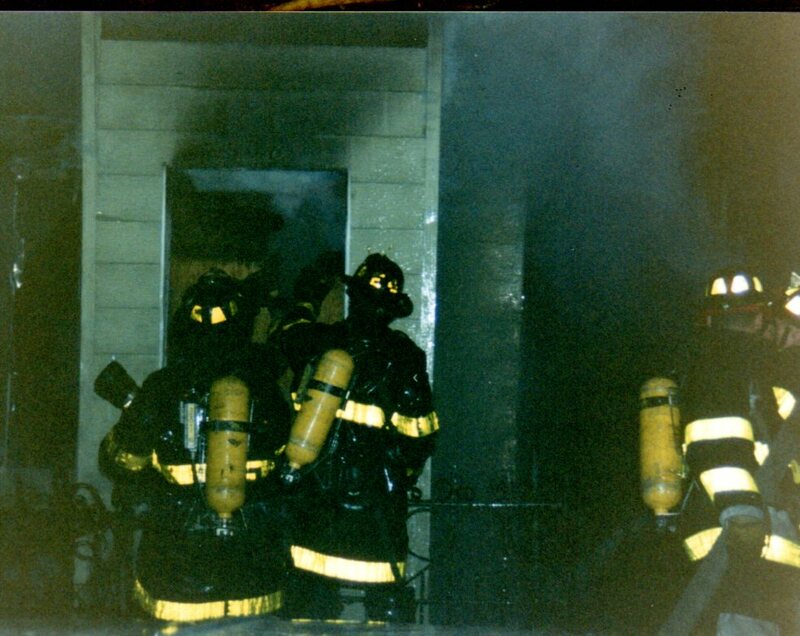 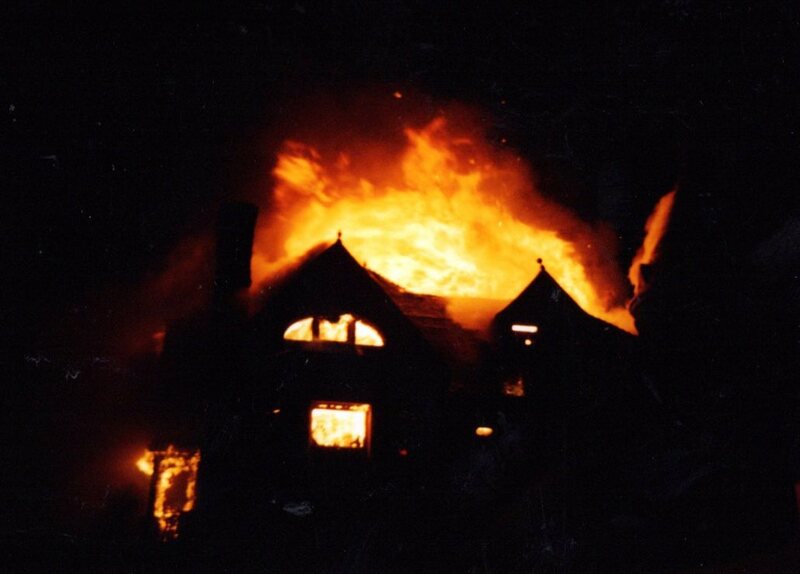 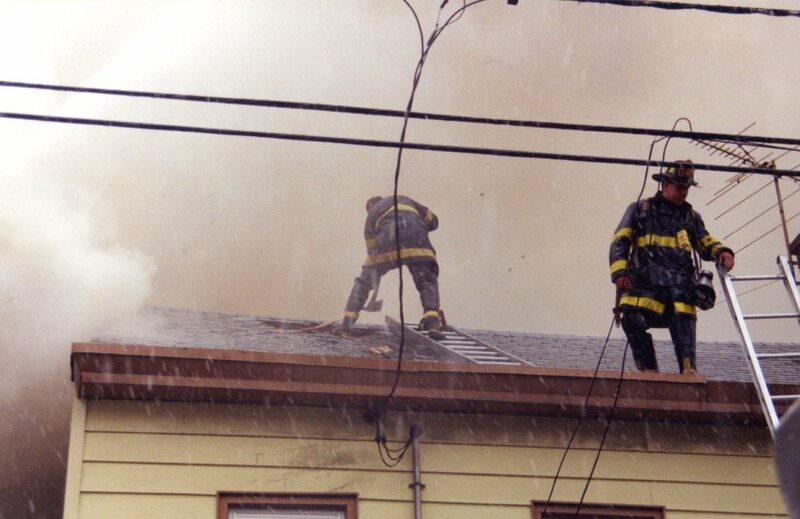 The fire blew out at them & forced them back out the door. 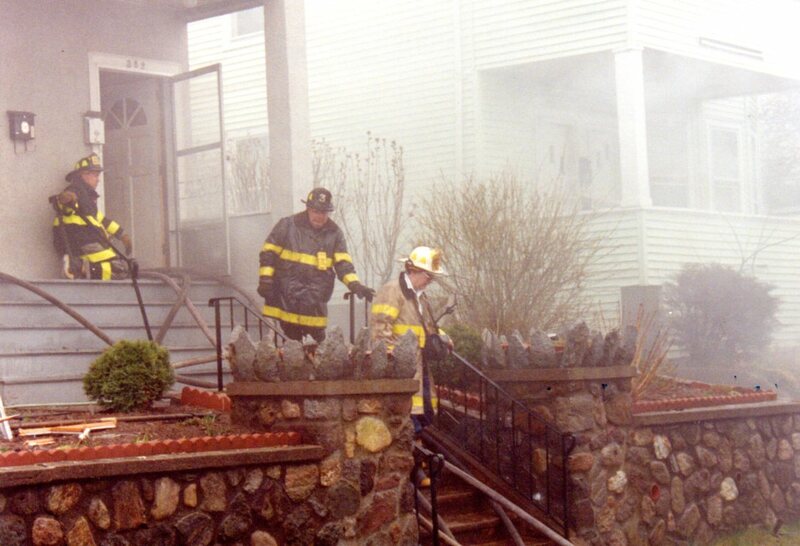 Allex did a "triple lindy" over the railing & hit the sidewalk. 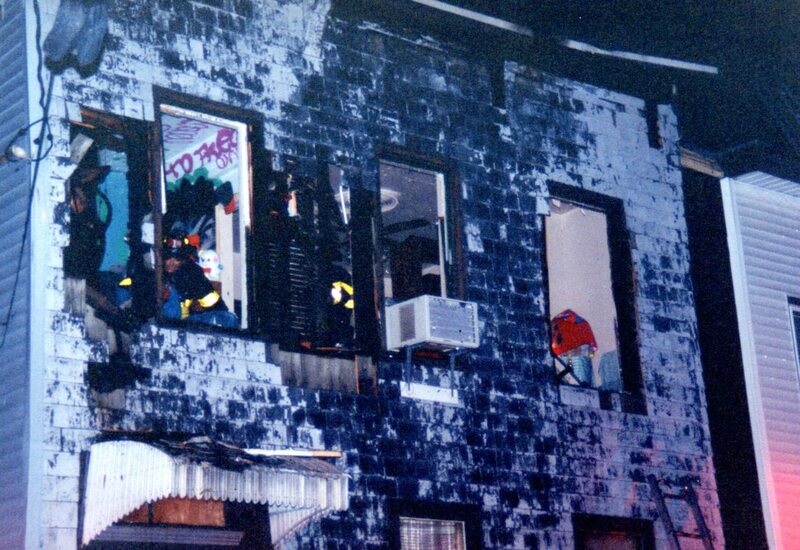 You can see the back boards & emt's working on Allex at the bottom left of pic. The fire was being fed by a ruptured gas line in the basement. 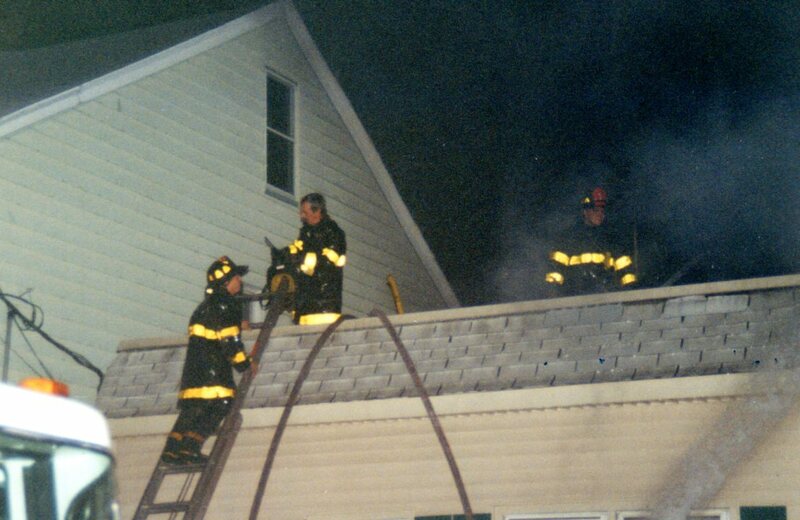 - Captain Ed Leogrande is at left. 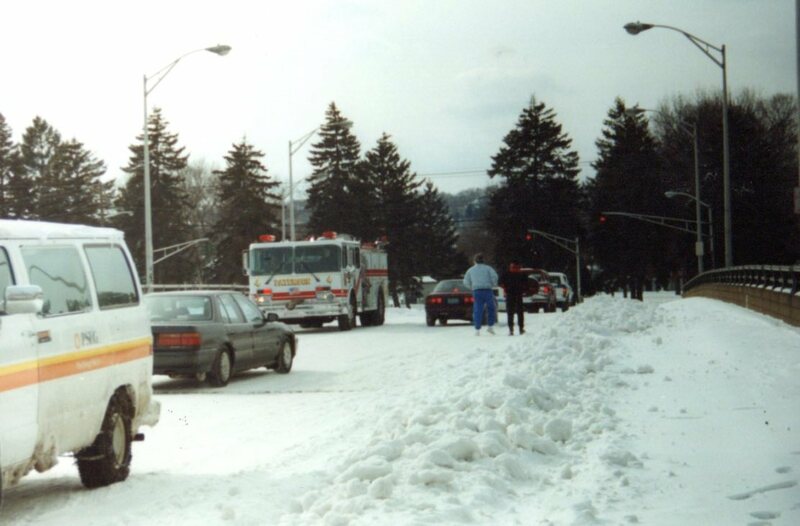 Oral history: Upon arrival someone notices that smoldering debris, in a snowbank across the street, is actually a body and the person is alive! 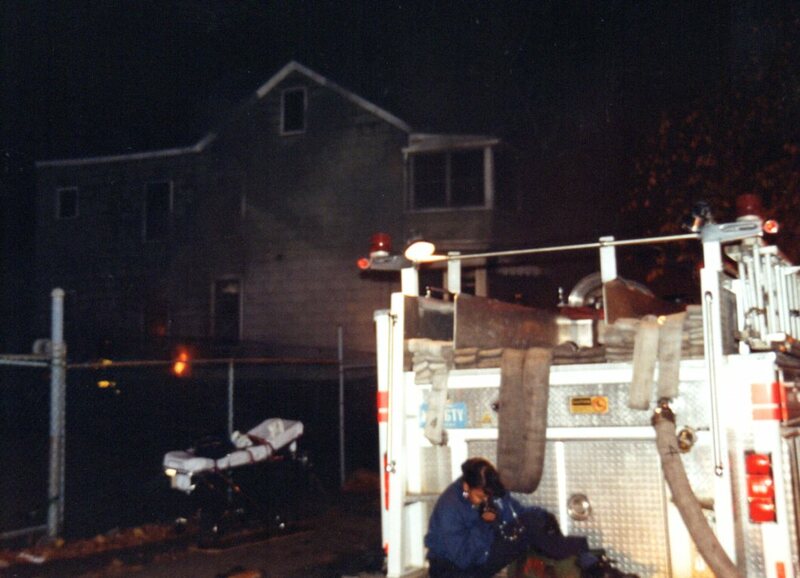 EMS is called & takes him away having suffered minor burns. 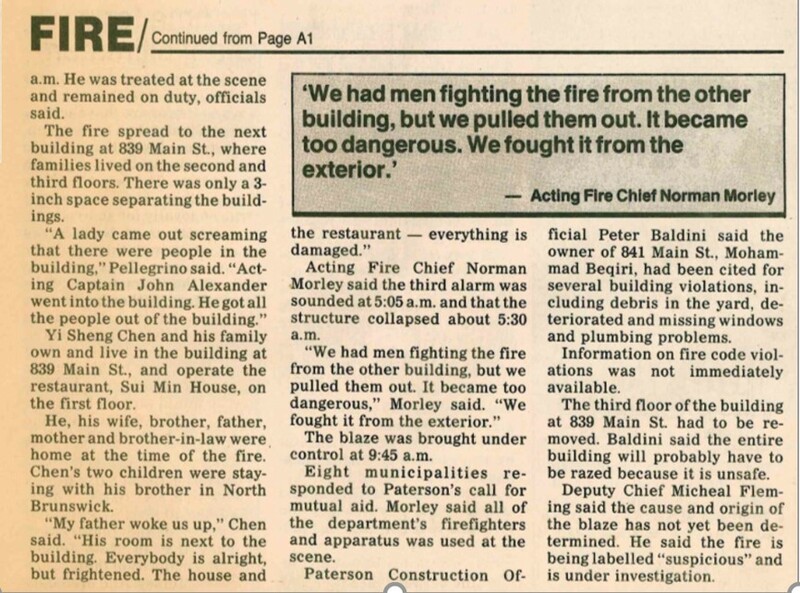 While at the scene we get the scoop. The building has 3 or 4 one room apartments & this individual lives in the one pictured. 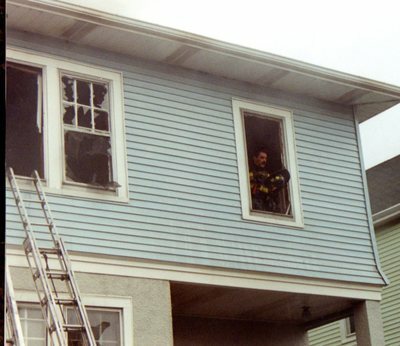 The man is all depressed, it's the holidays and his family wants nothing to do with him. 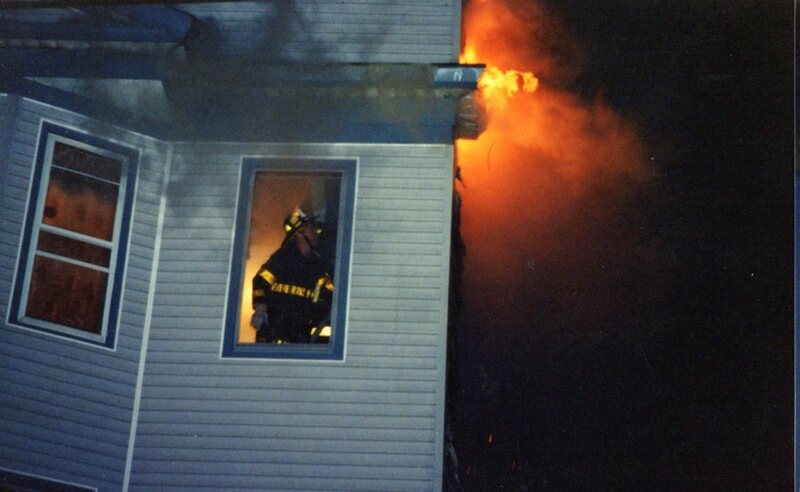 He's had it & he wants to end it. 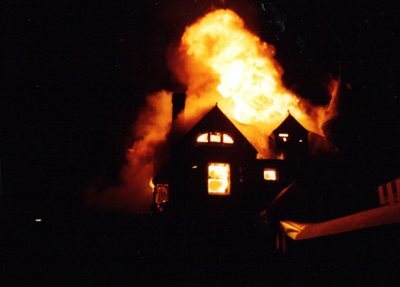 He opens the jets on the gas stove & sits on the bed to wait for the end. After awhile he changes his mind & shuts off the gas. 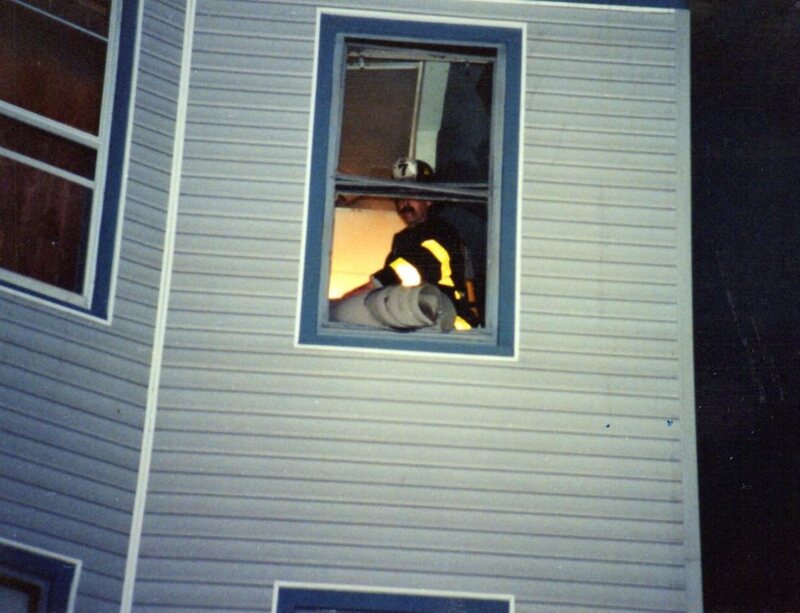 He sits back on the bed & lights a smoke. 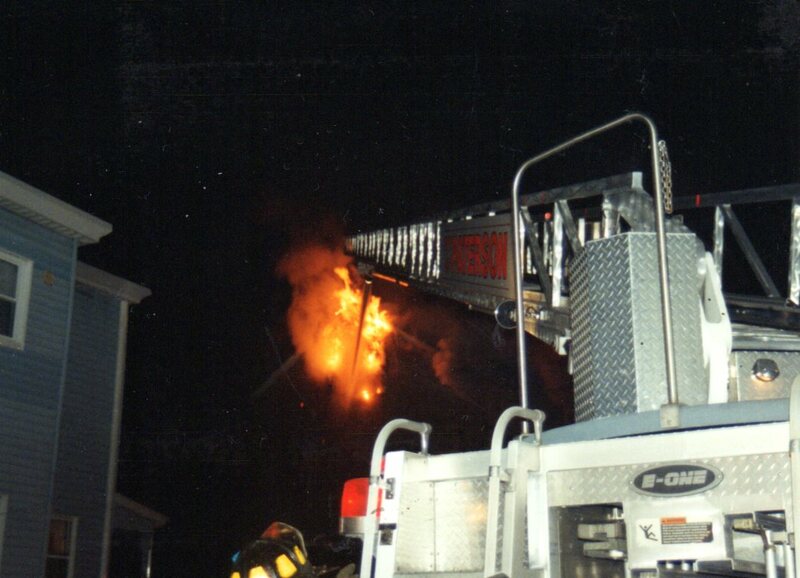 BOOM!! 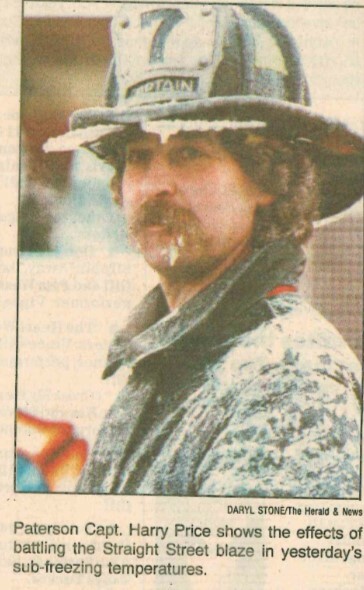 He didn't remember how he got in the snow bank.